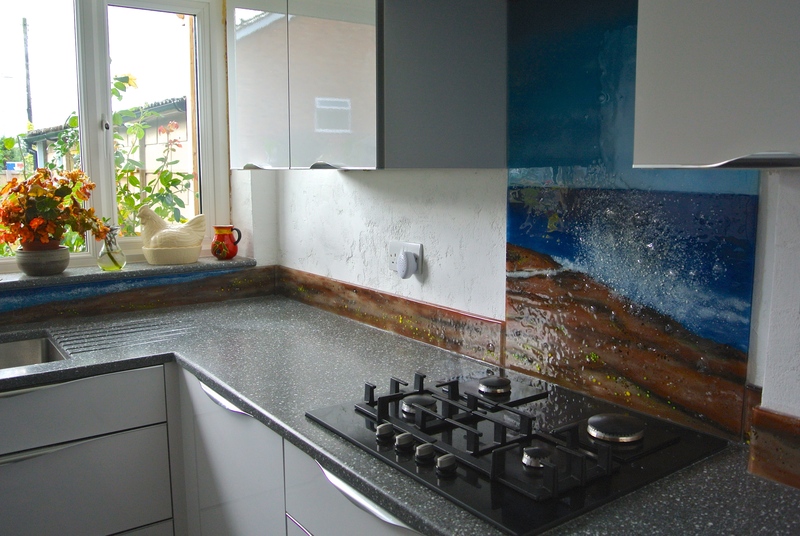 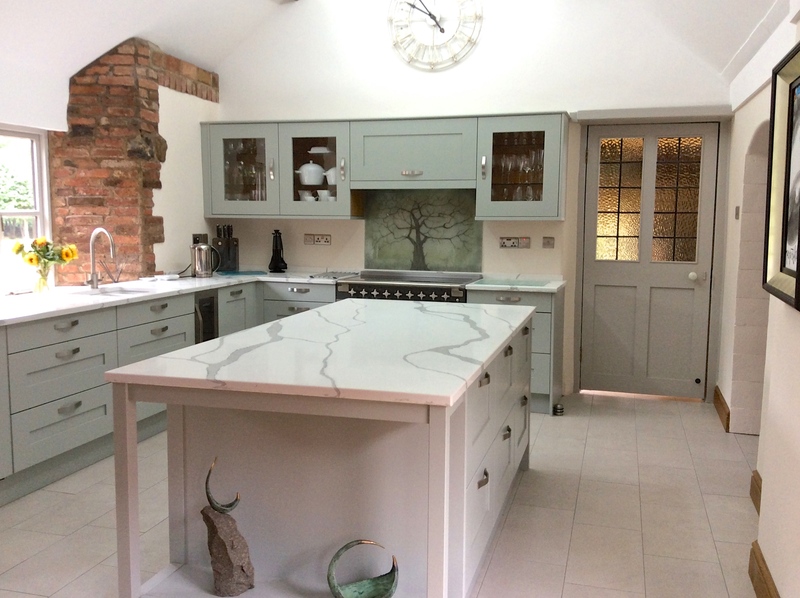 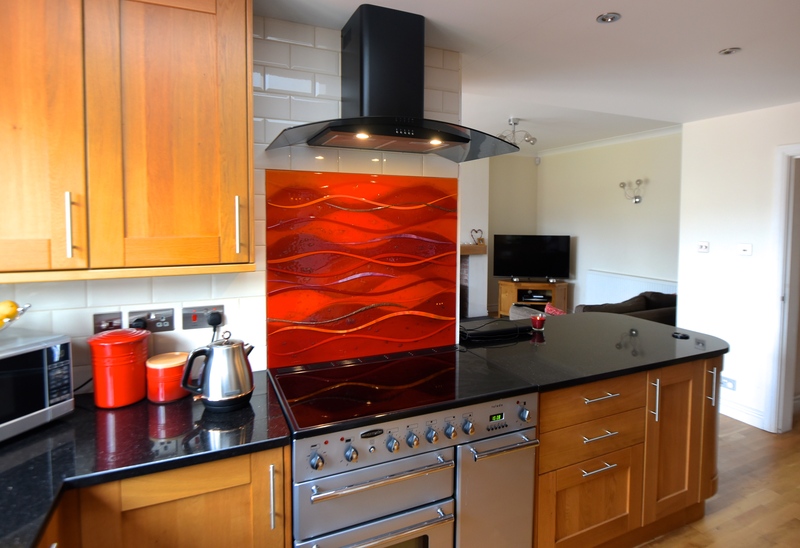 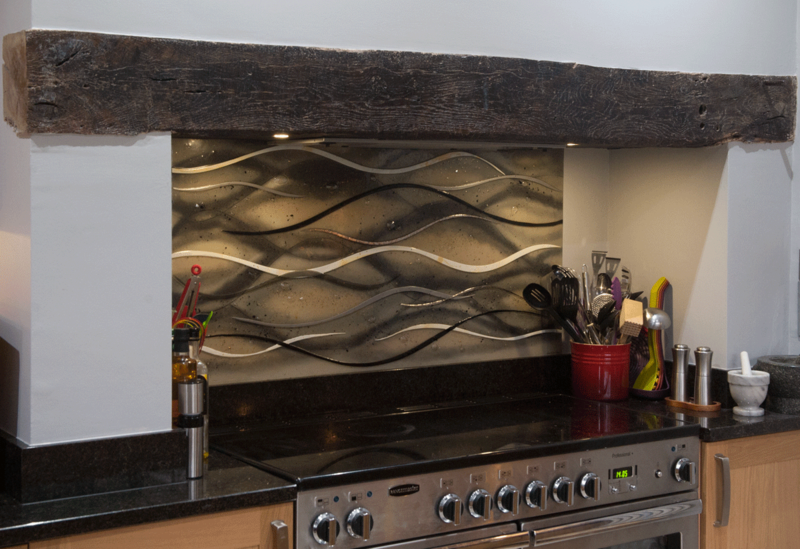 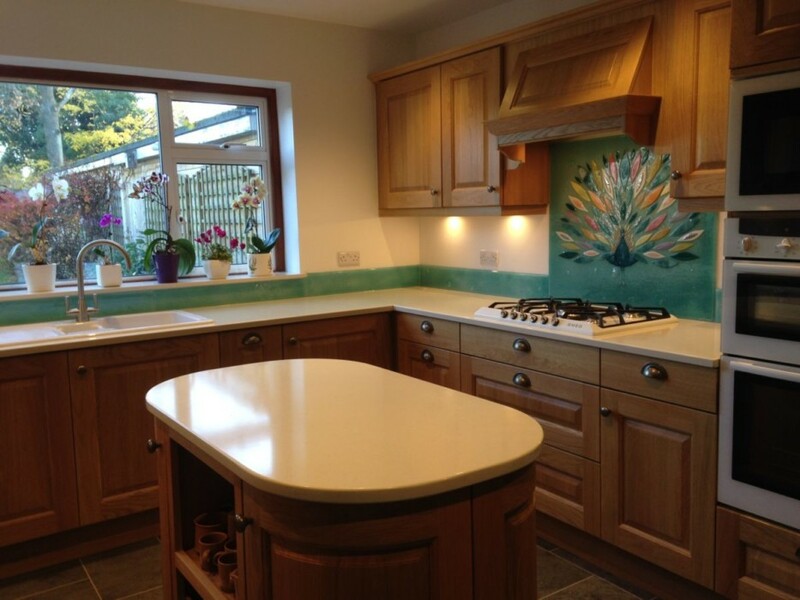 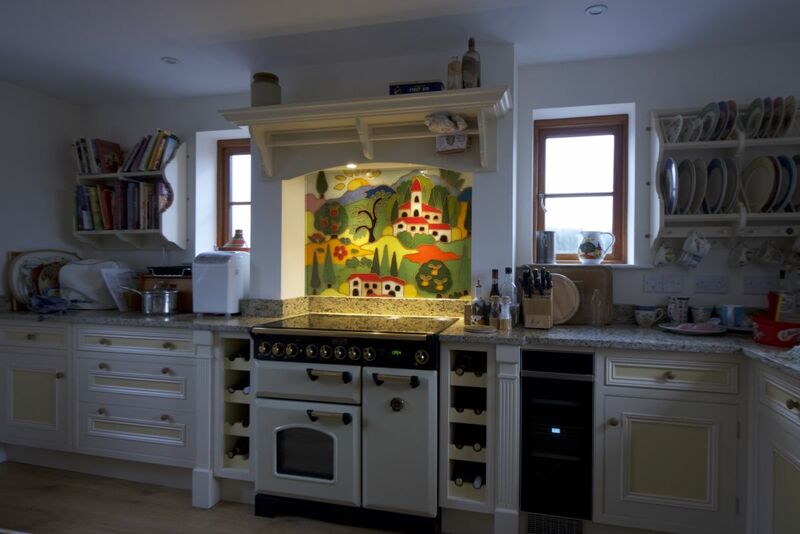 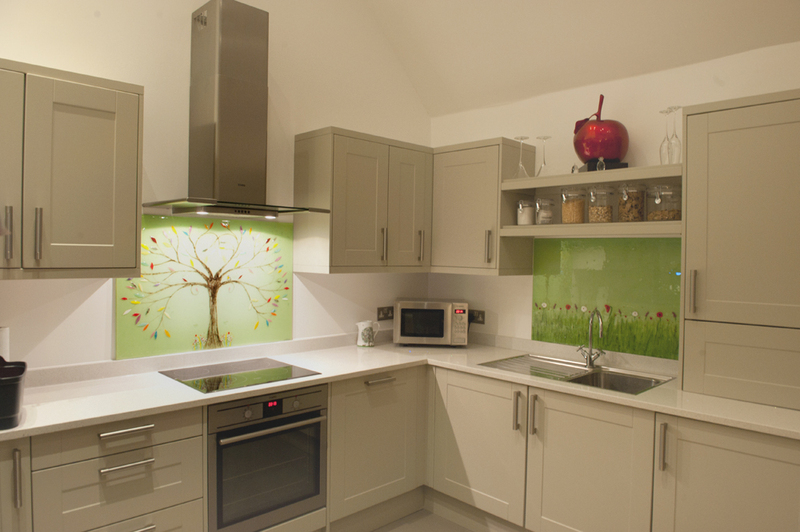 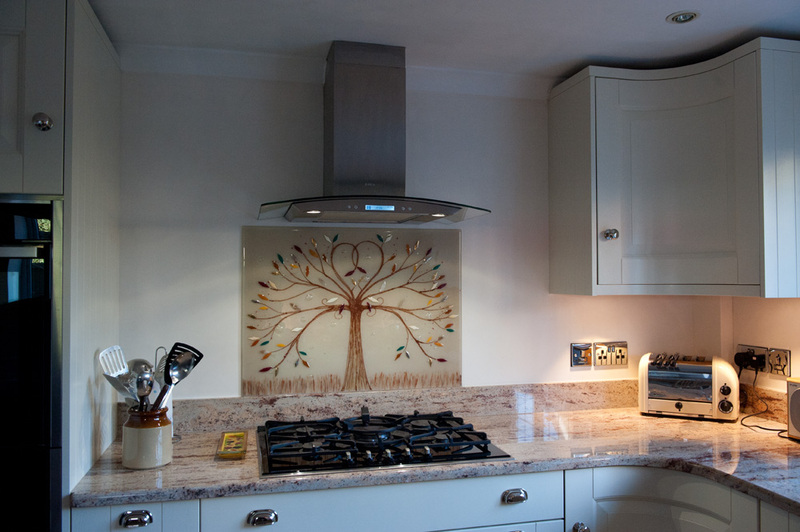 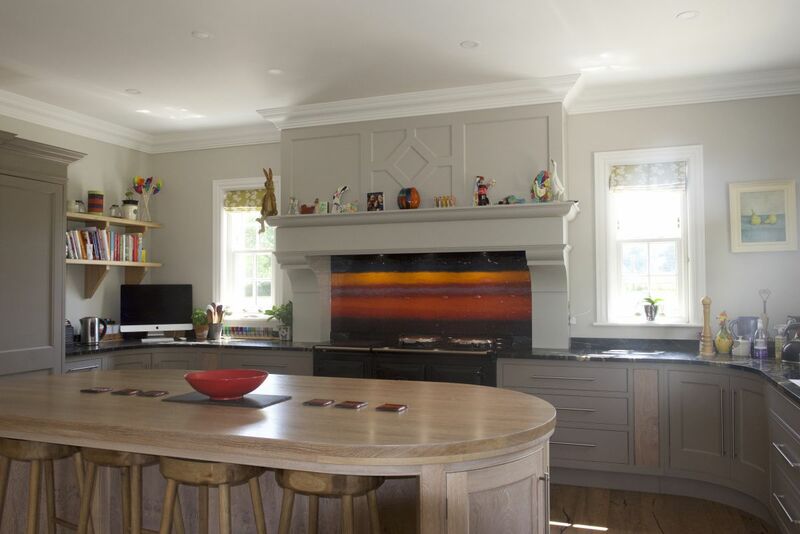 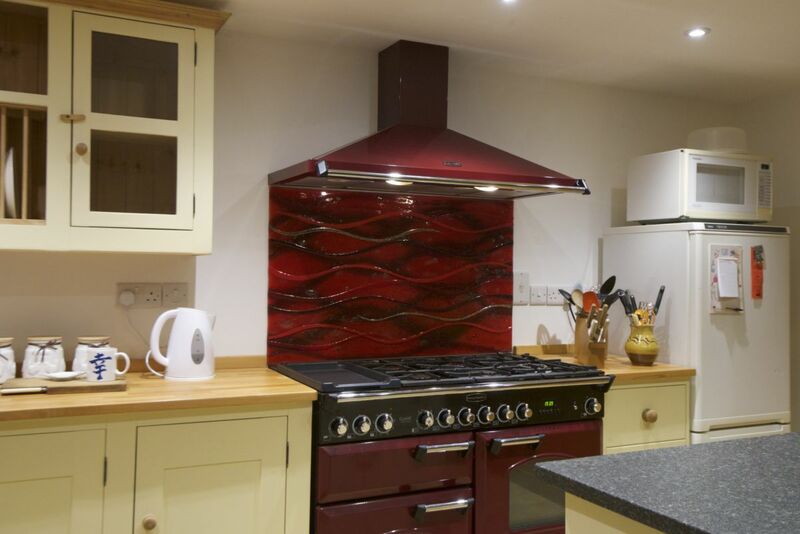 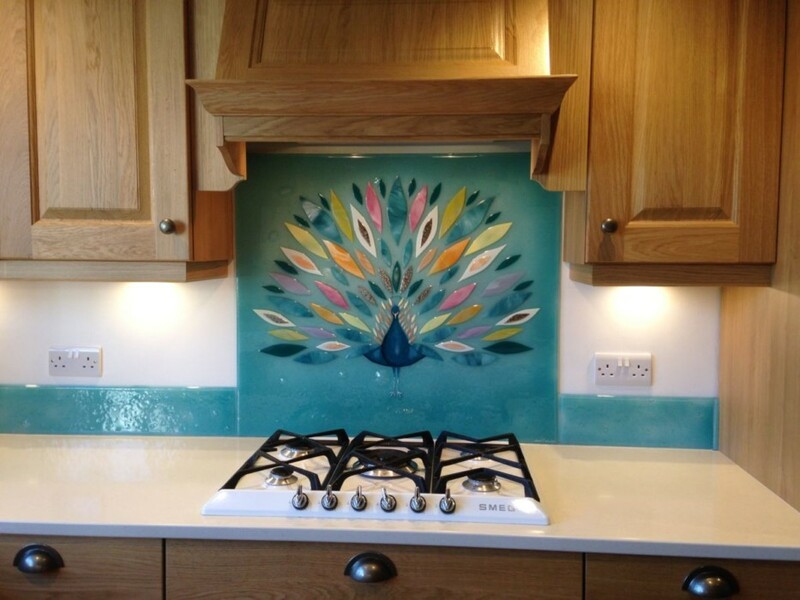 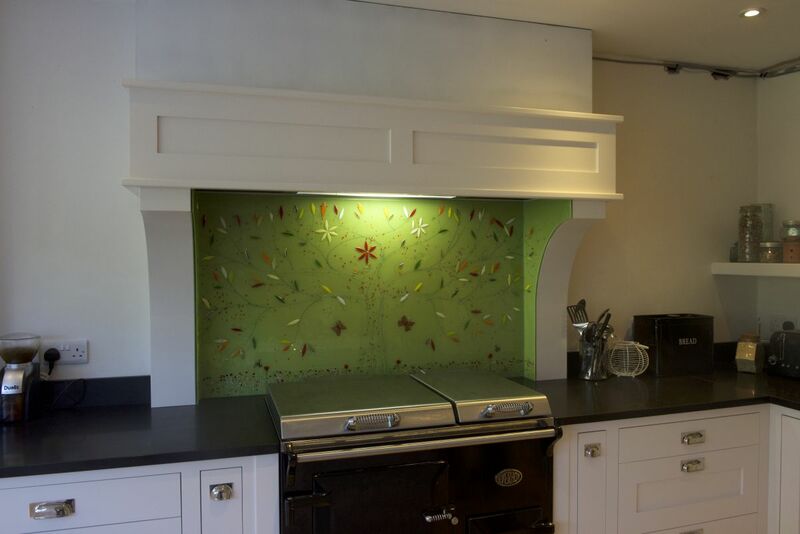 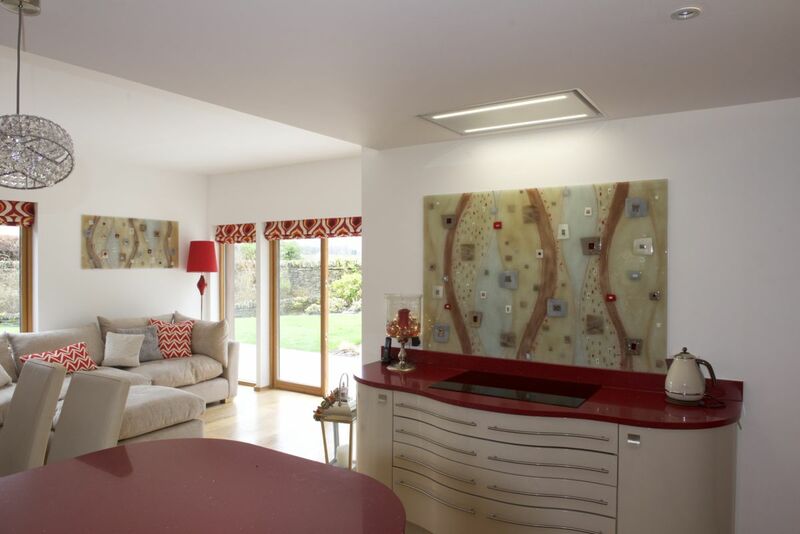 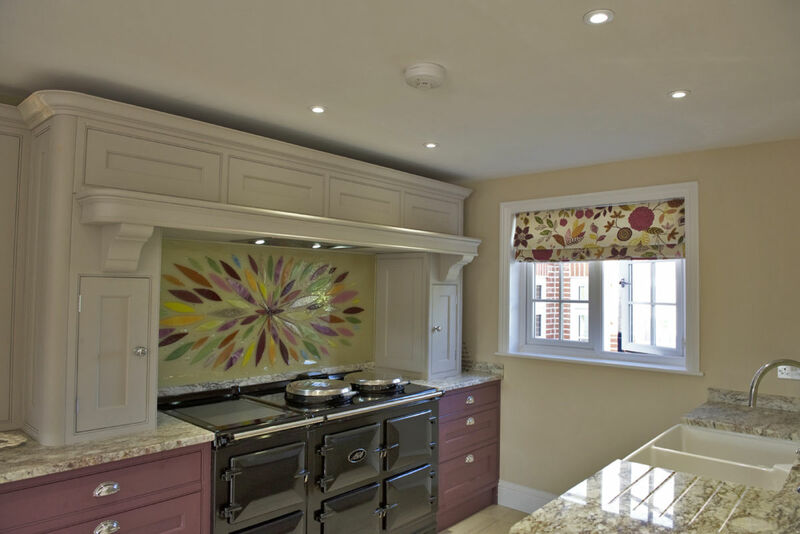 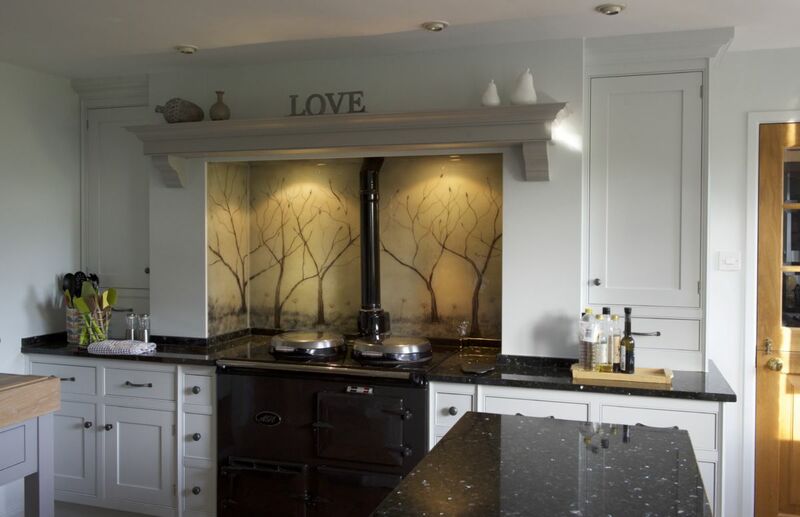 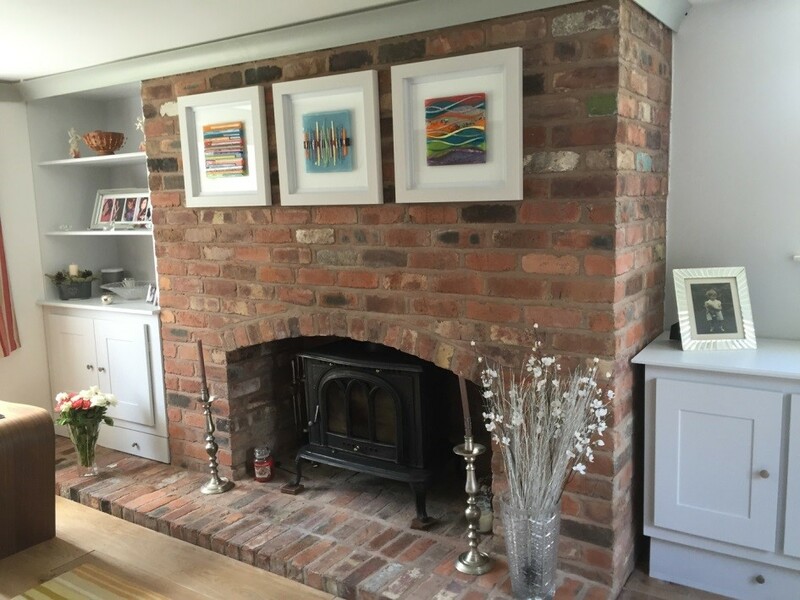 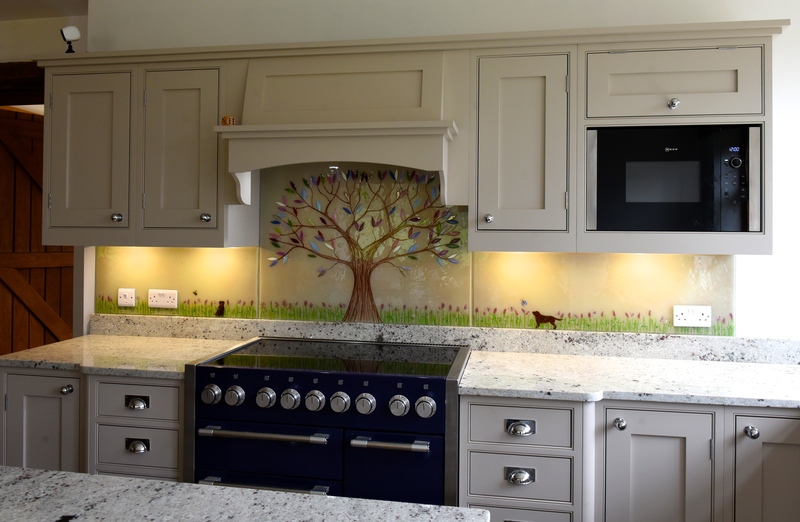 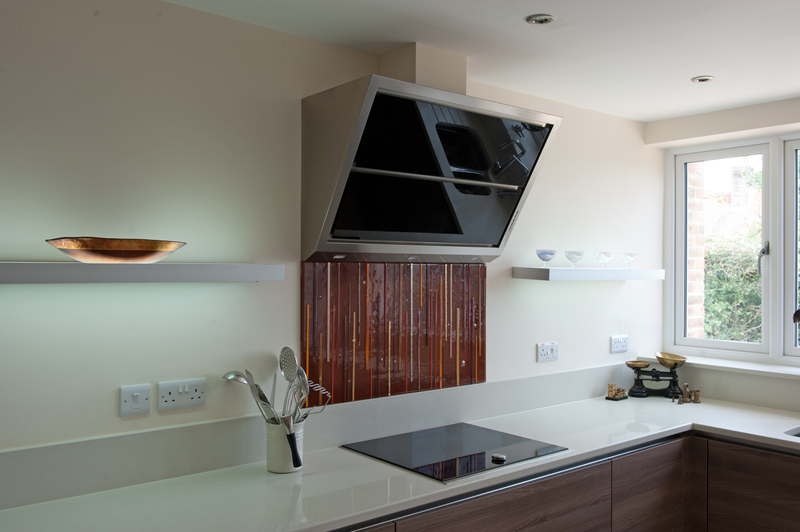 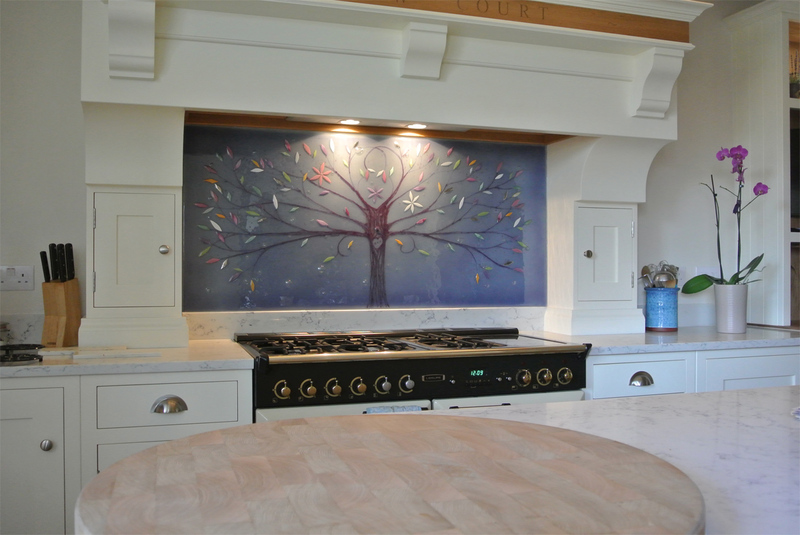 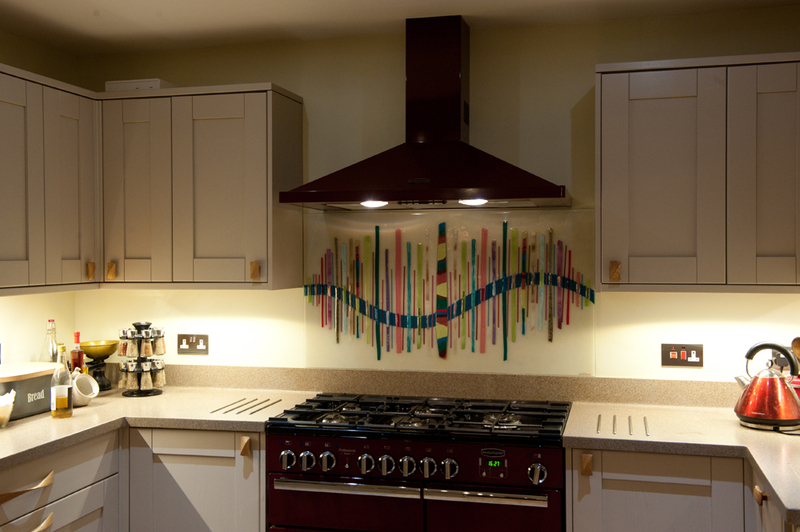 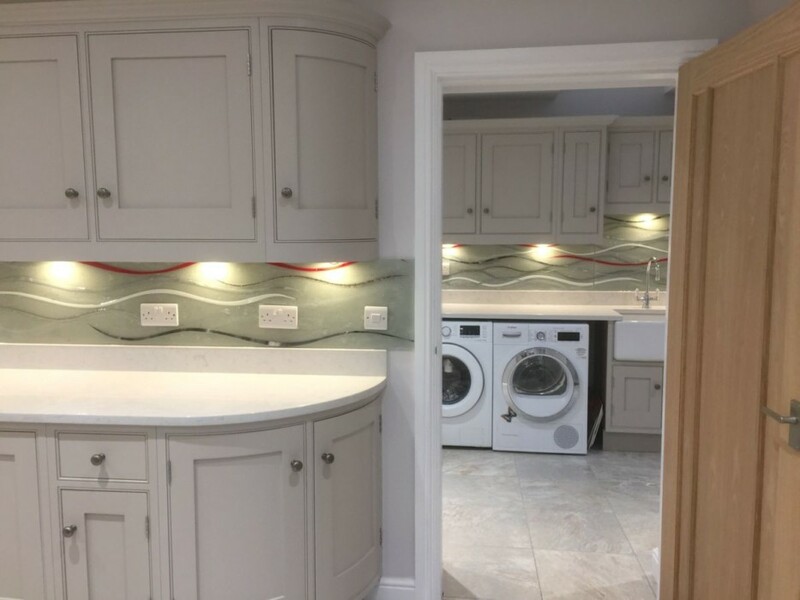 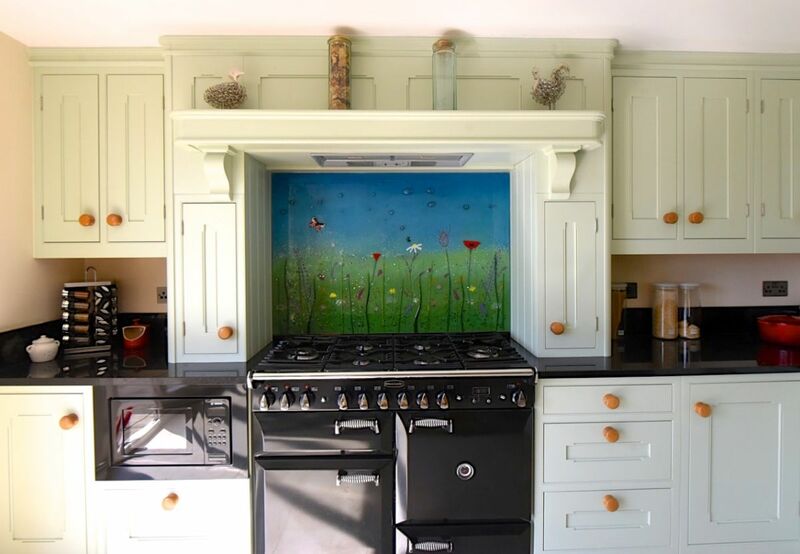 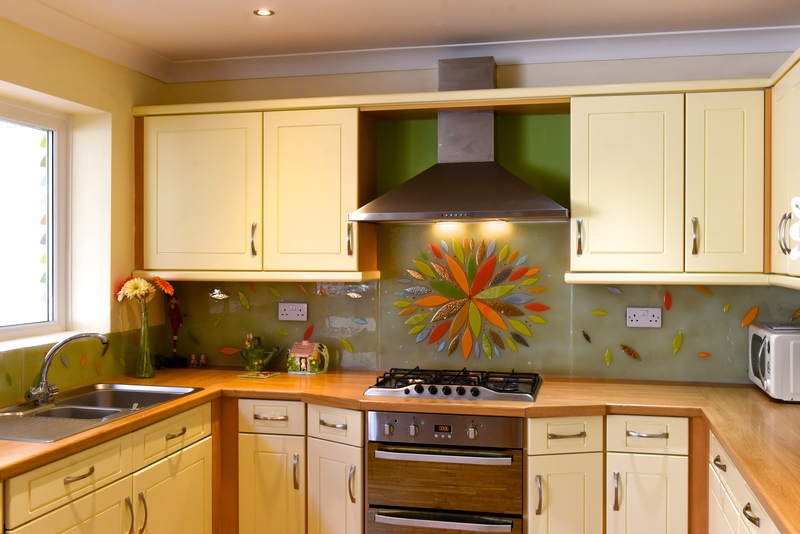 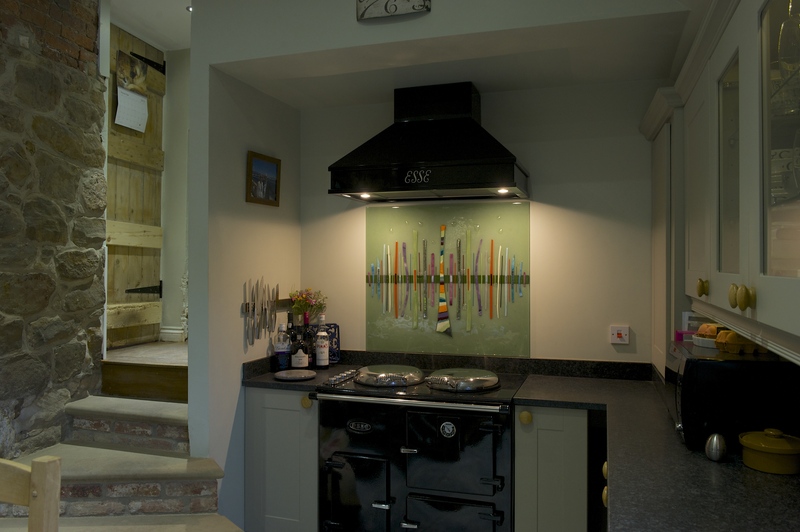 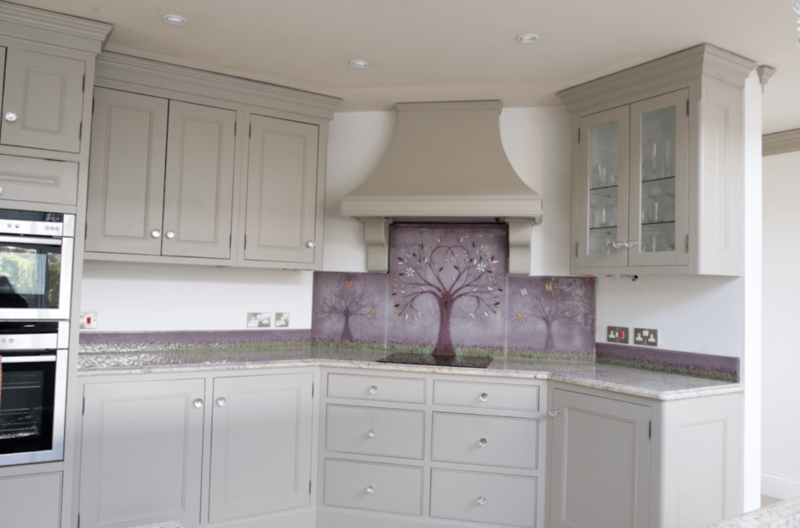 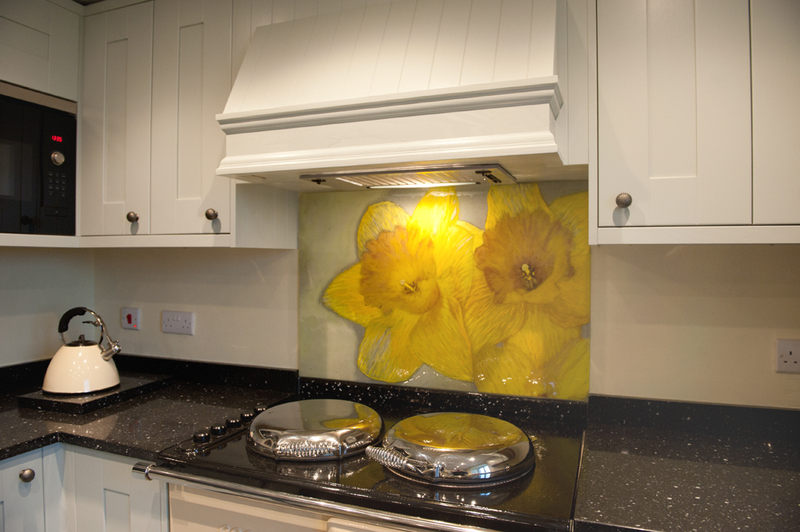 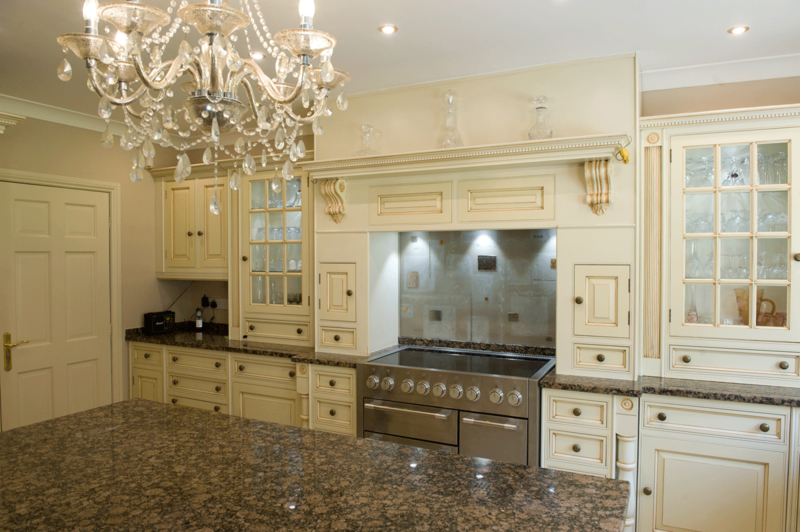 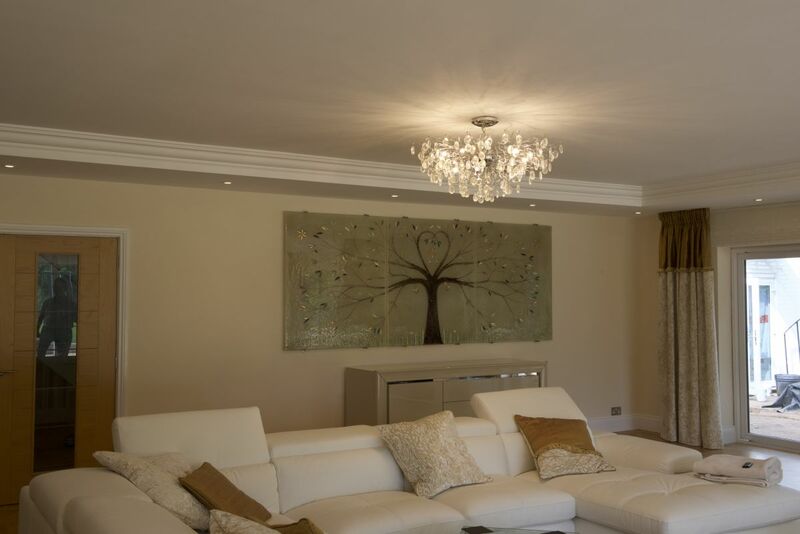 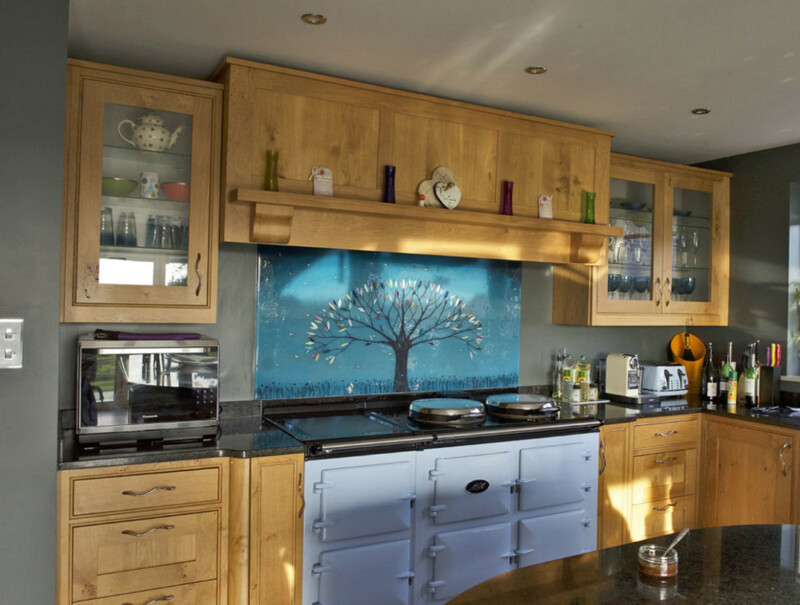 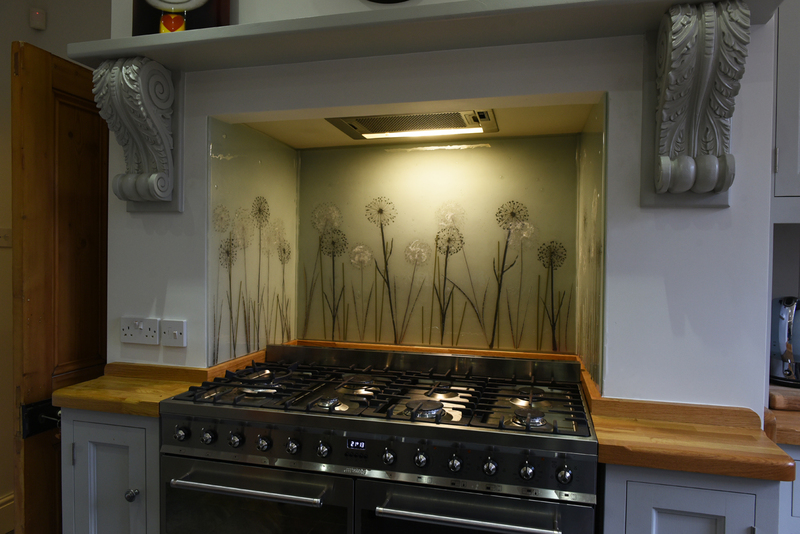 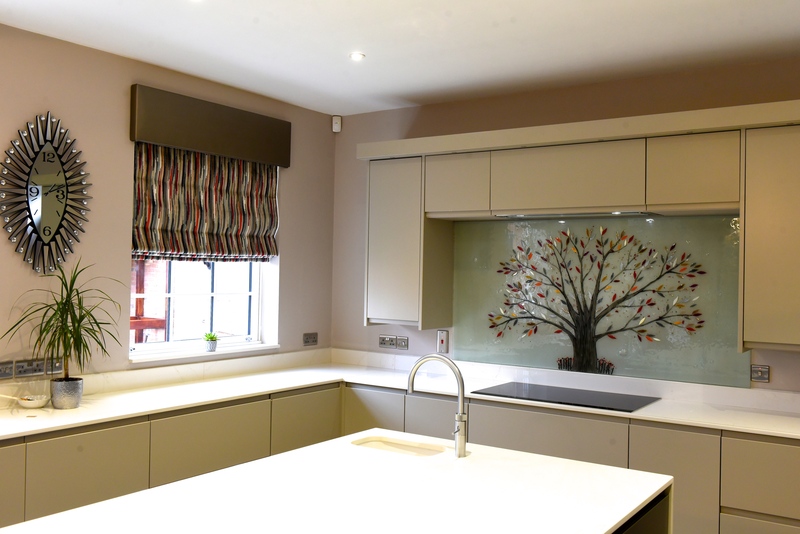 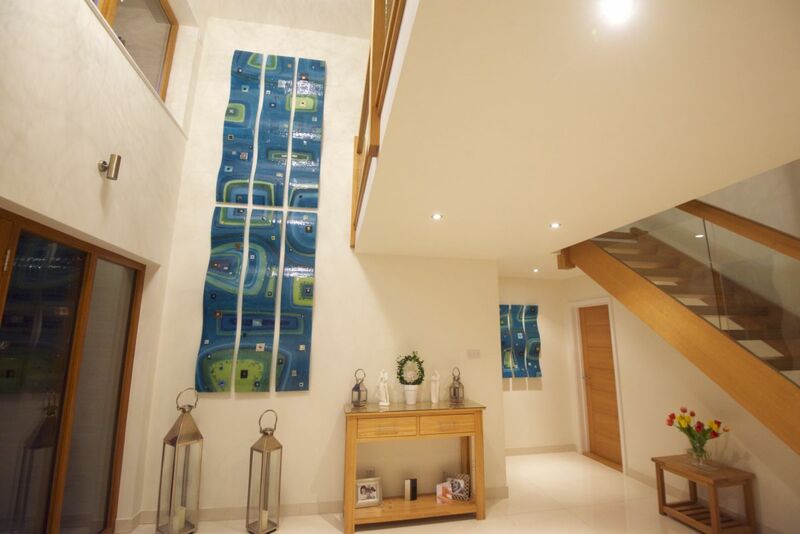 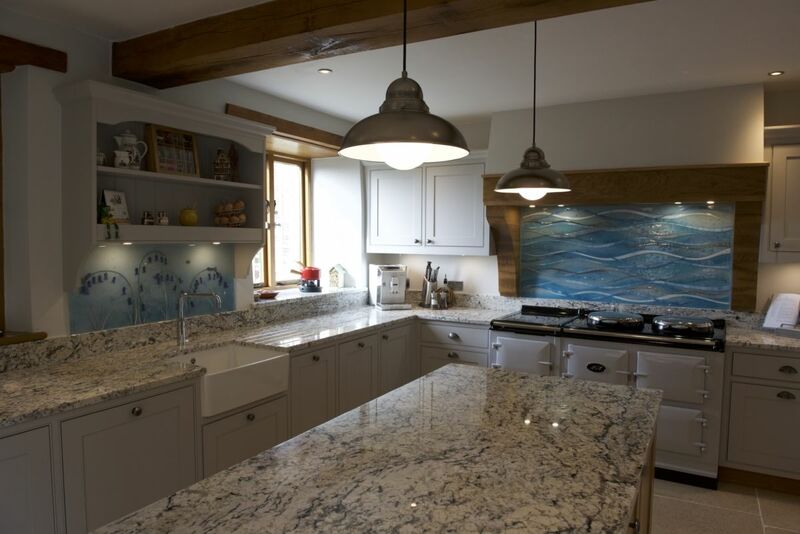 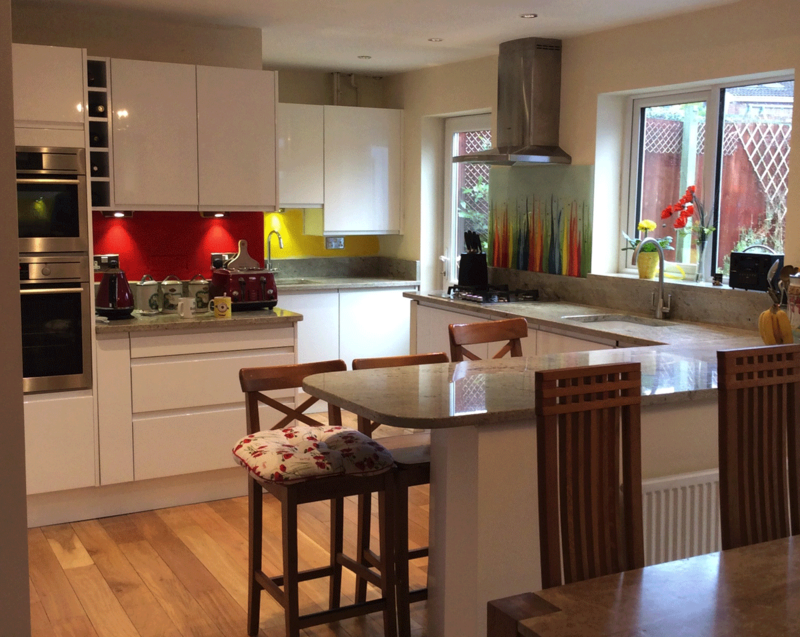 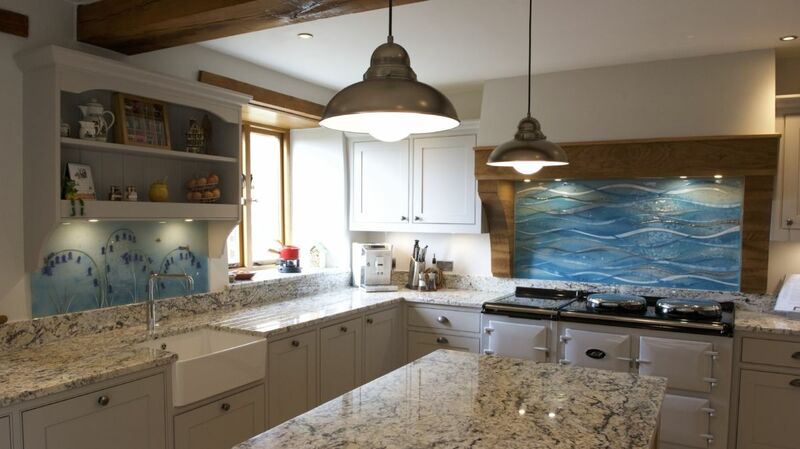 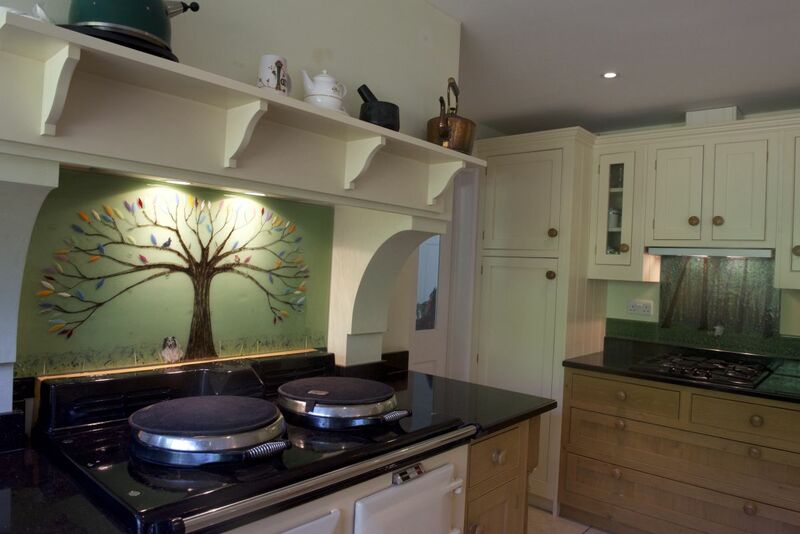 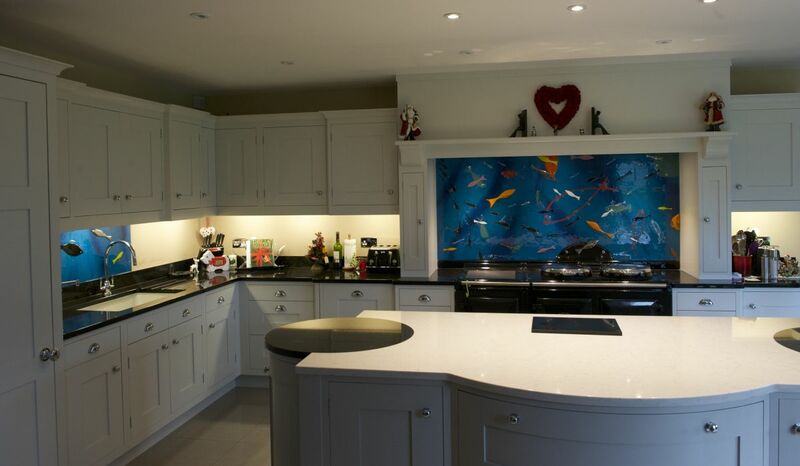 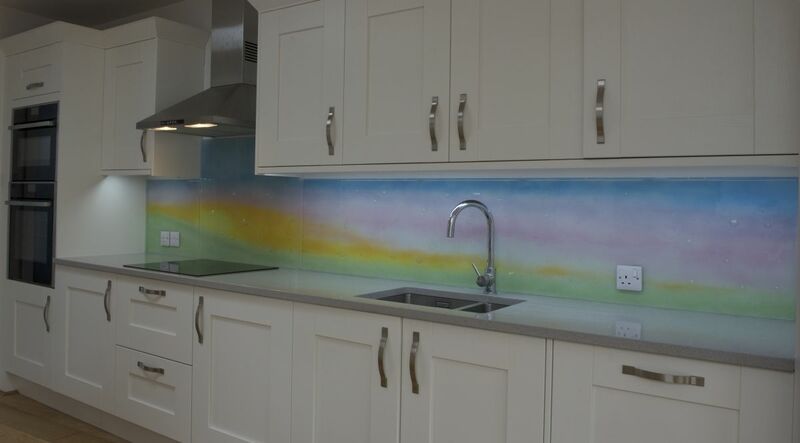 The beautiful pair of bespoke glass splashbacks you see above found a home in Stoke Golding, Leicestershire. 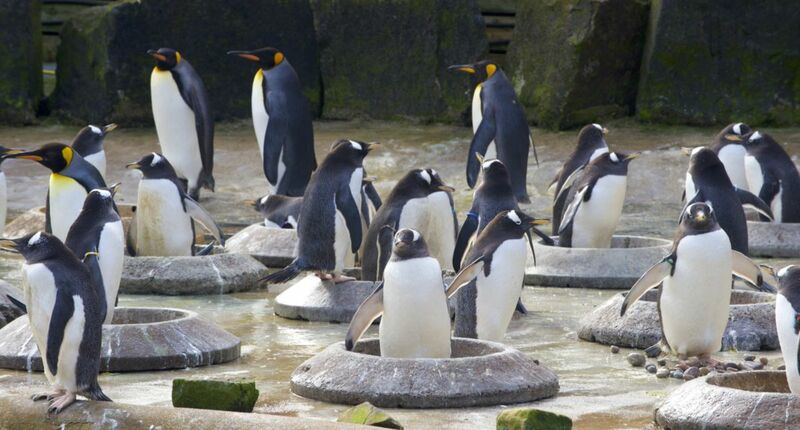 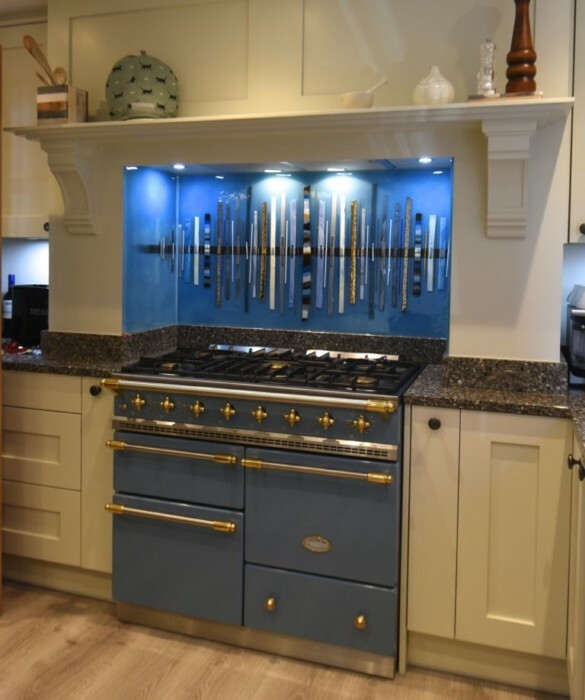 They were created with the existing central feature in mind, destined not to go behind the cooker but to complement perfectly what was already there. 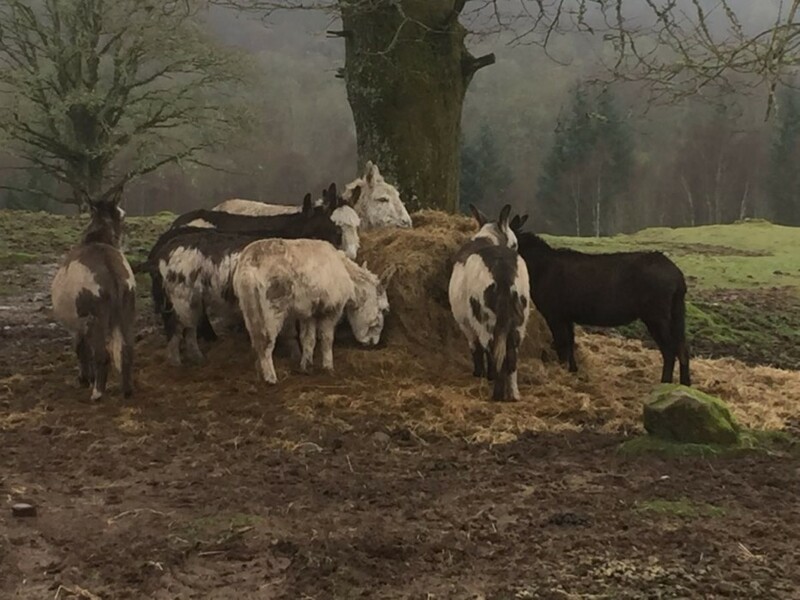 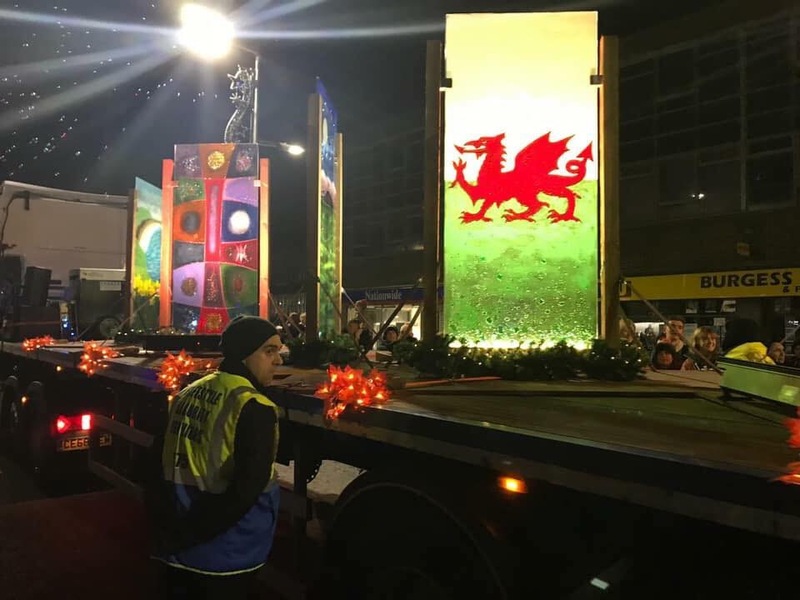 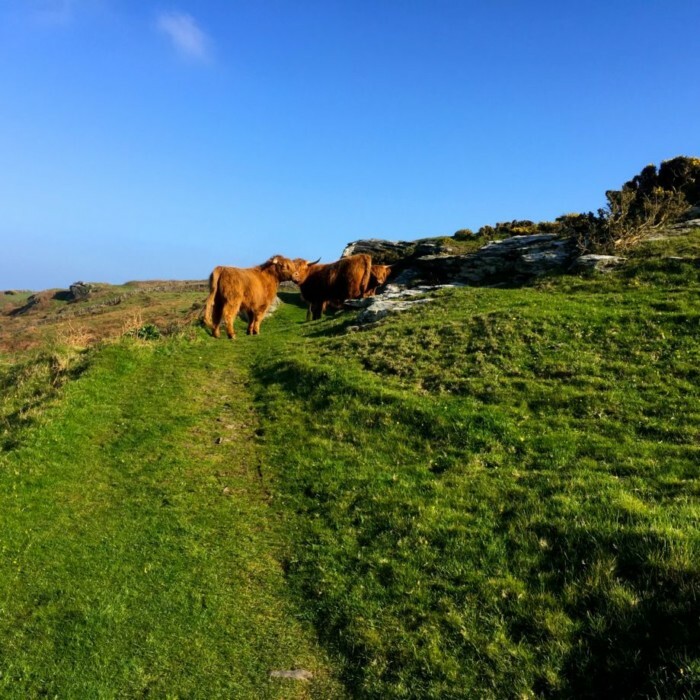 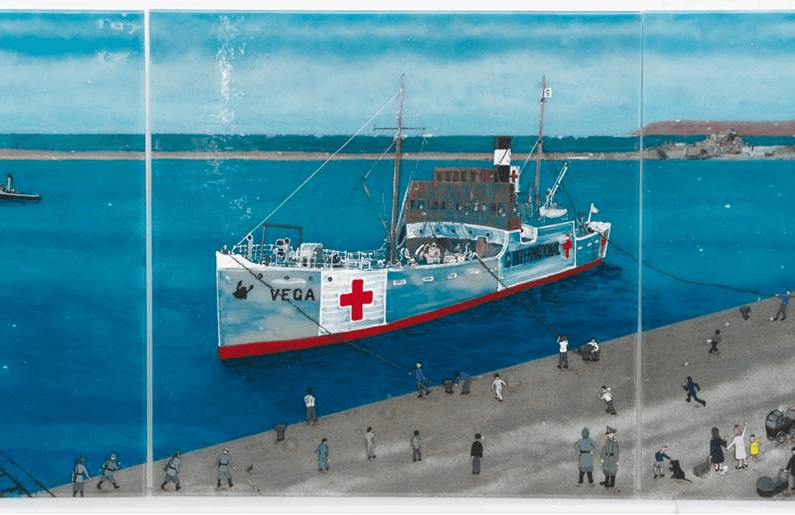 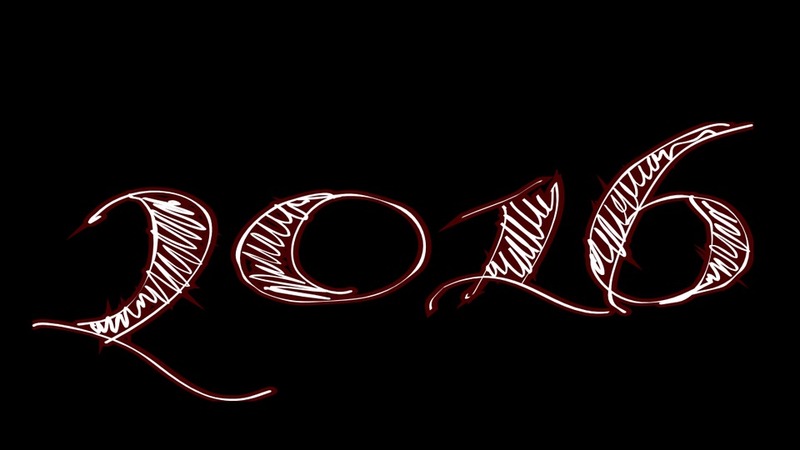 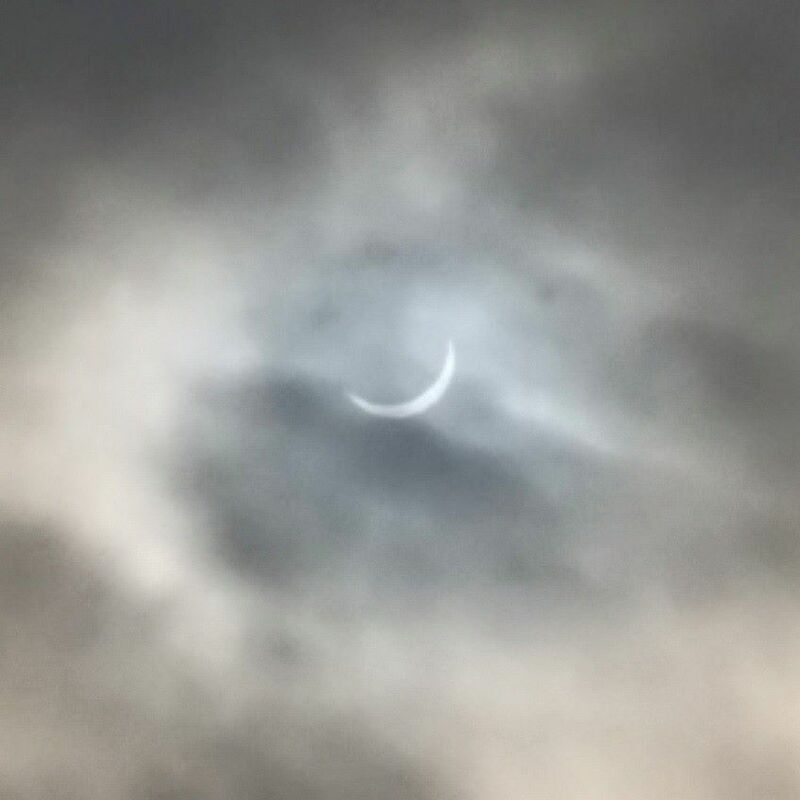 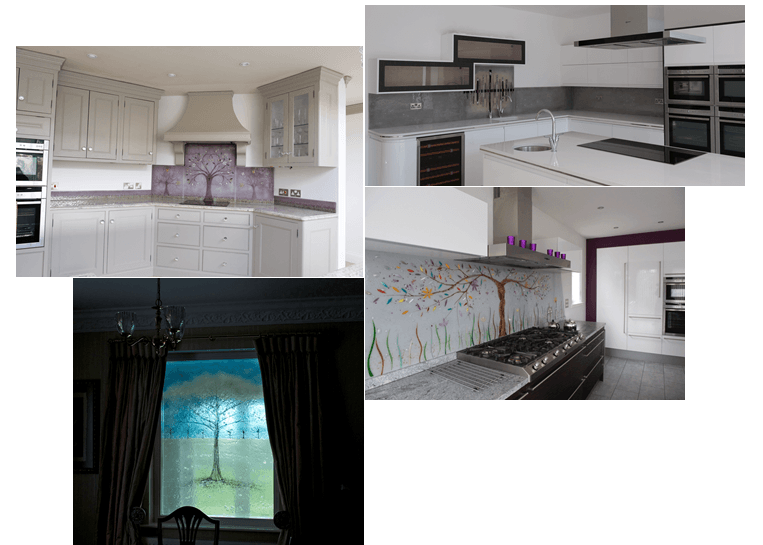 Today, we thought we’d share some words about it in the blog, and of course, show you the work in all its glory! 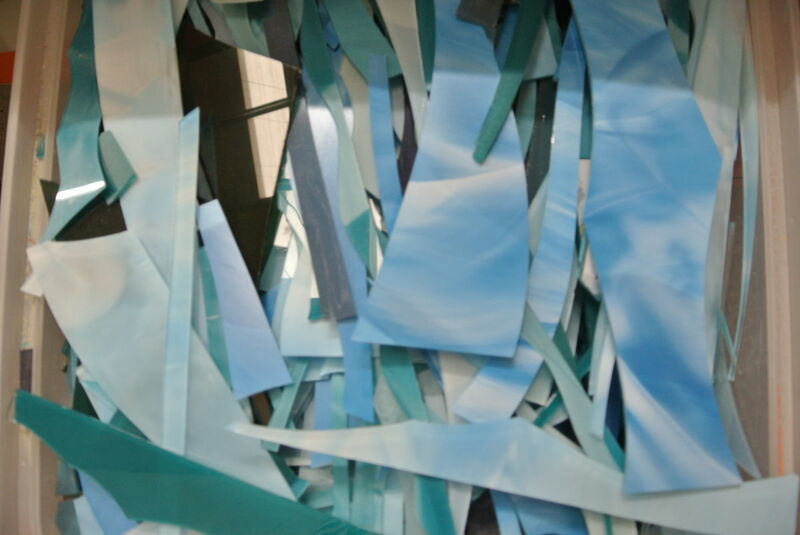 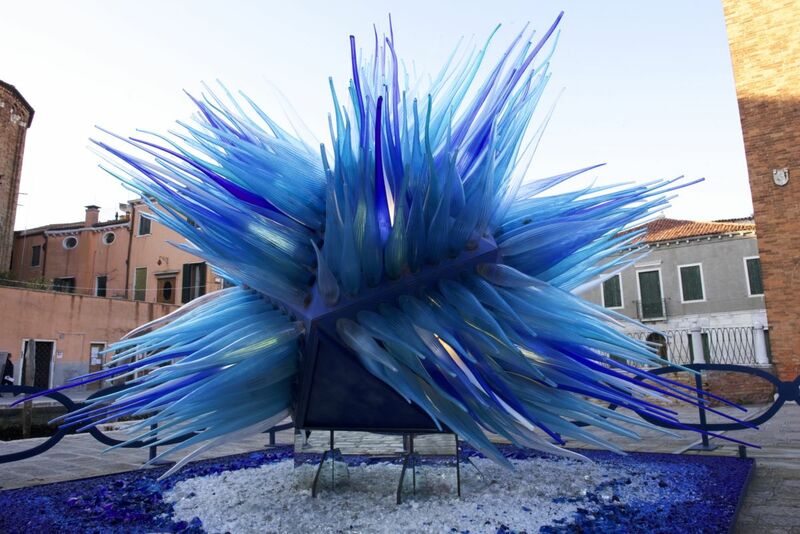 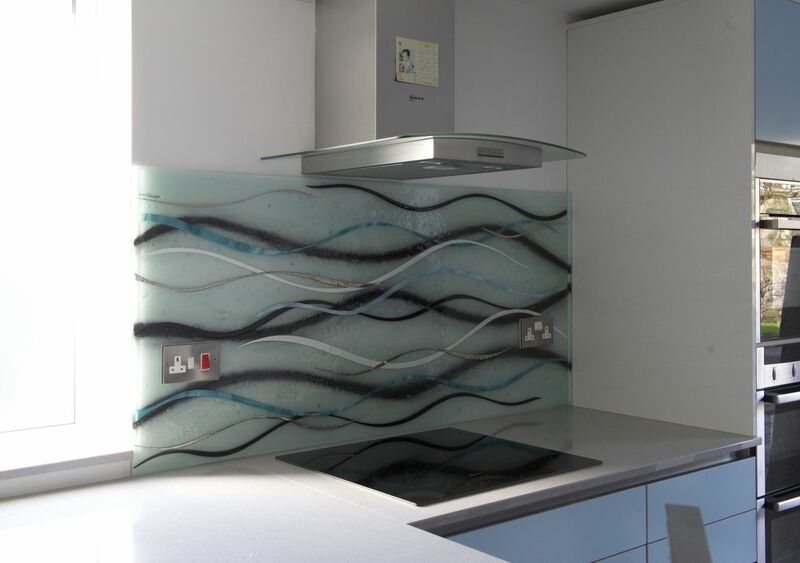 The design centres around a background of beautifully deep cerulean blue, with an abstract scattering of flakes across the top layer of the glass. 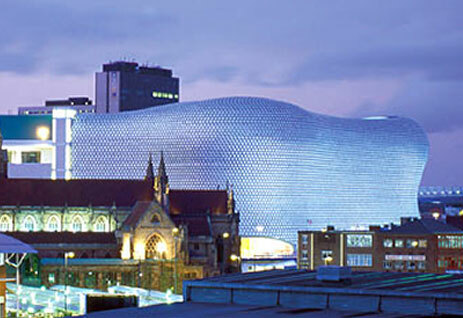 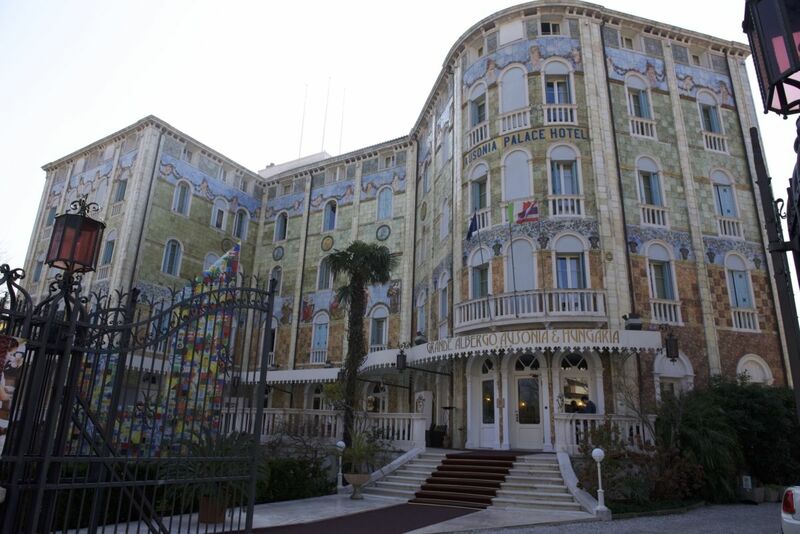 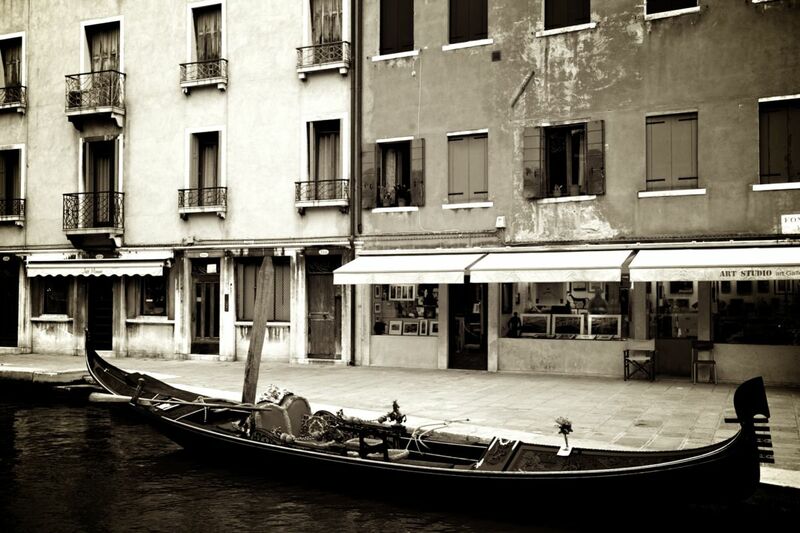 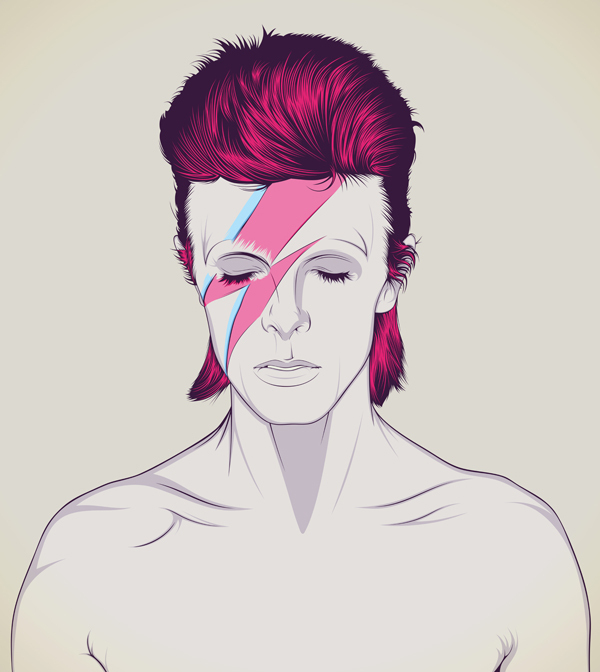 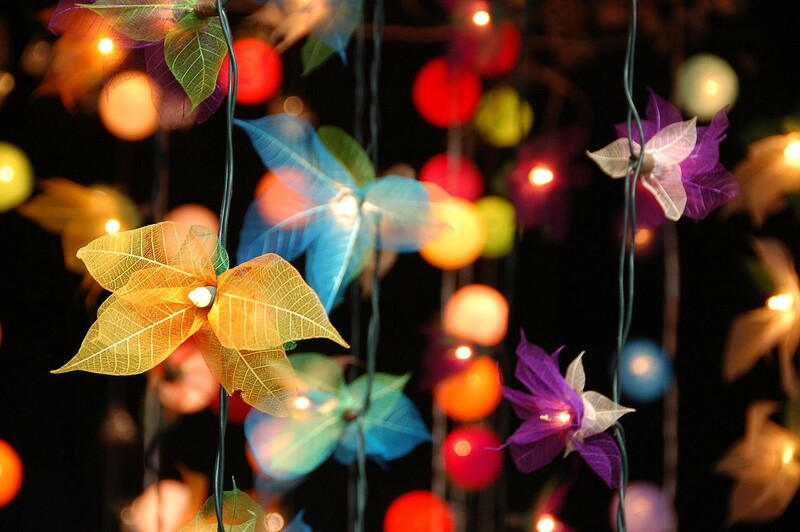 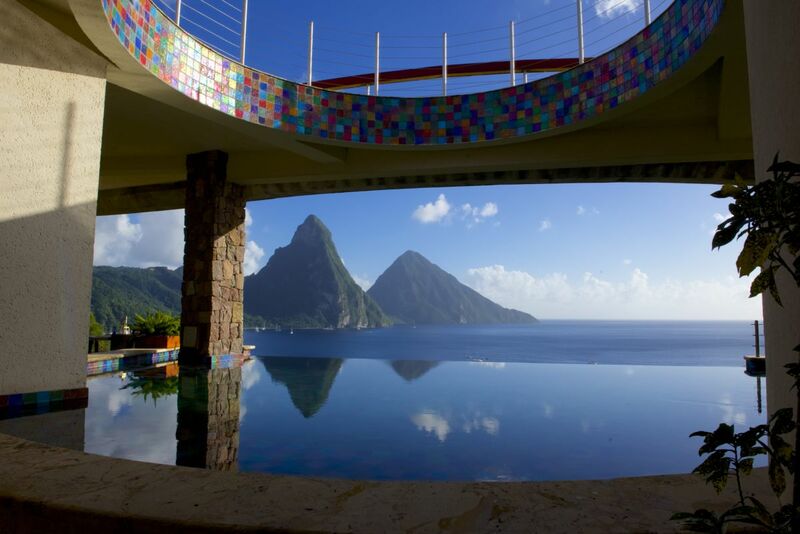 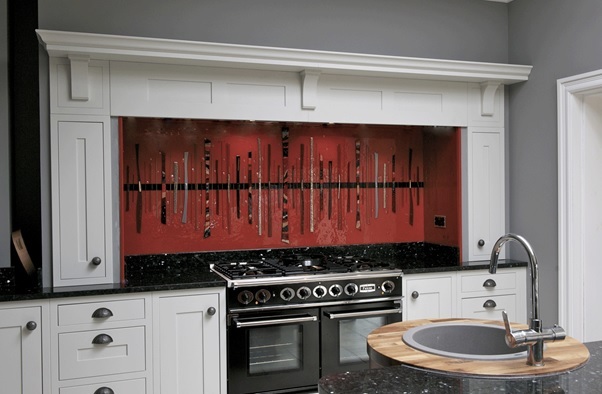 This not only adds depth but makes for a visually exciting design that grabs all the right kinds of attention. 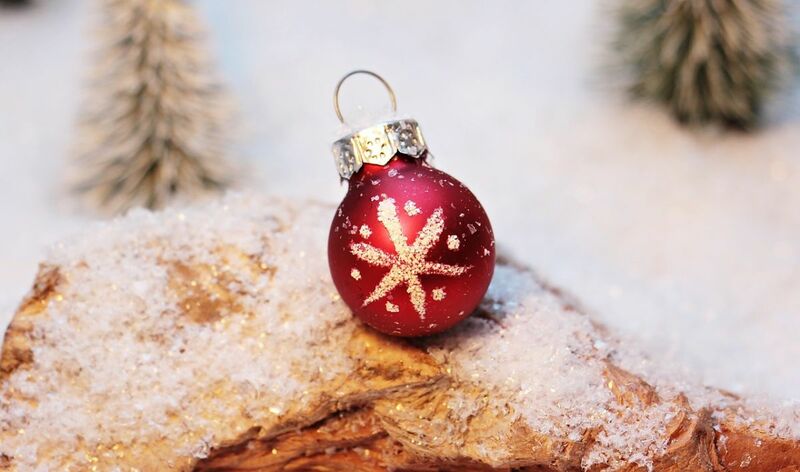 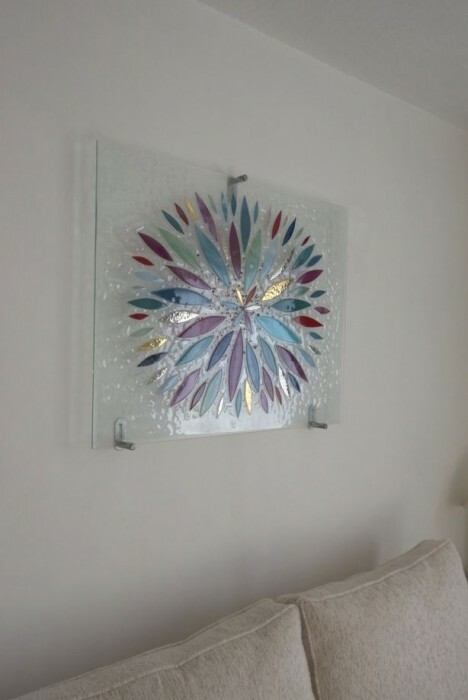 Each flake is different from the last, in both size, shape and colour, making the piece one of our most unique to date. 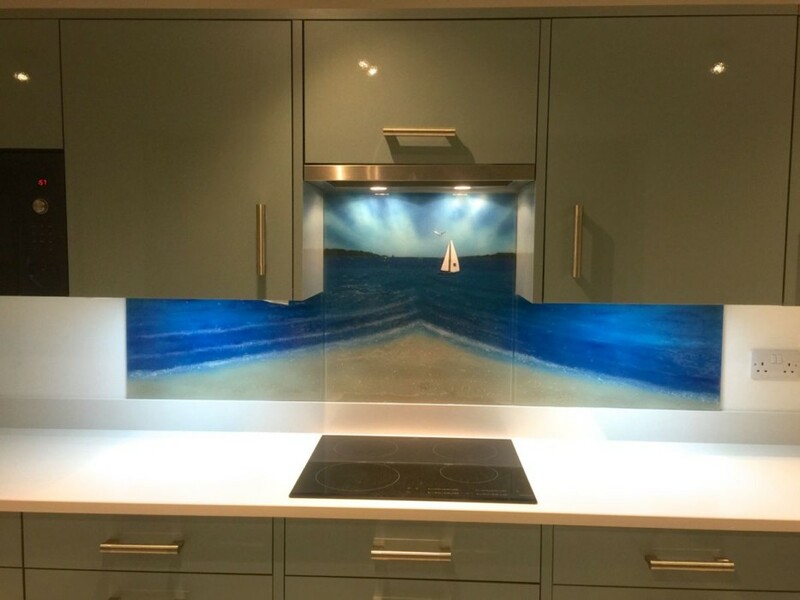 The cool shade of the glass also perfectly matches the blue tones of the kitchen. 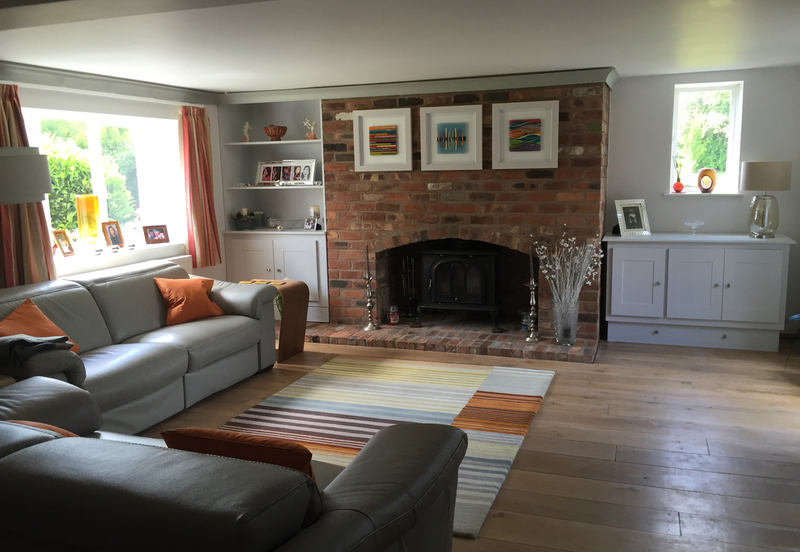 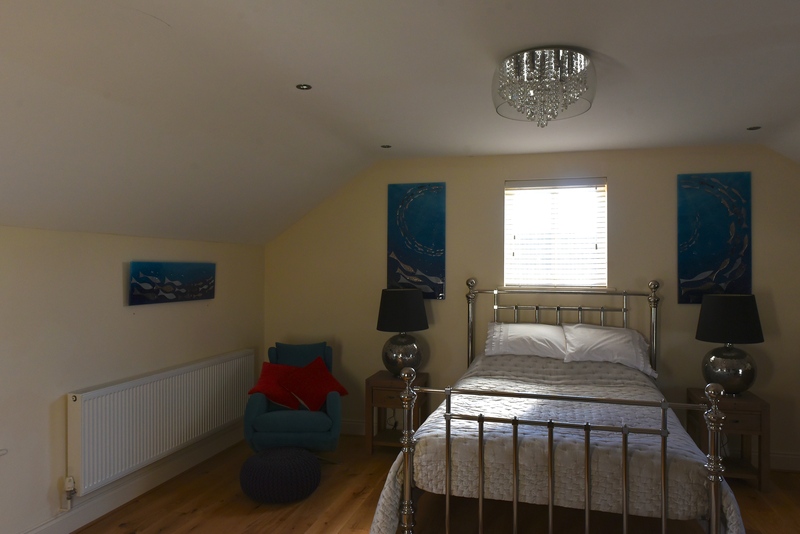 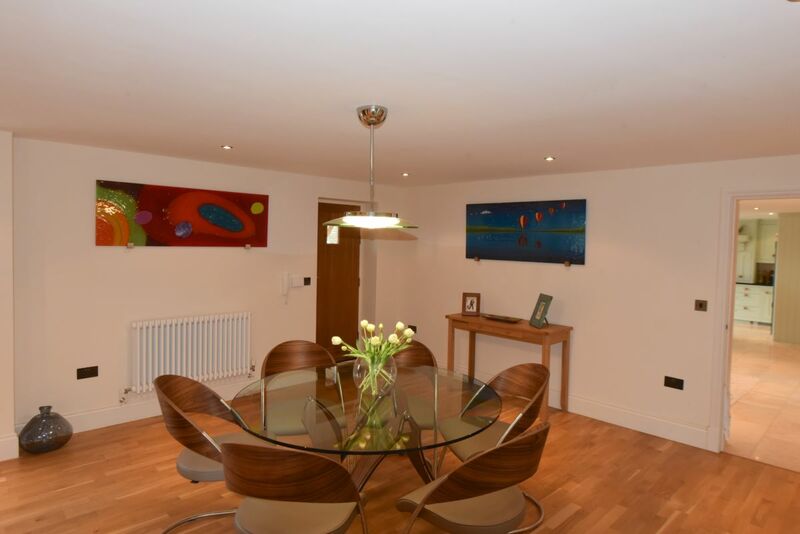 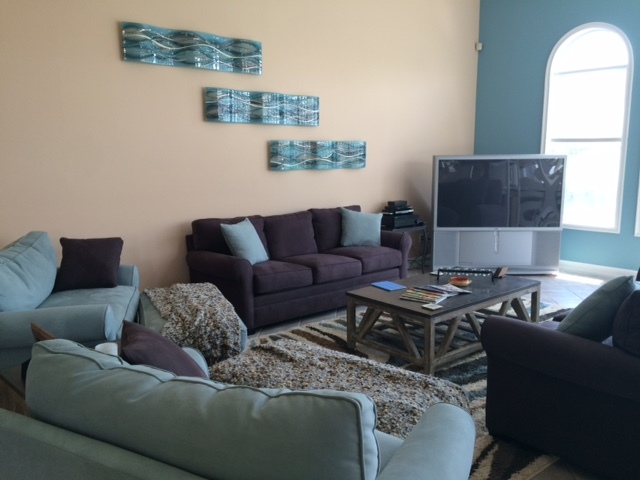 Once everything was put in the place, the room really tied together nicely with the neutral white furniture and warmer wooden flooring all working together to make for a stunning end result. 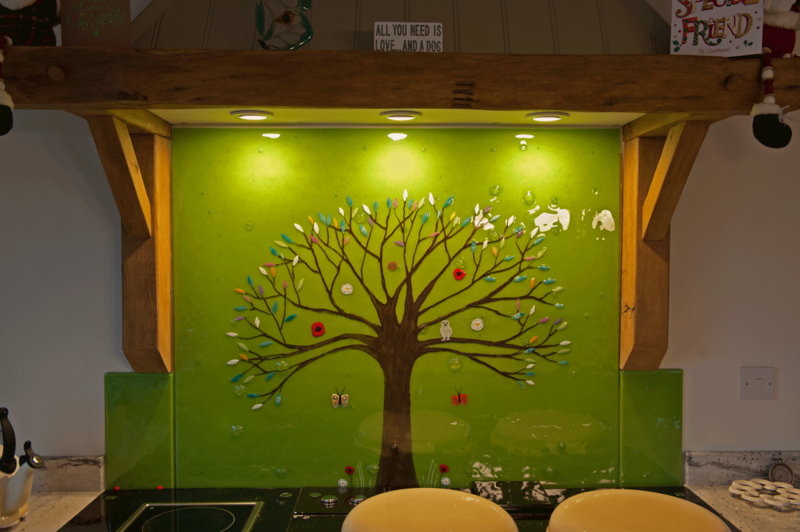 Needless to say, we’re huge fans of how the whole project turned out. 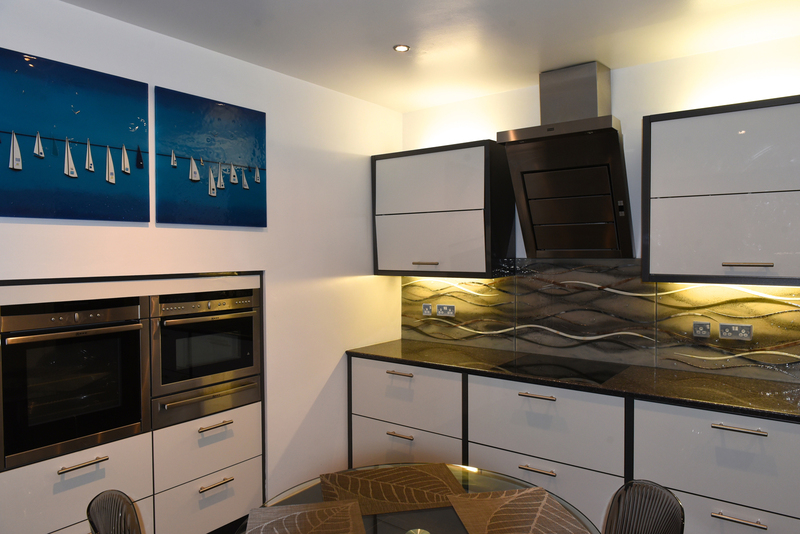 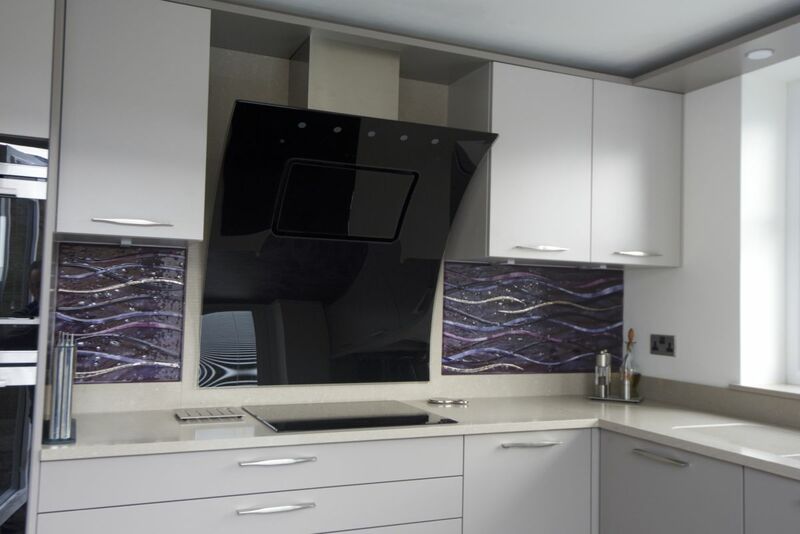 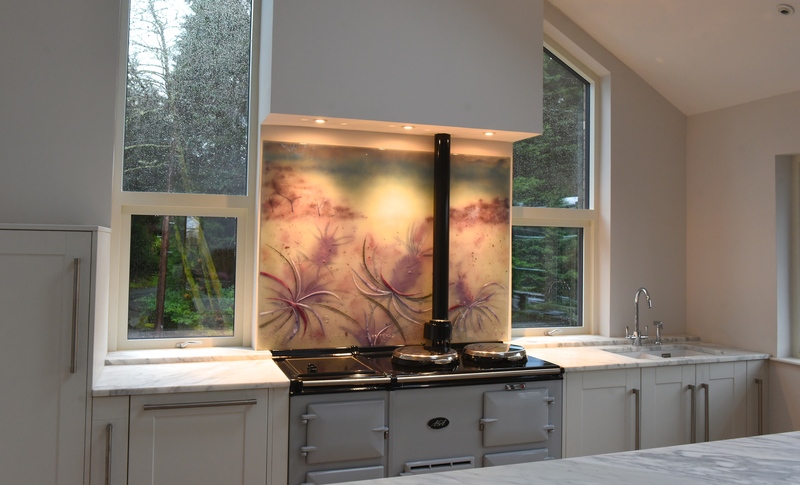 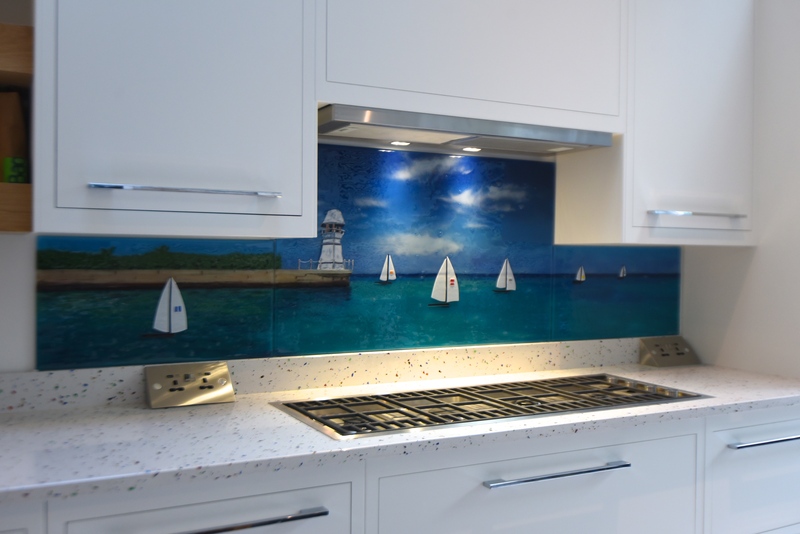 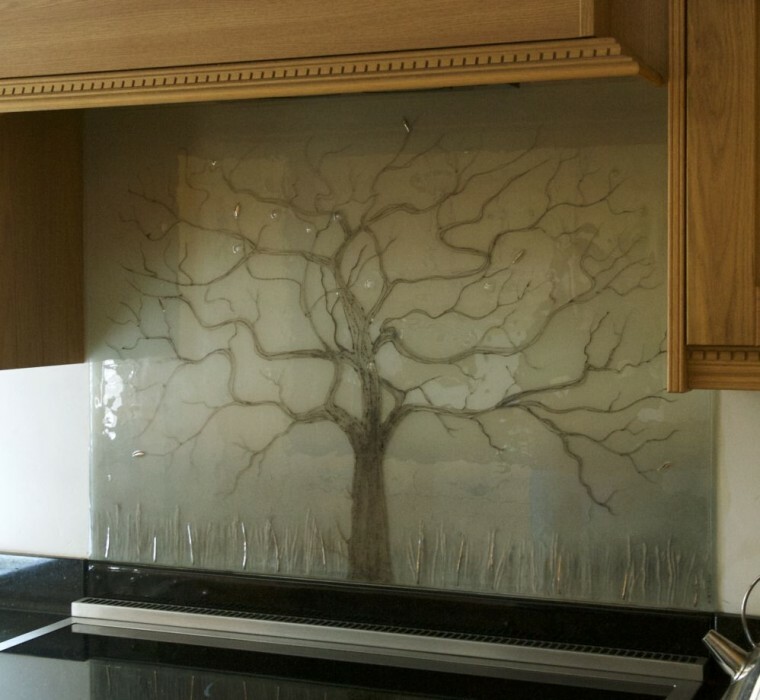 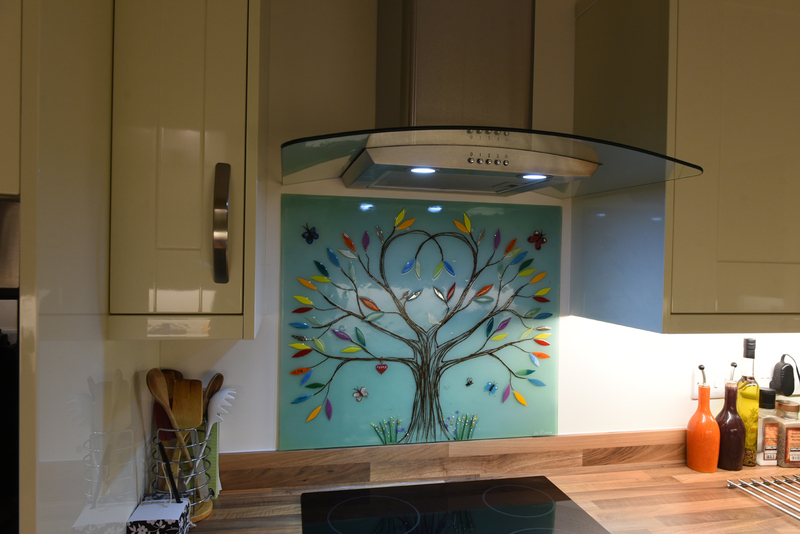 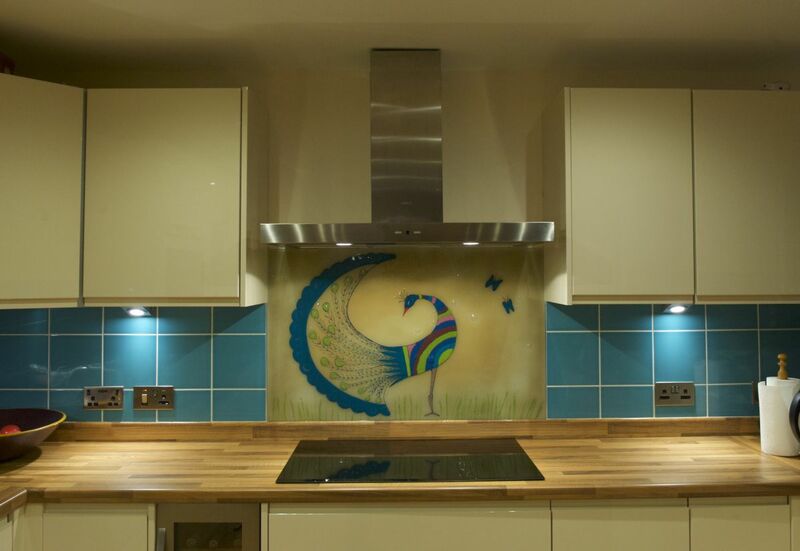 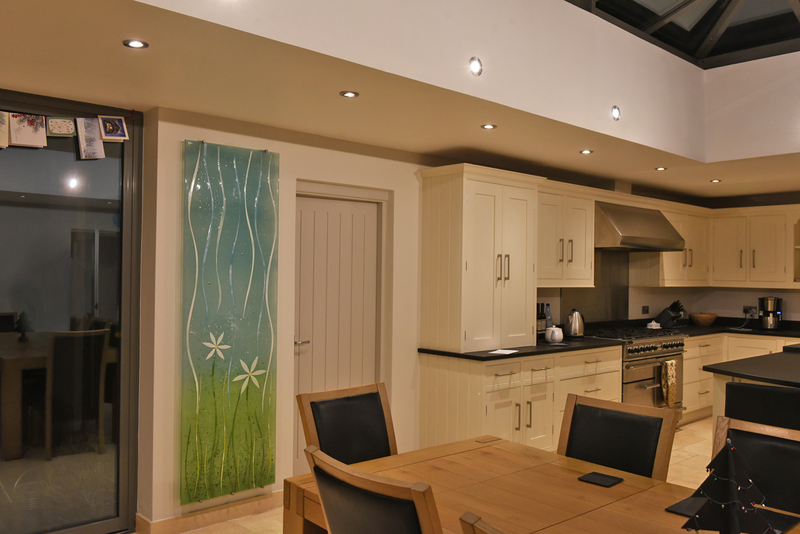 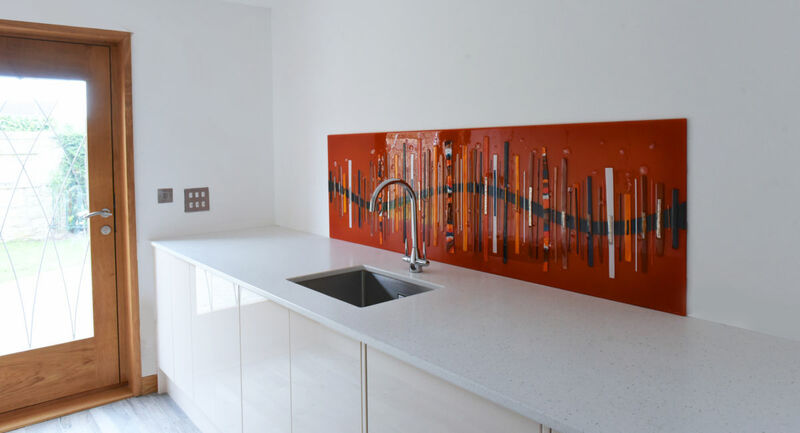 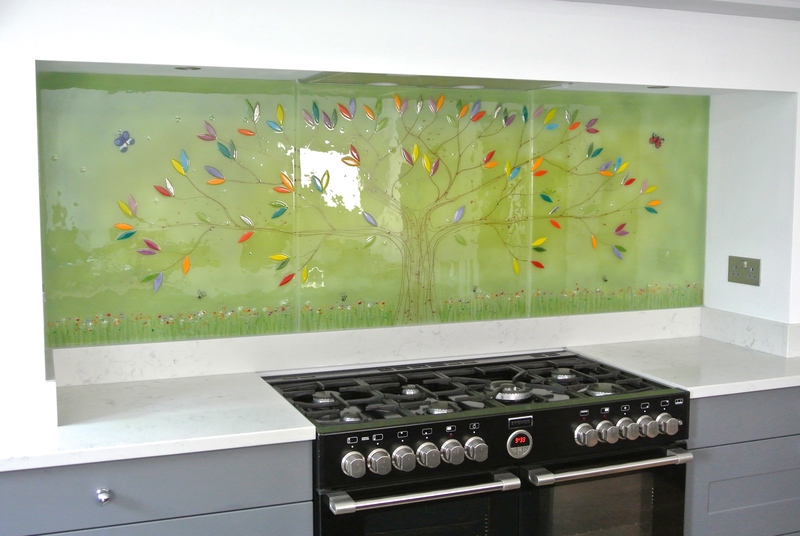 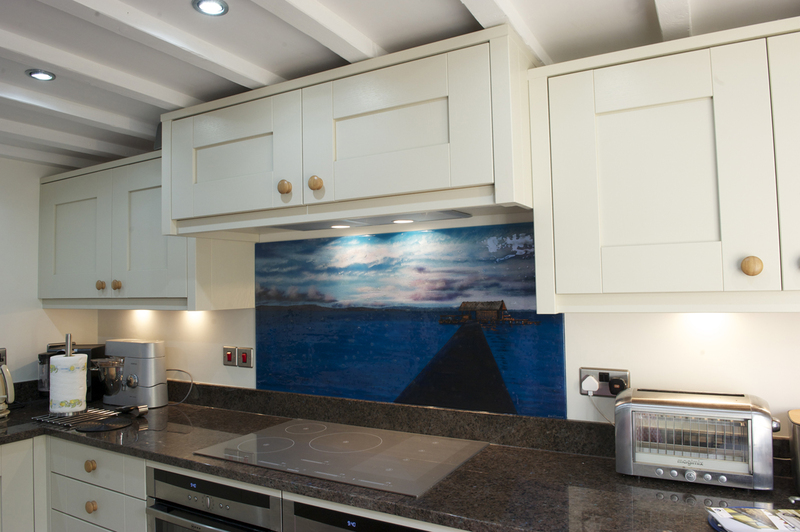 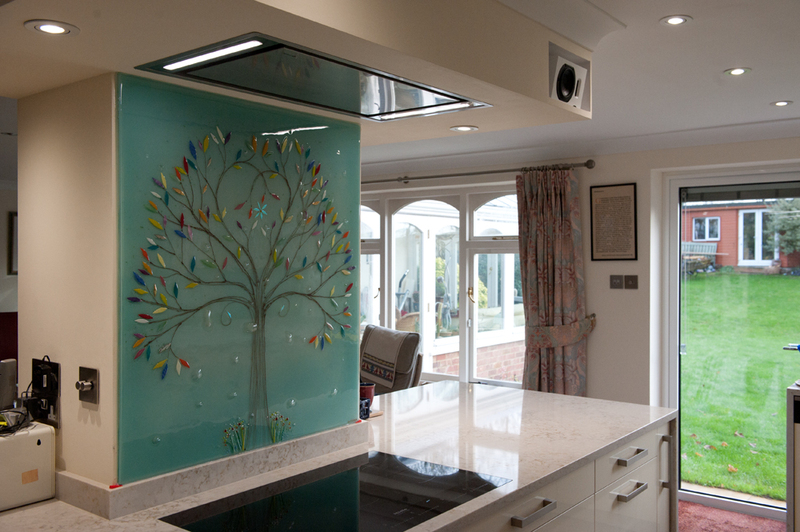 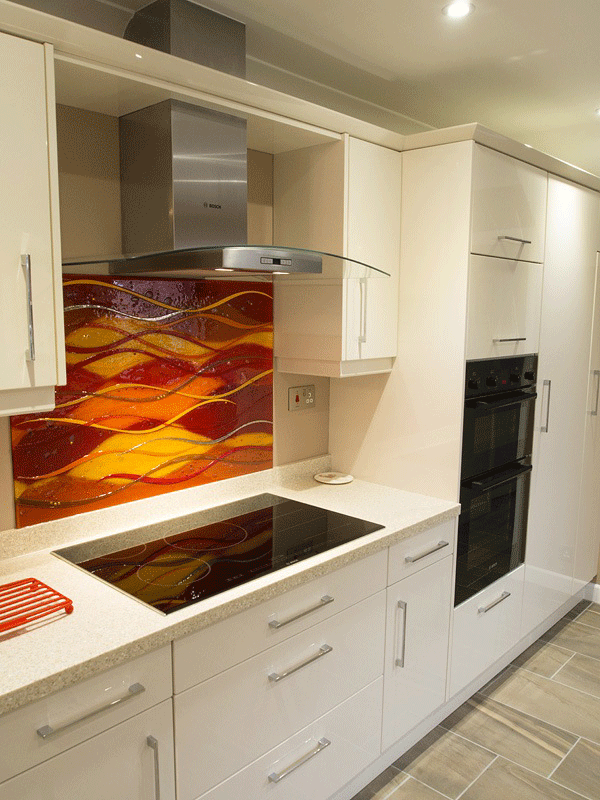 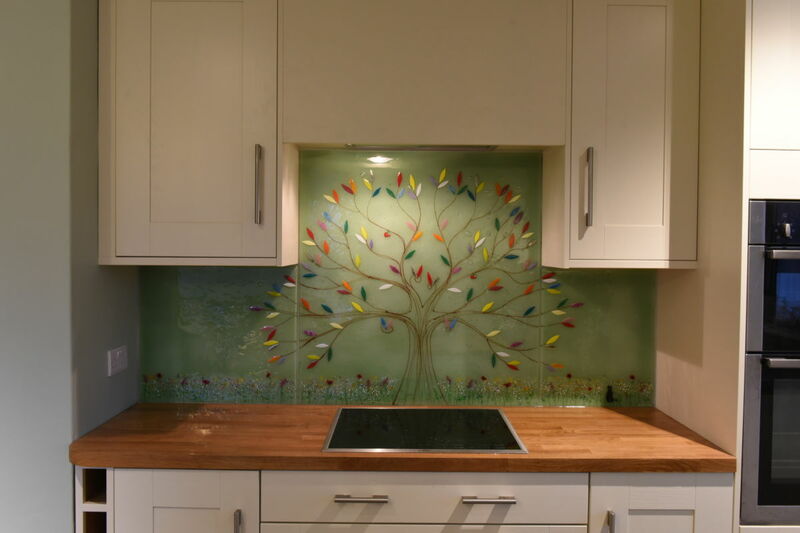 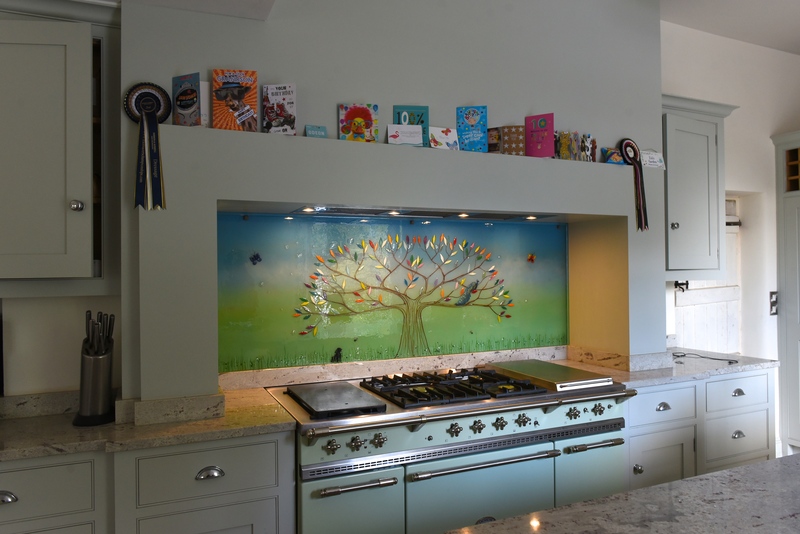 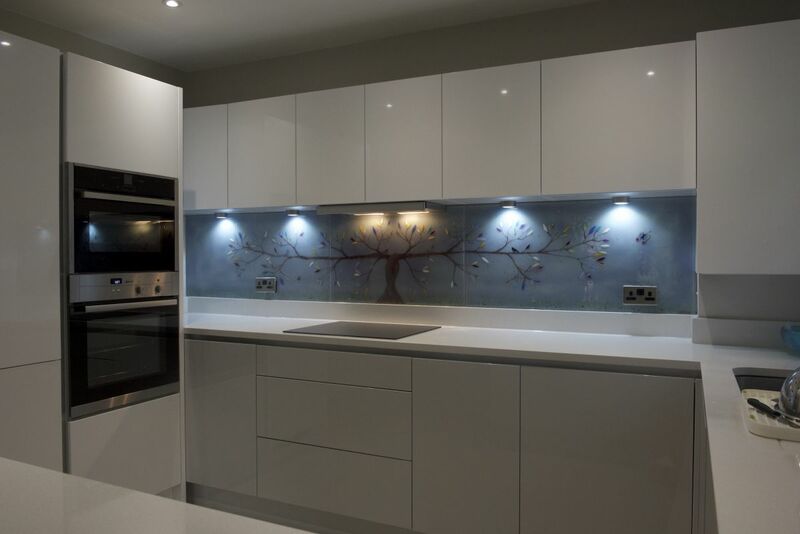 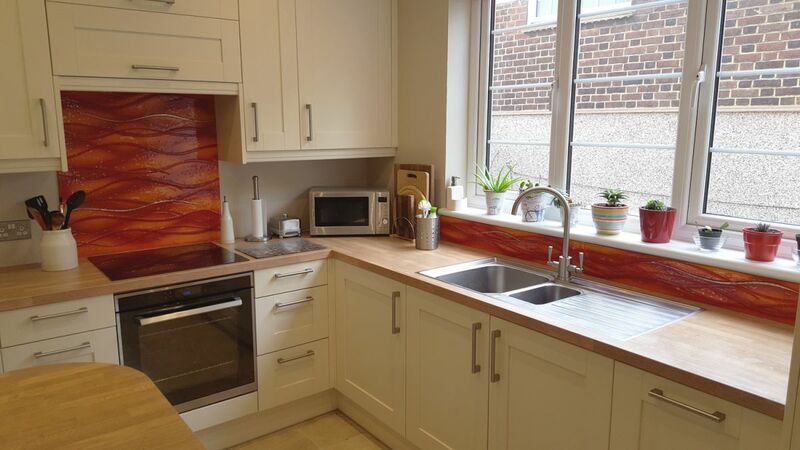 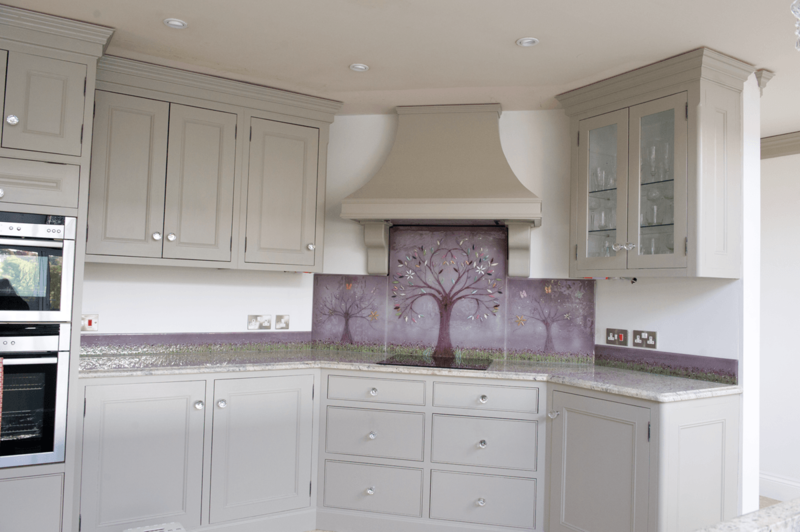 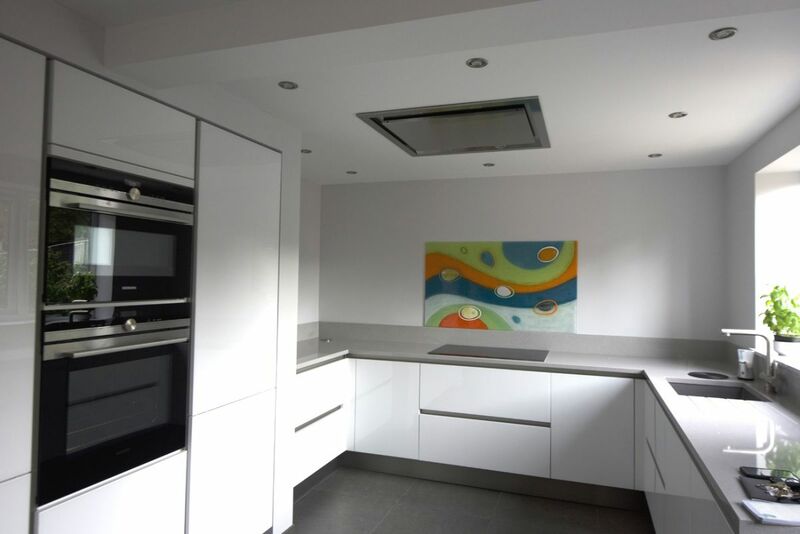 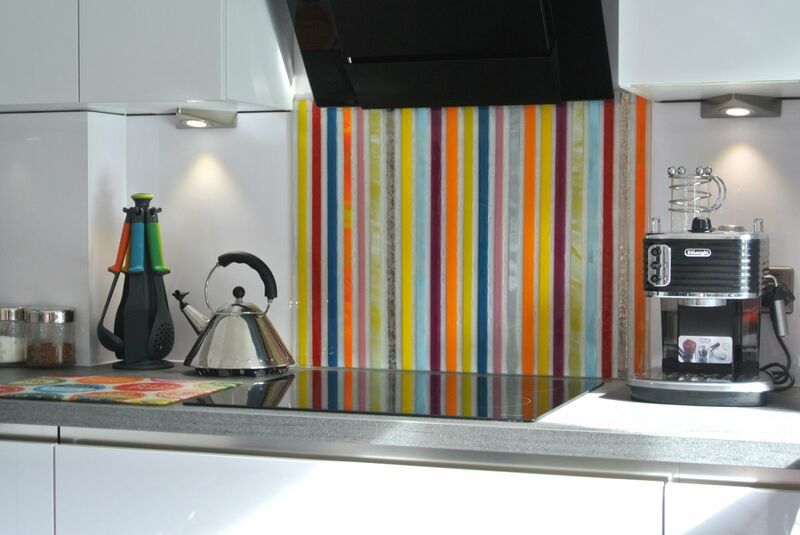 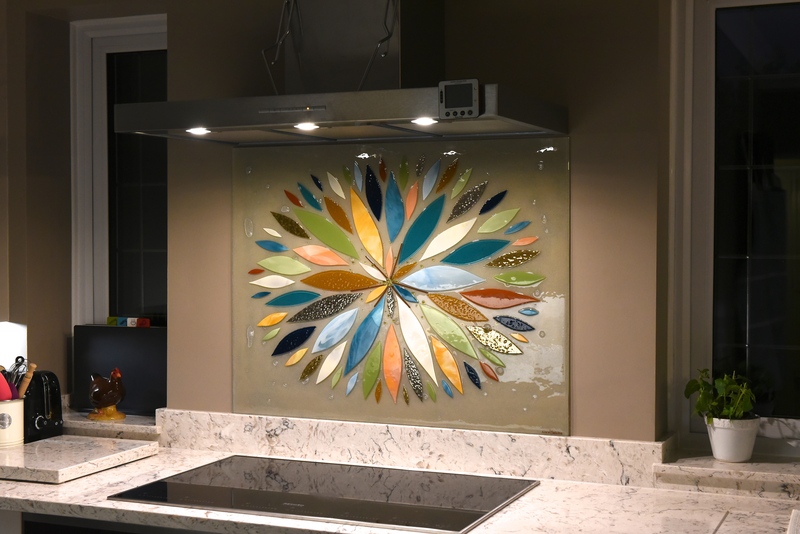 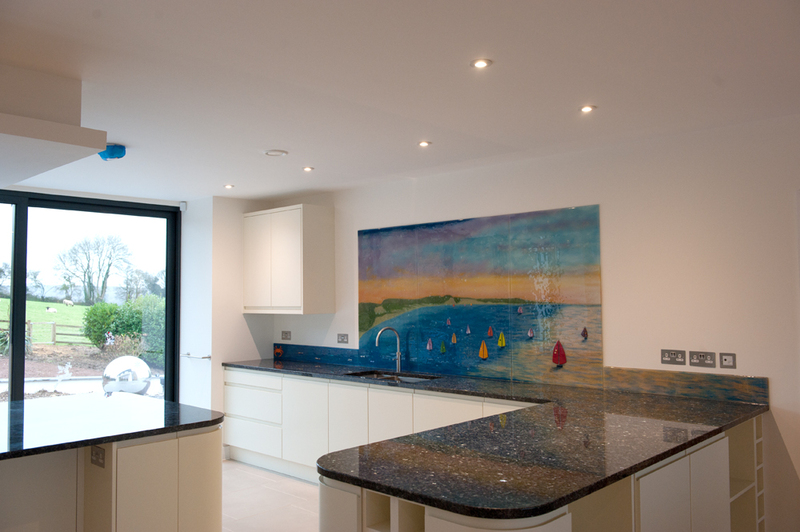 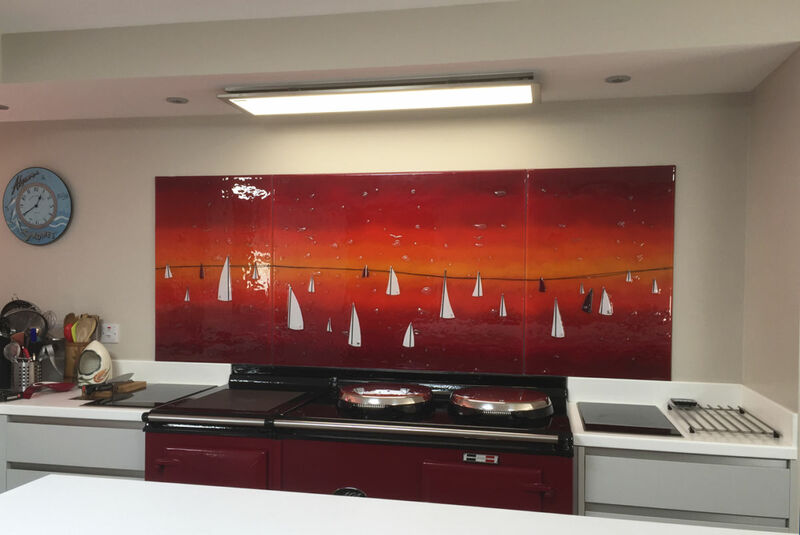 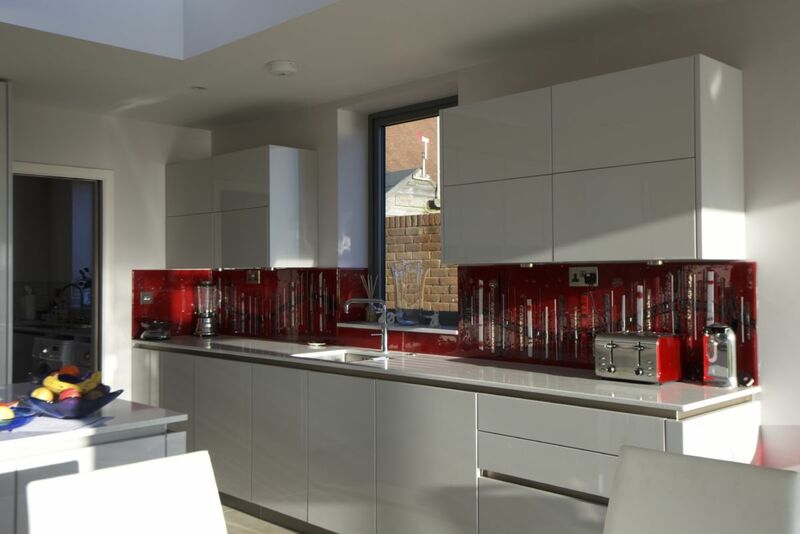 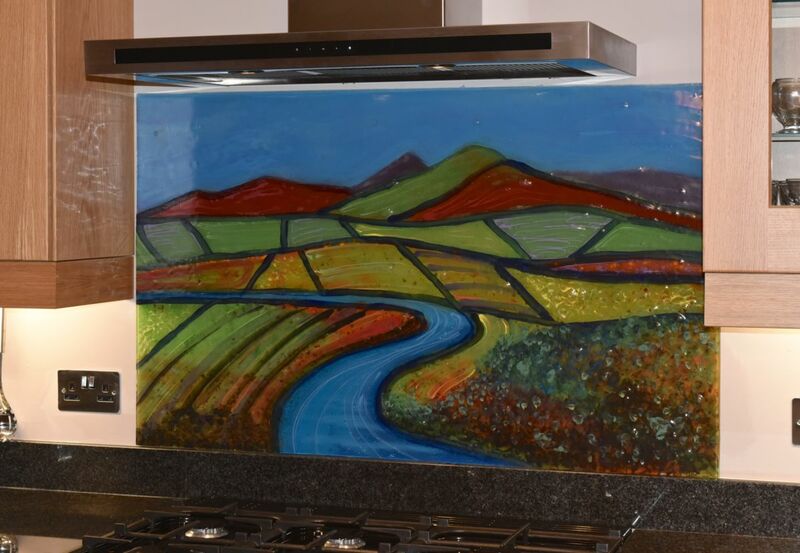 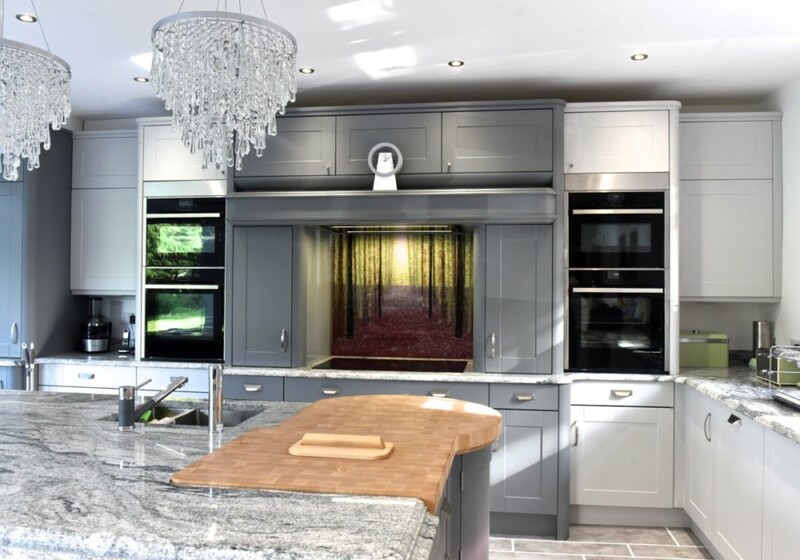 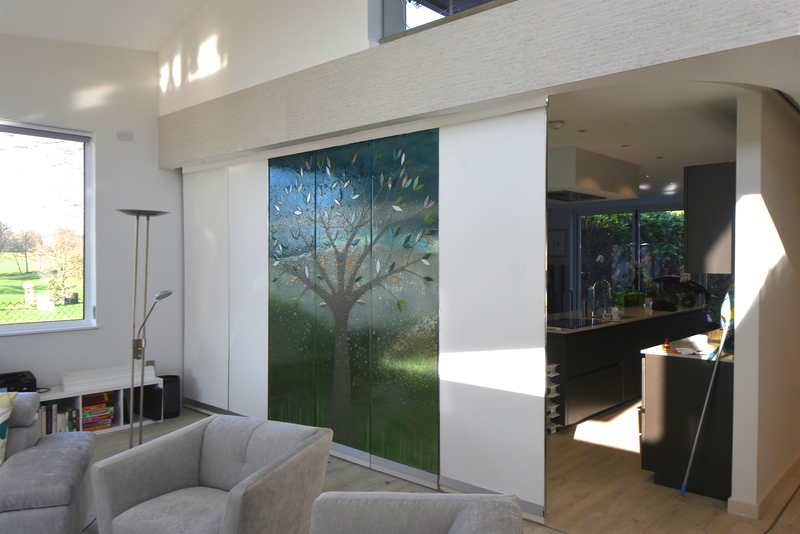 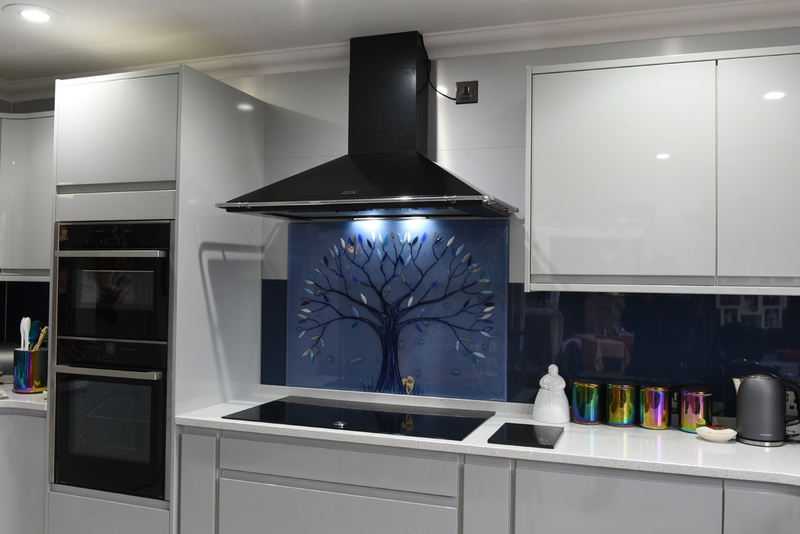 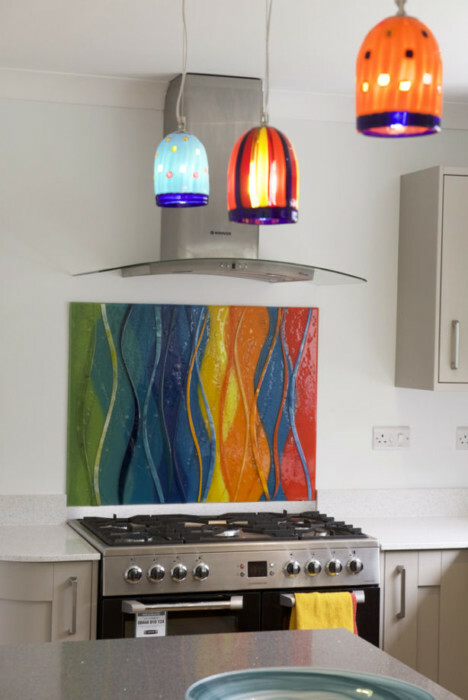 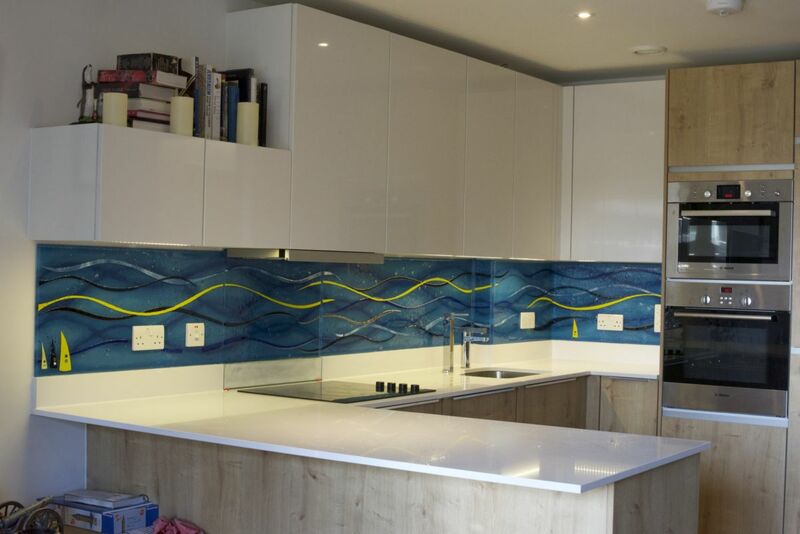 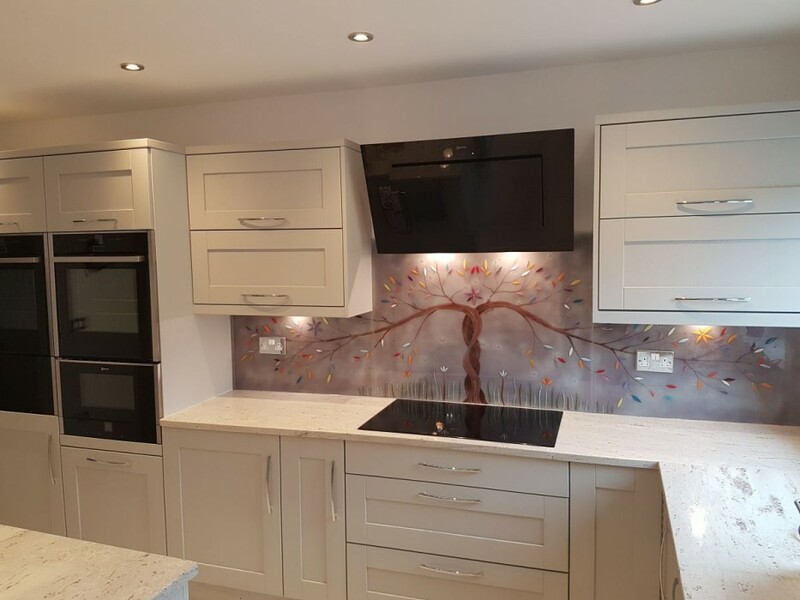 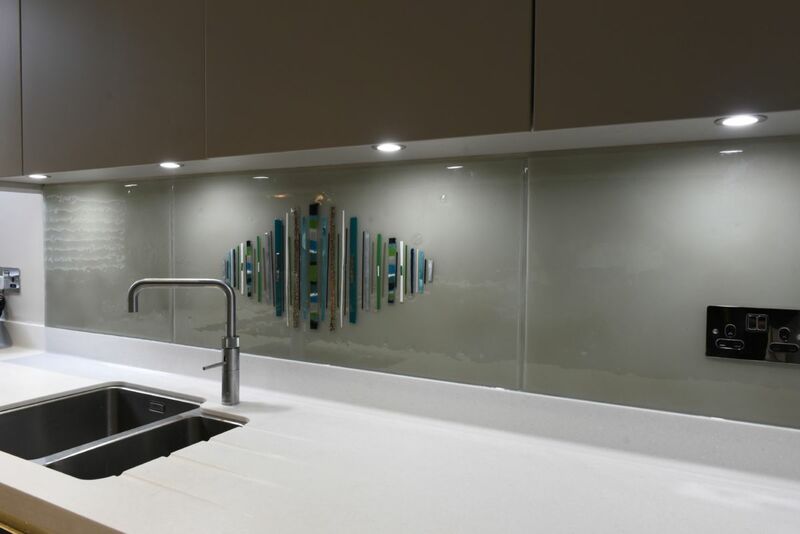 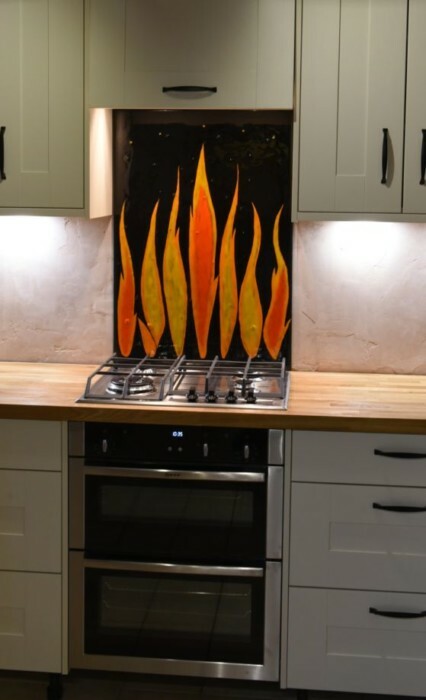 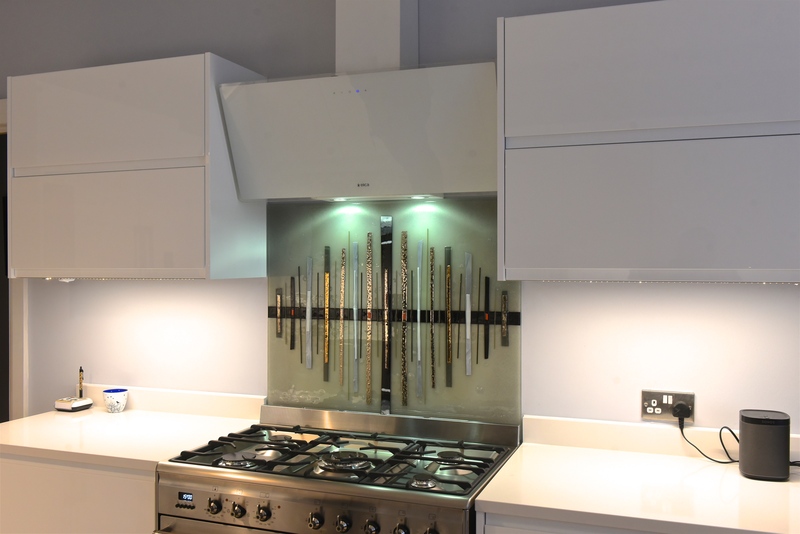 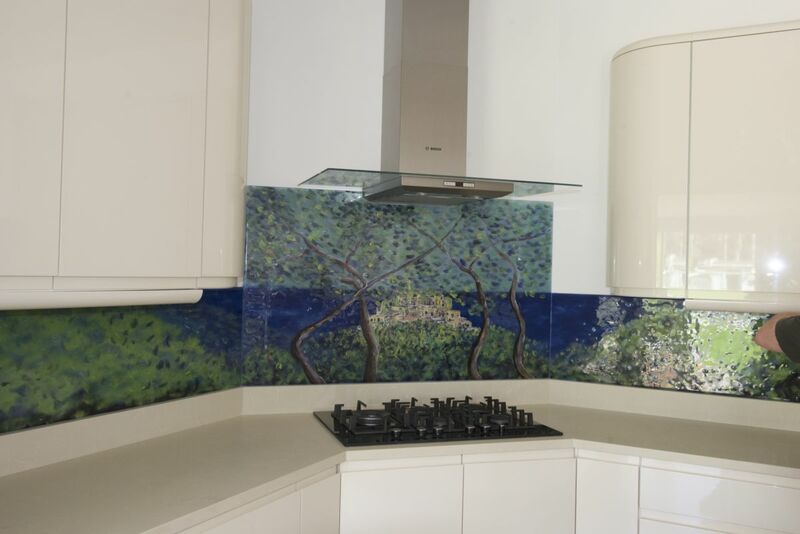 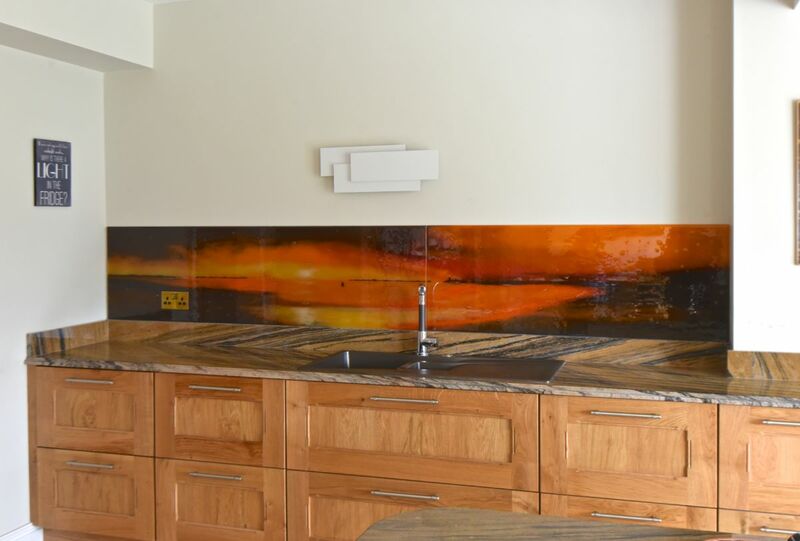 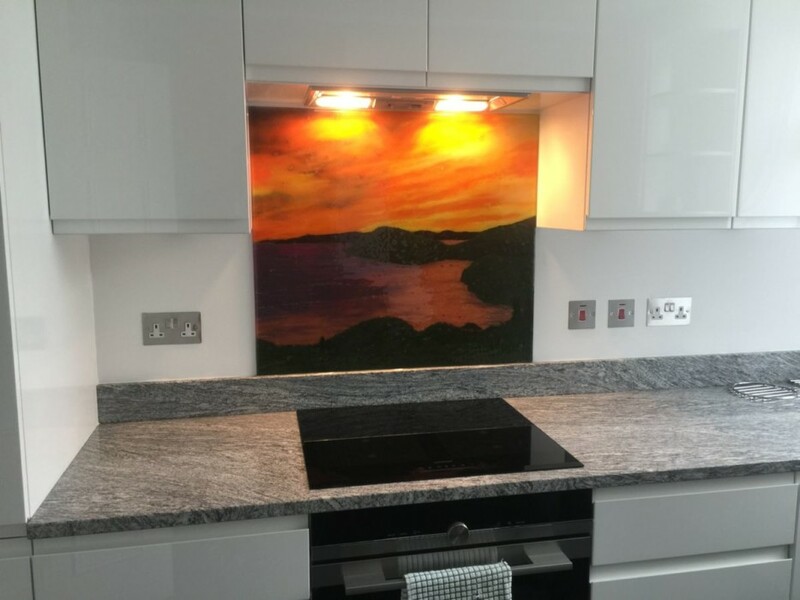 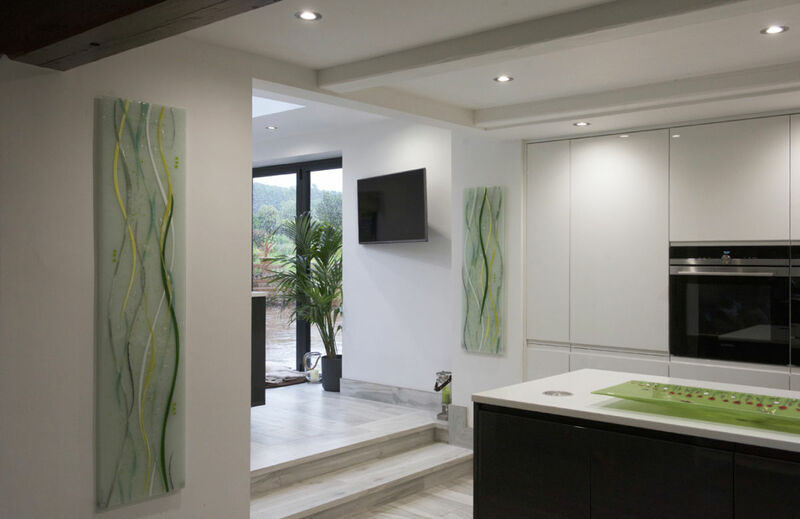 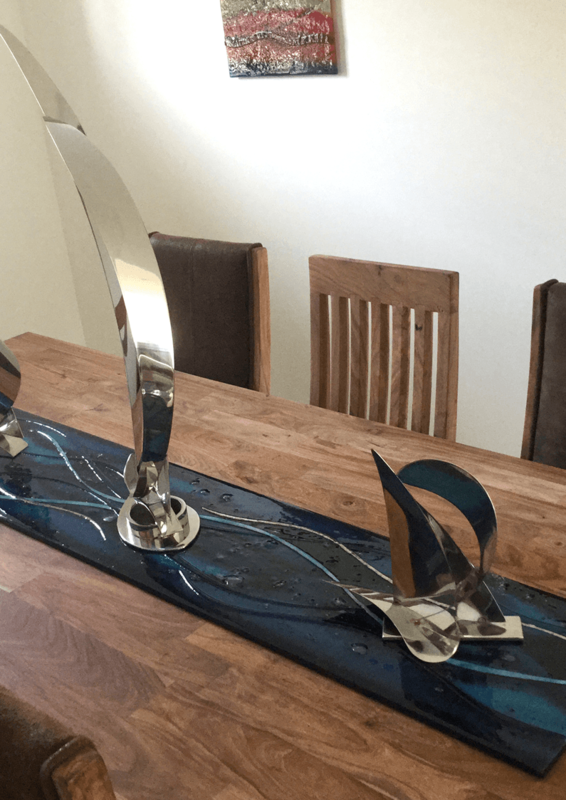 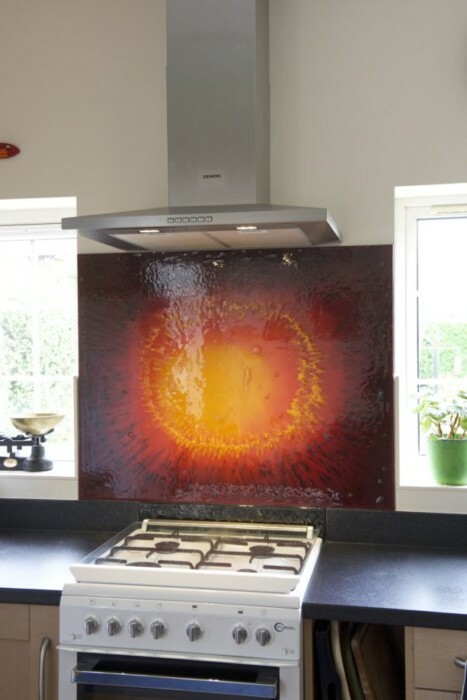 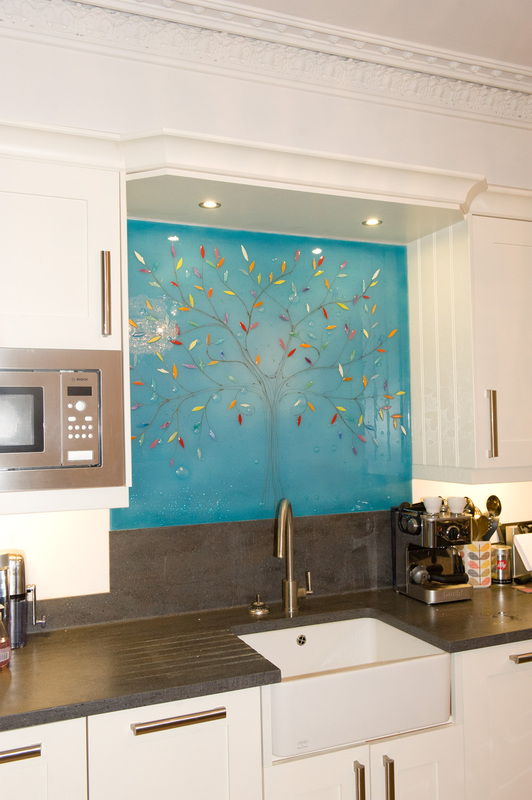 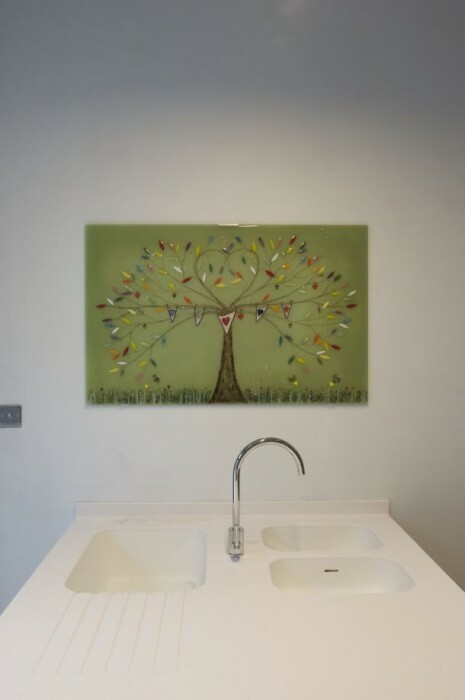 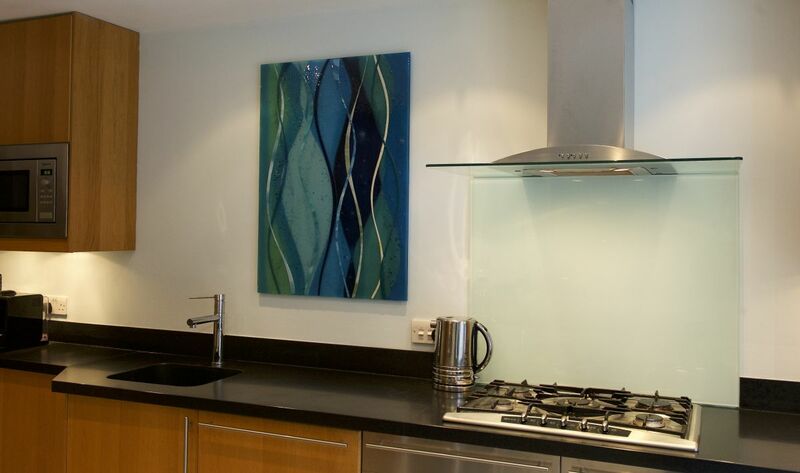 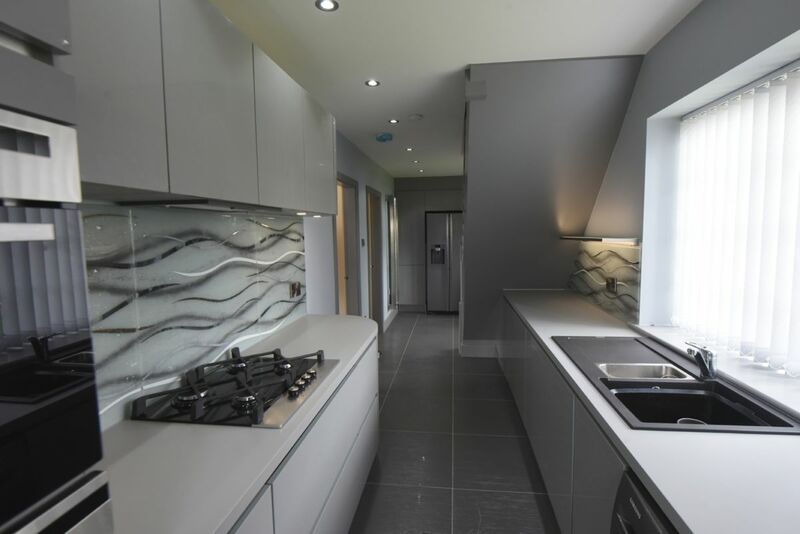 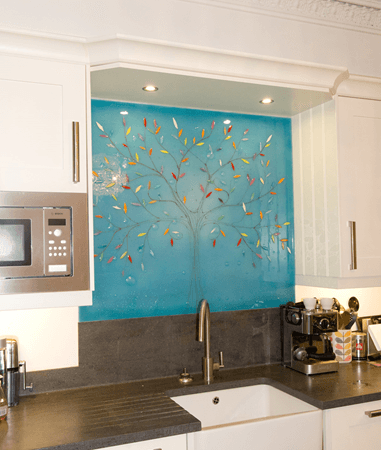 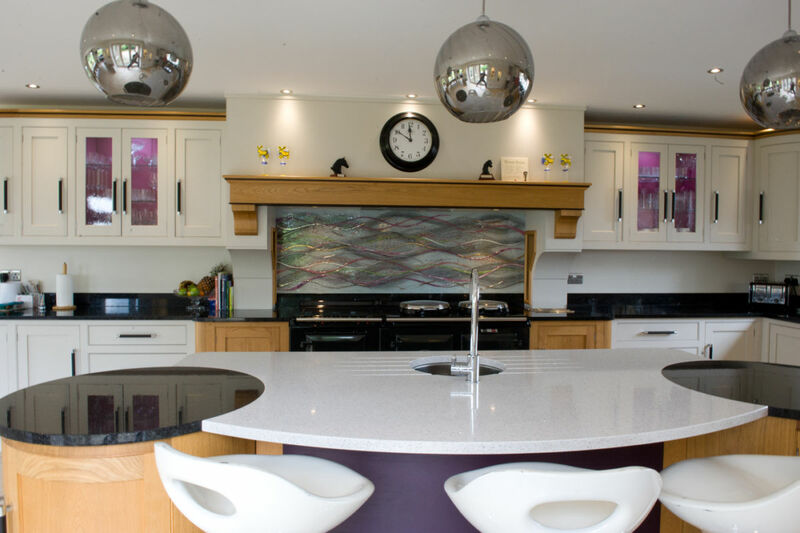 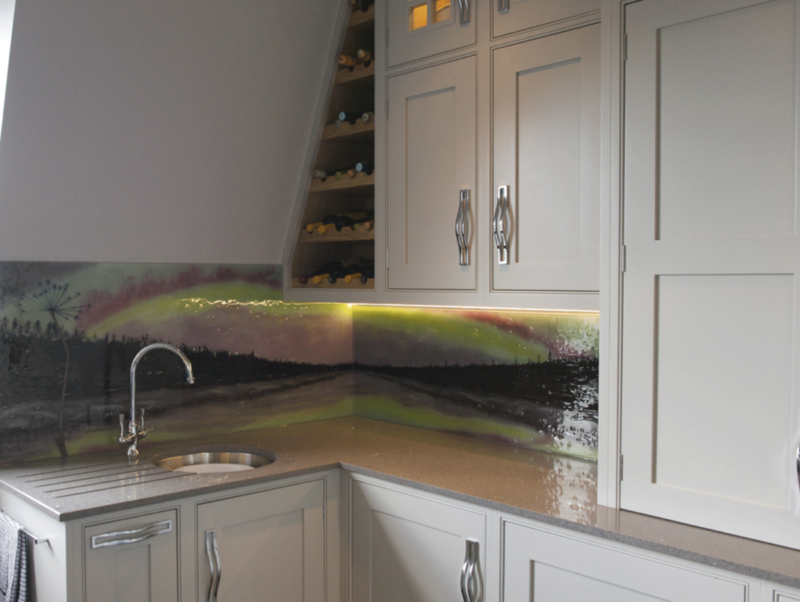 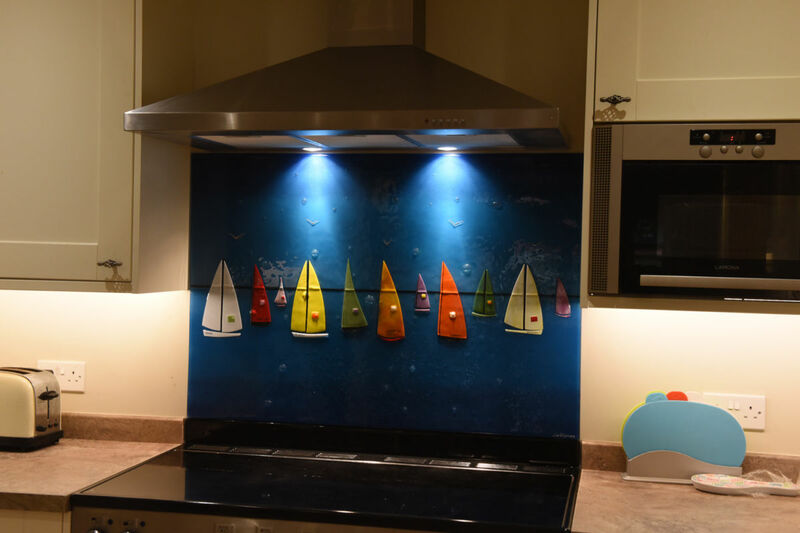 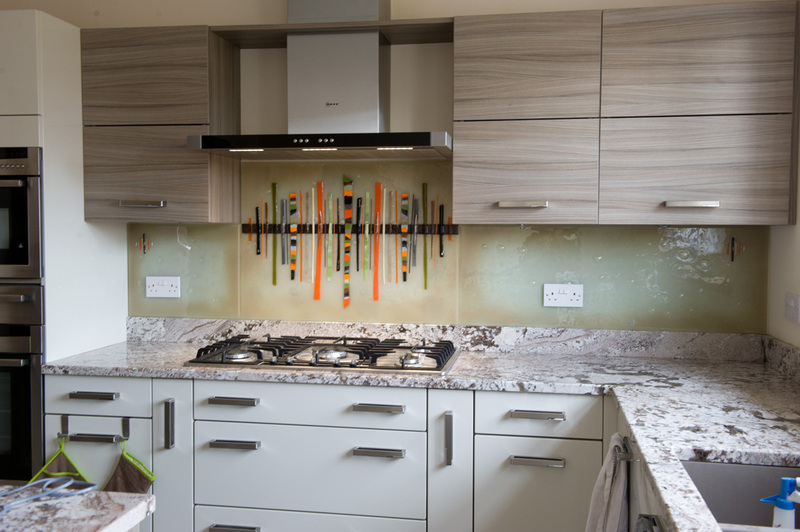 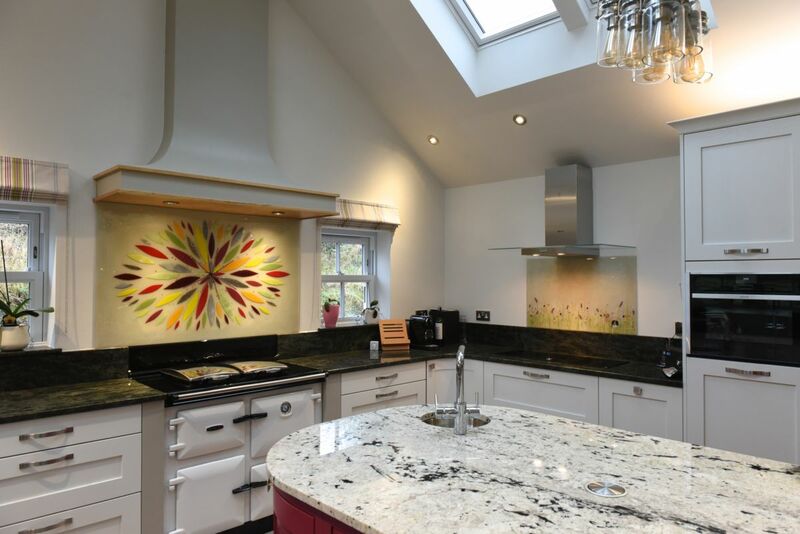 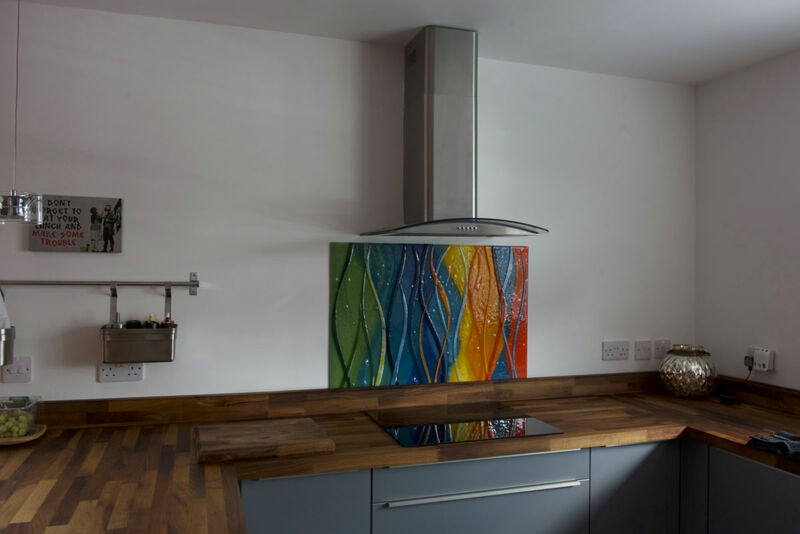 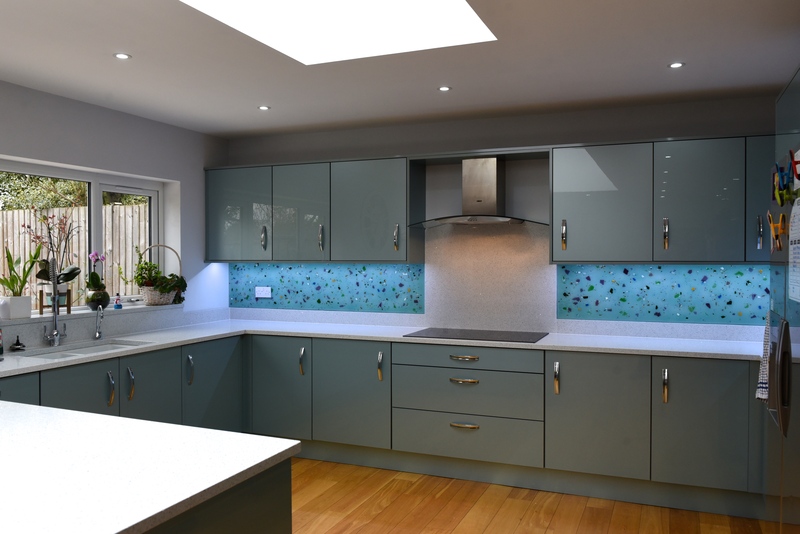 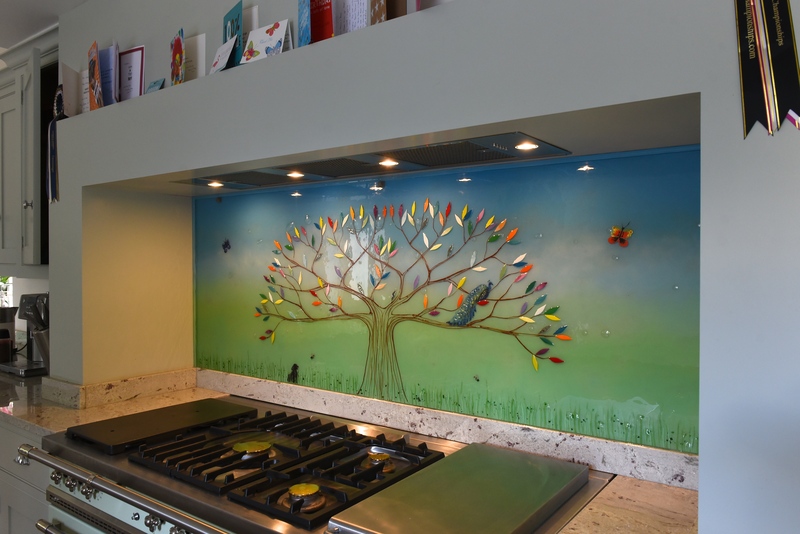 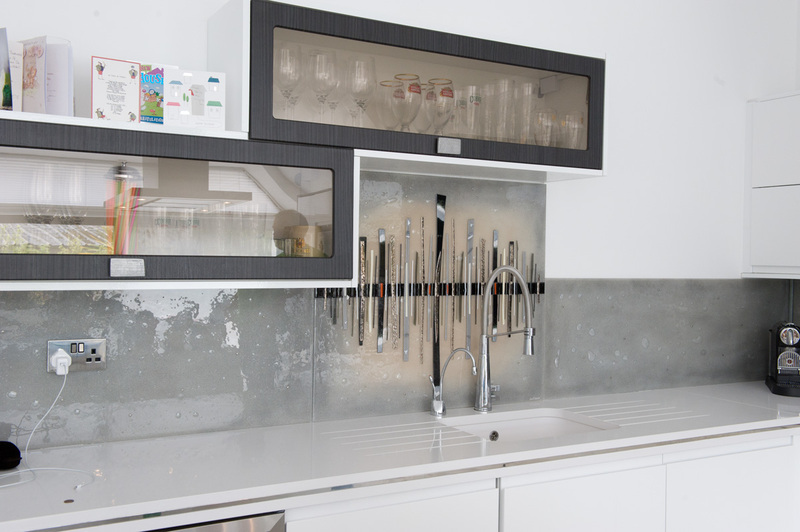 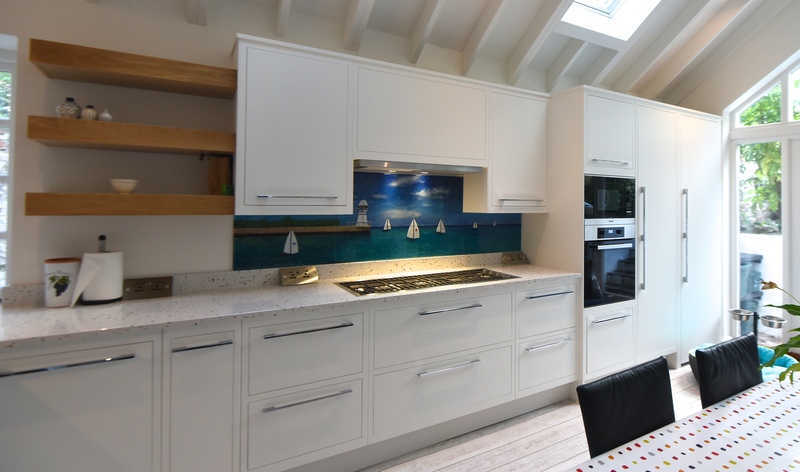 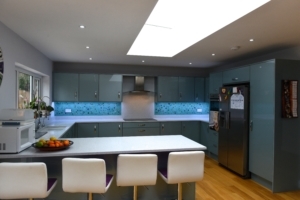 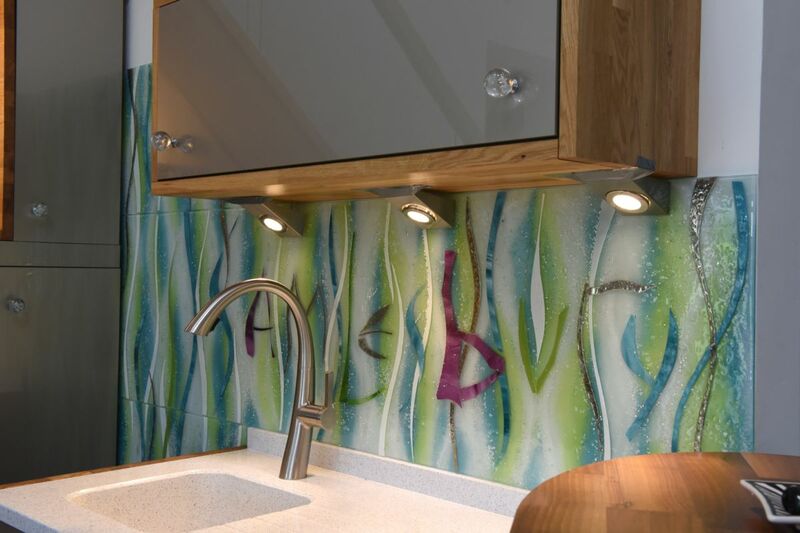 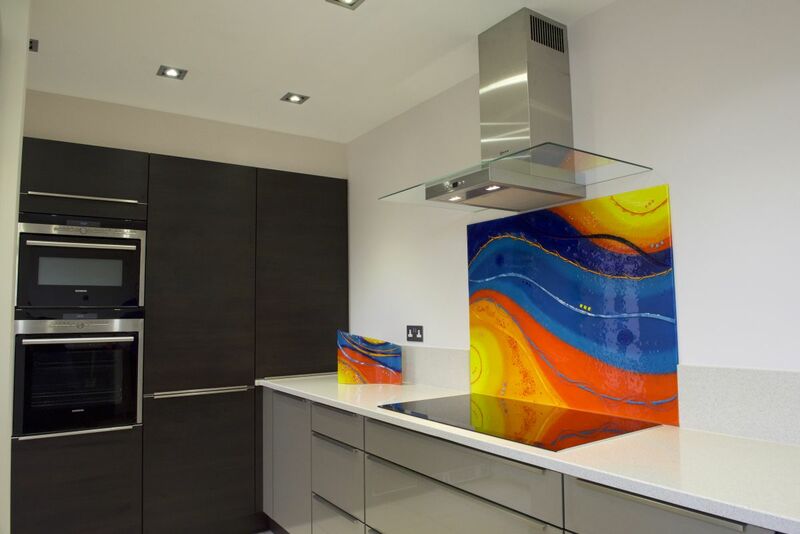 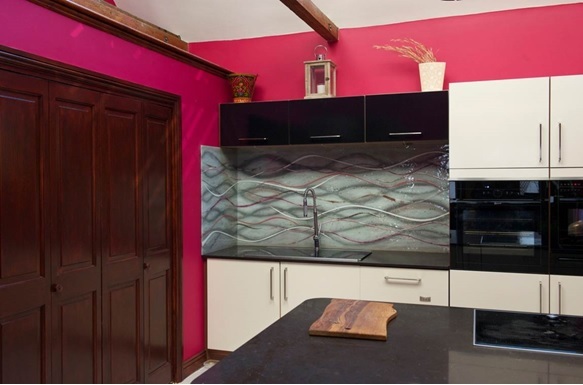 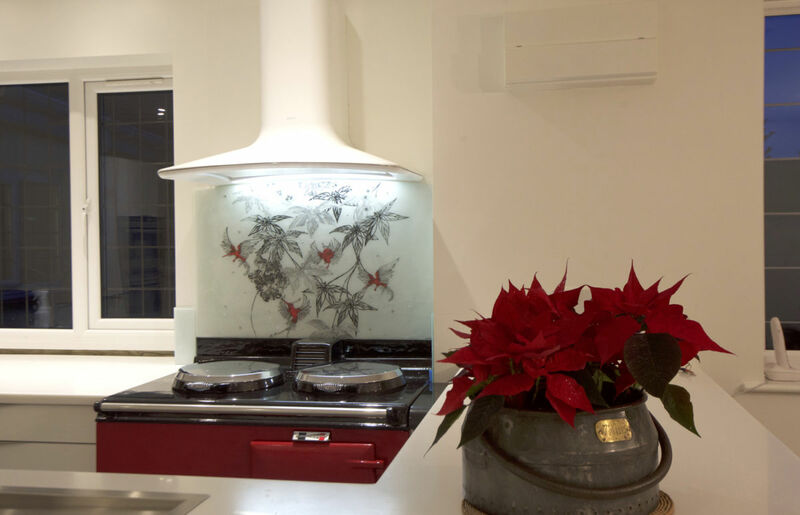 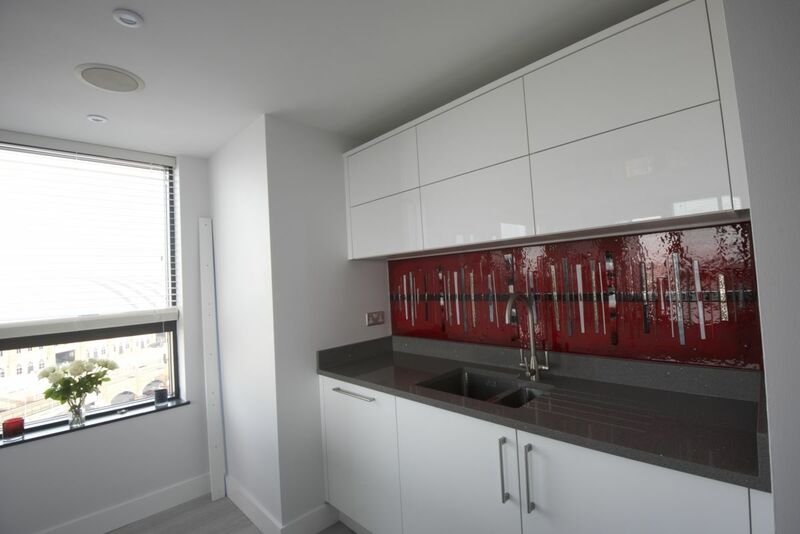 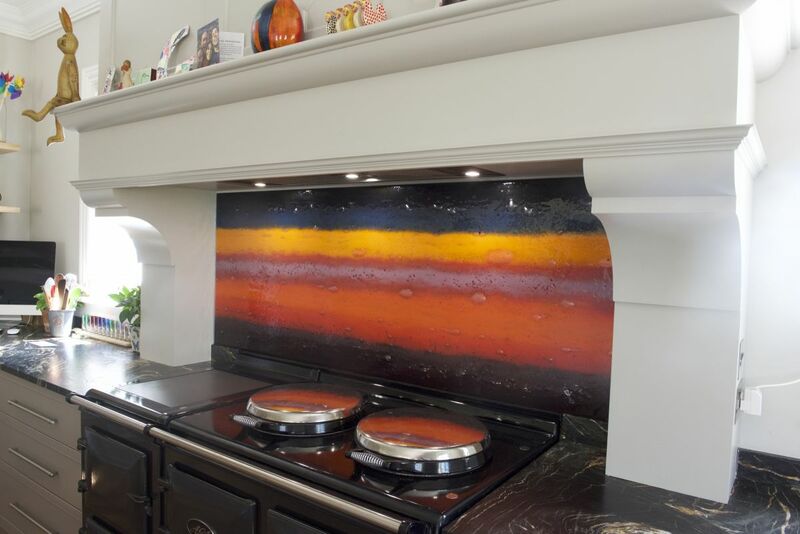 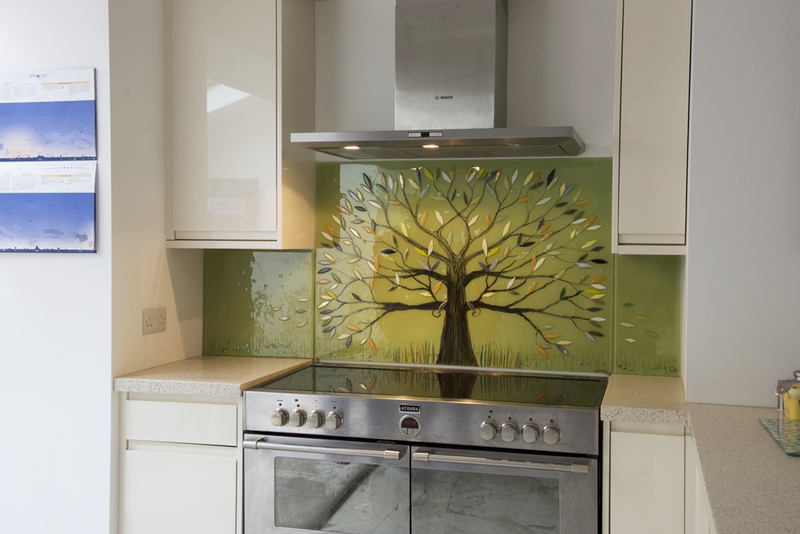 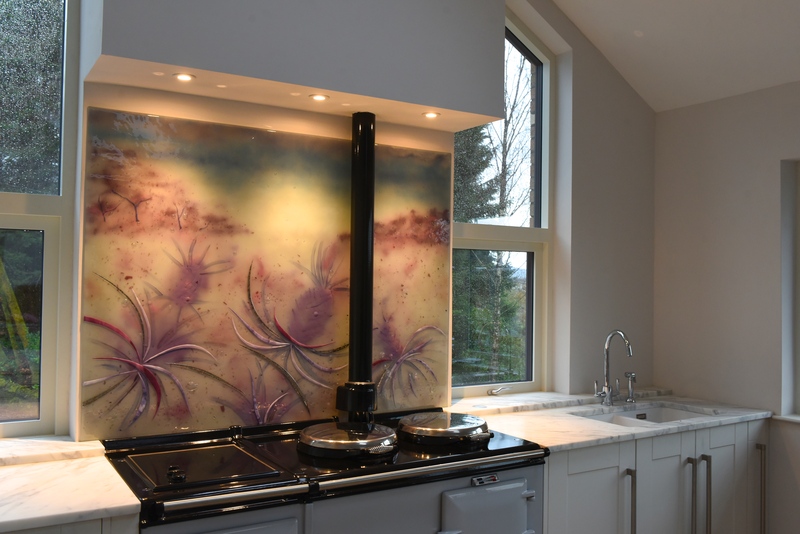 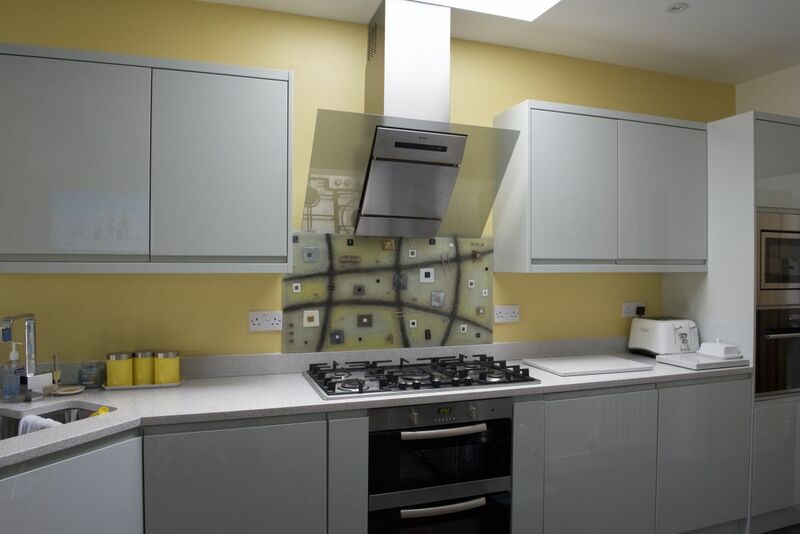 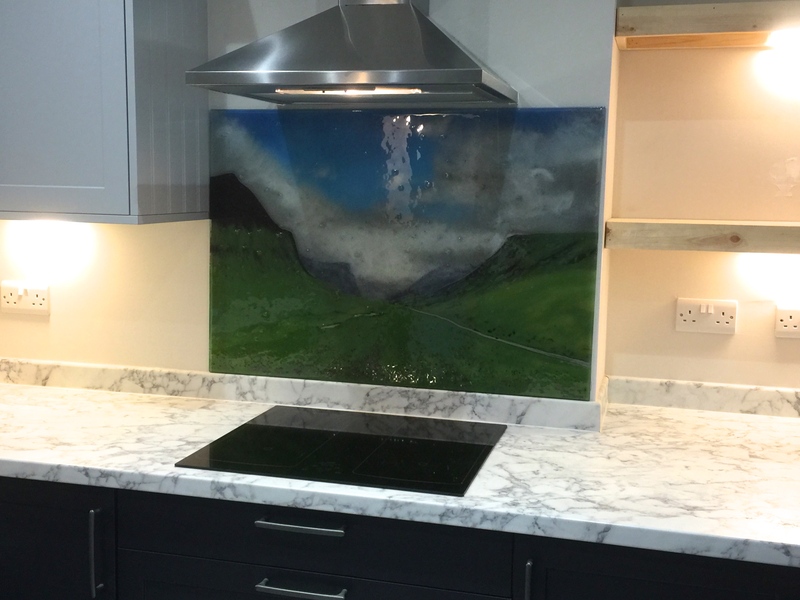 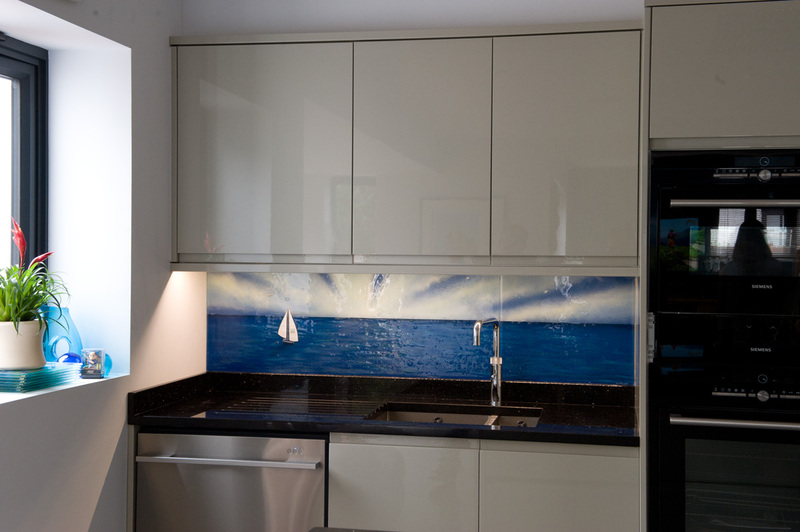 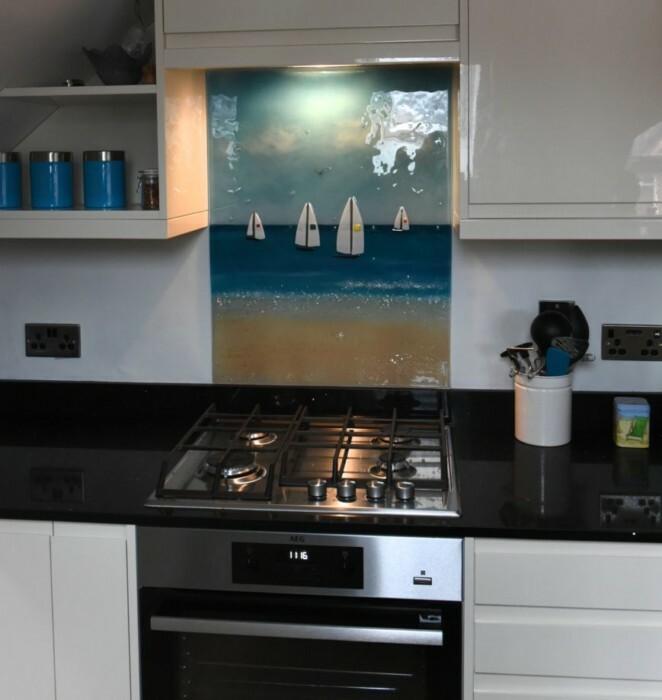 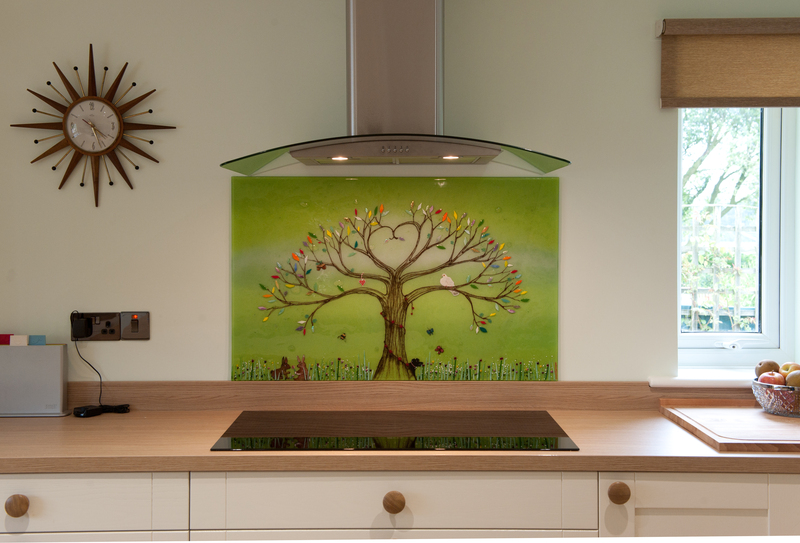 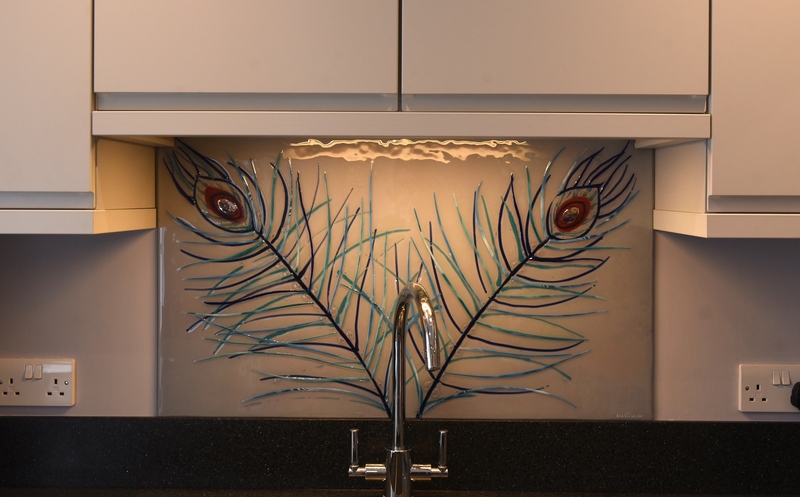 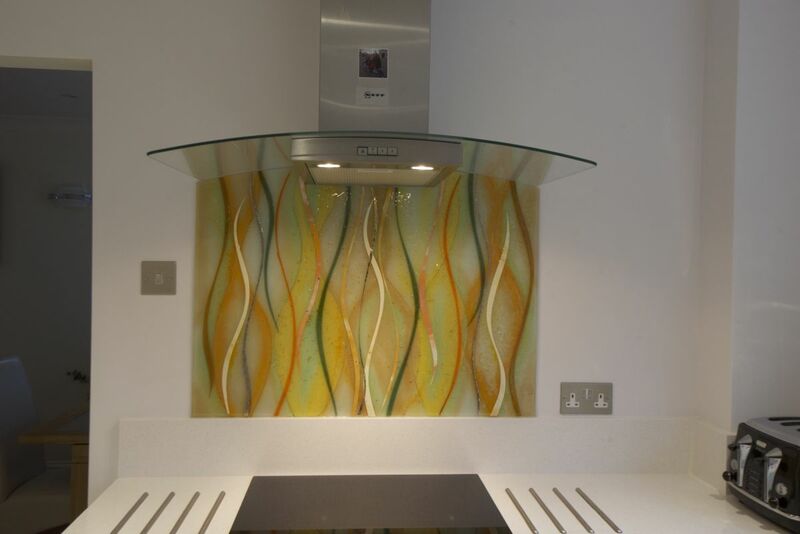 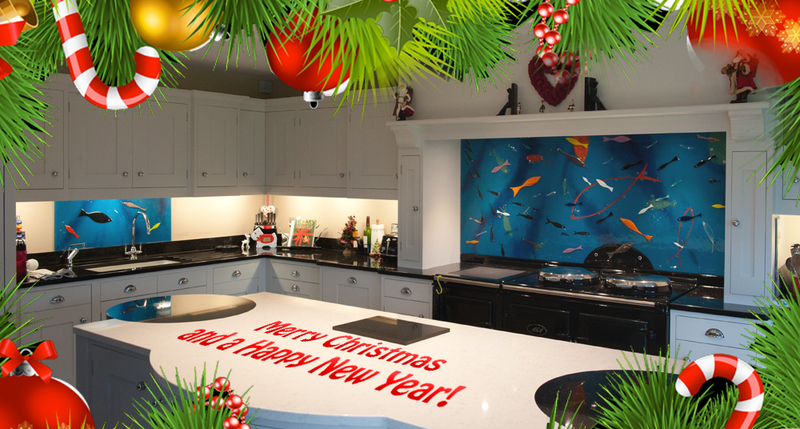 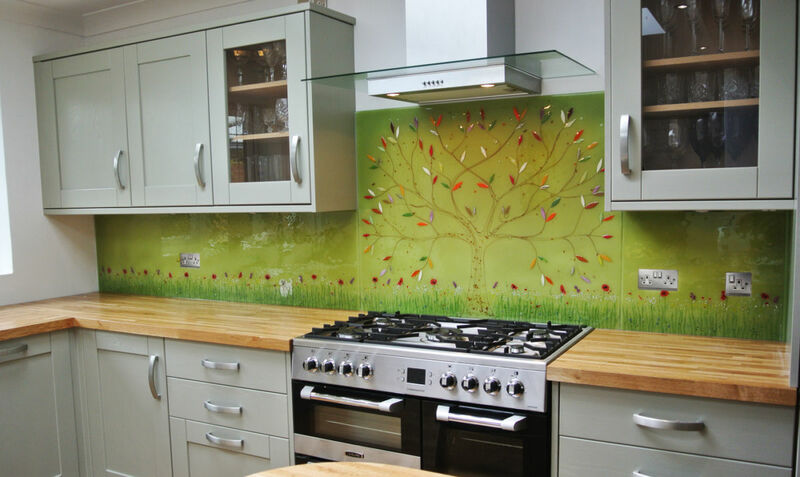 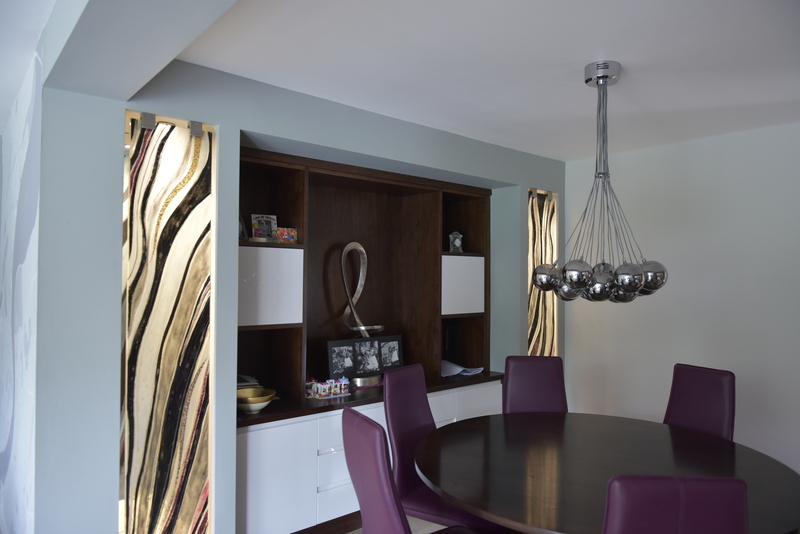 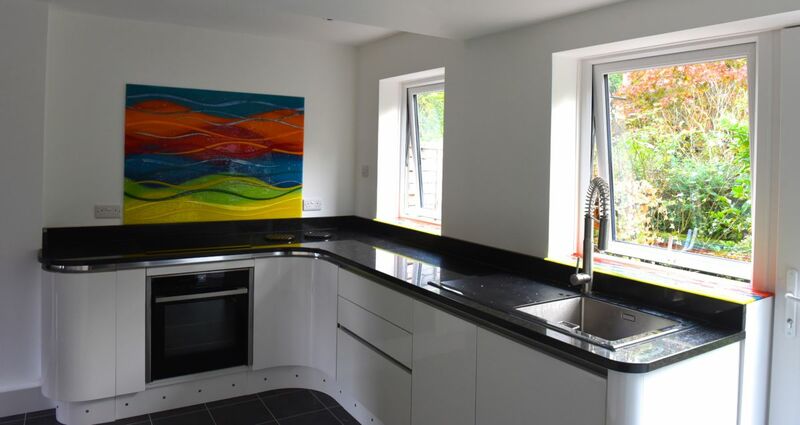 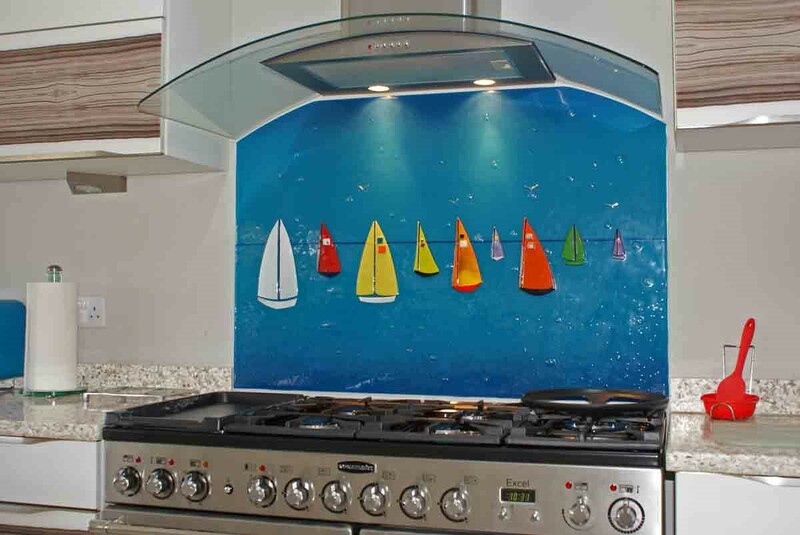 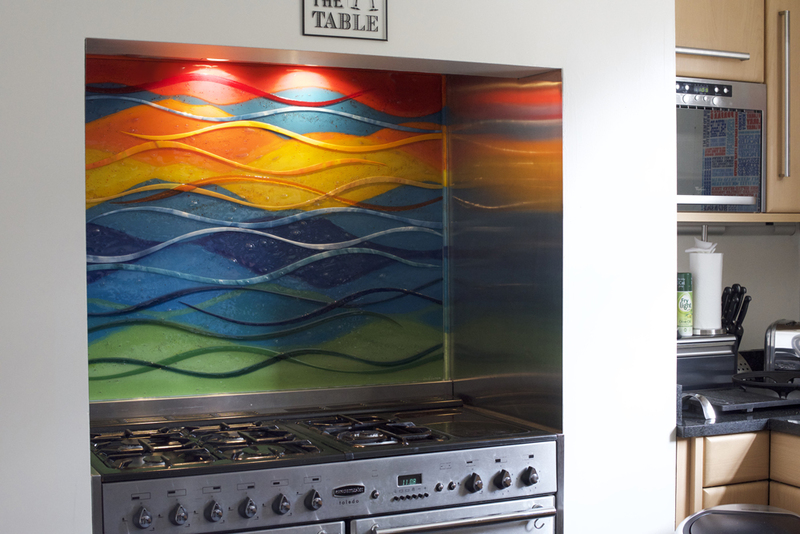 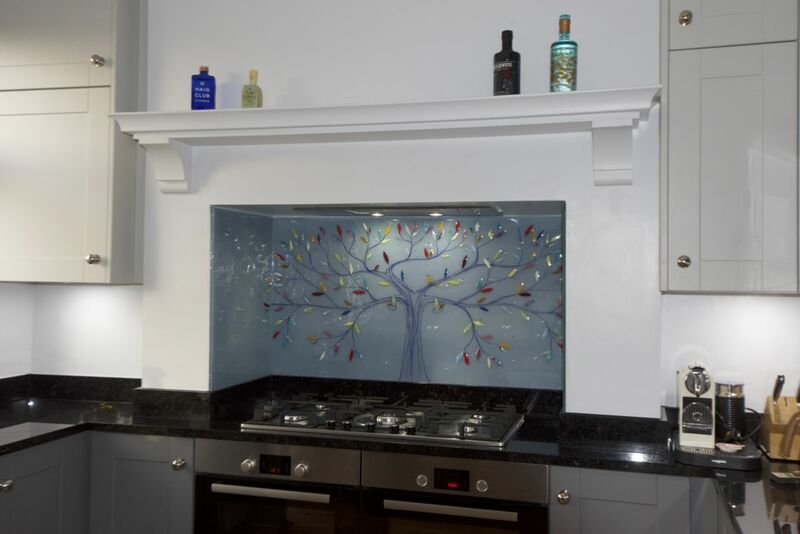 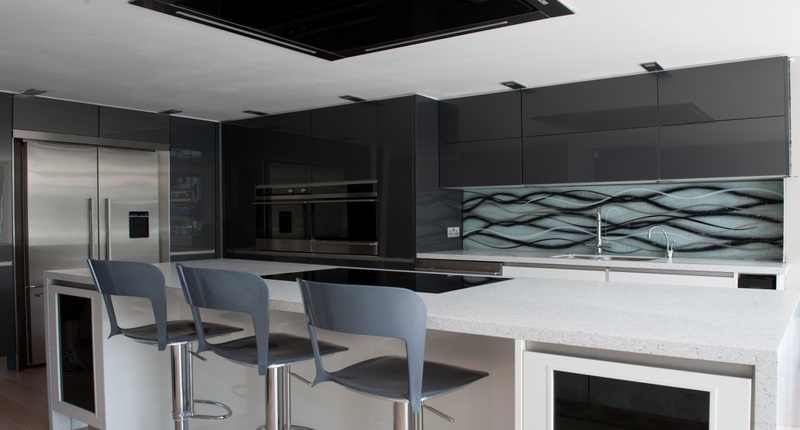 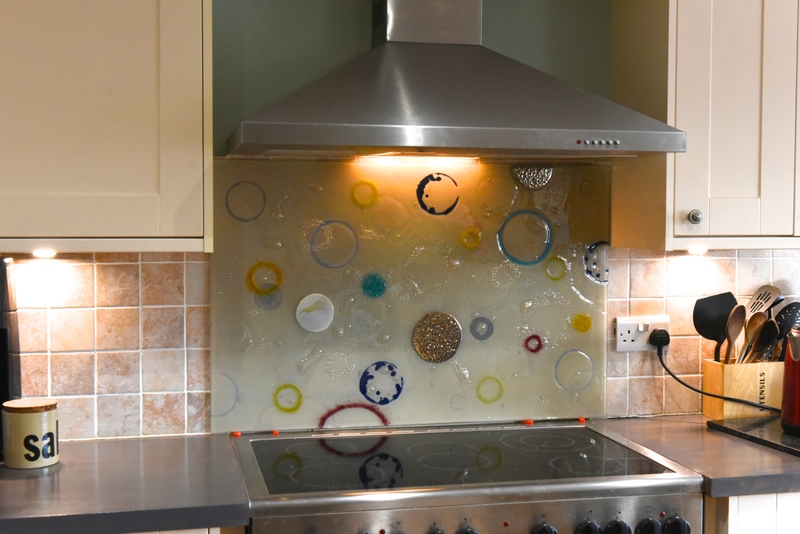 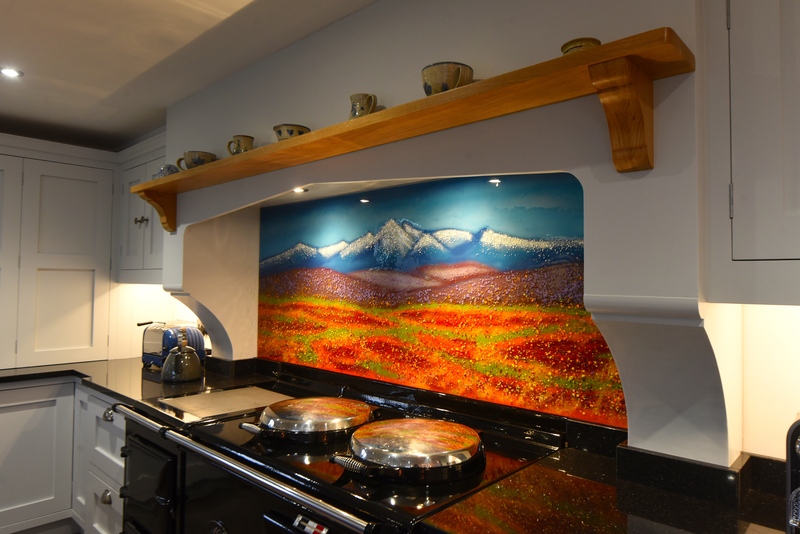 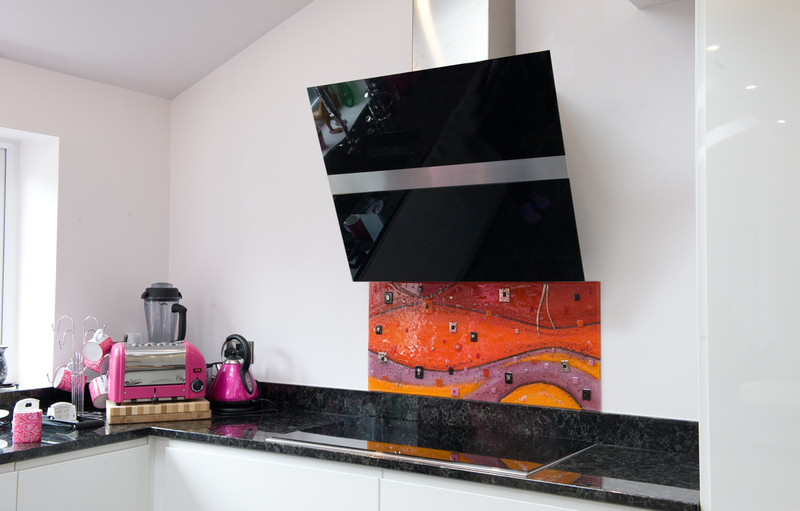 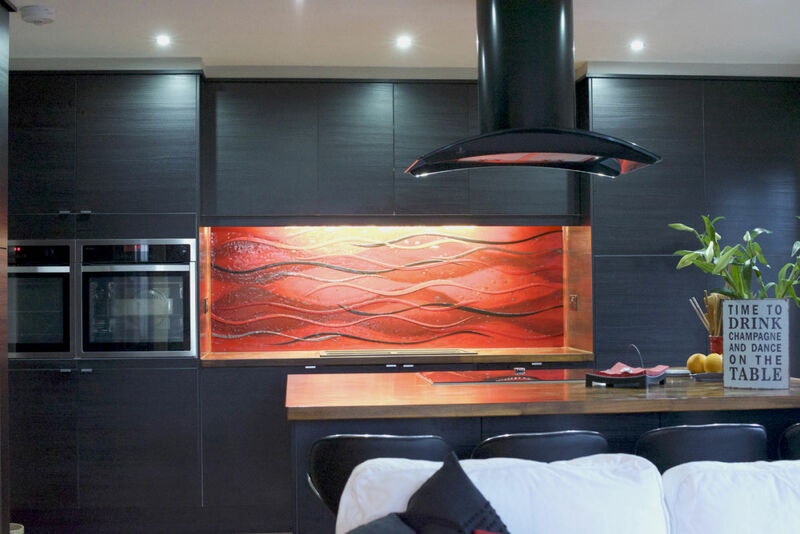 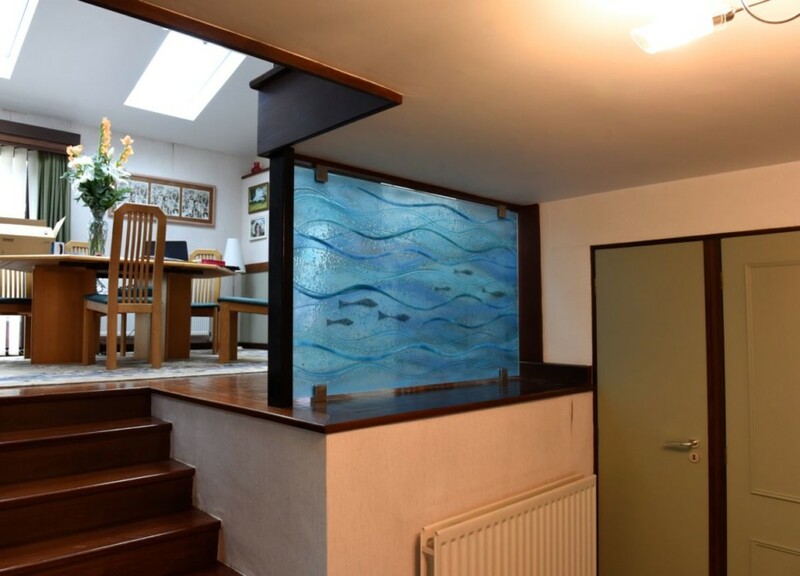 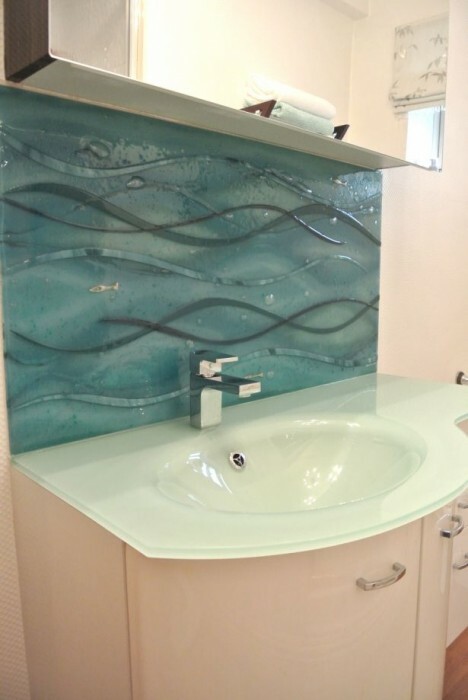 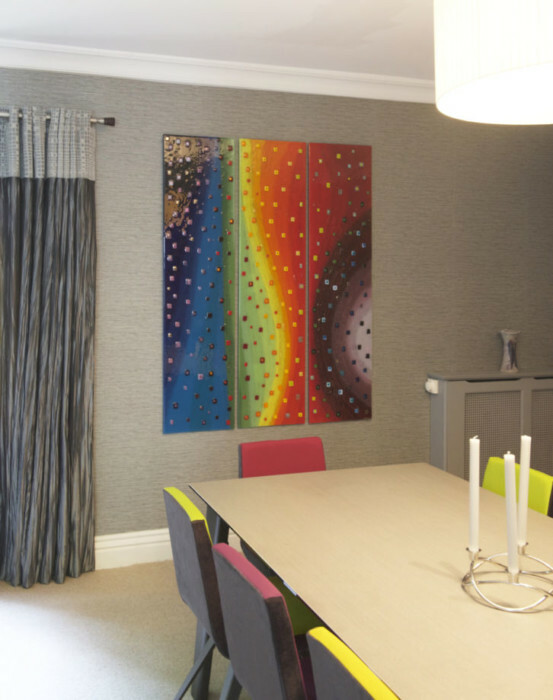 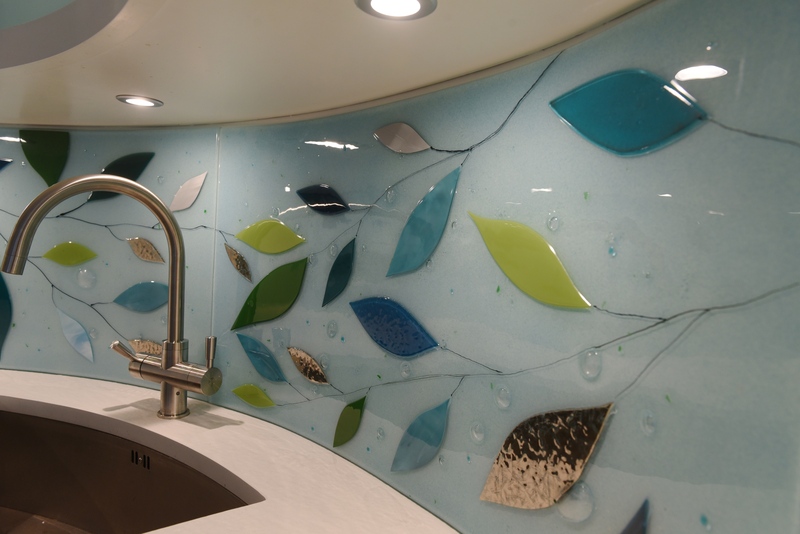 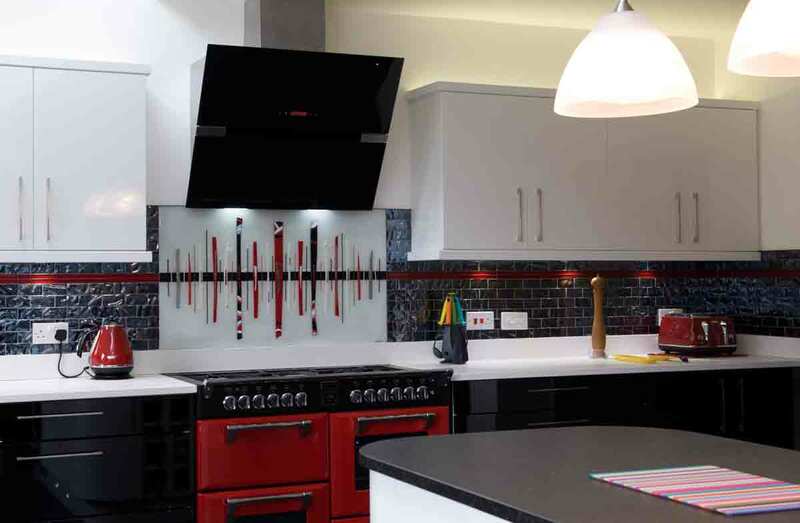 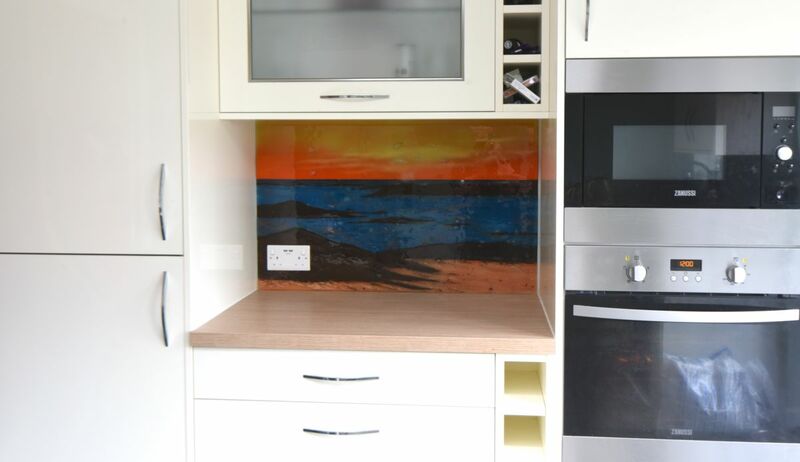 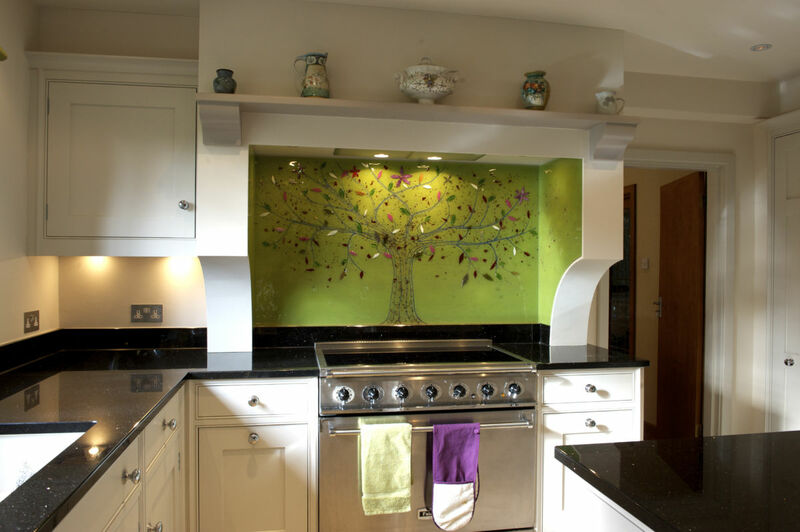 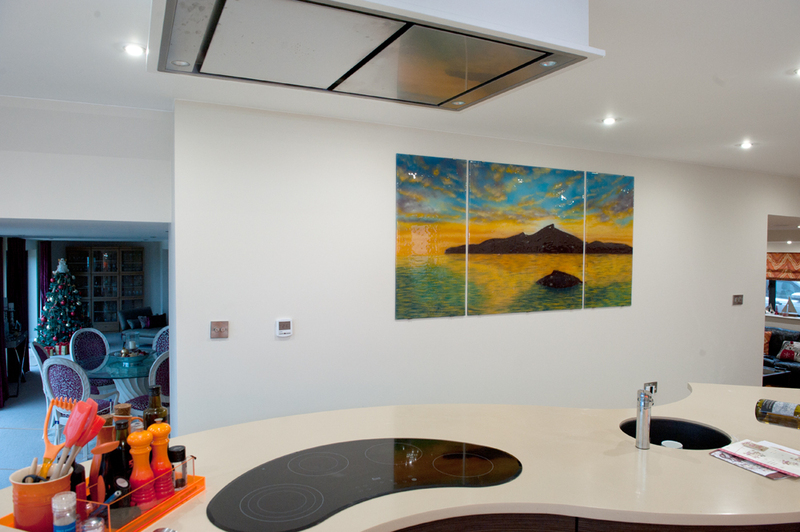 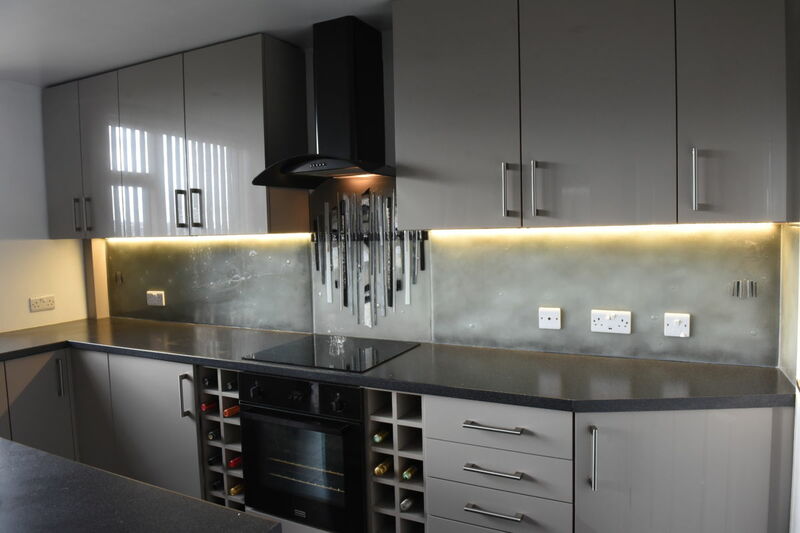 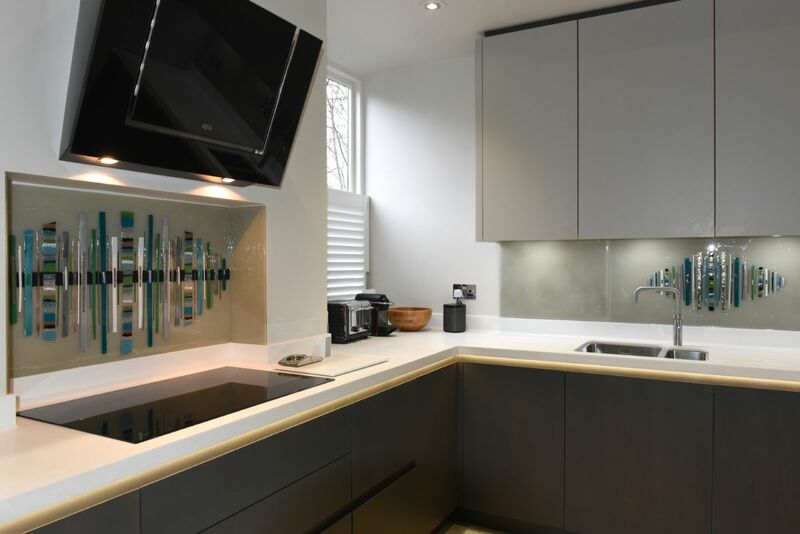 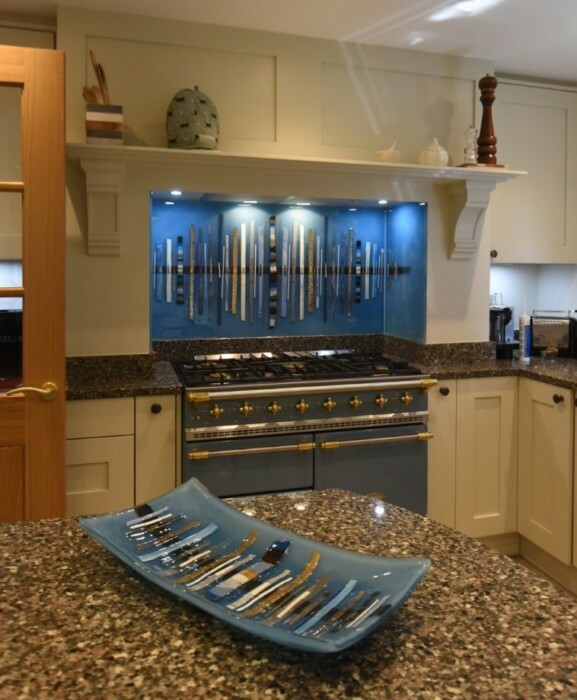 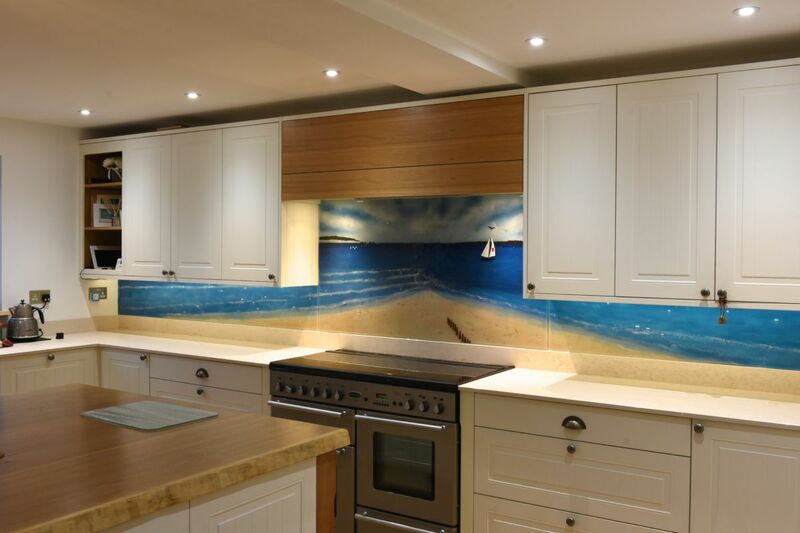 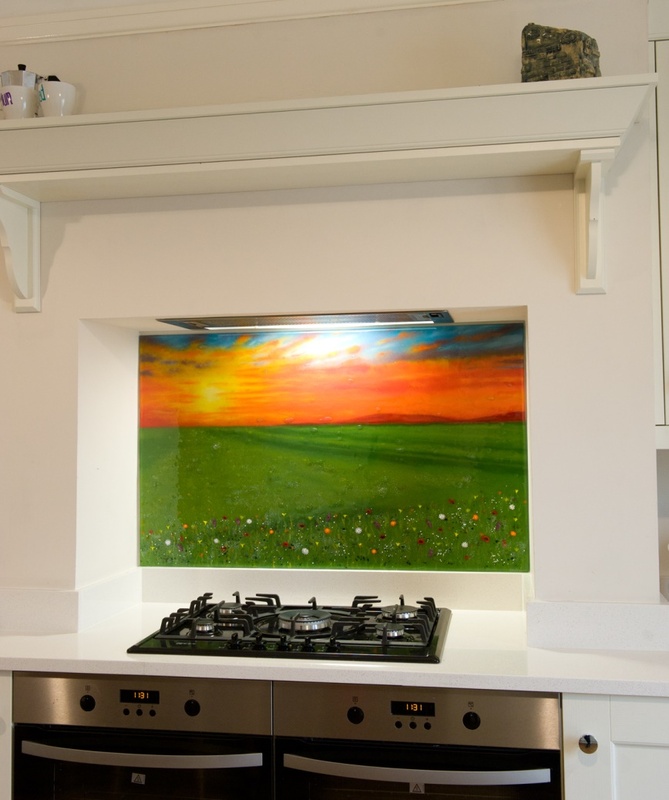 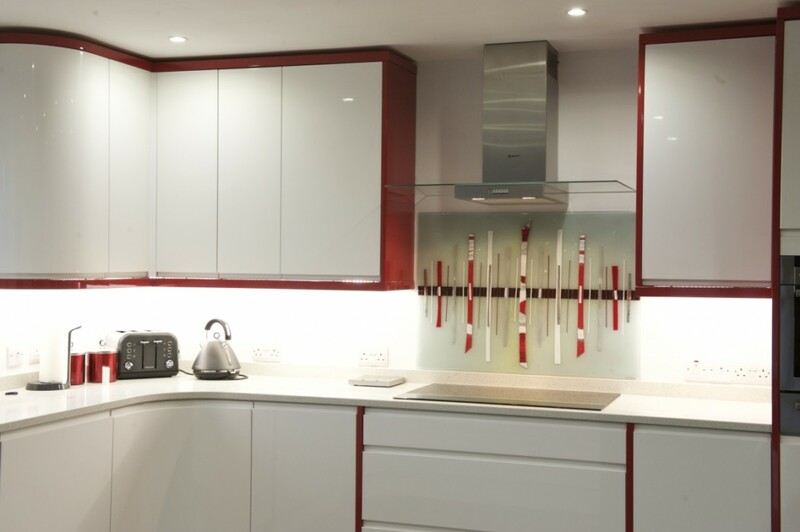 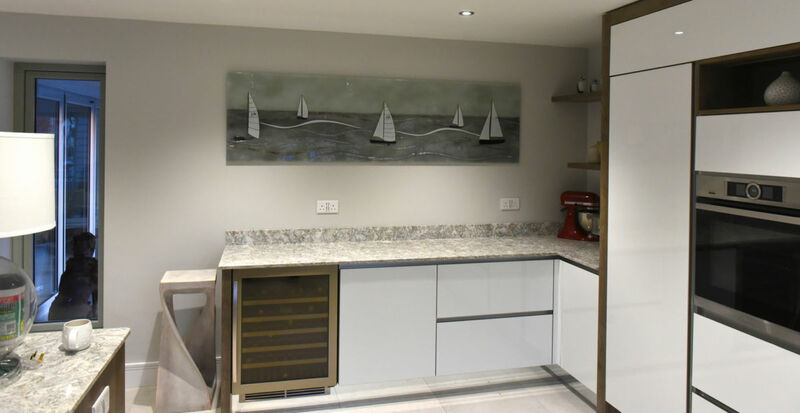 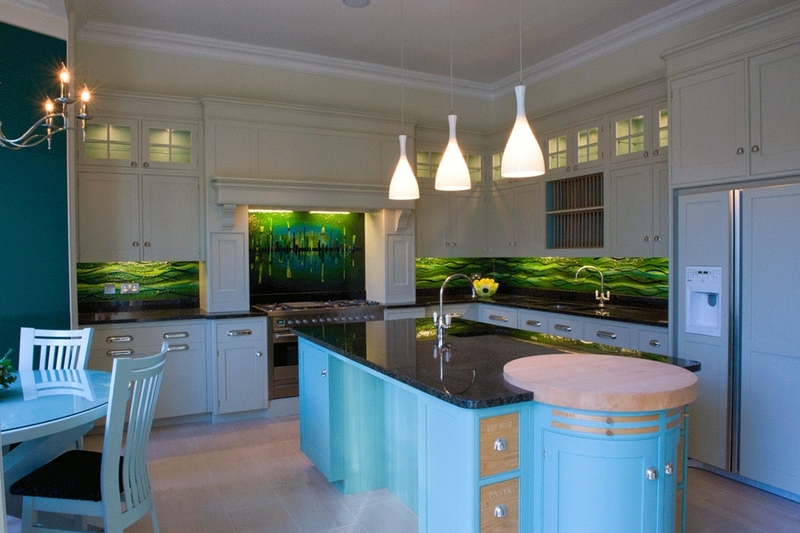 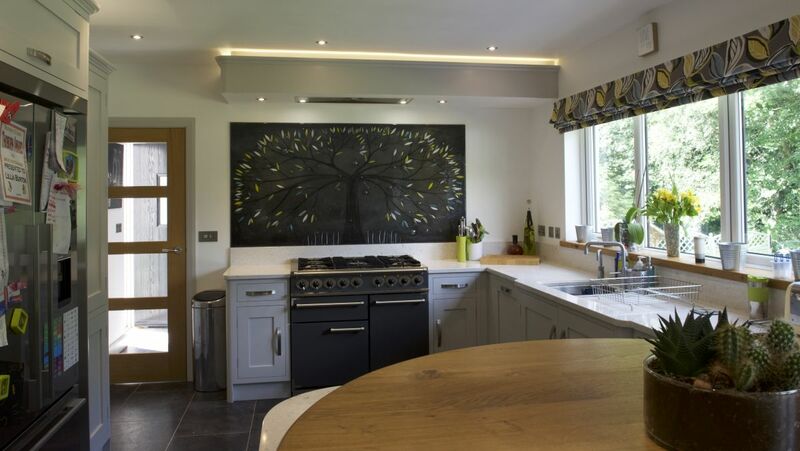 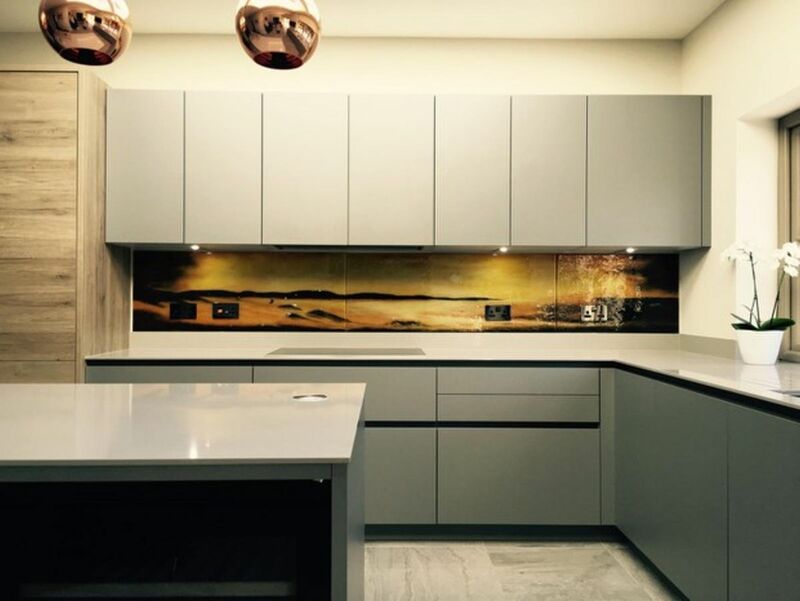 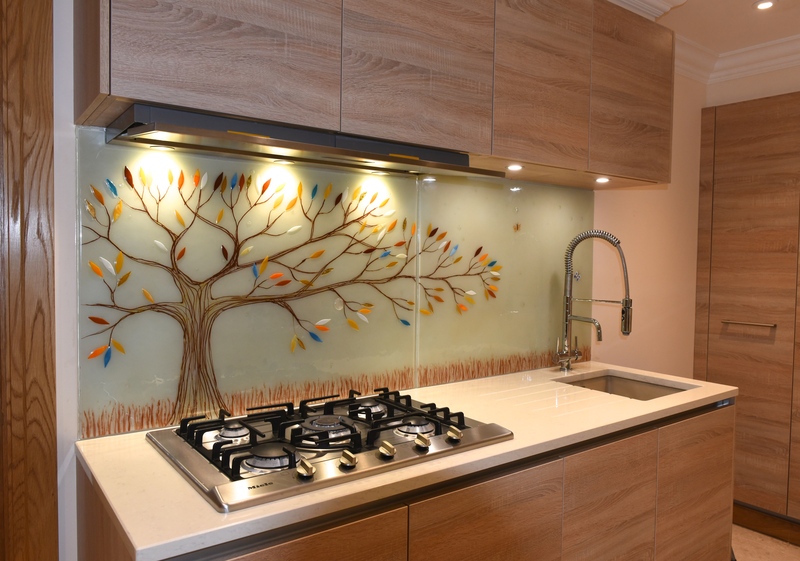 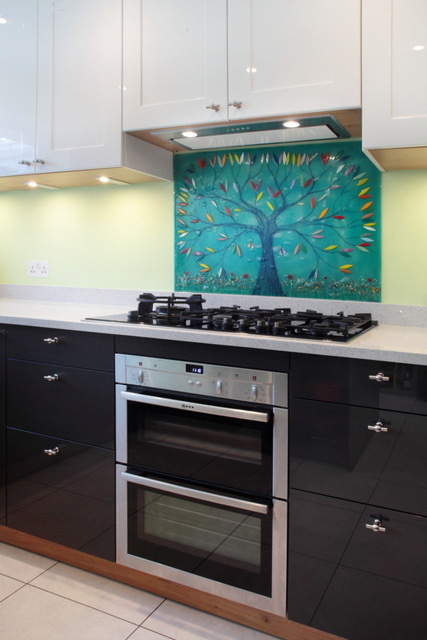 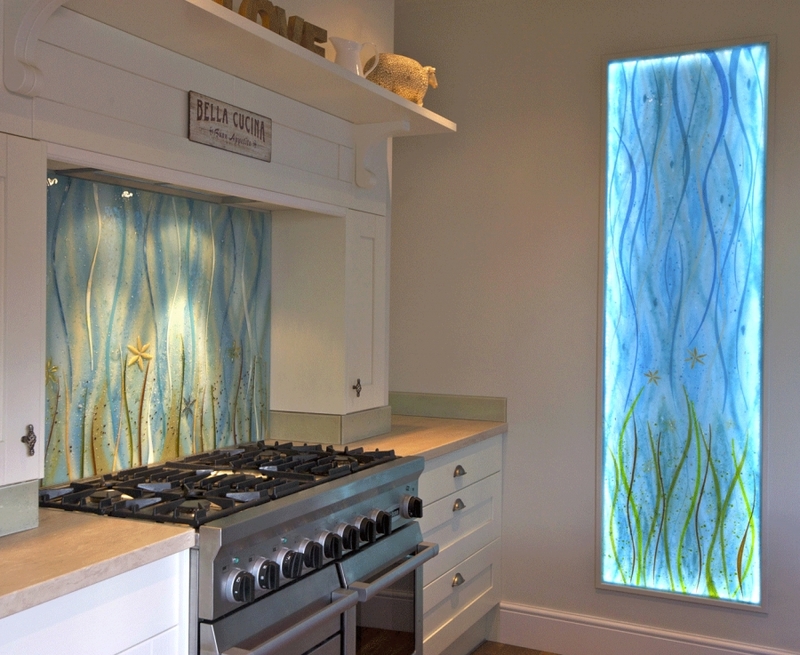 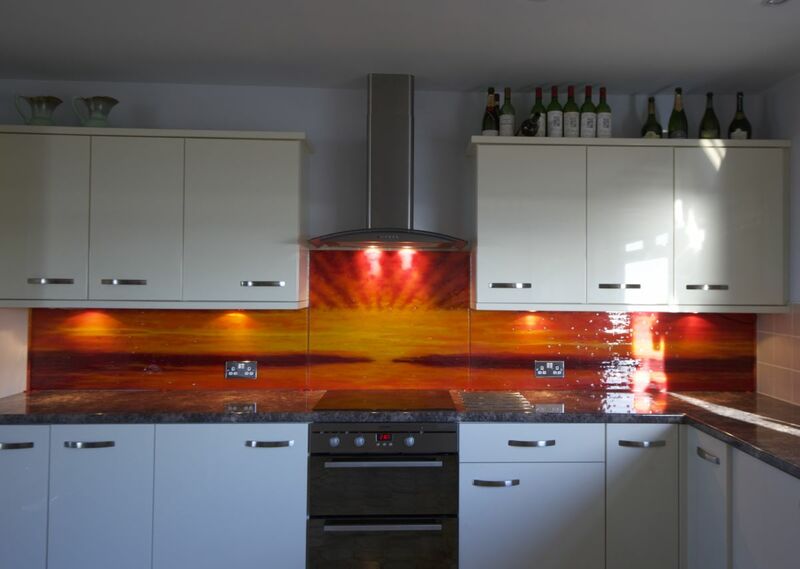 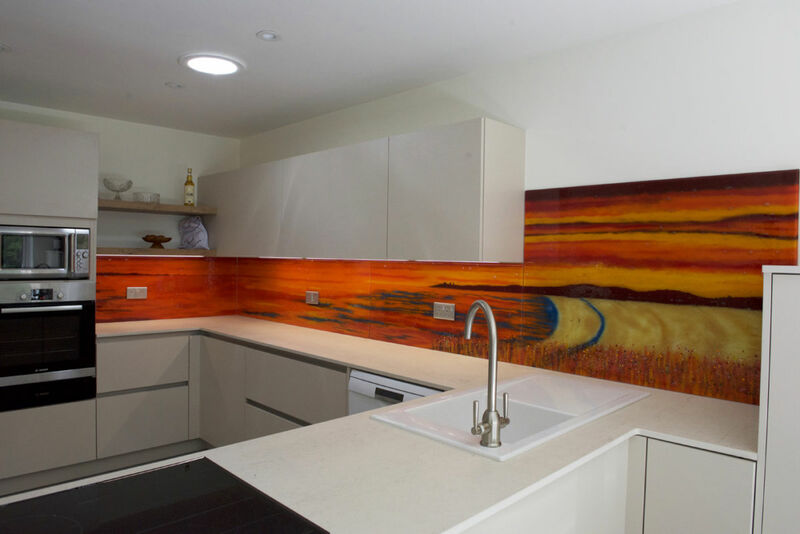 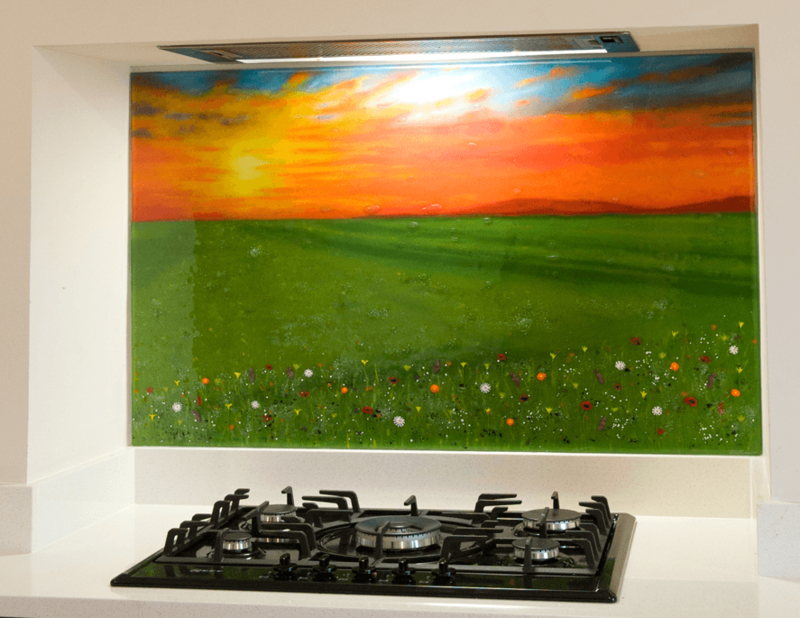 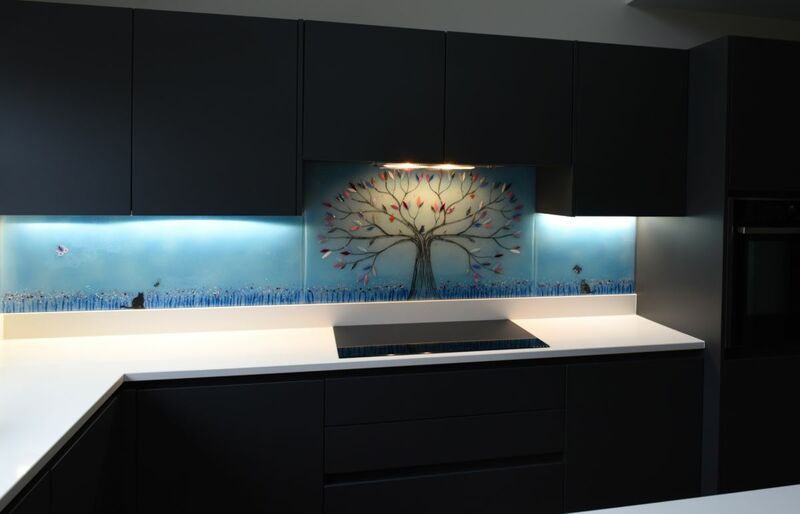 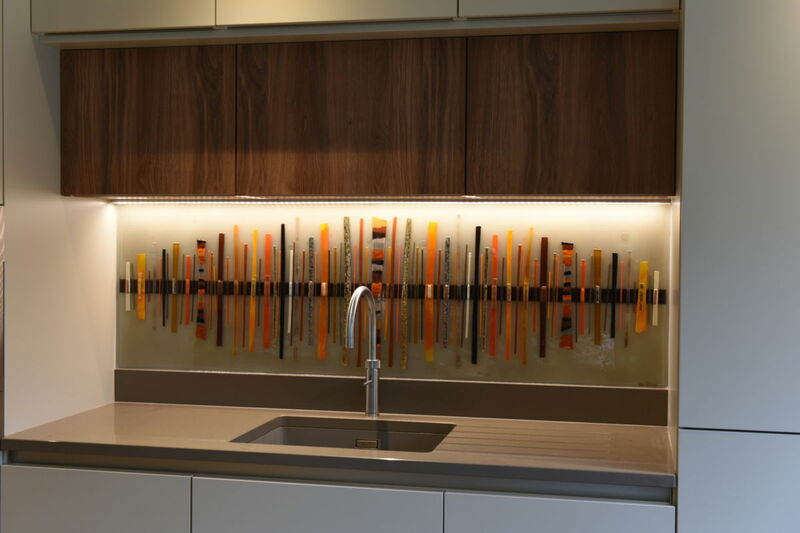 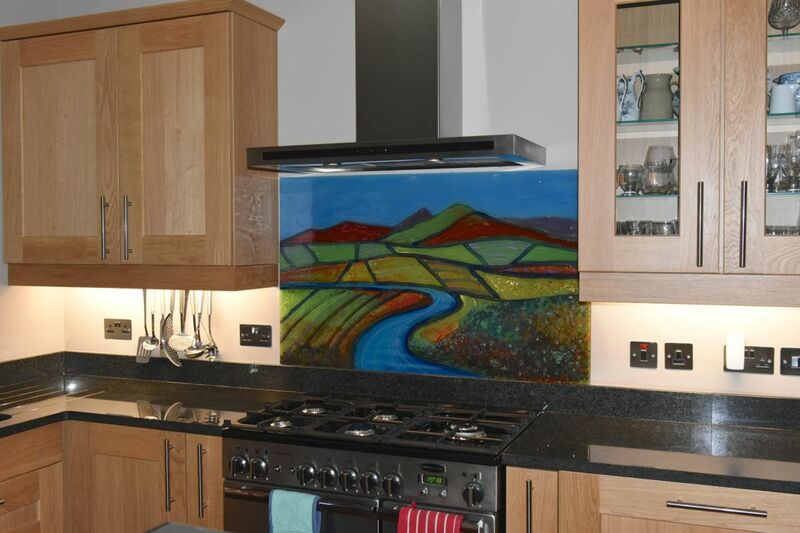 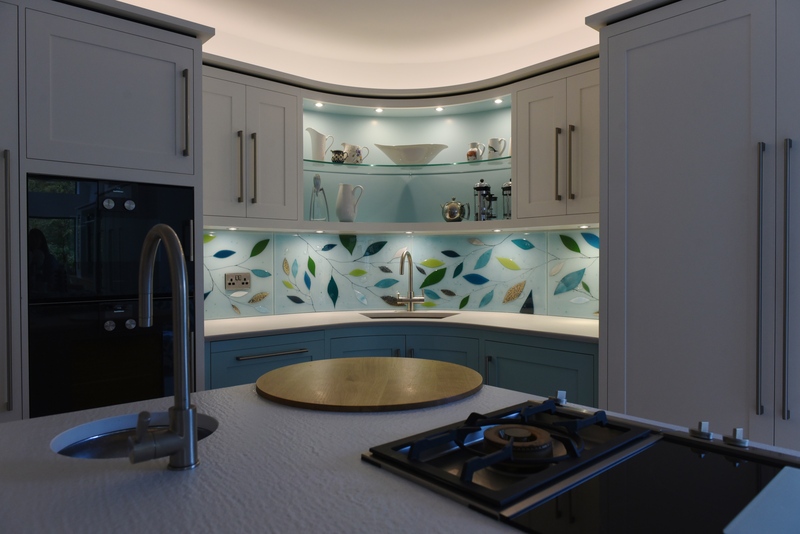 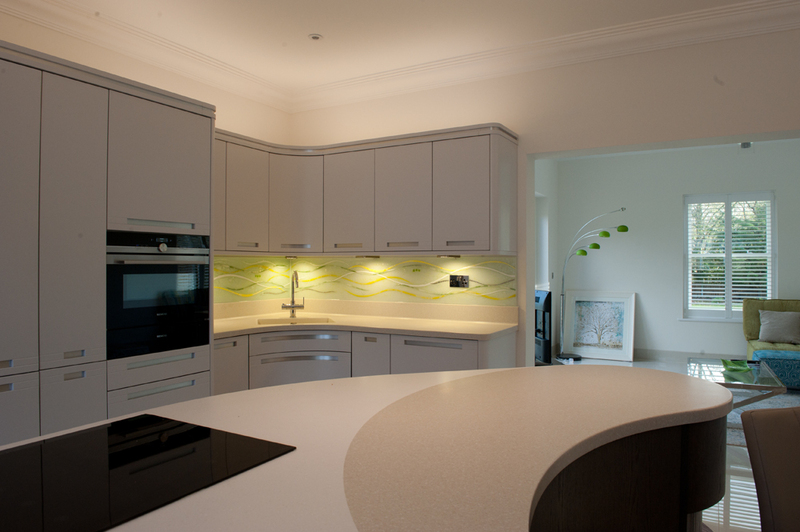 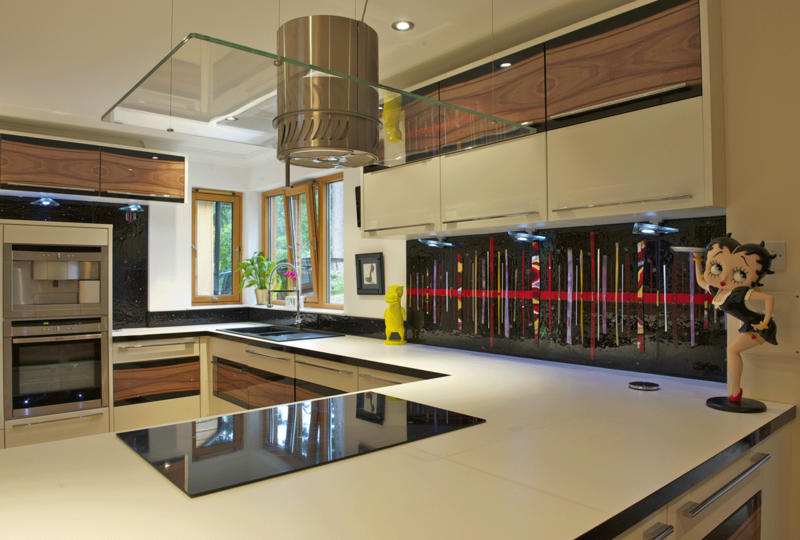 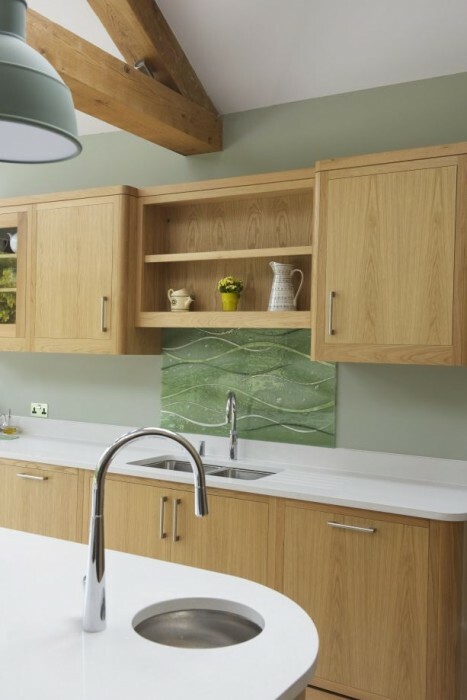 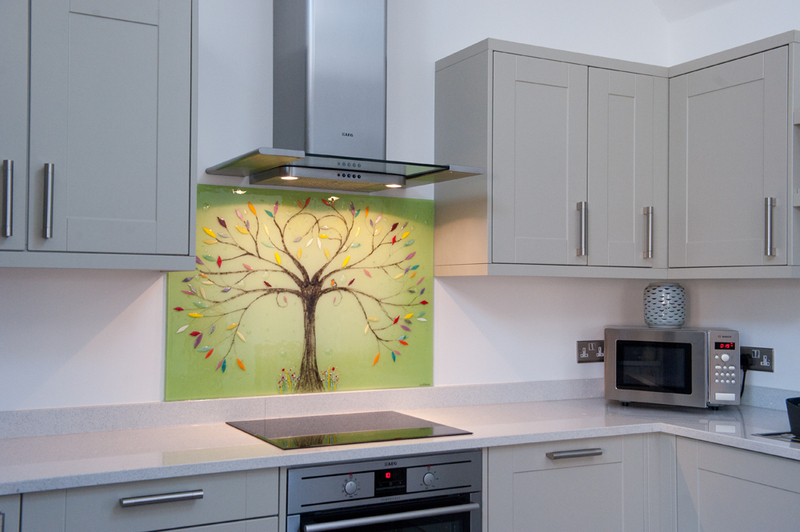 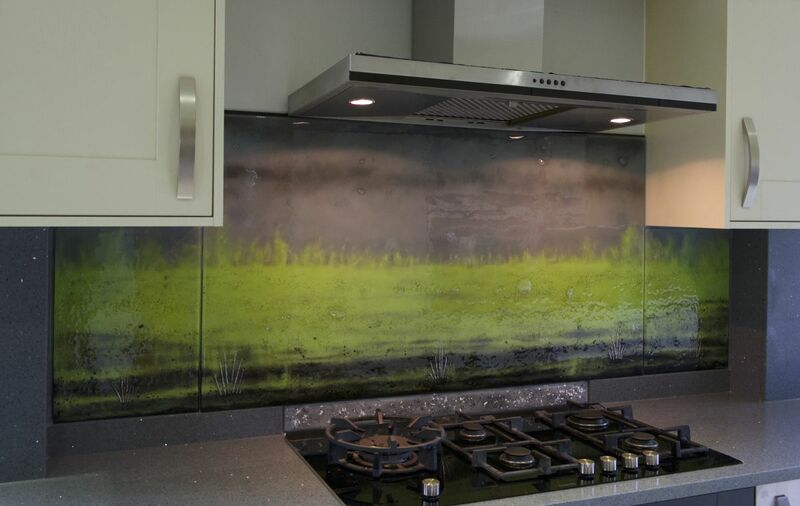 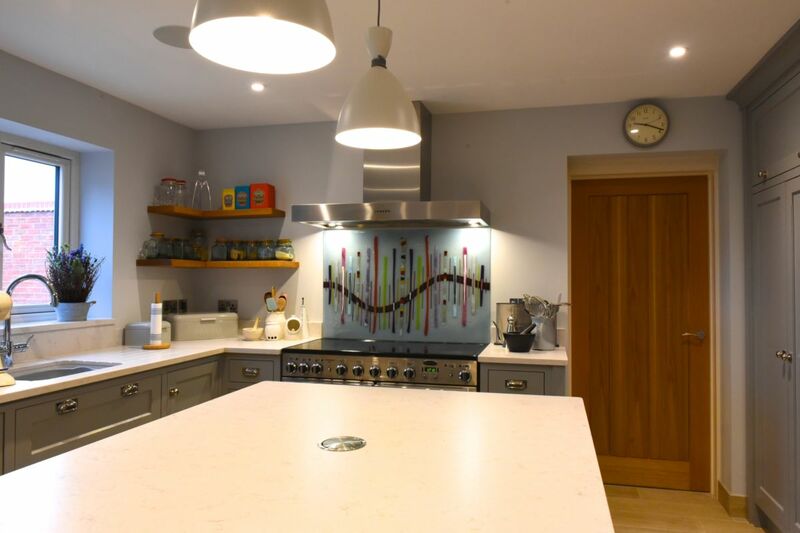 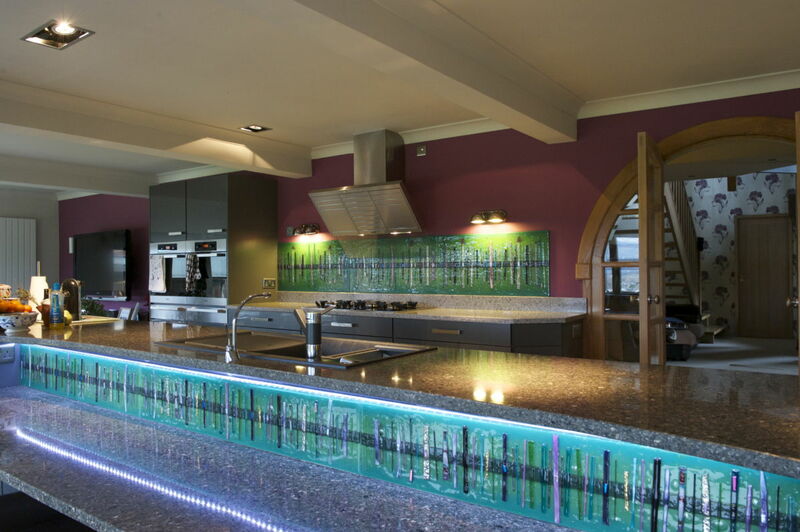 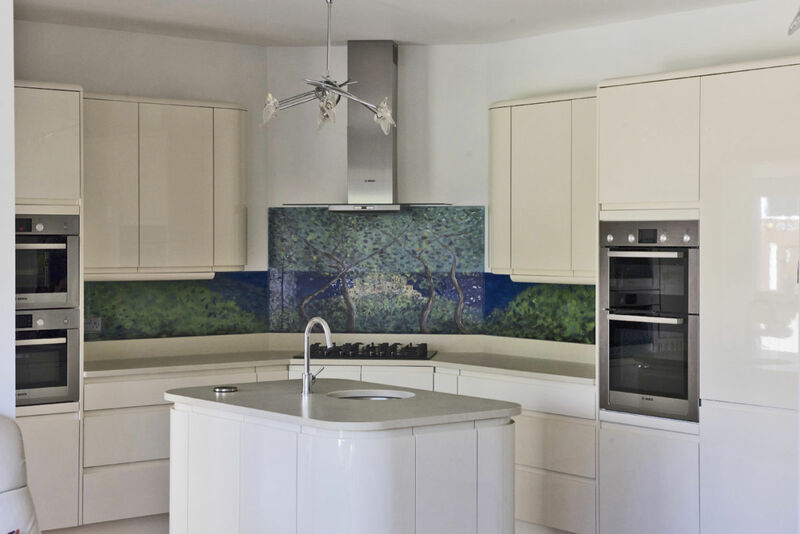 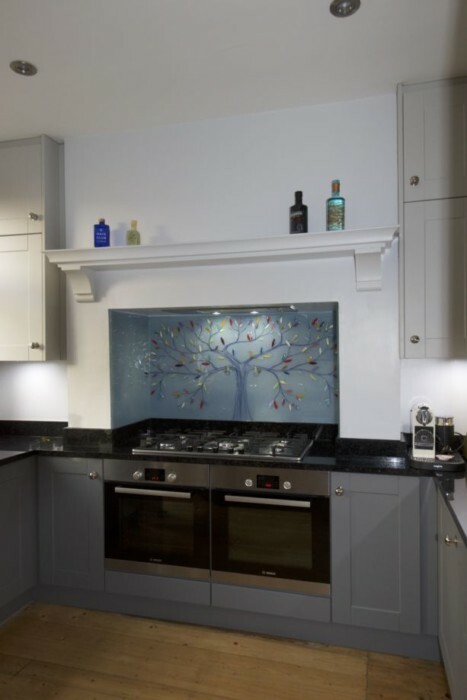 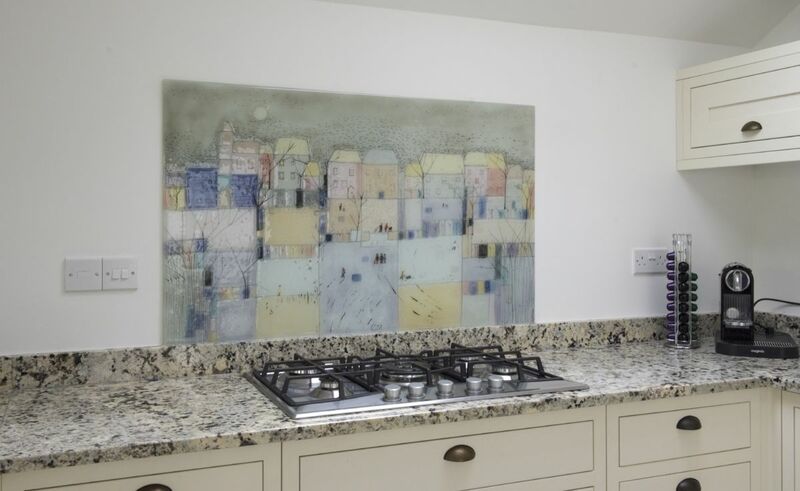 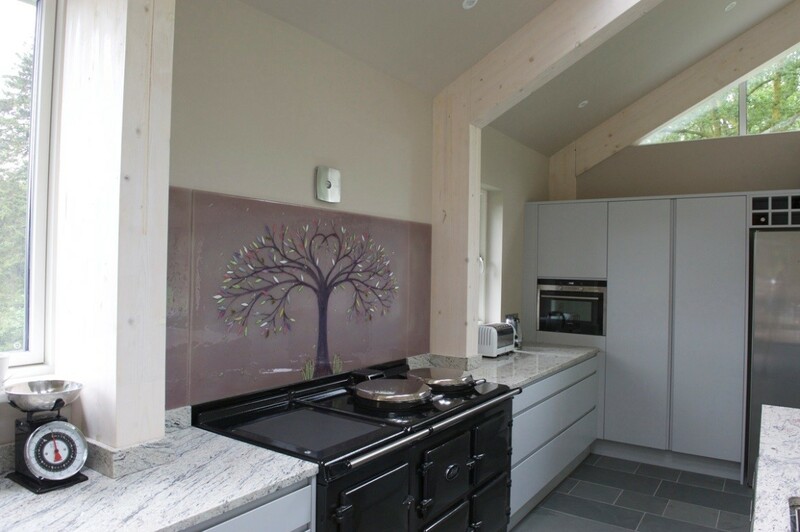 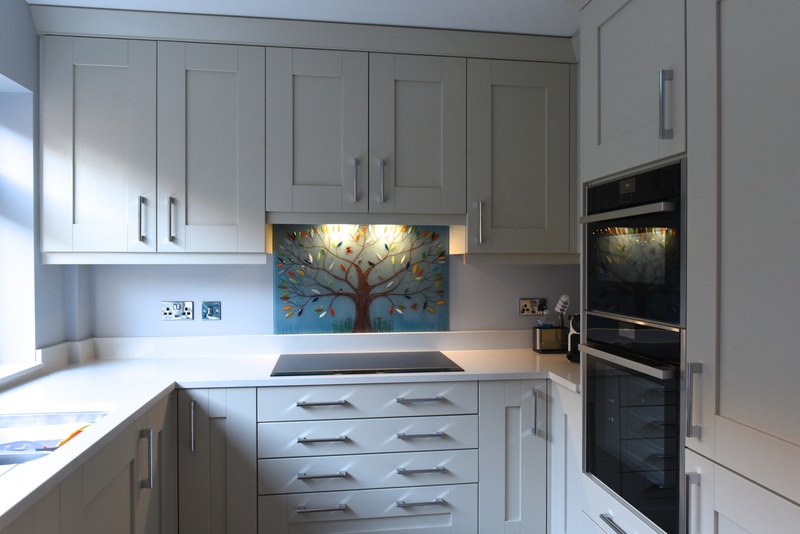 If you also love the effect that our bespoke glass splashbacks brought to this kitchen, why not bring the unique touch of fused glass art to your own home? 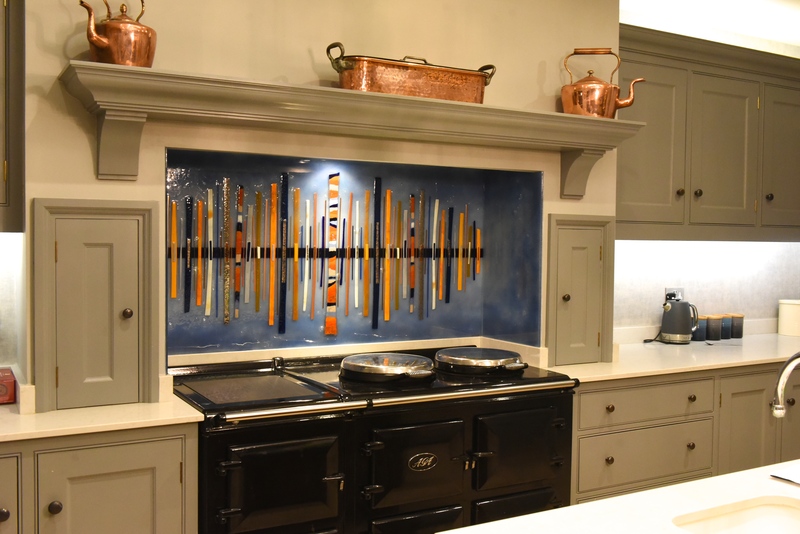 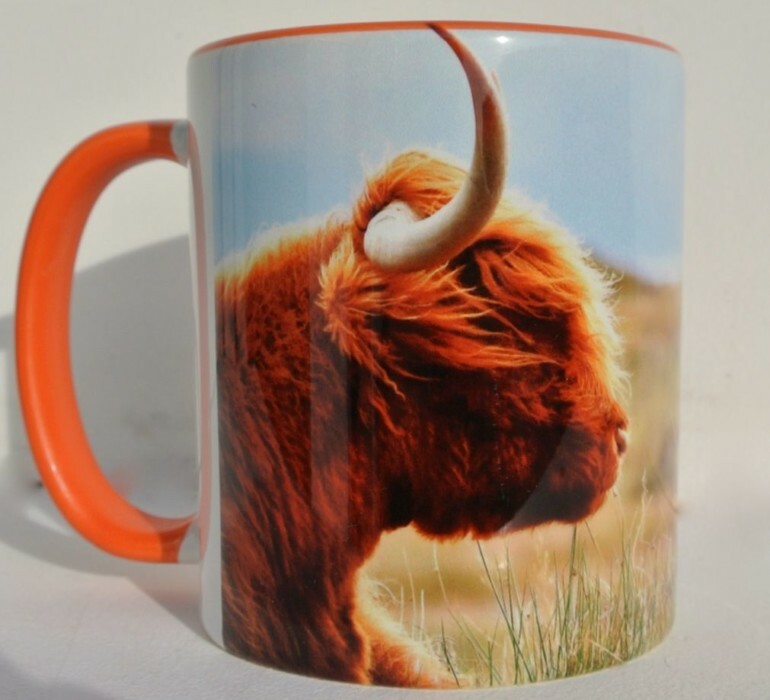 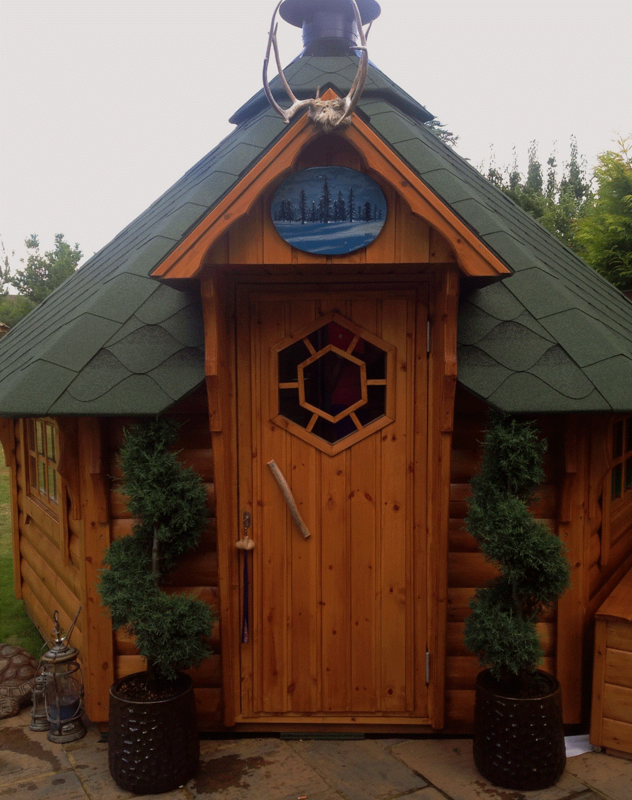 All of the pieces we make are created by hand and made to order, so we mean it when we say that we have something to go in any space you could think of. 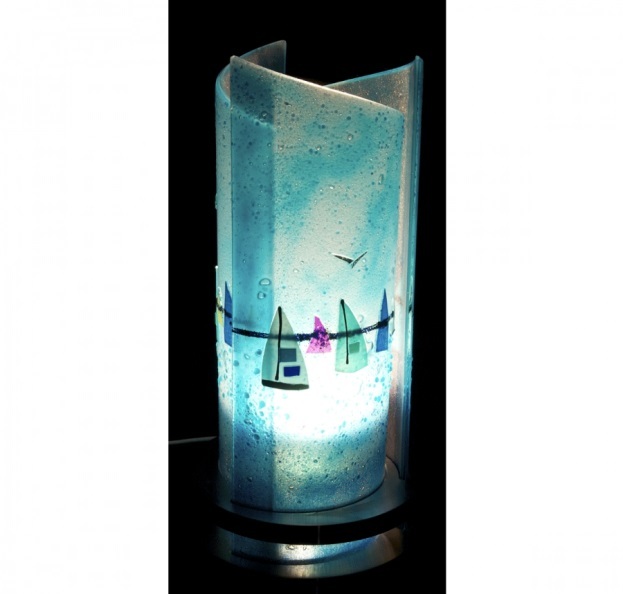 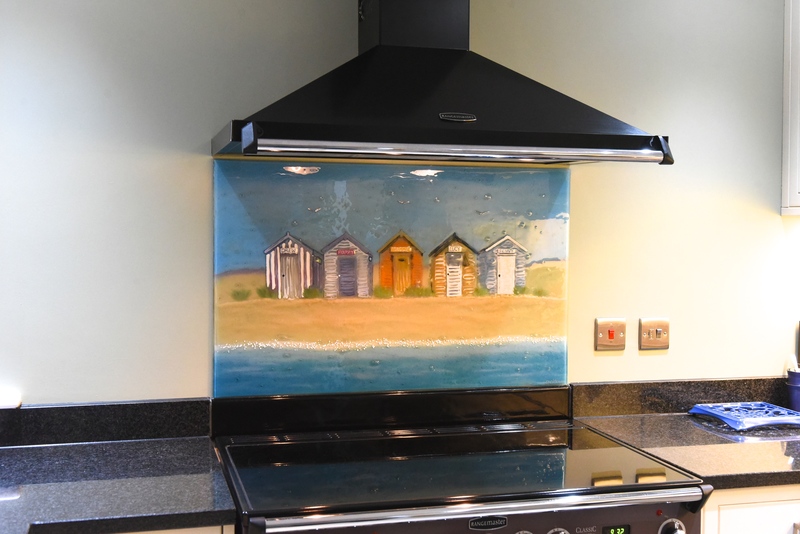 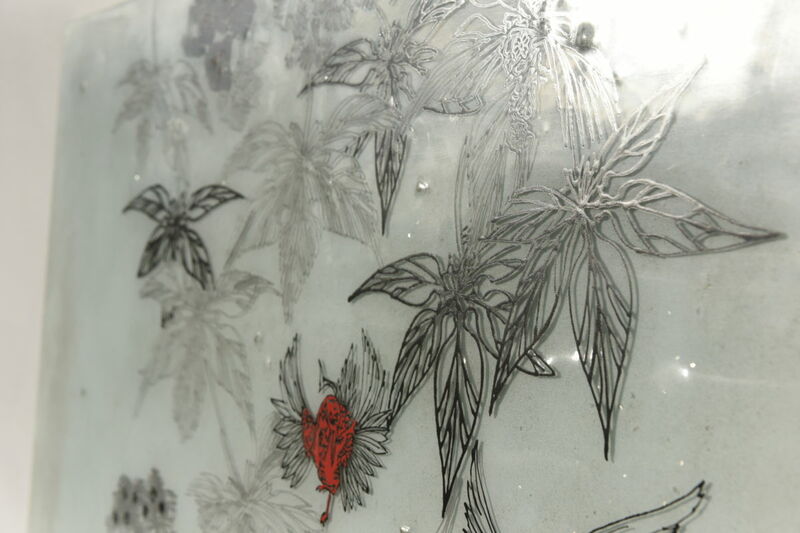 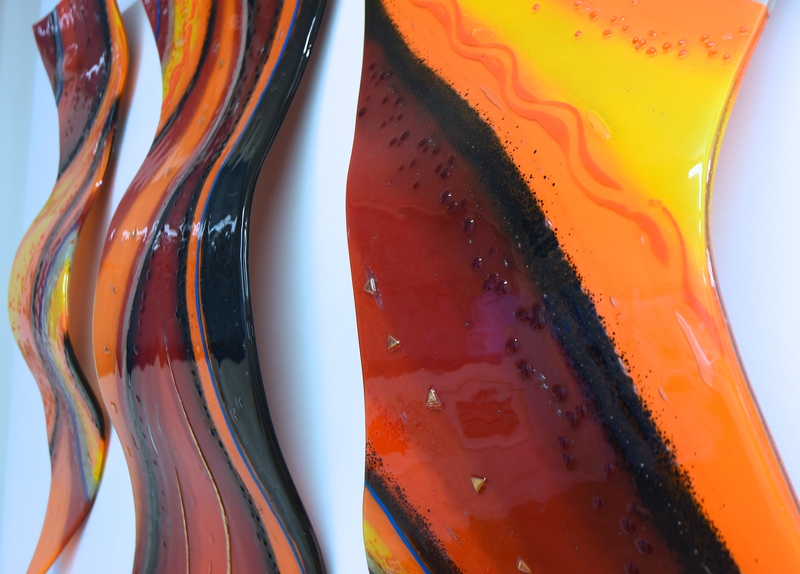 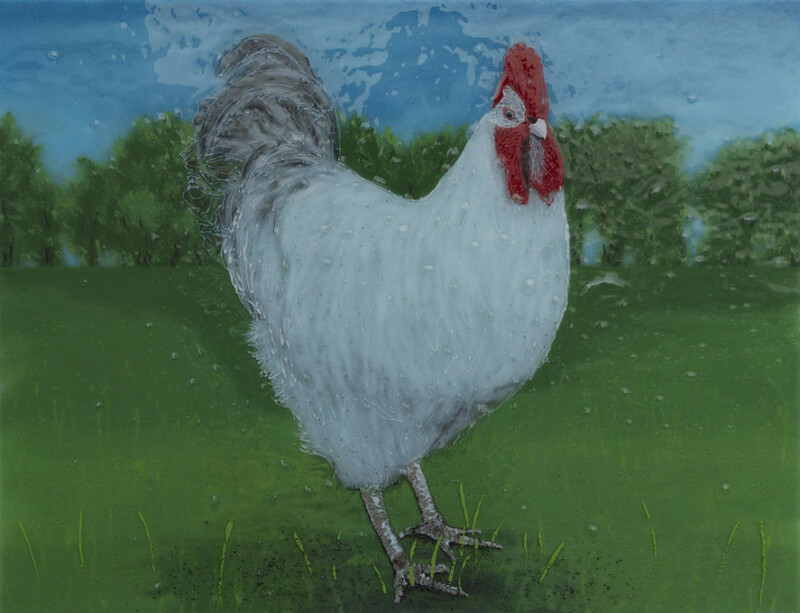 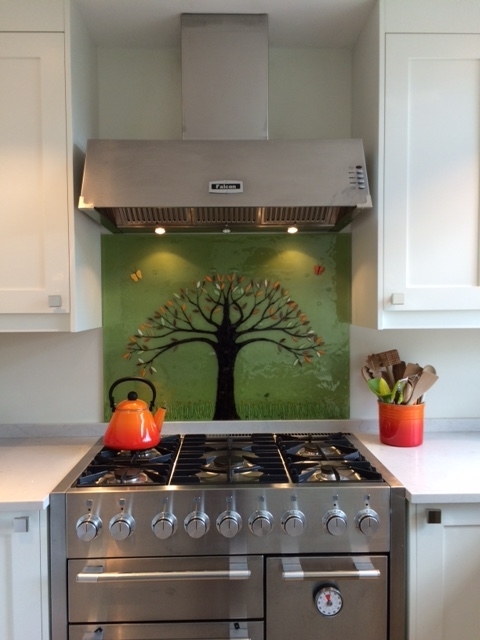 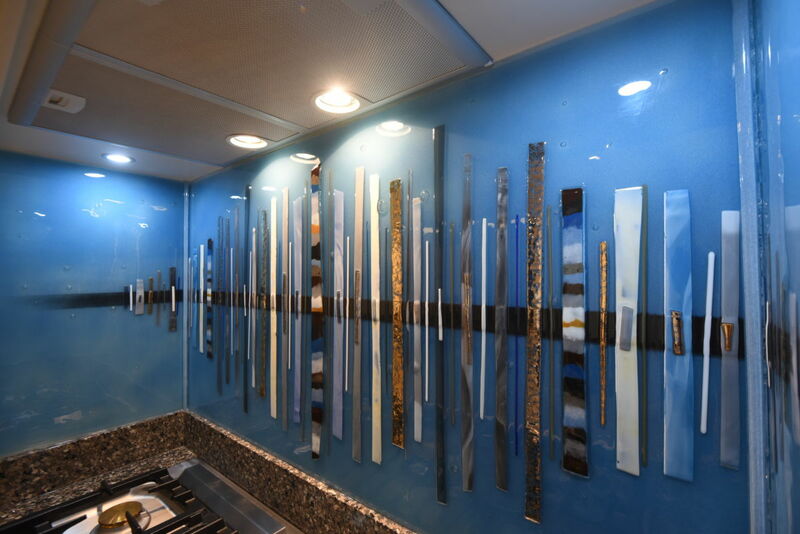 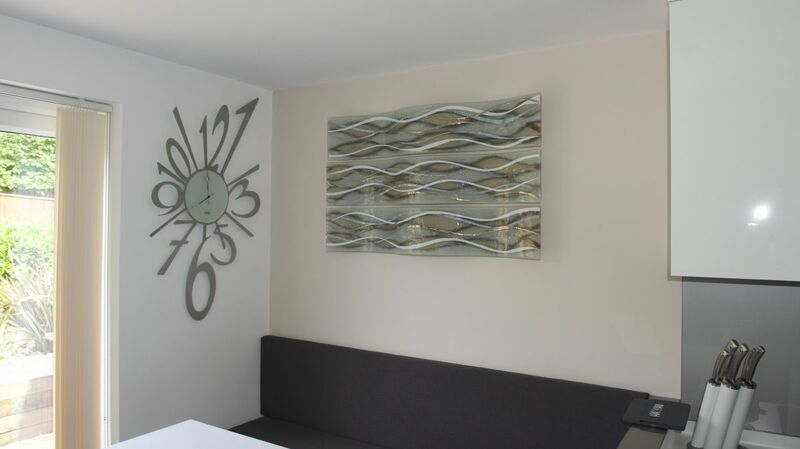 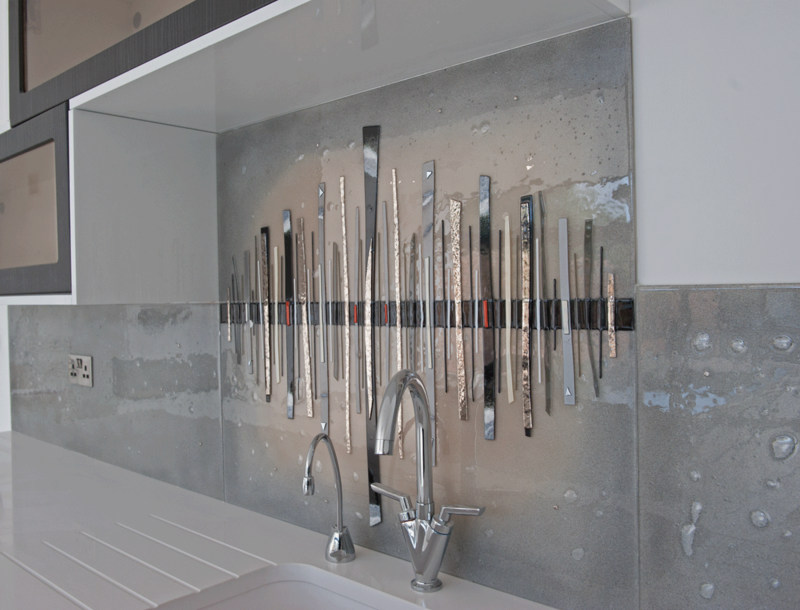 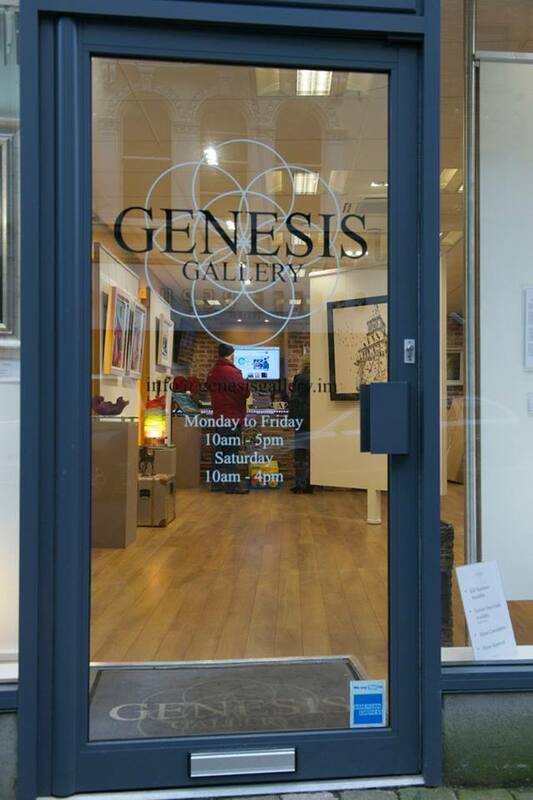 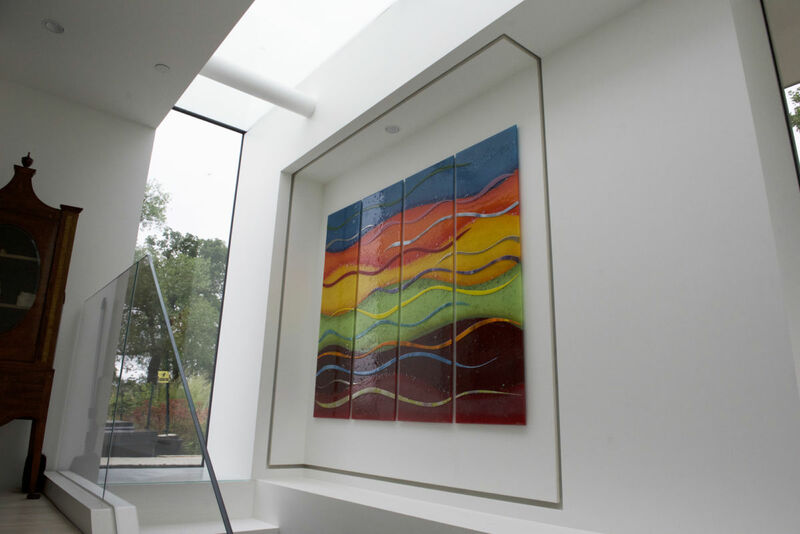 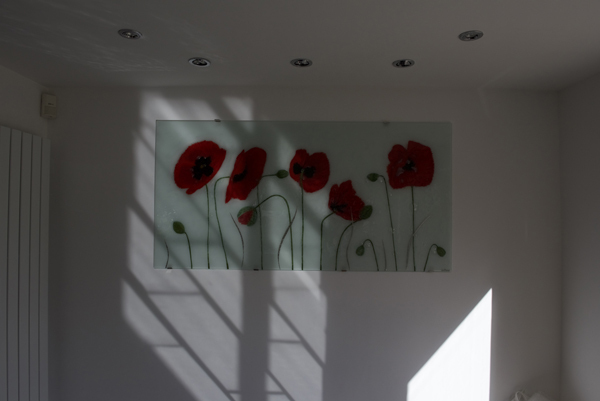 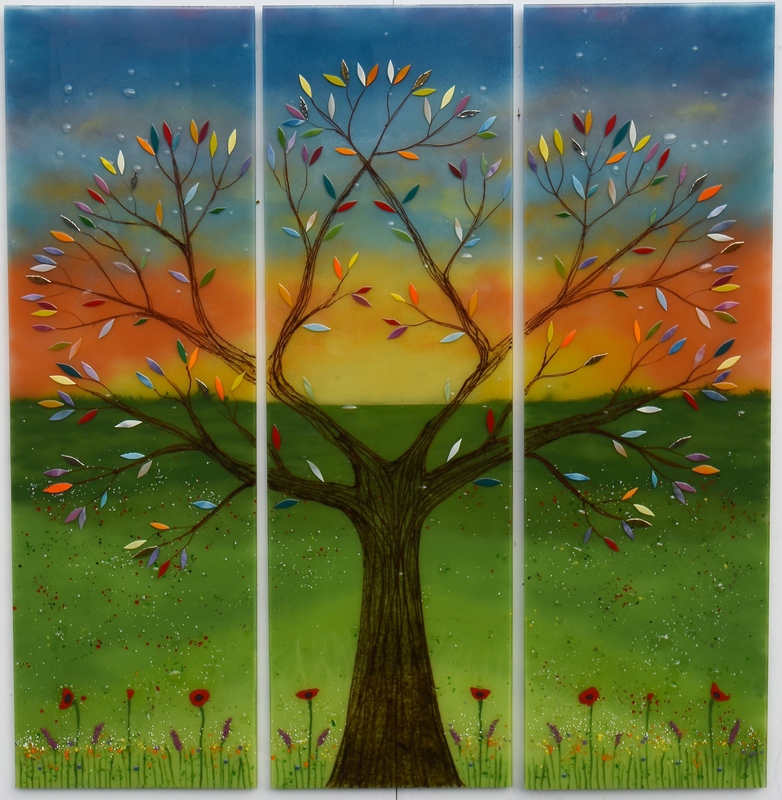 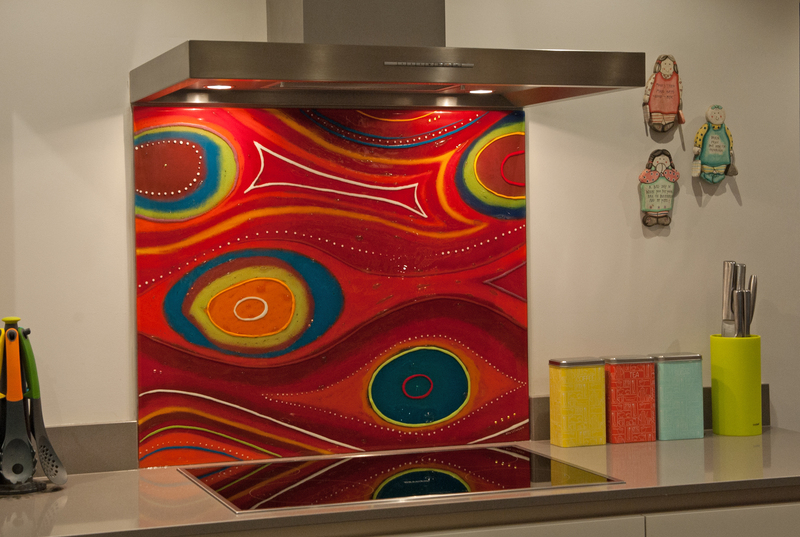 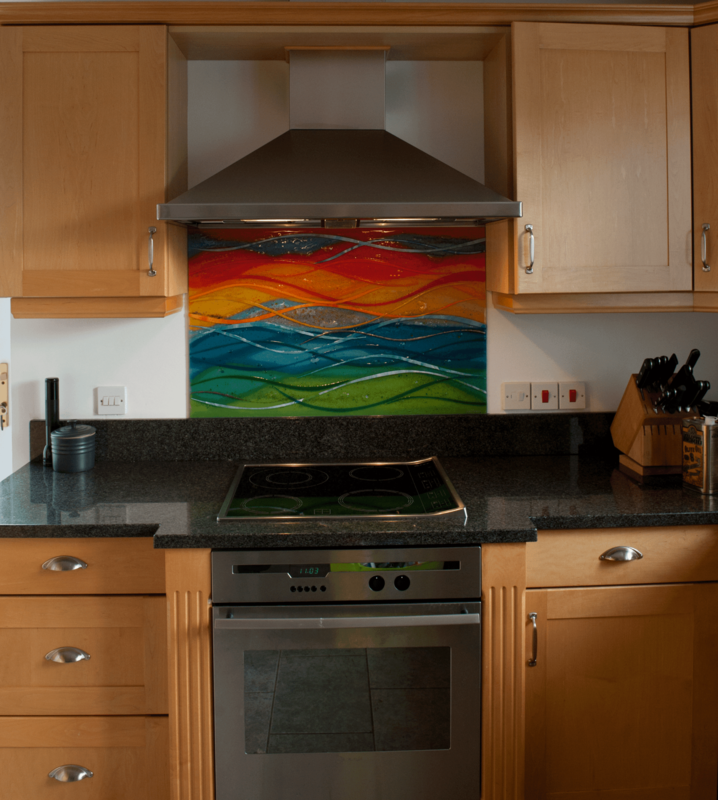 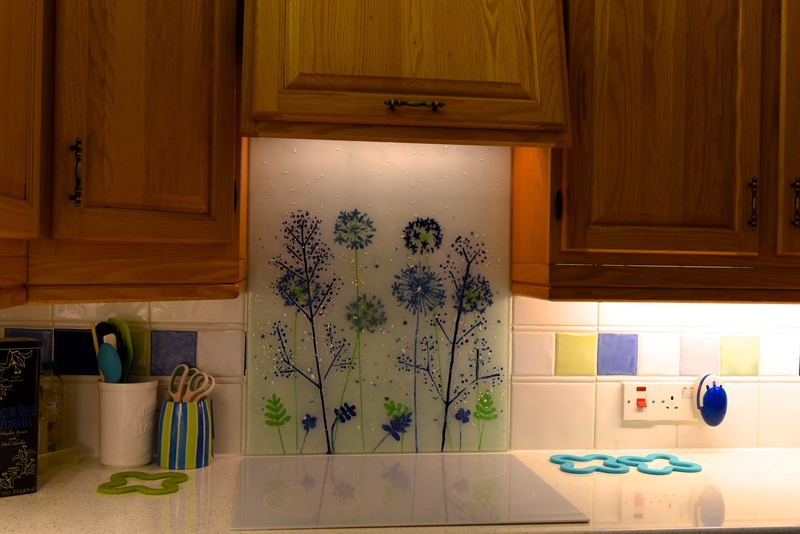 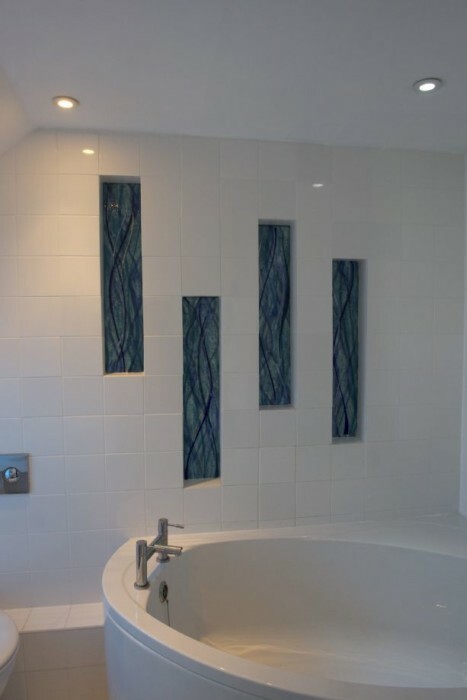 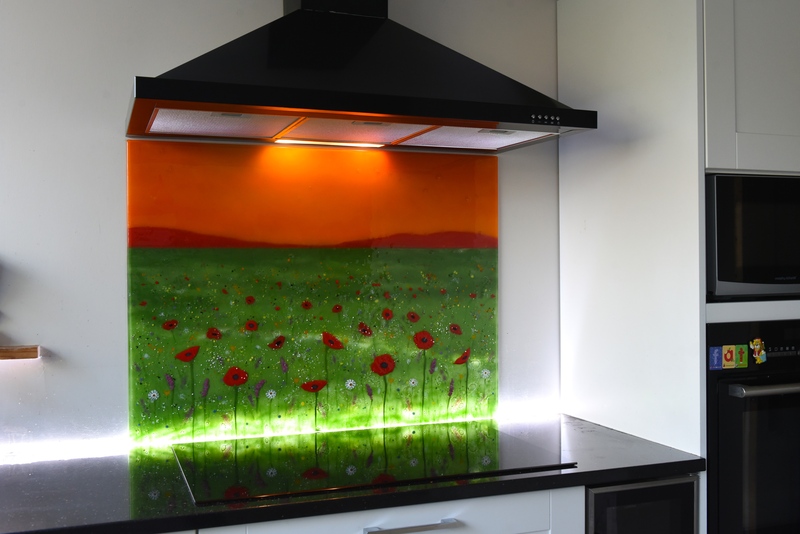 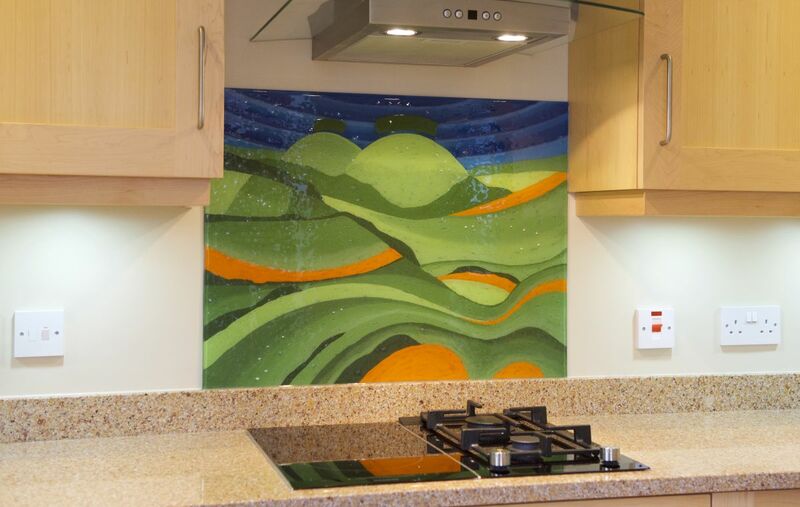 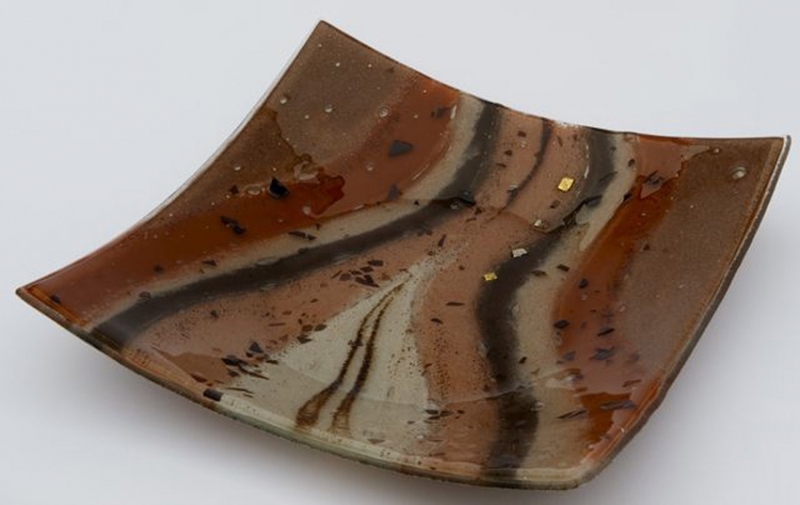 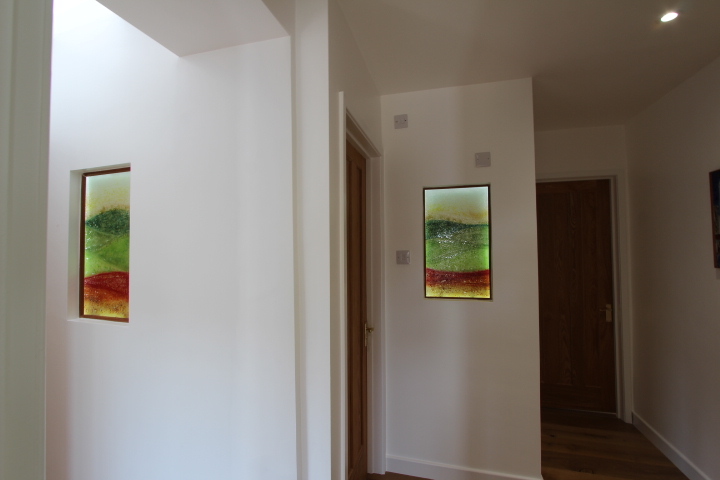 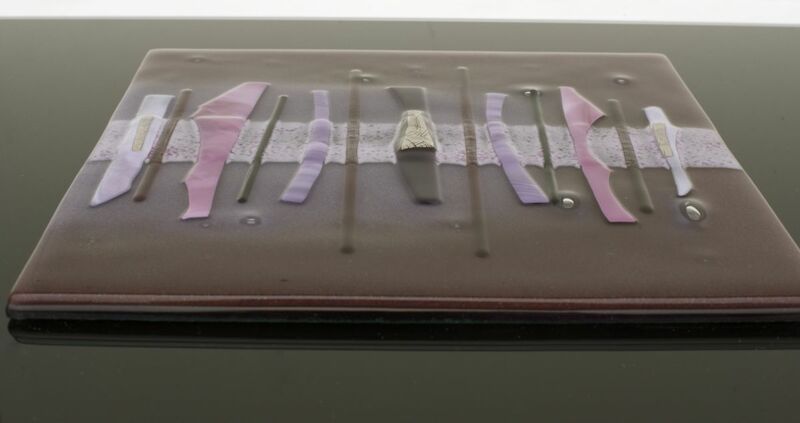 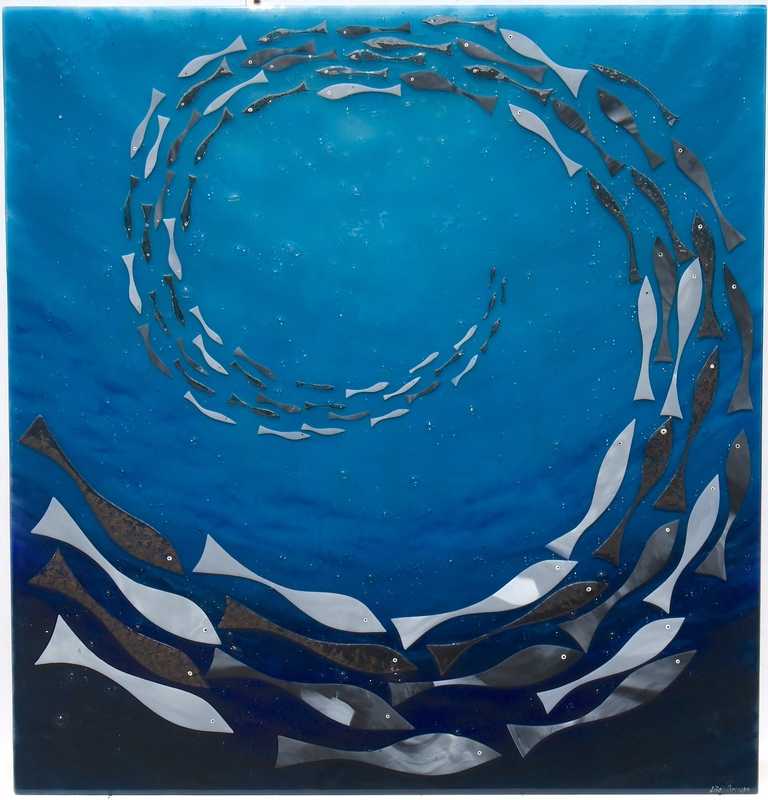 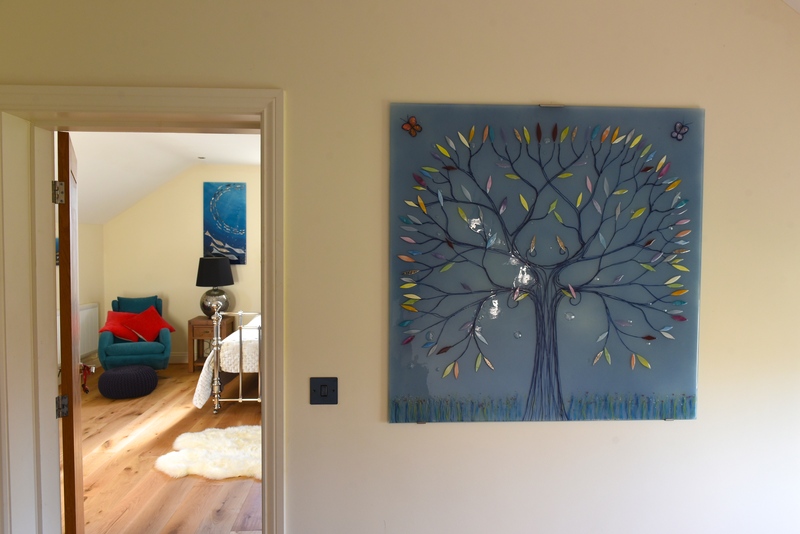 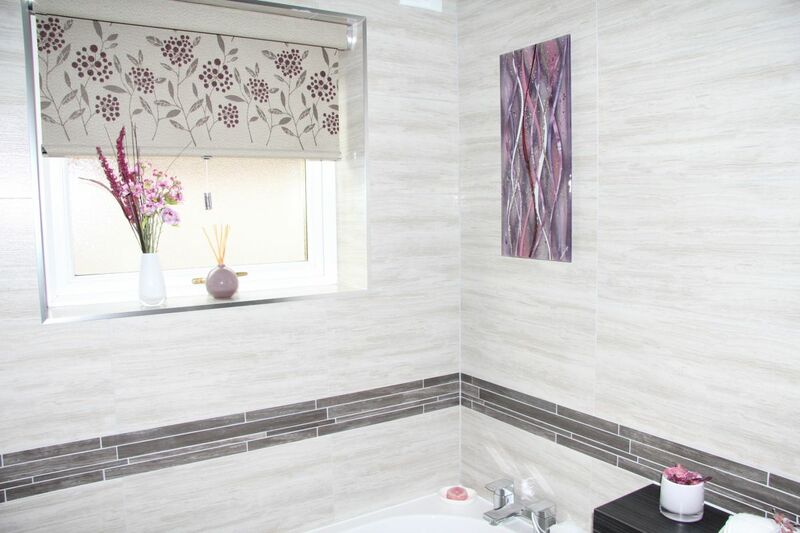 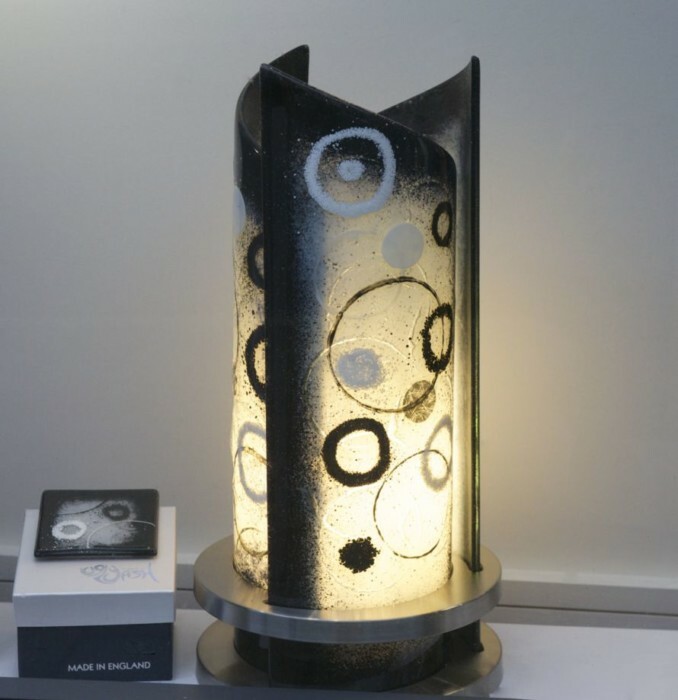 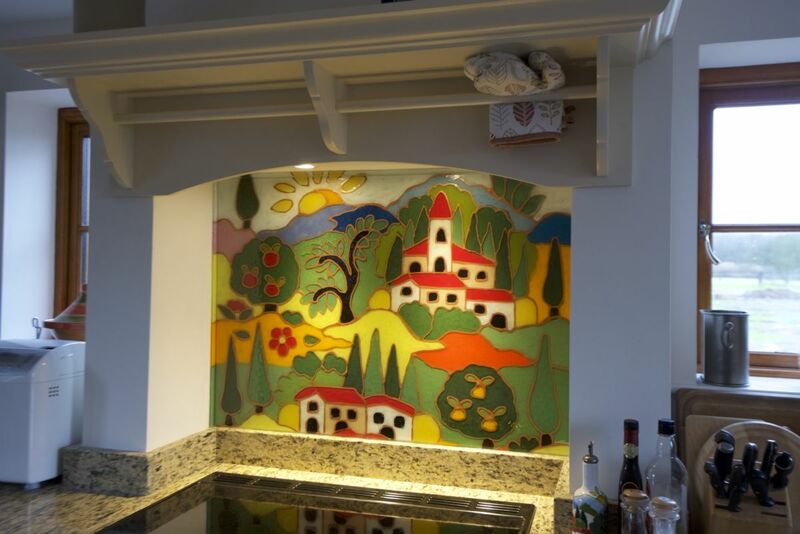 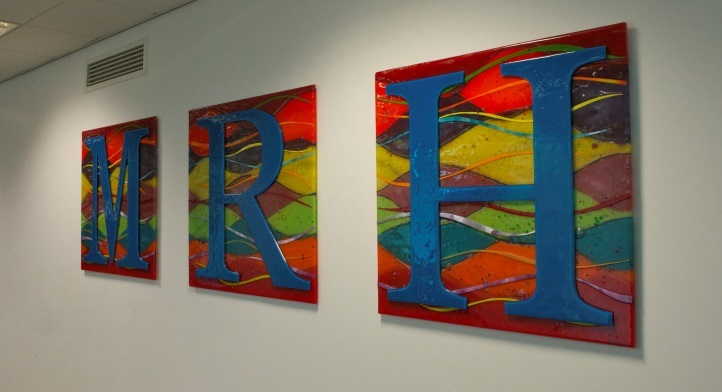 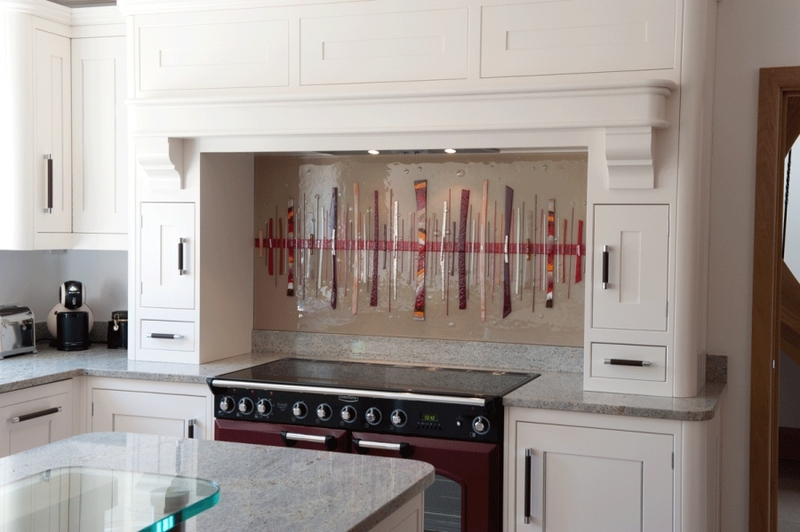 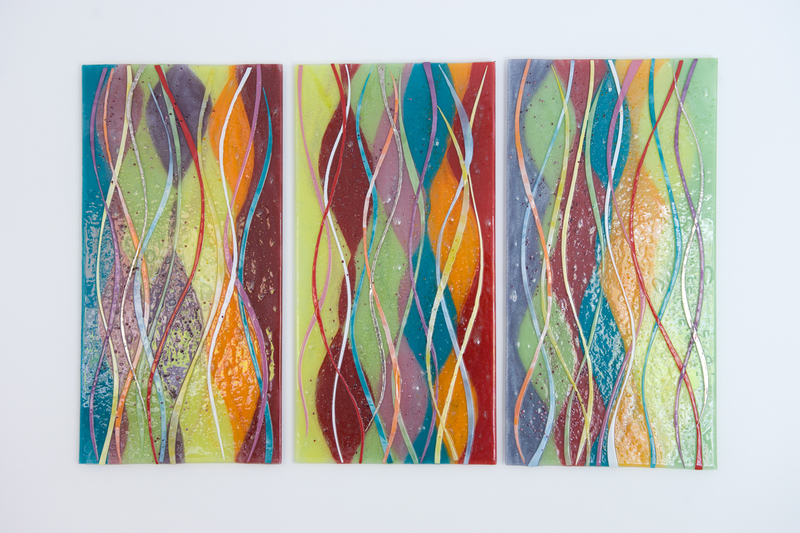 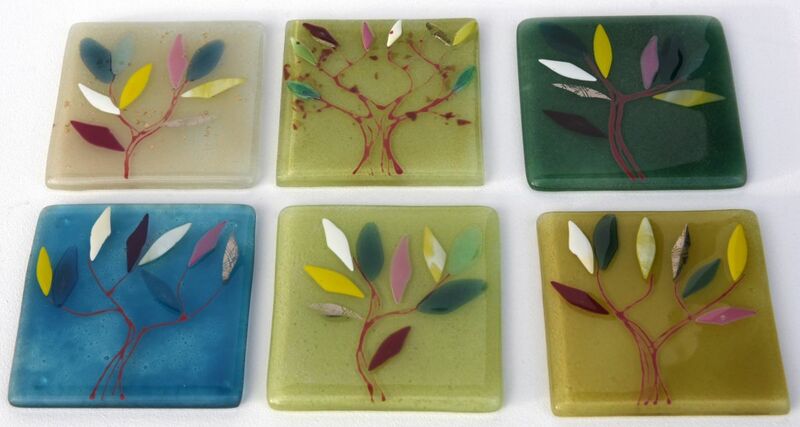 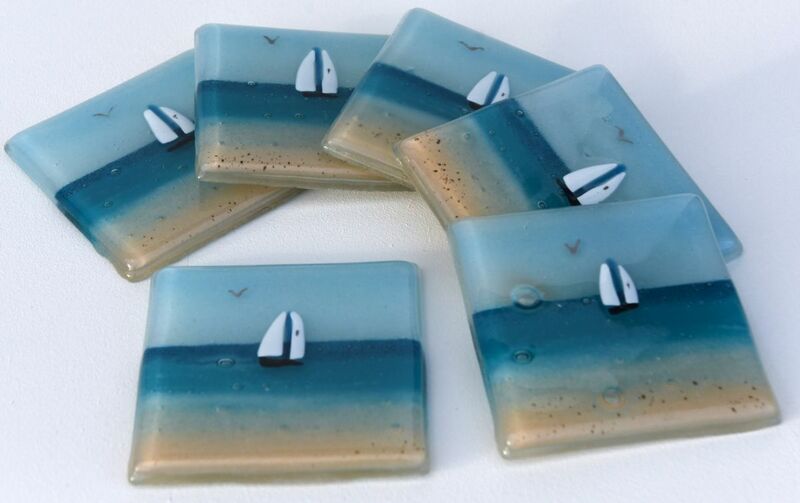 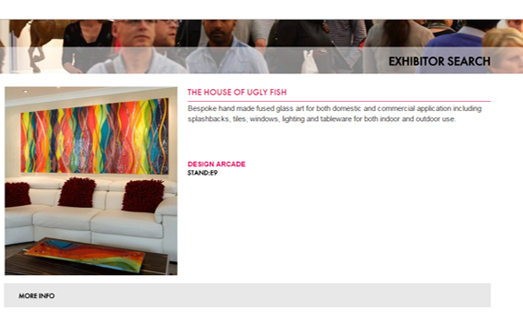 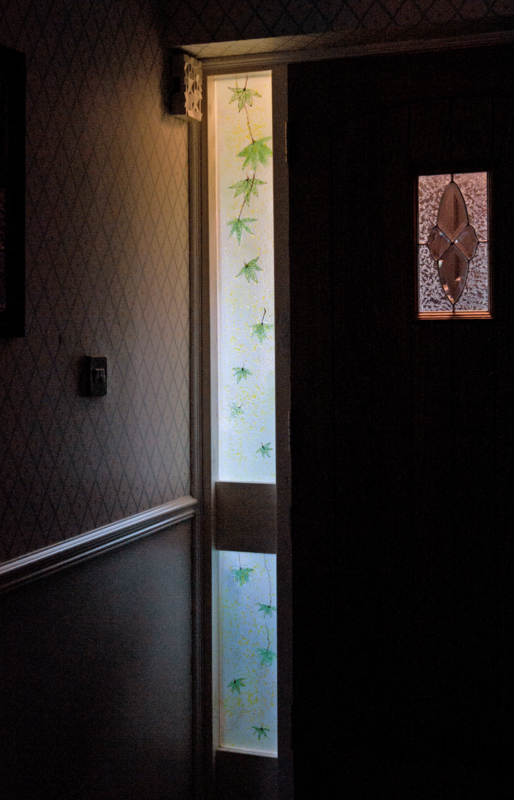 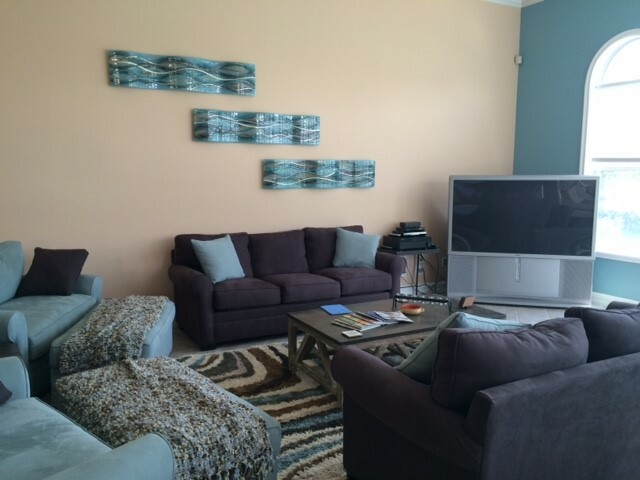 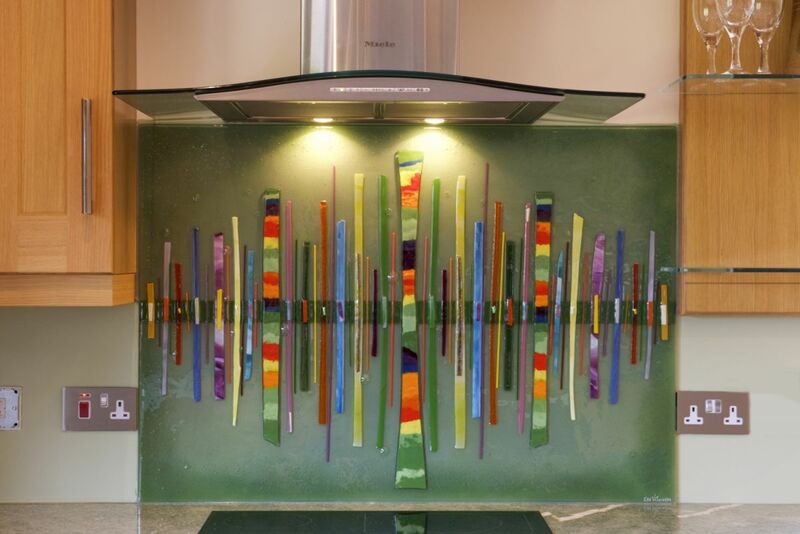 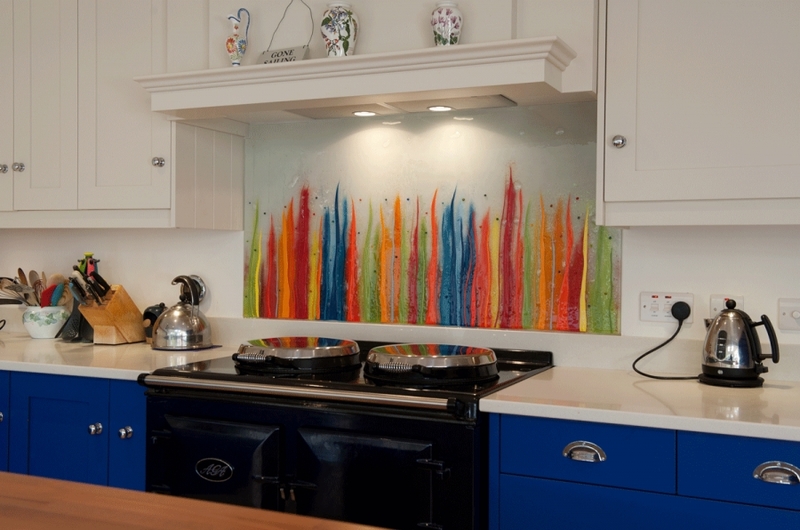 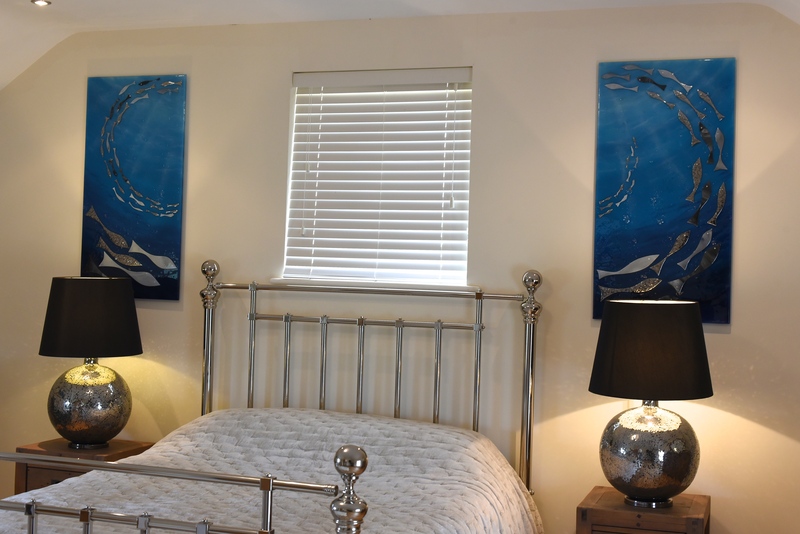 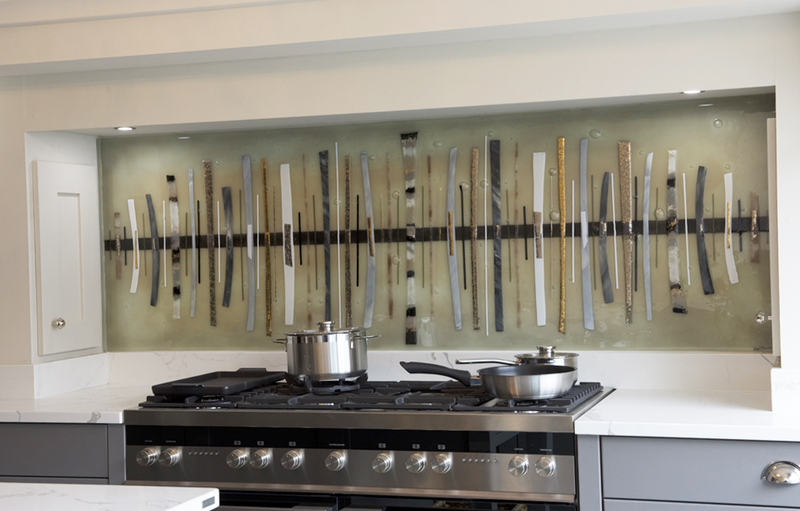 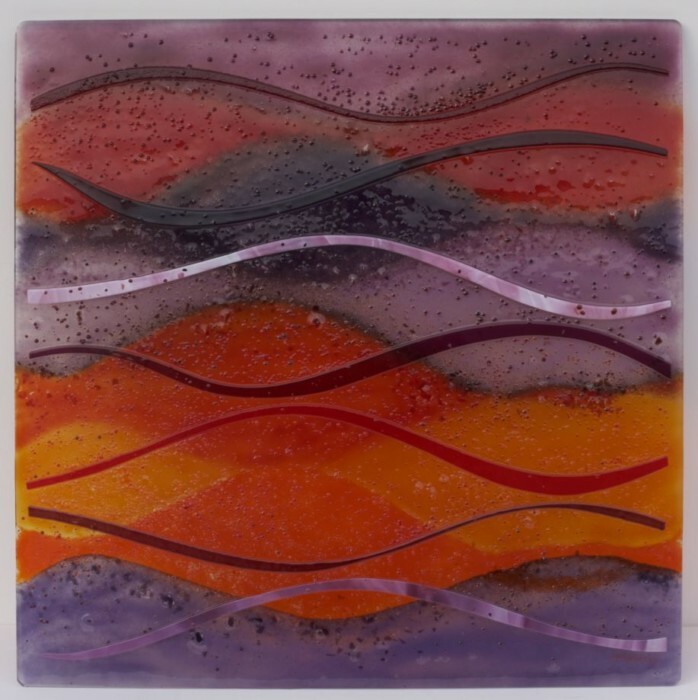 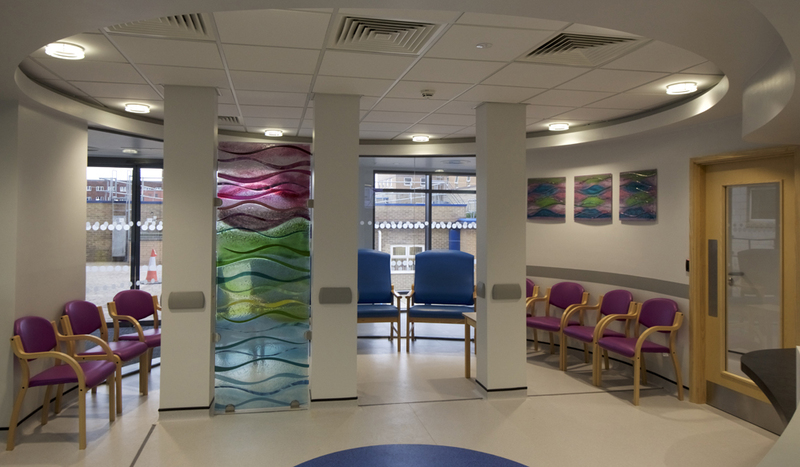 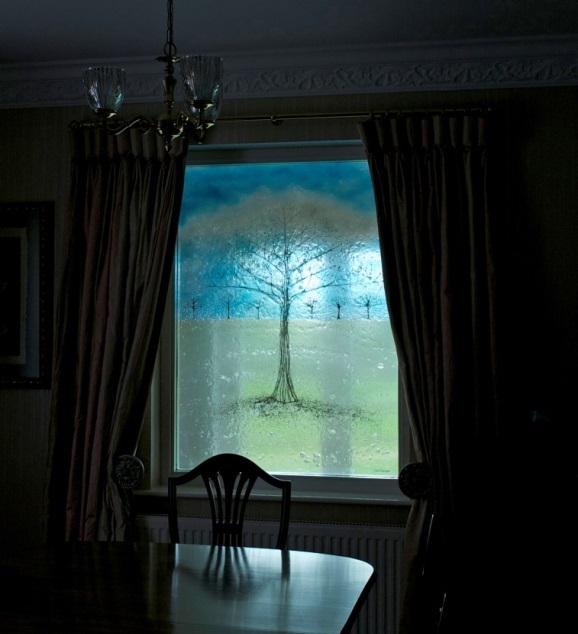 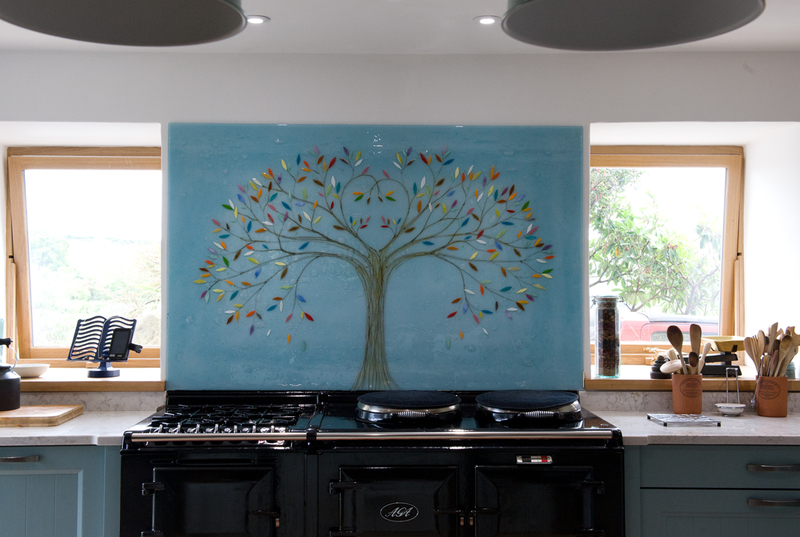 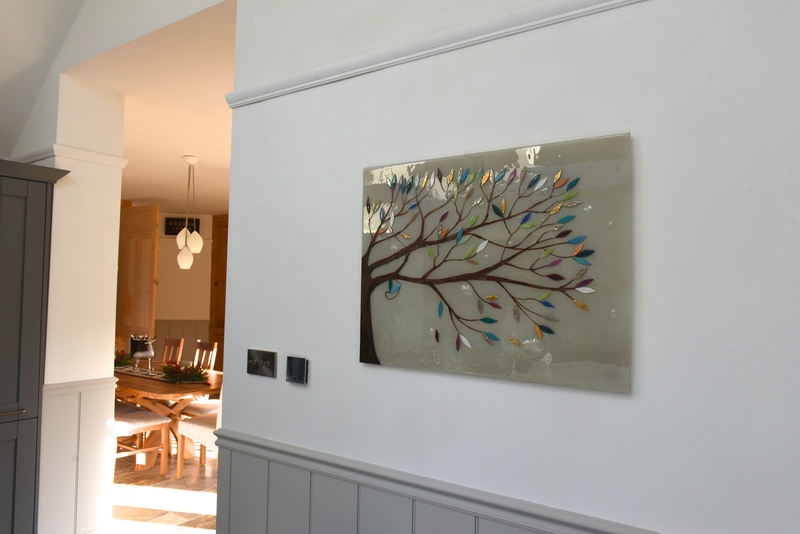 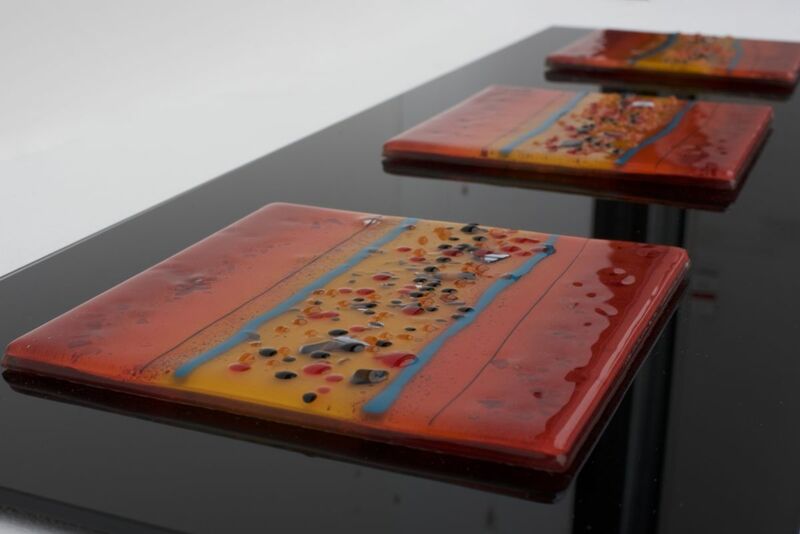 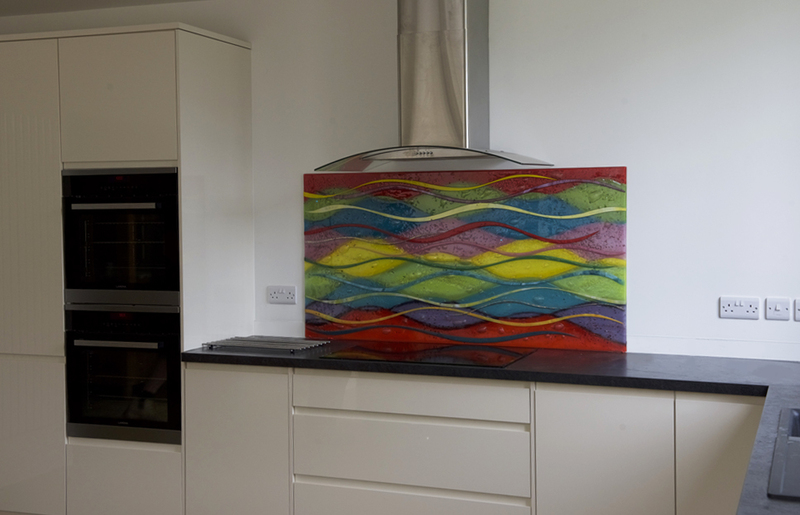 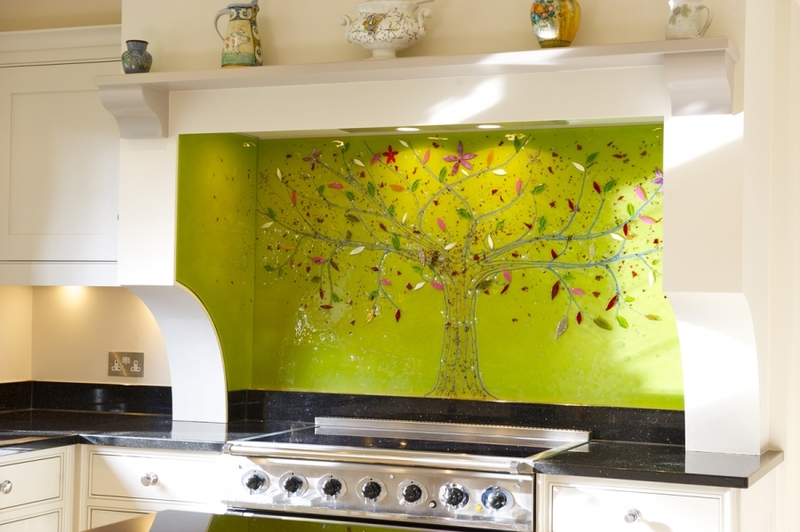 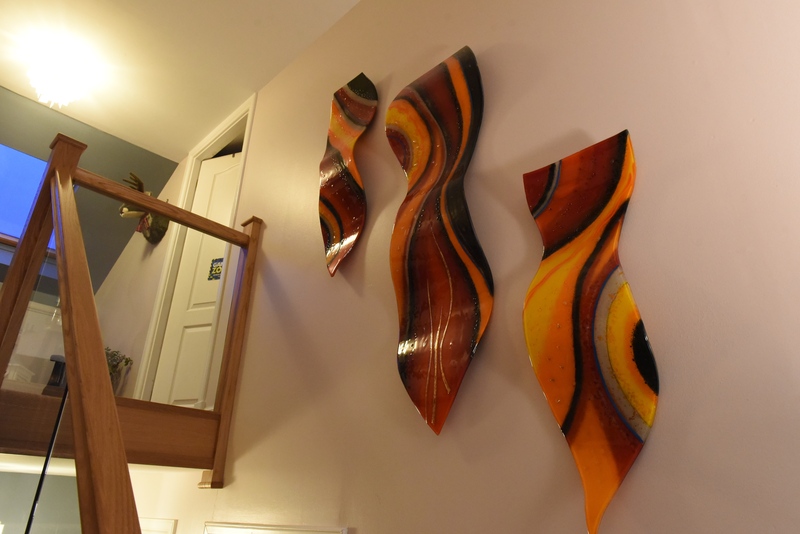 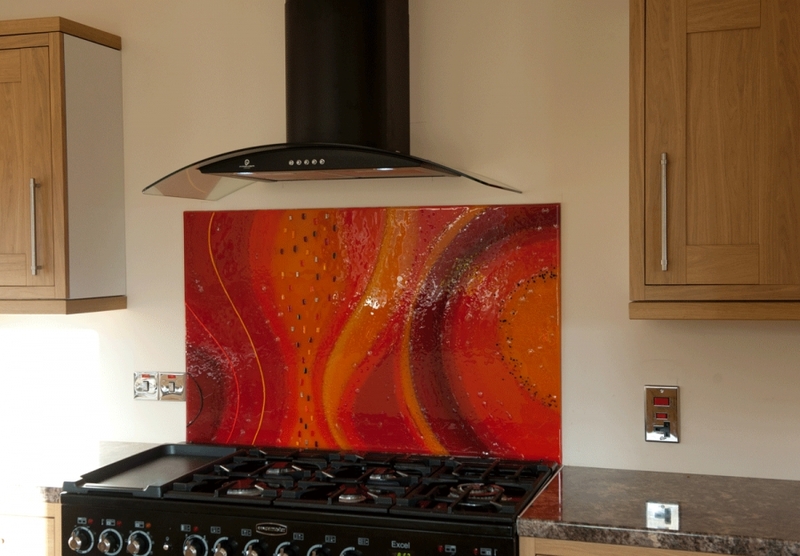 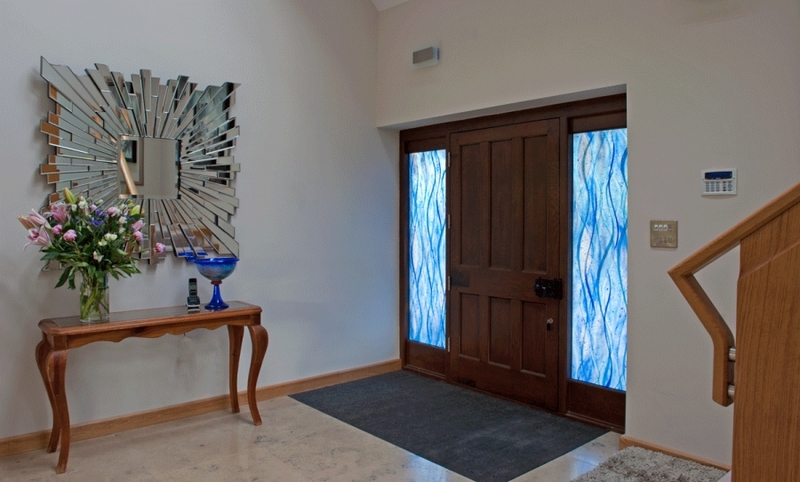 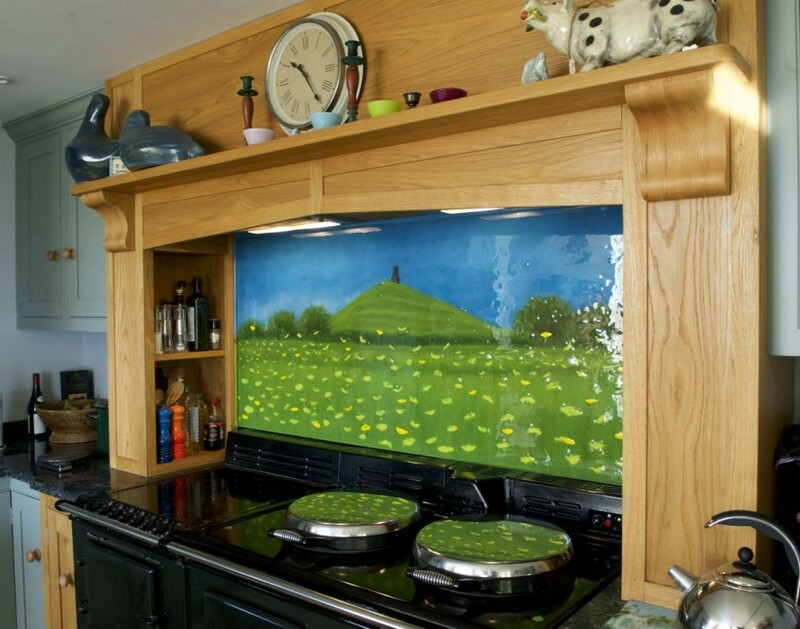 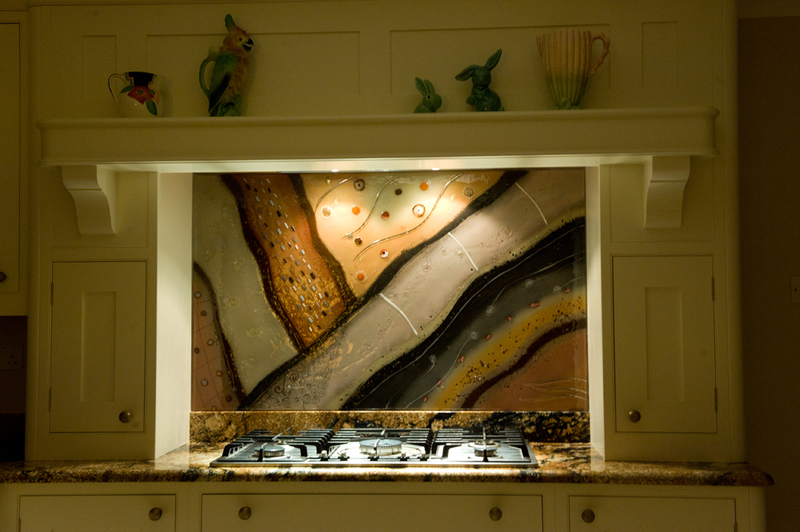 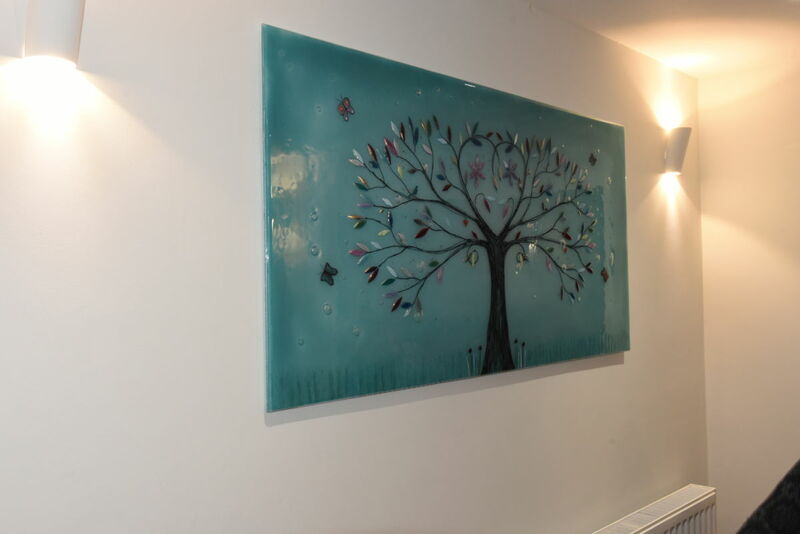 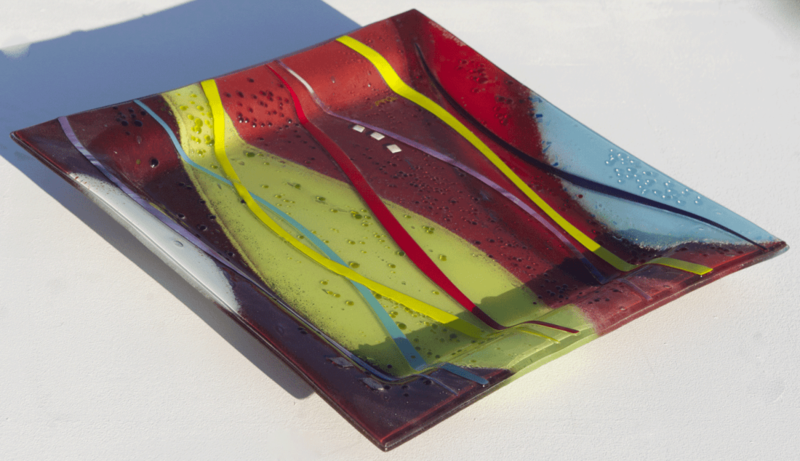 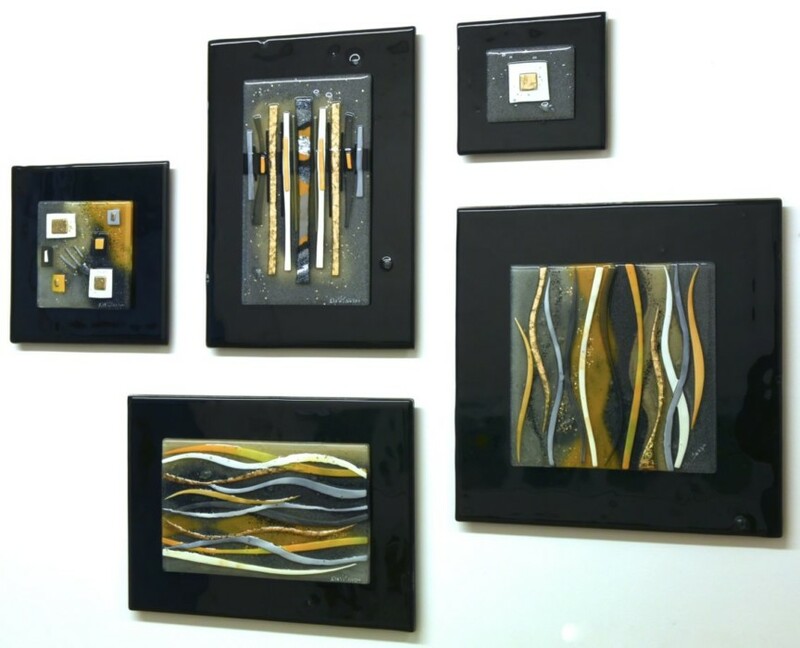 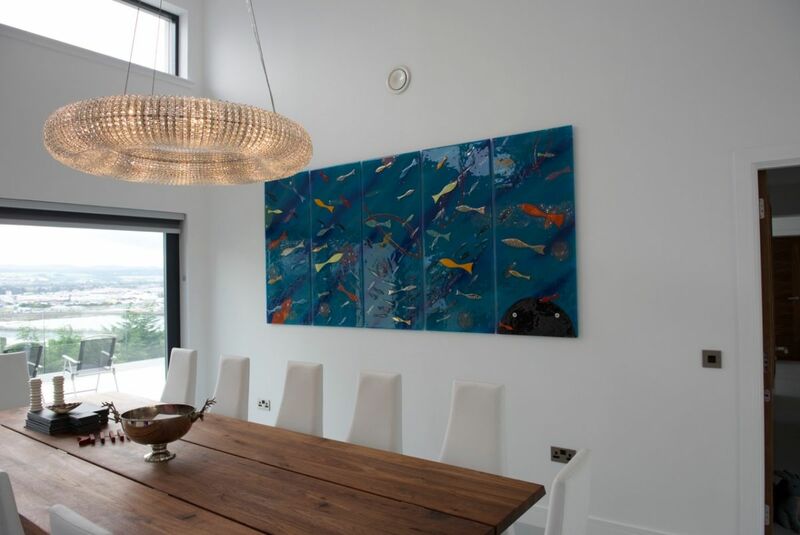 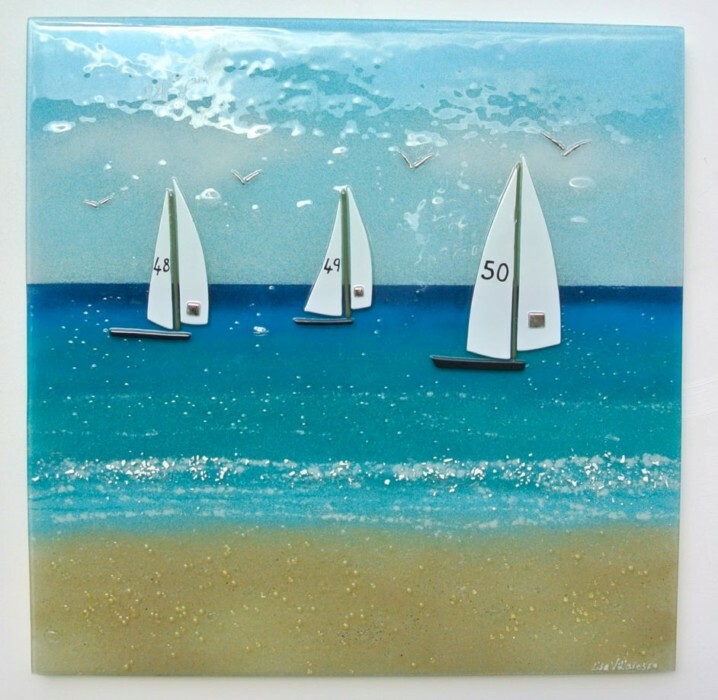 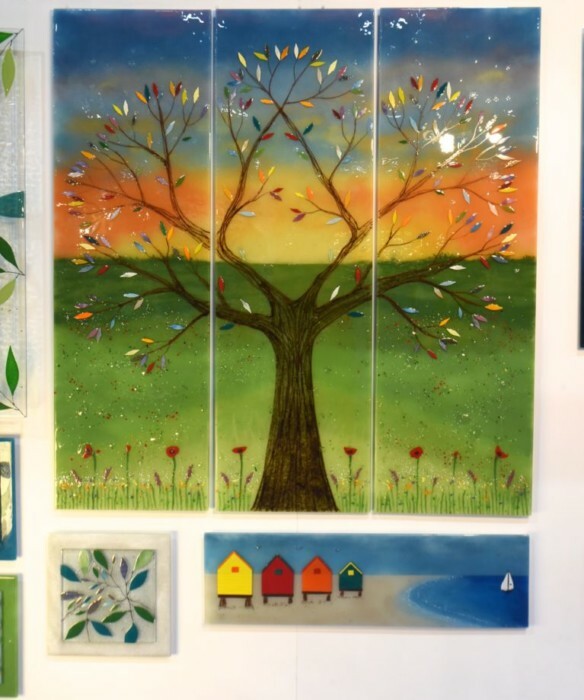 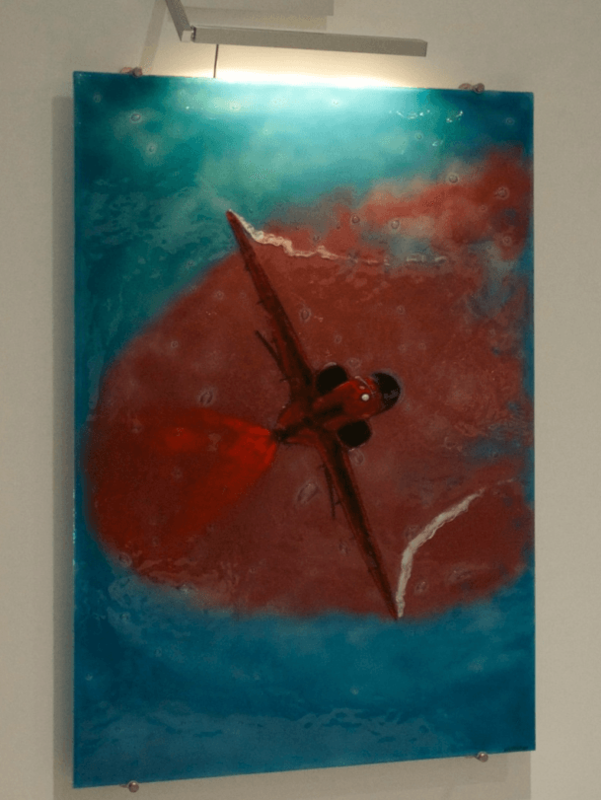 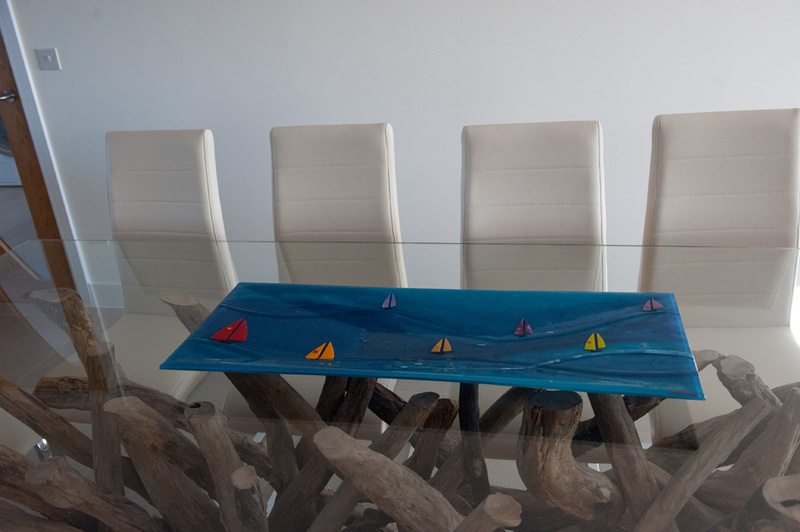 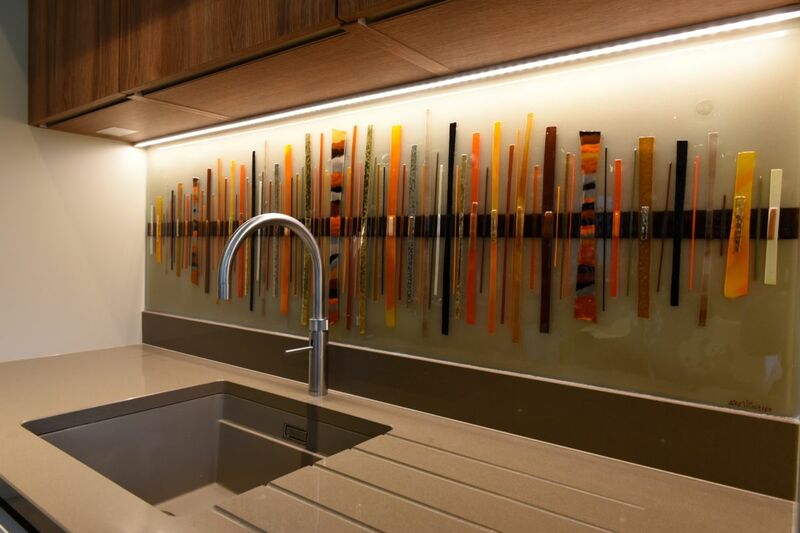 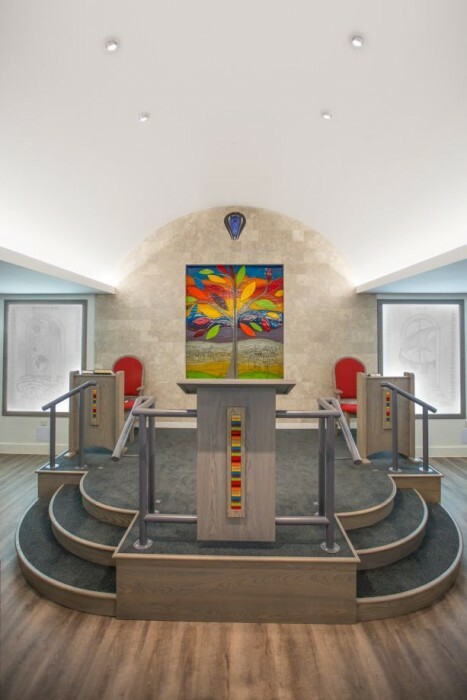 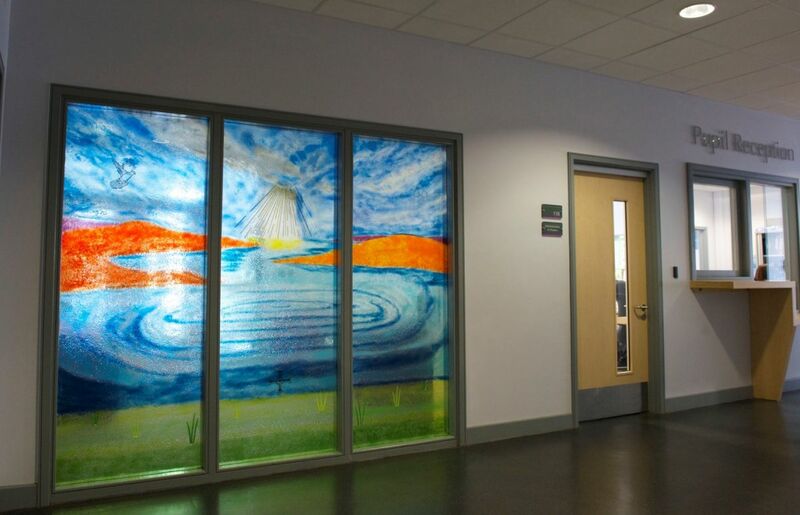 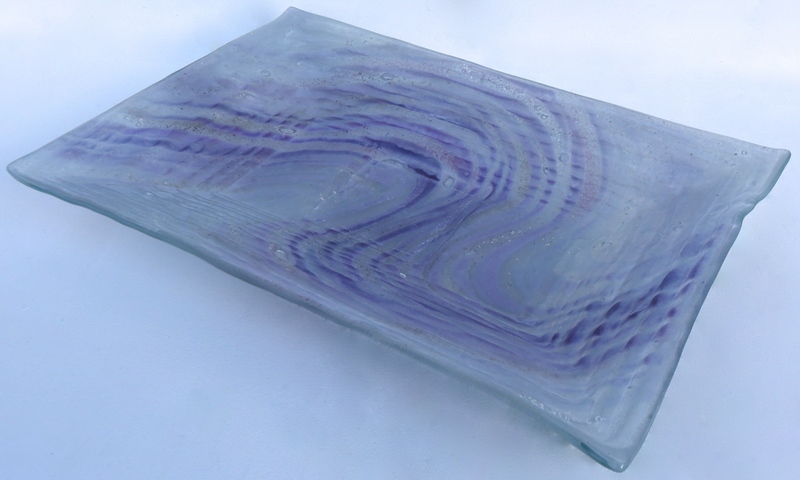 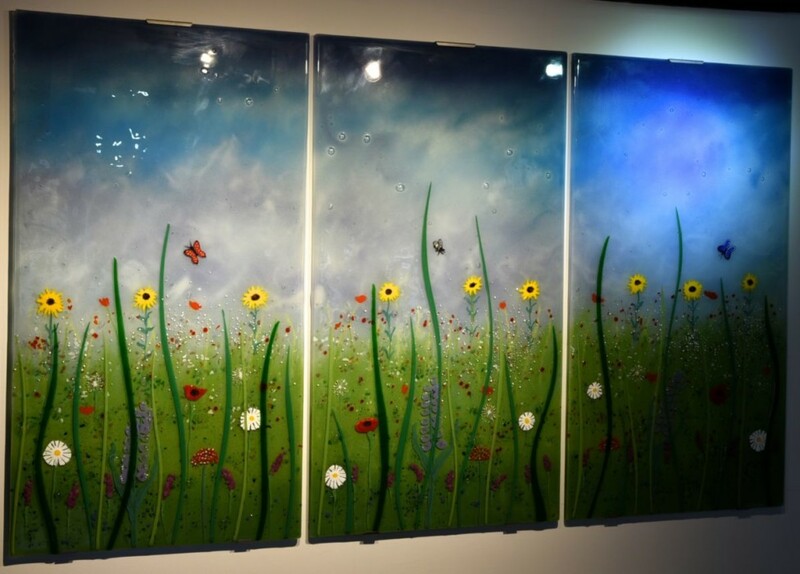 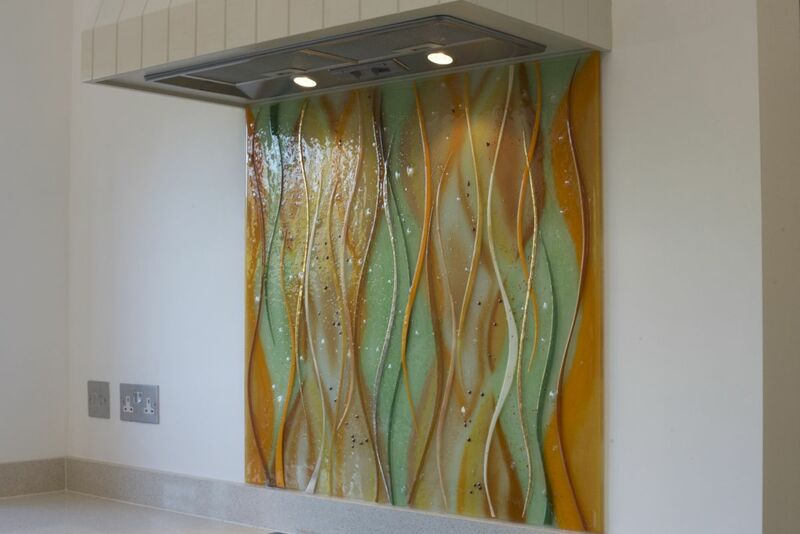 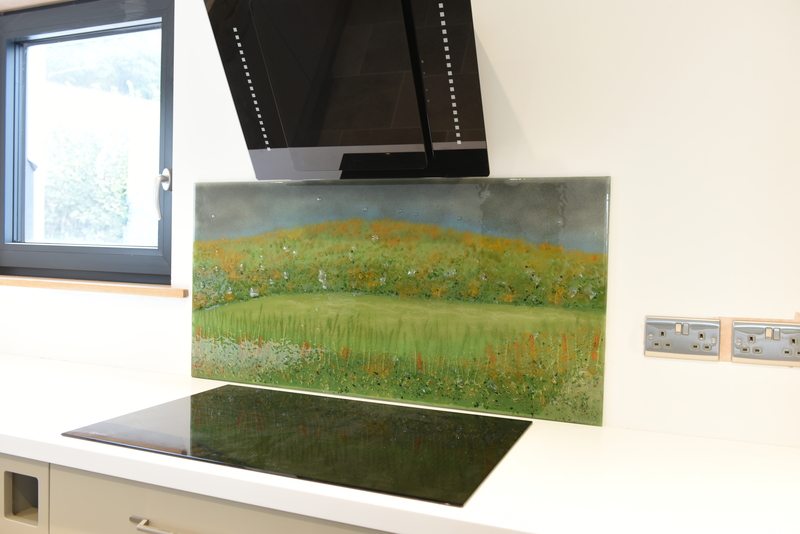 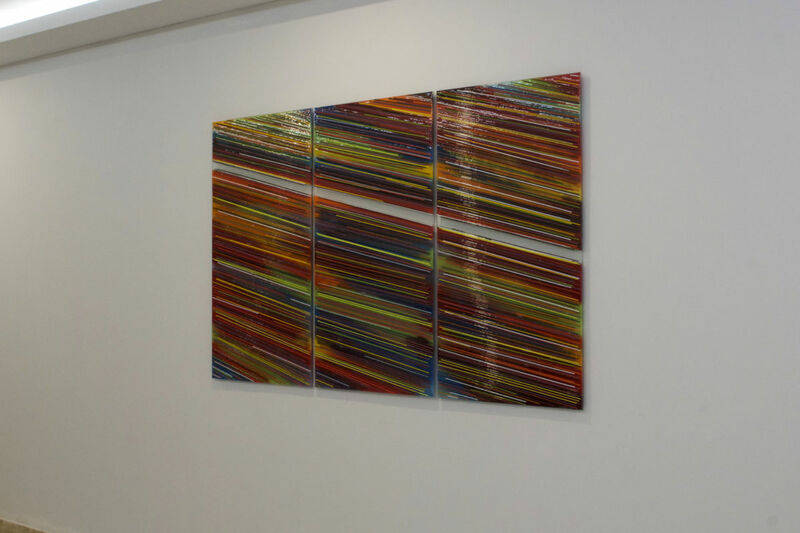 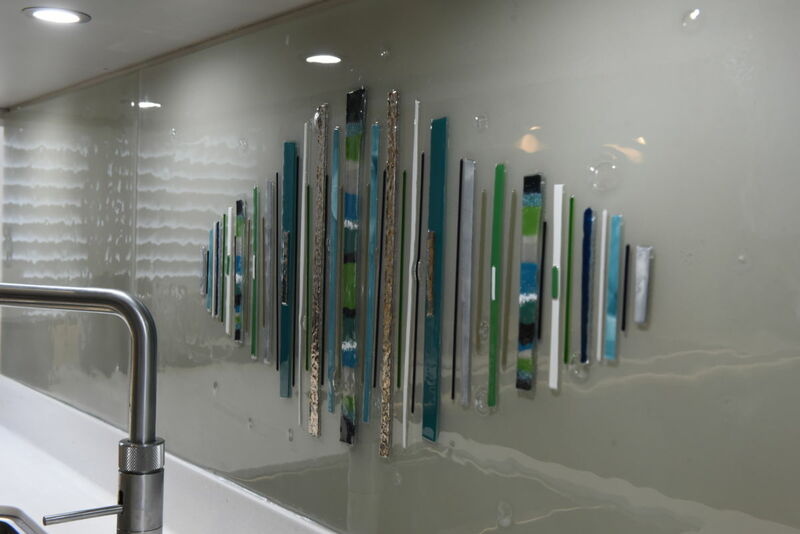 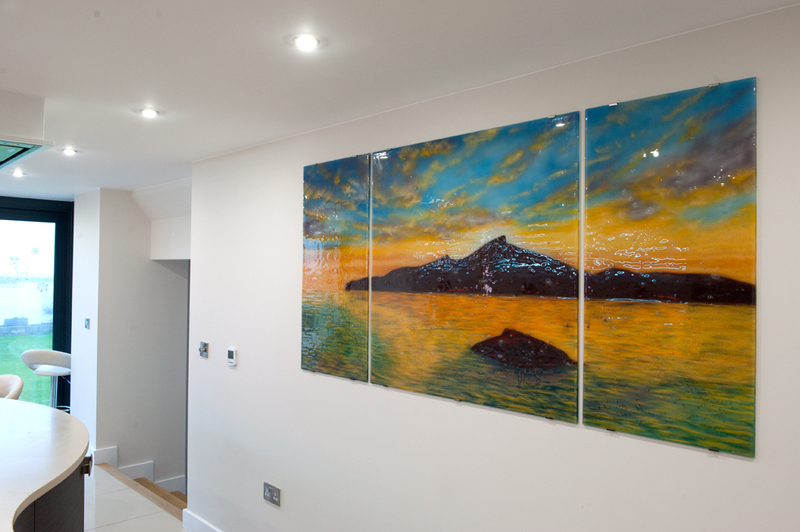 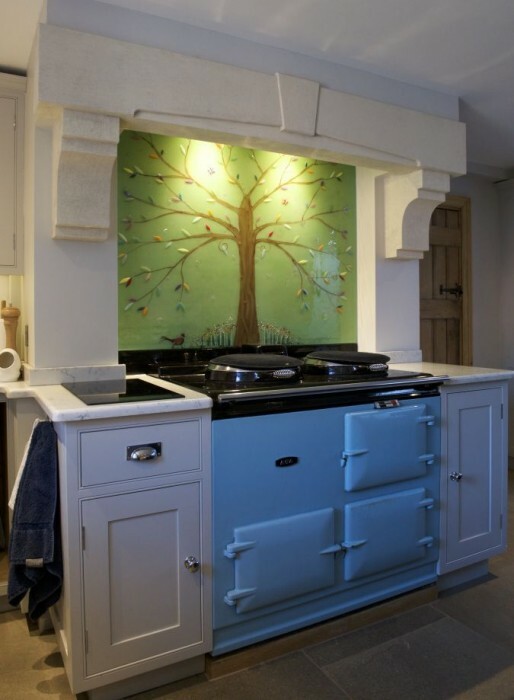 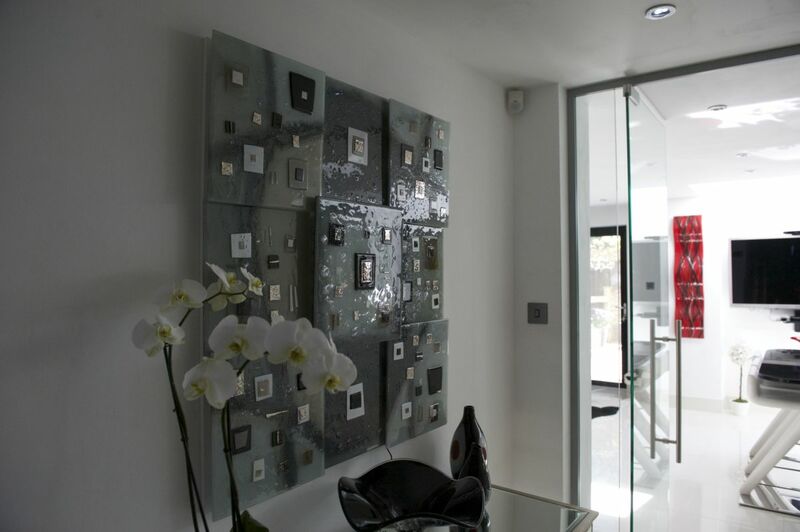 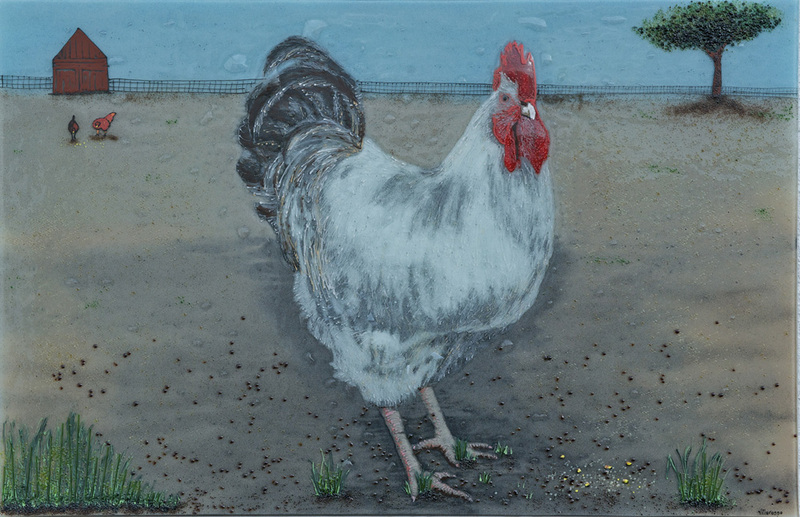 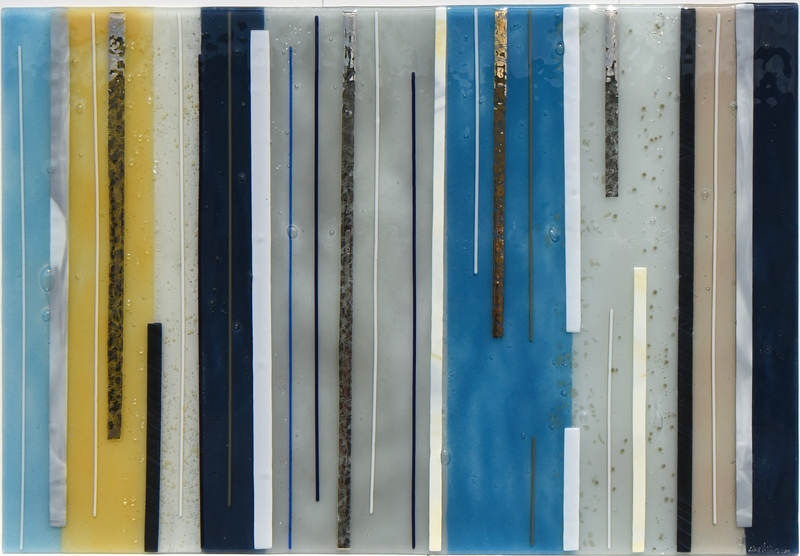 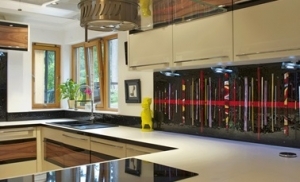 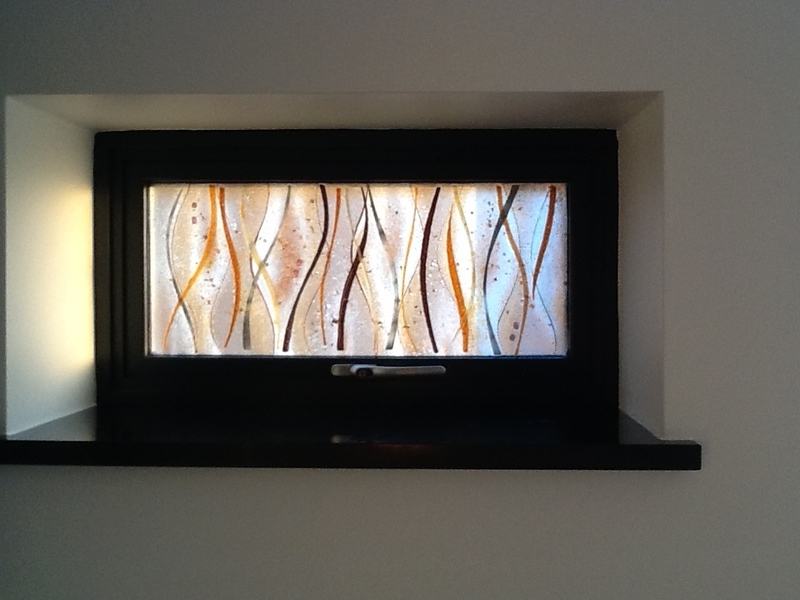 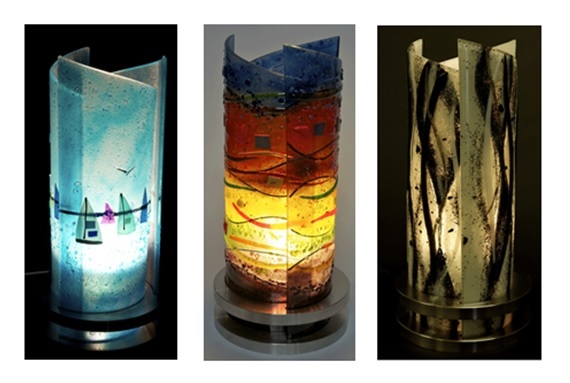 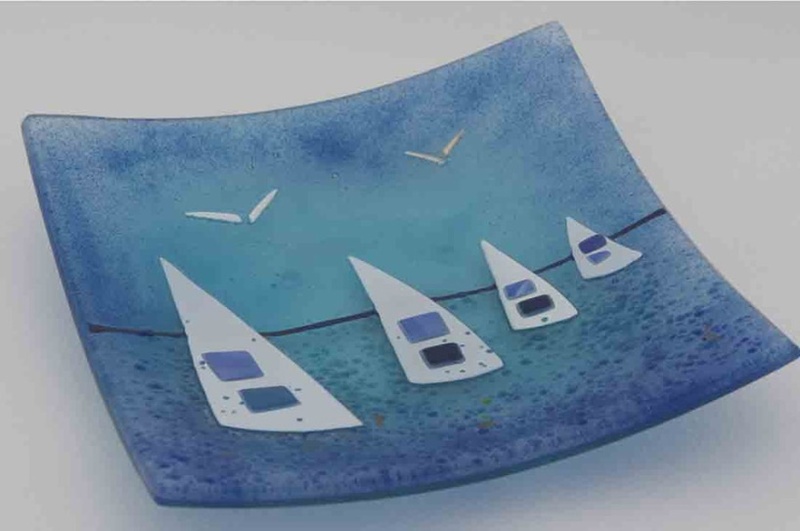 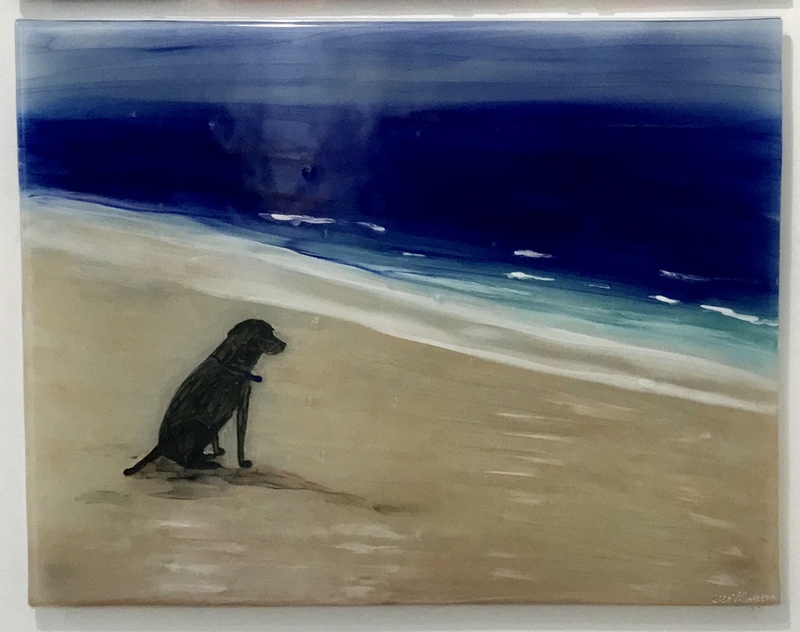 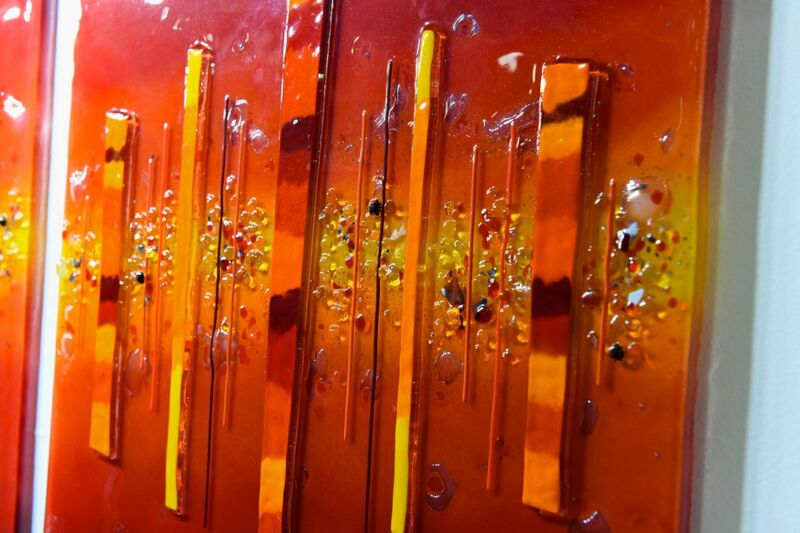 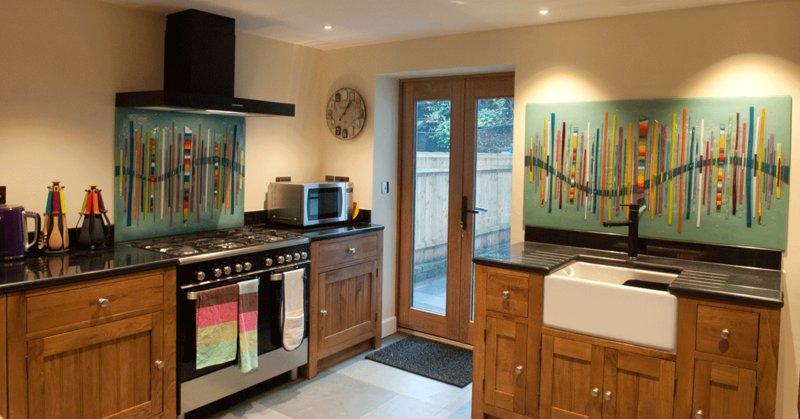 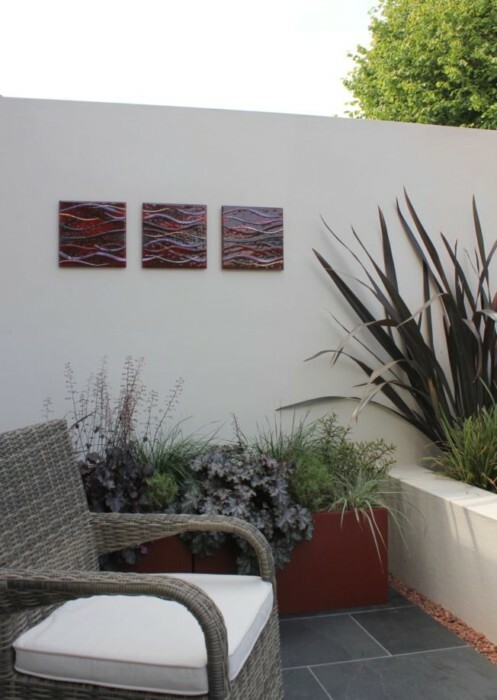 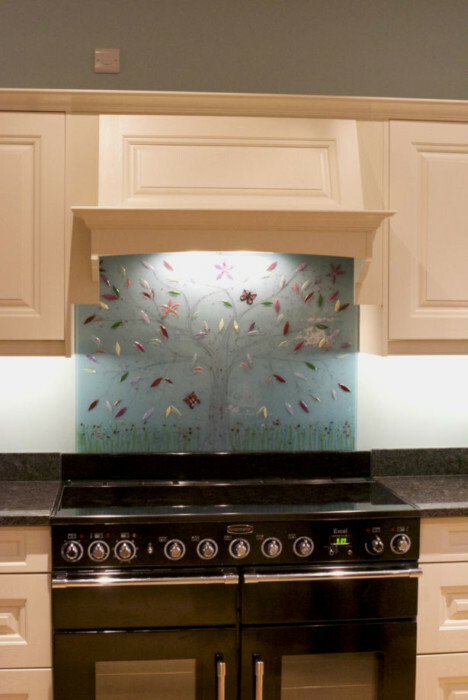 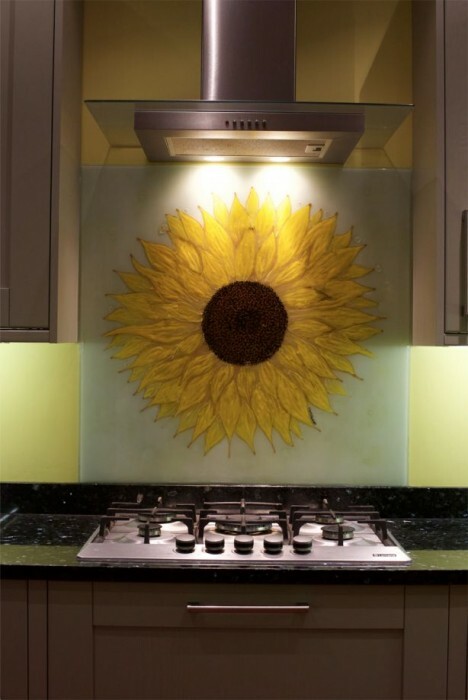 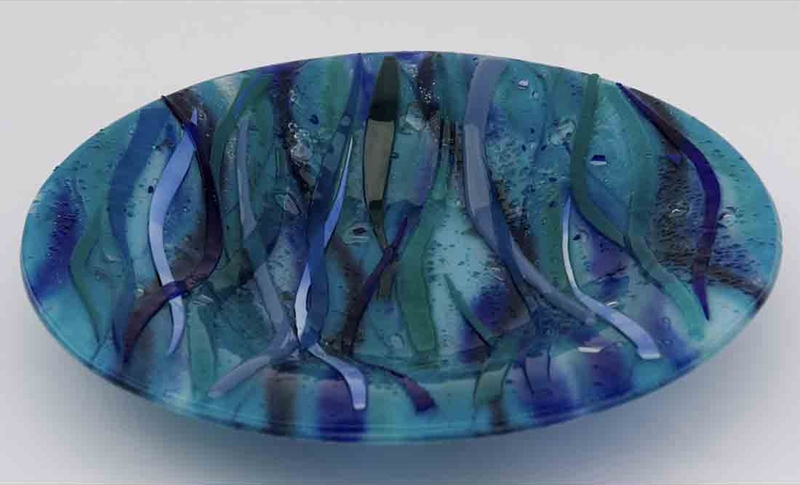 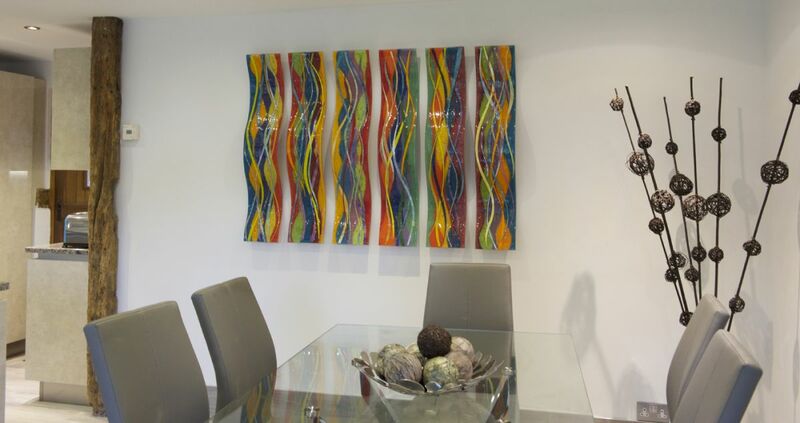 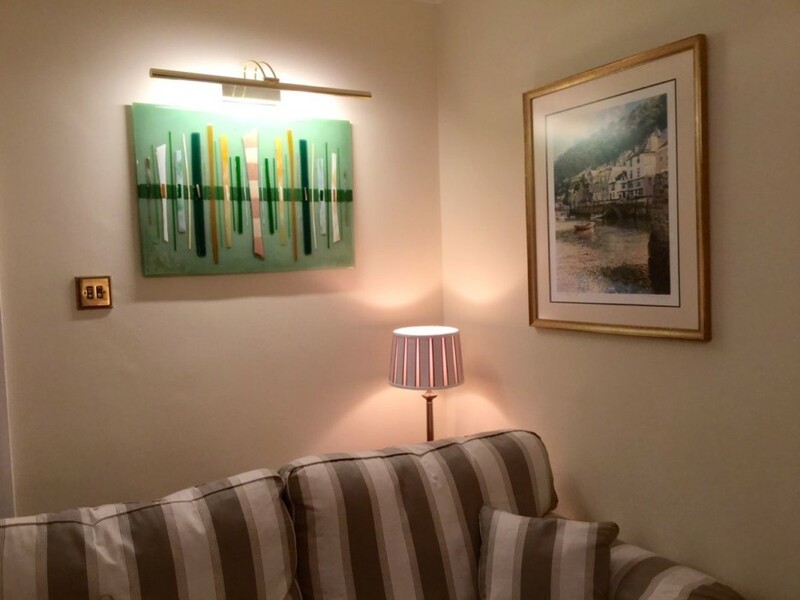 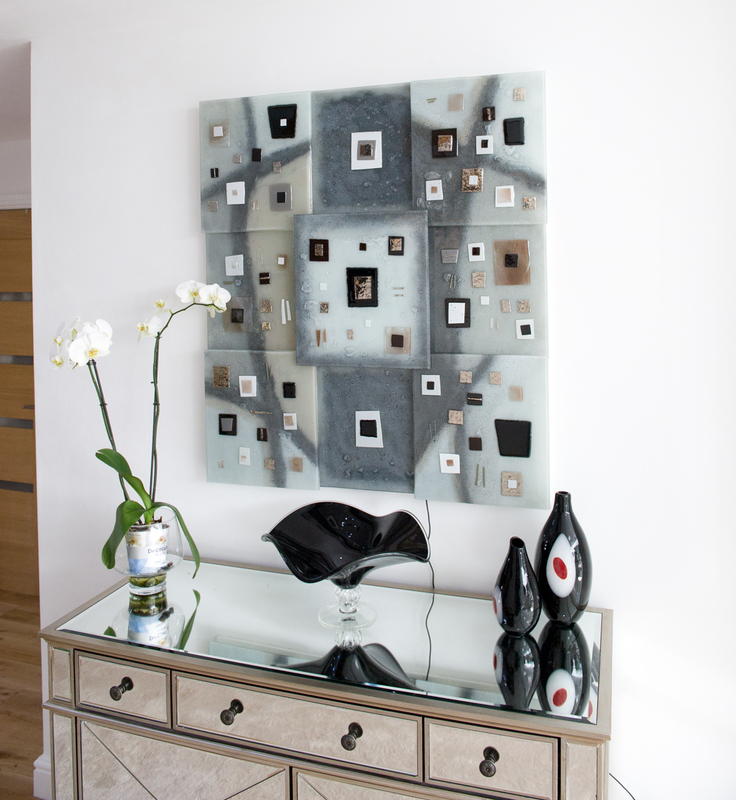 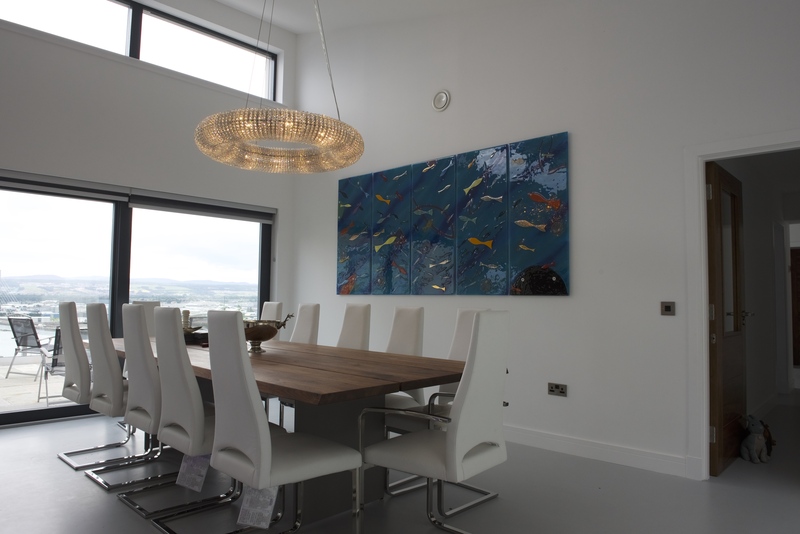 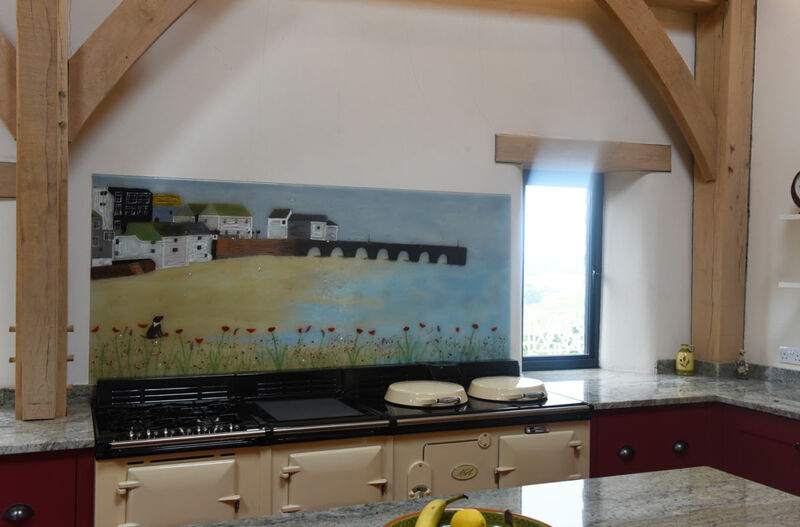 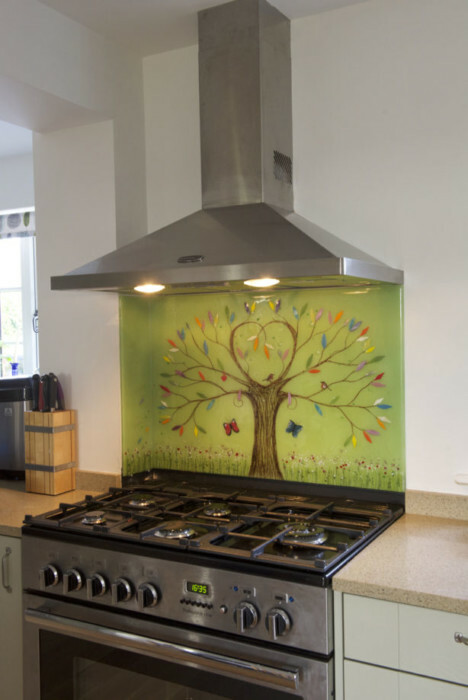 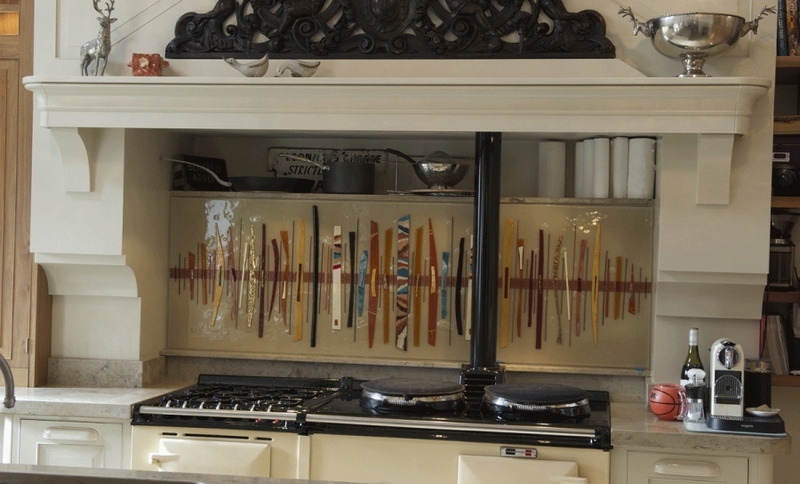 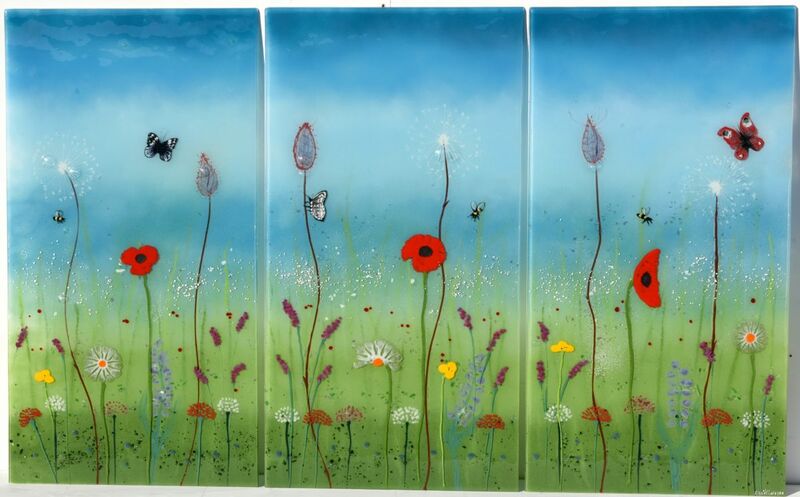 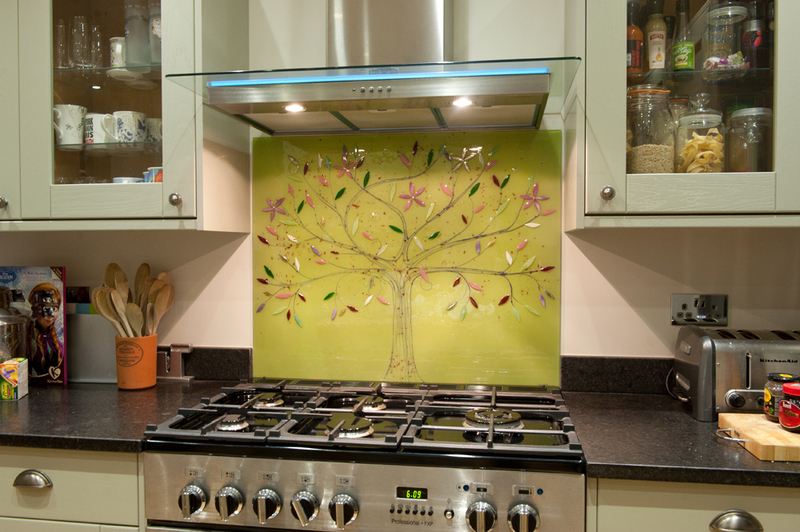 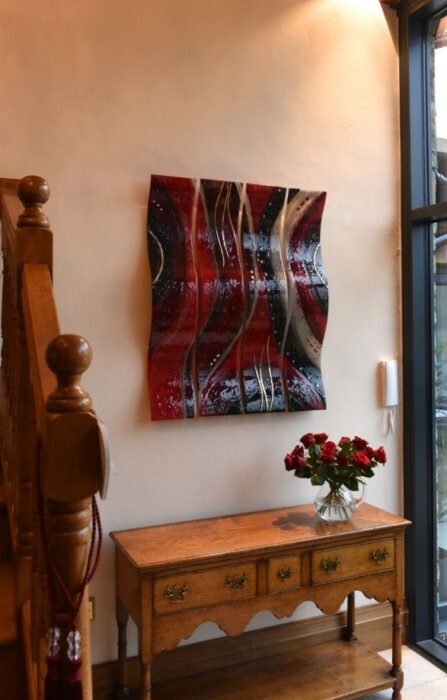 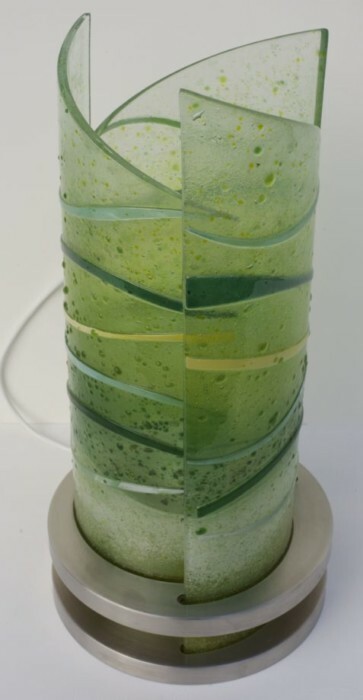 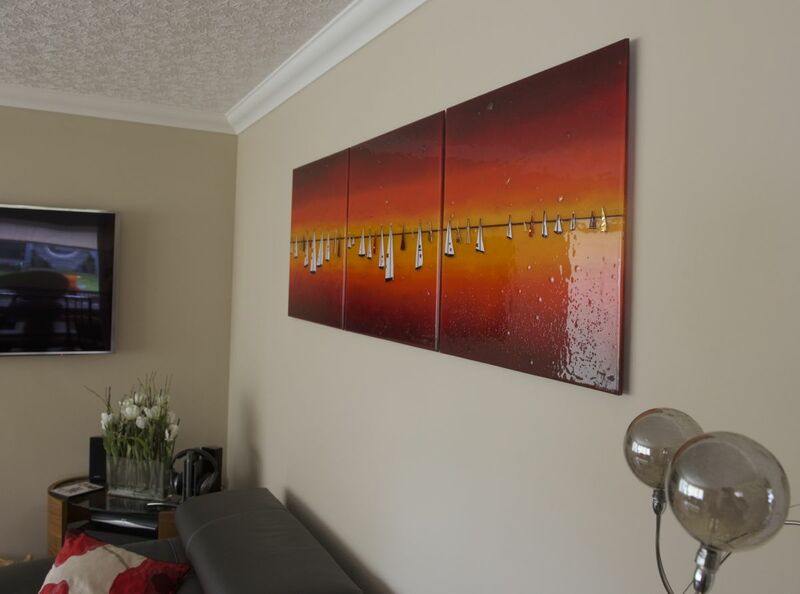 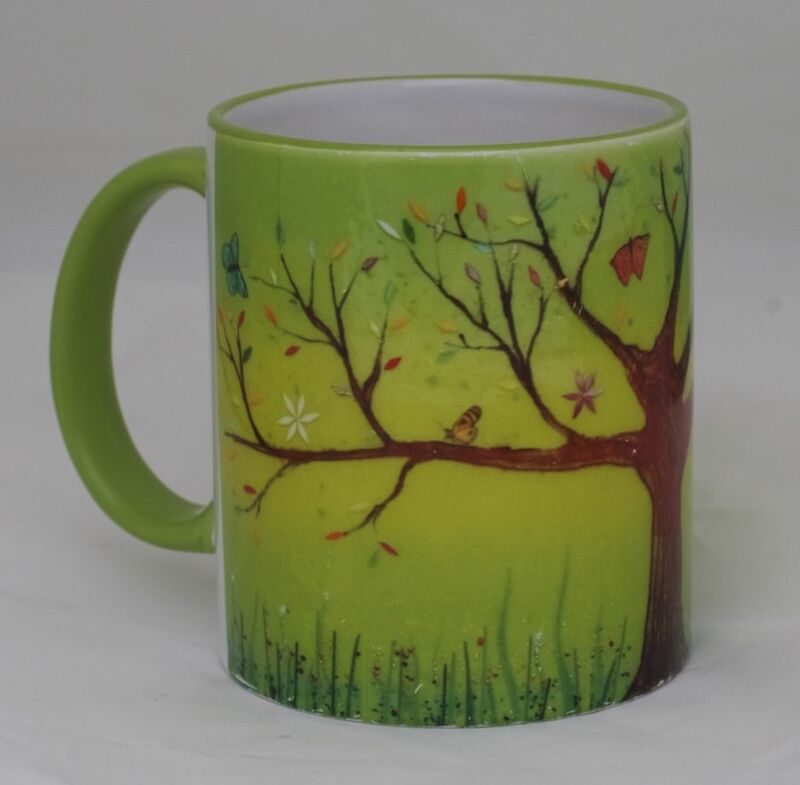 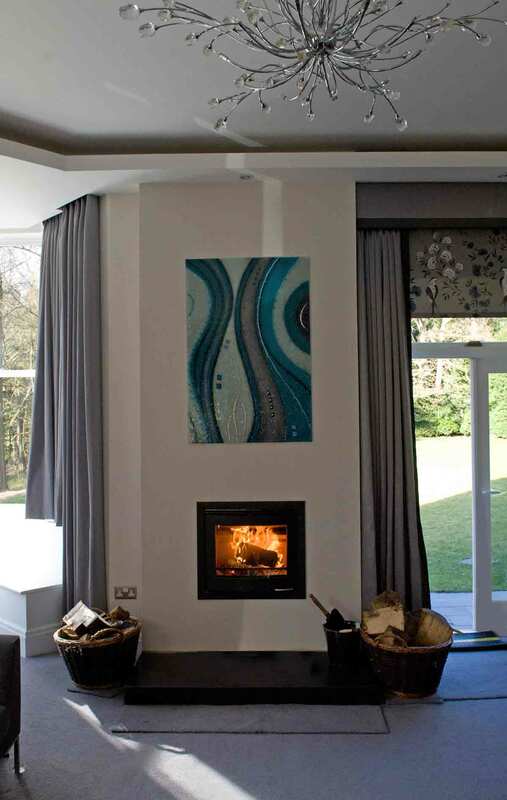 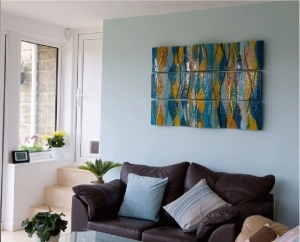 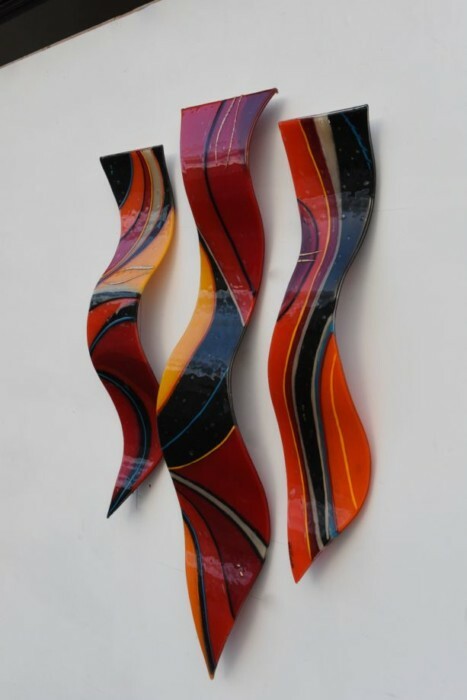 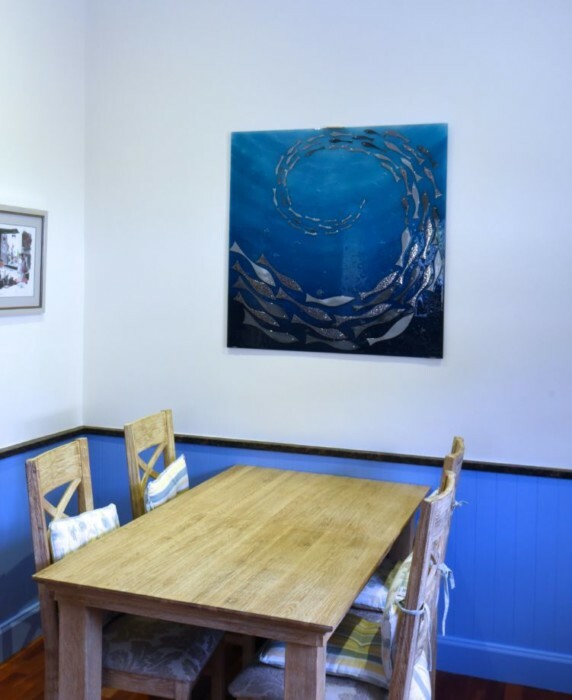 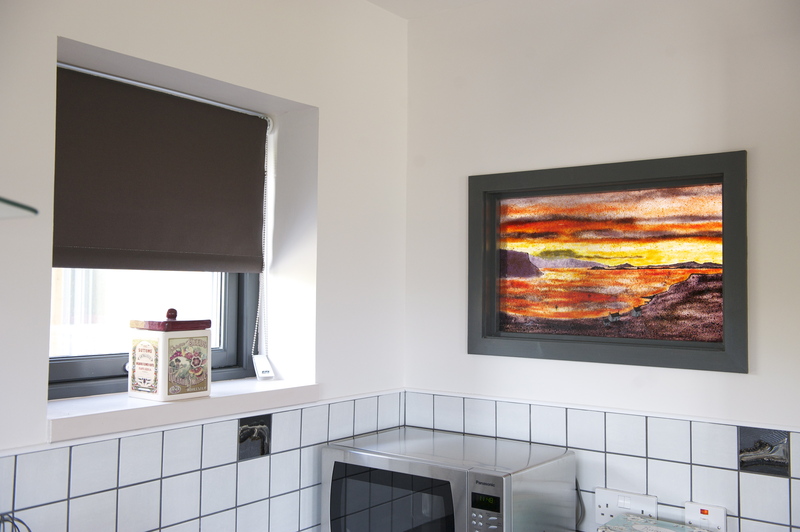 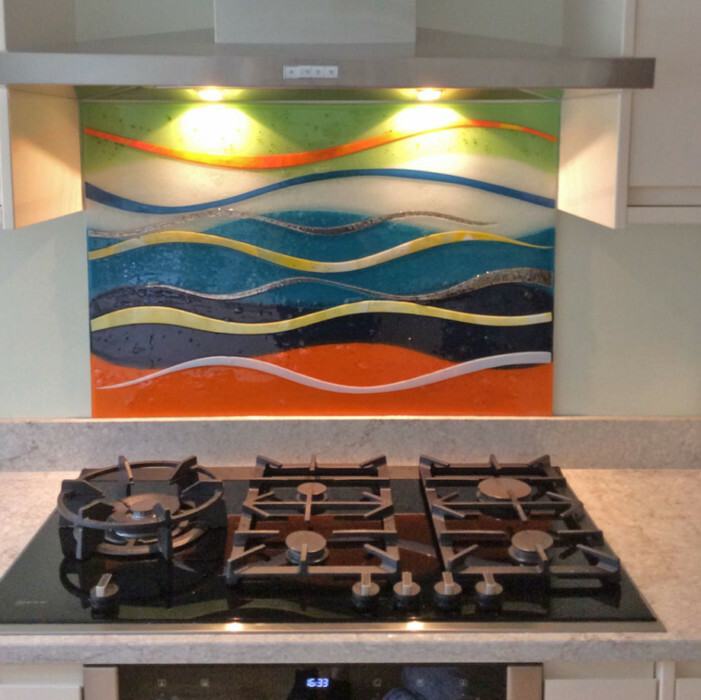 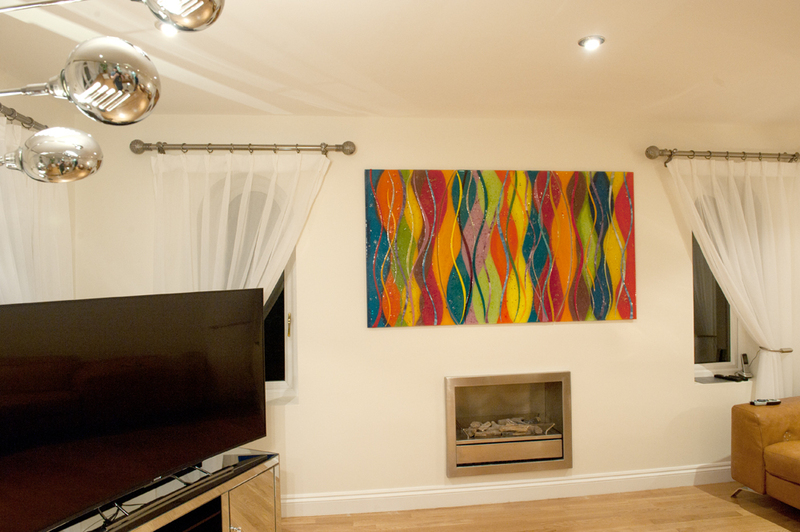 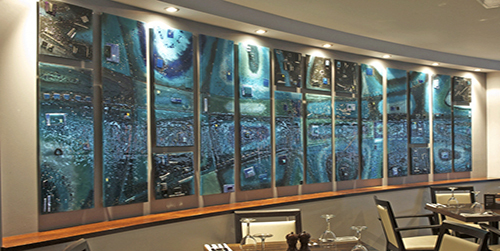 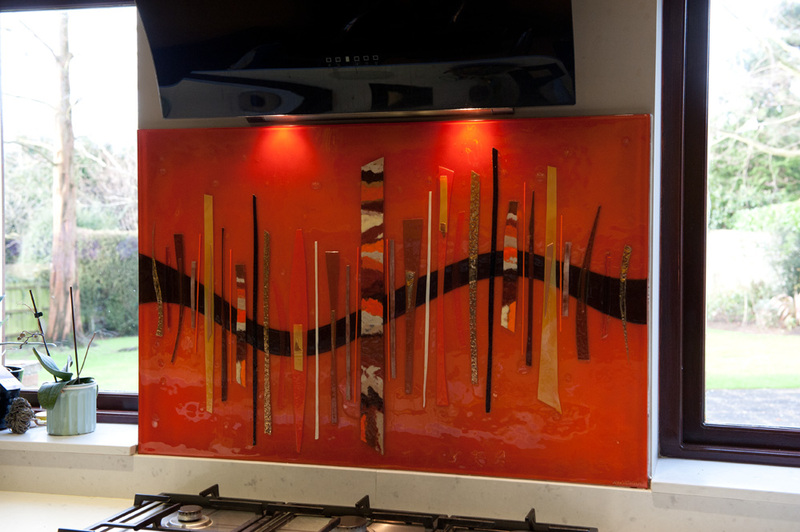 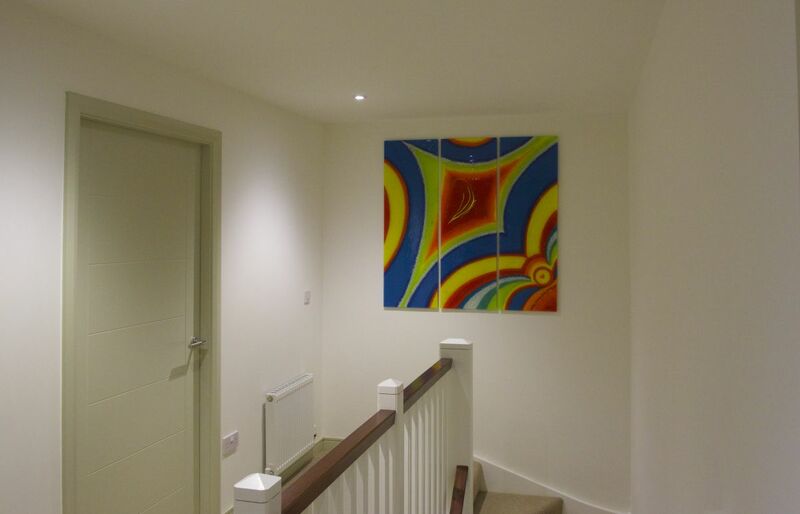 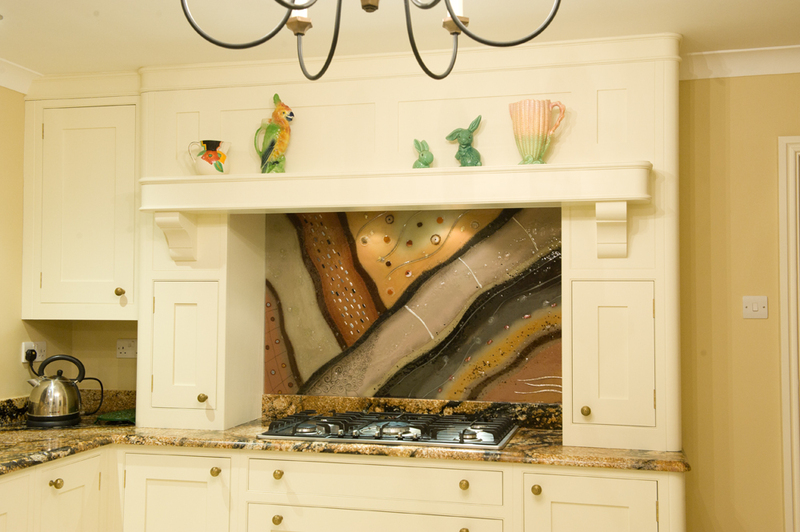 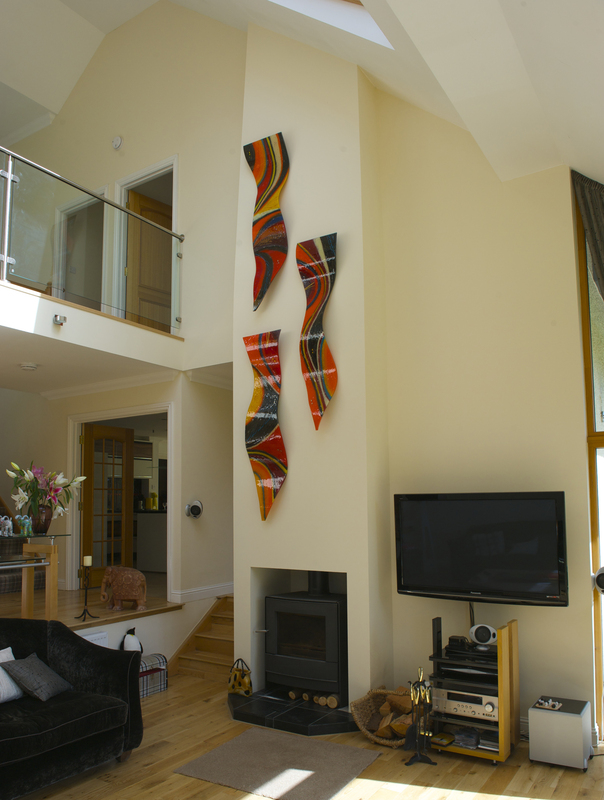 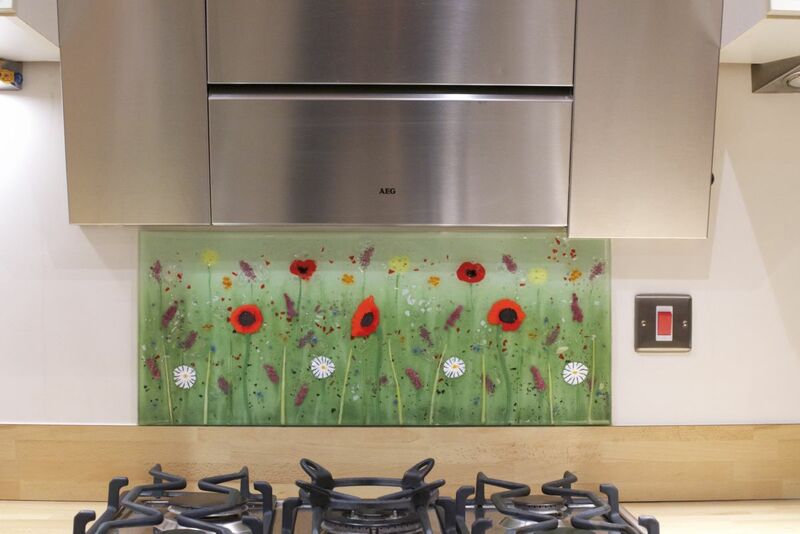 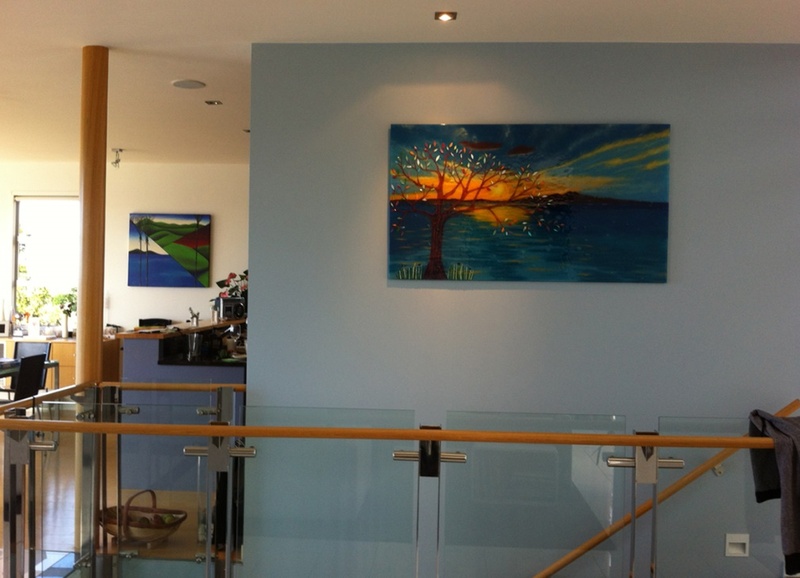 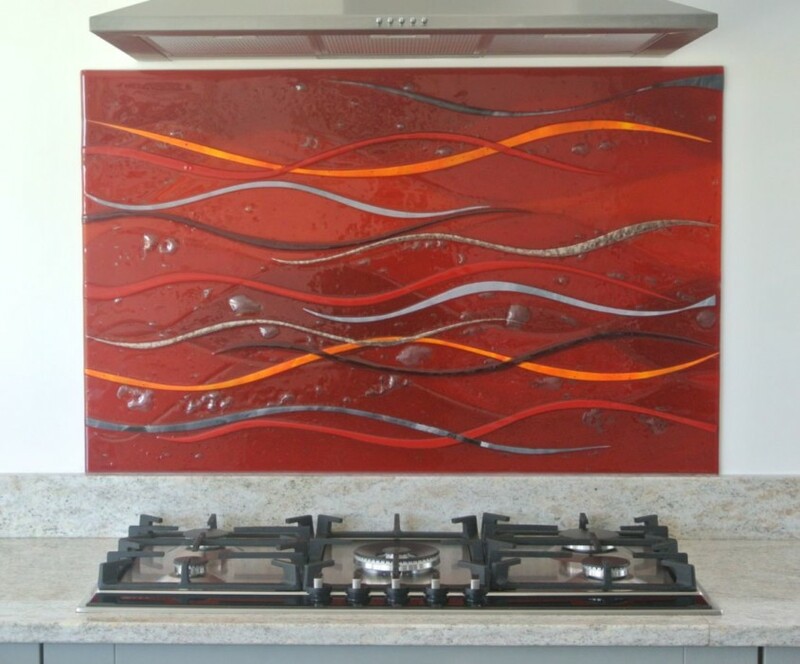 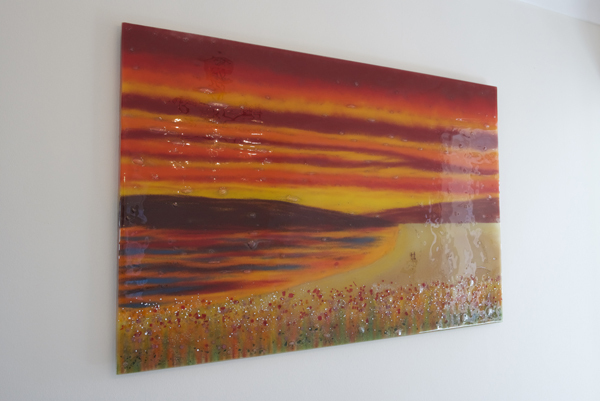 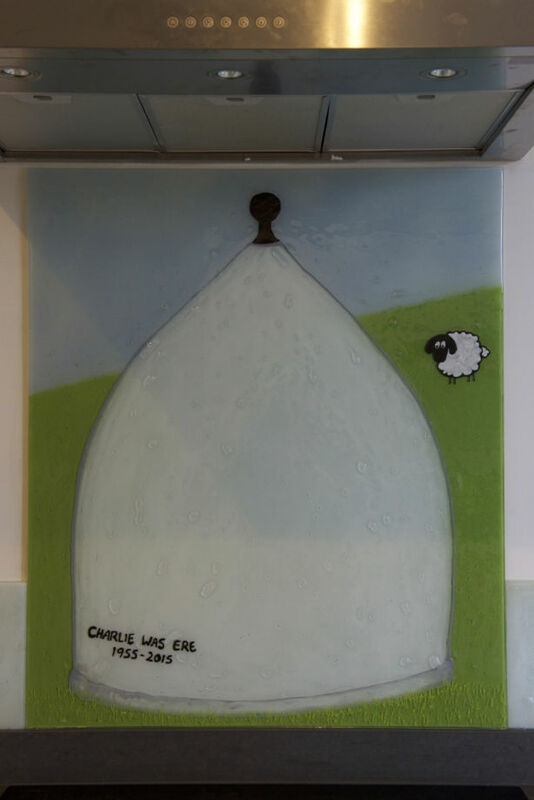 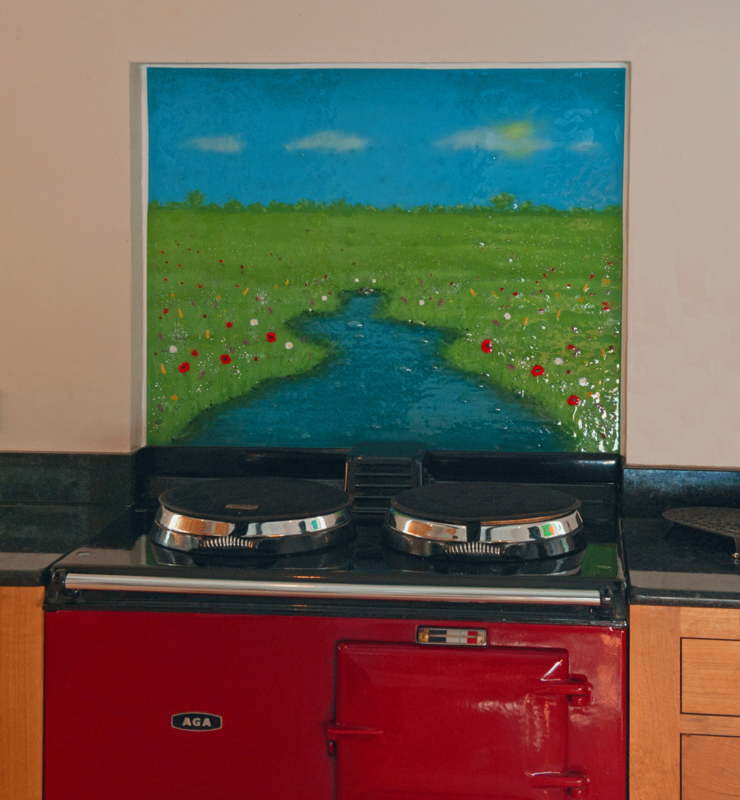 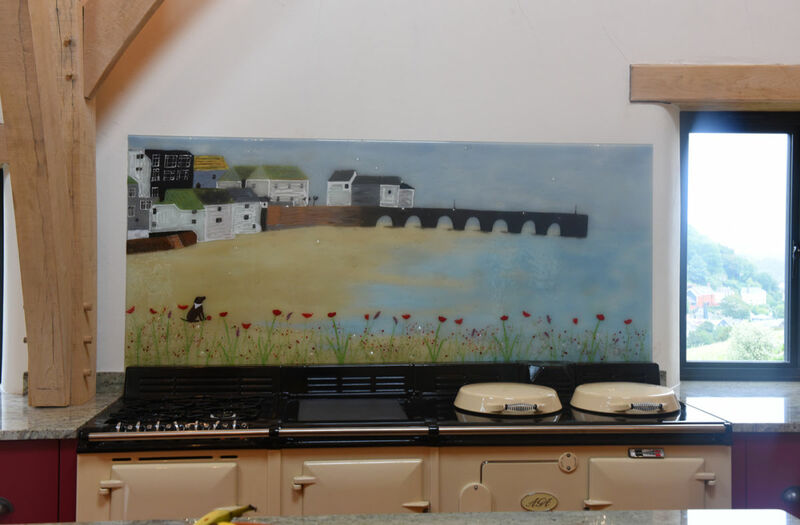 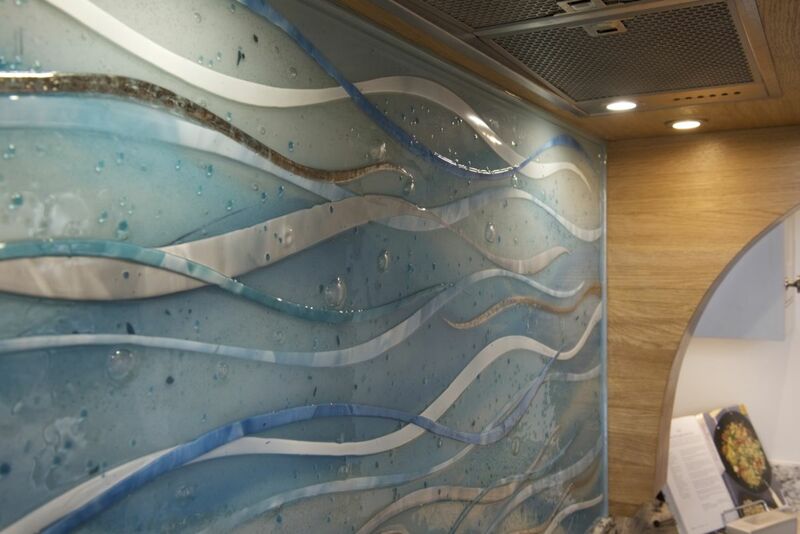 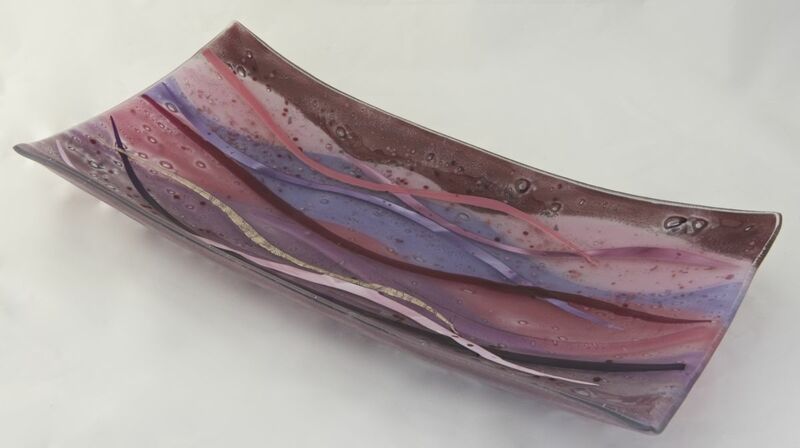 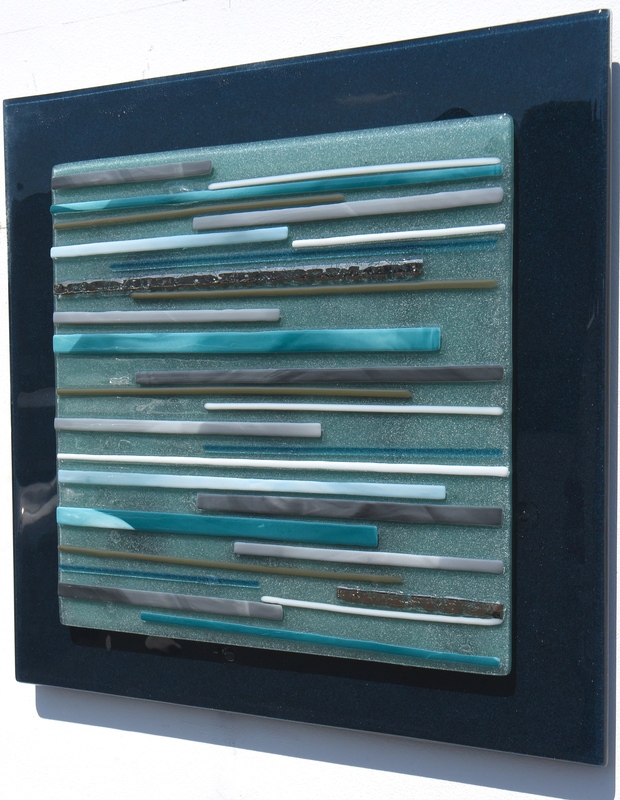 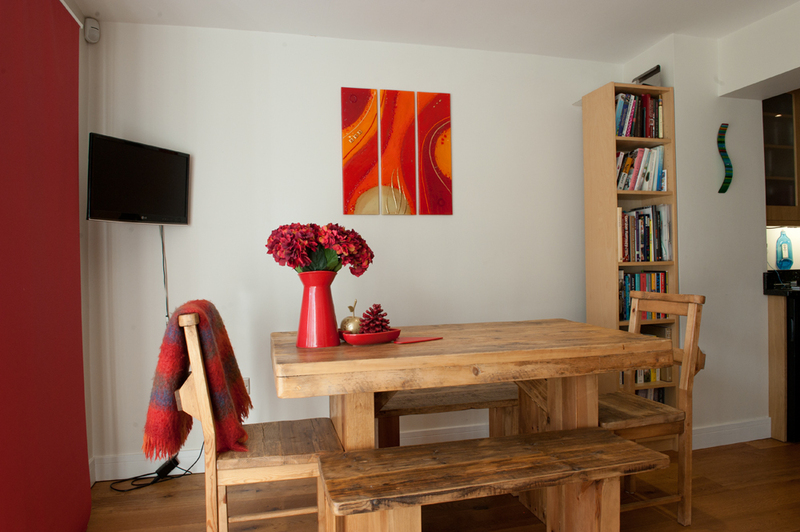 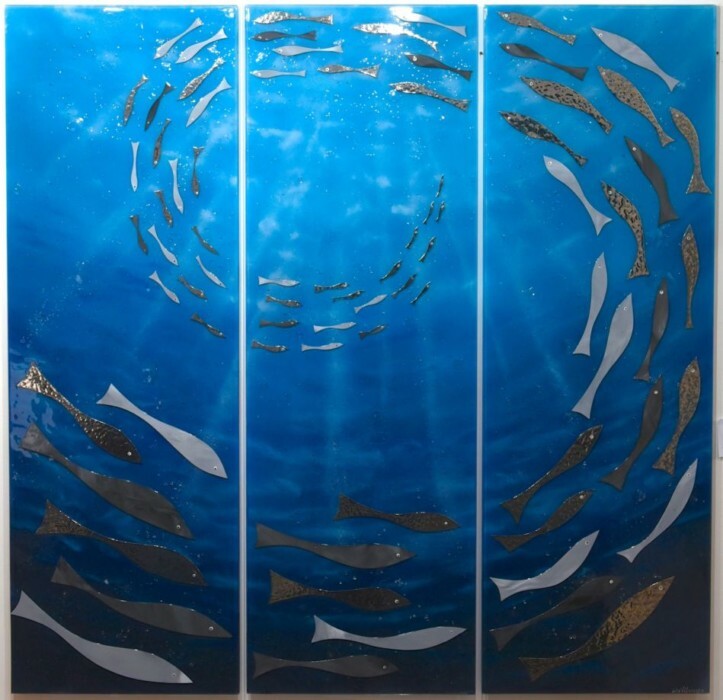 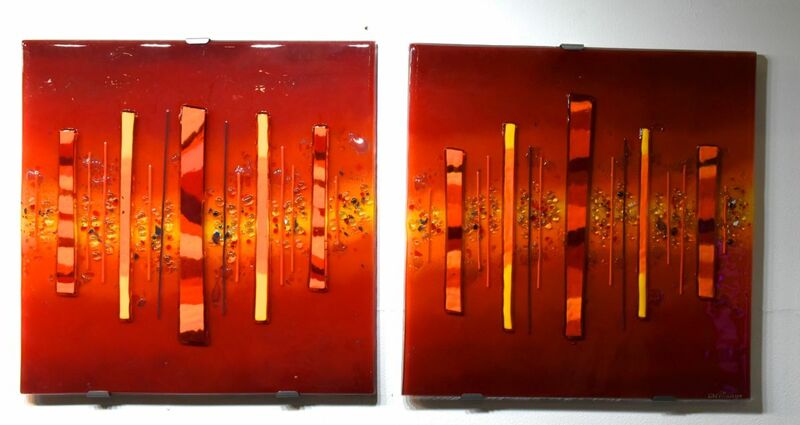 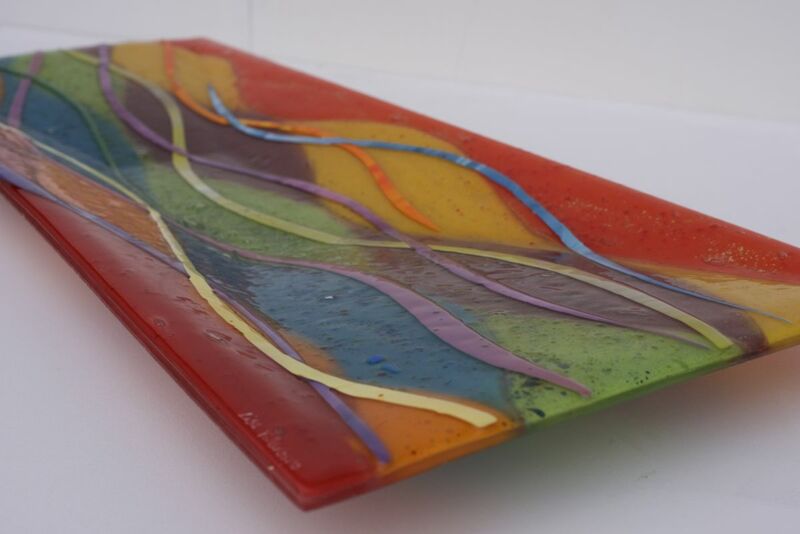 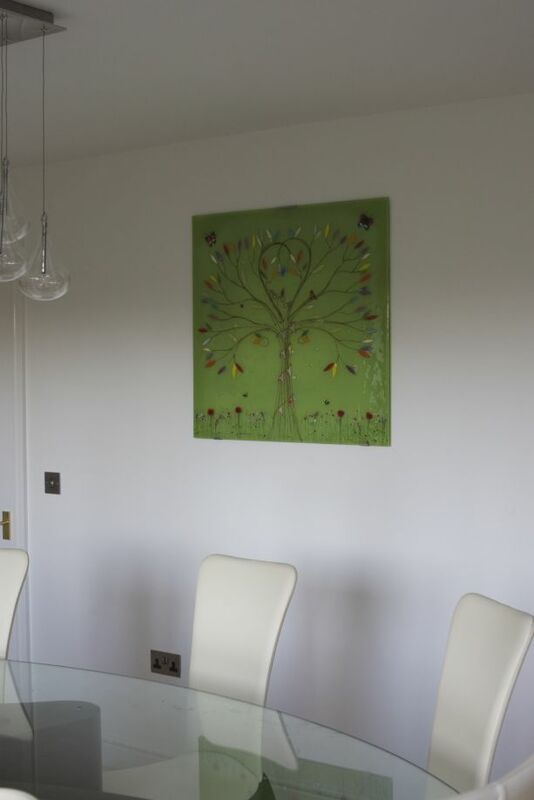 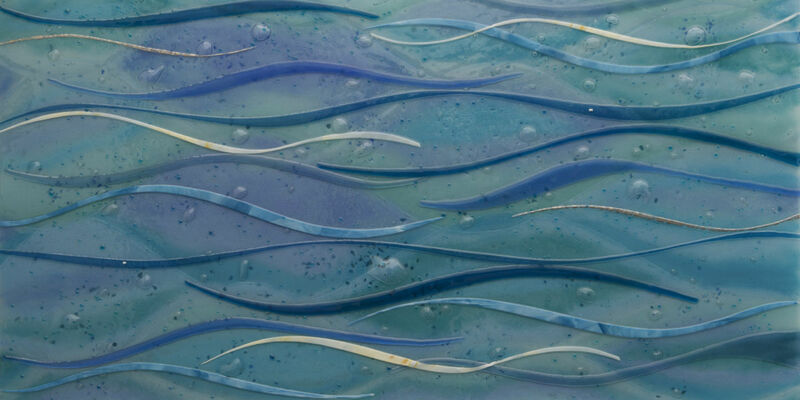 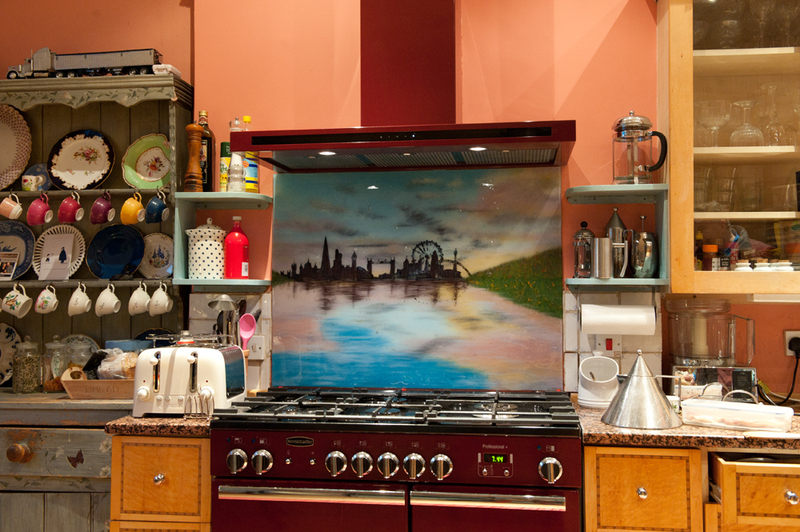 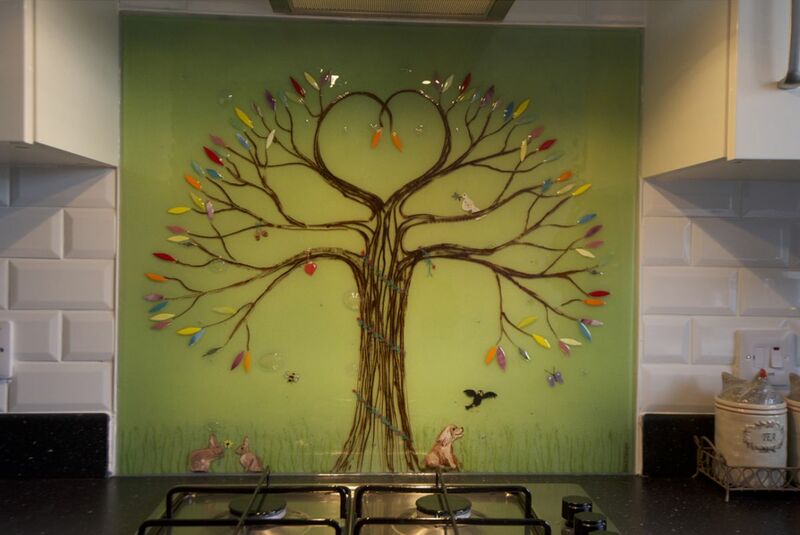 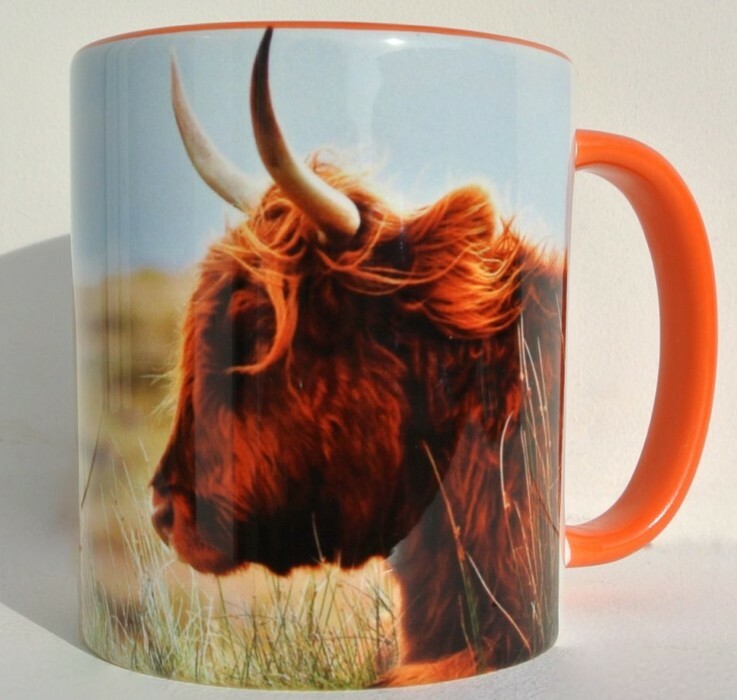 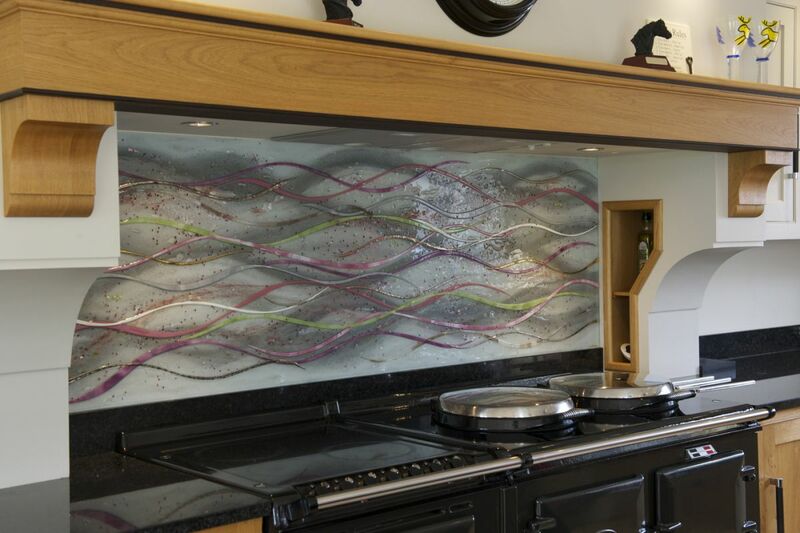 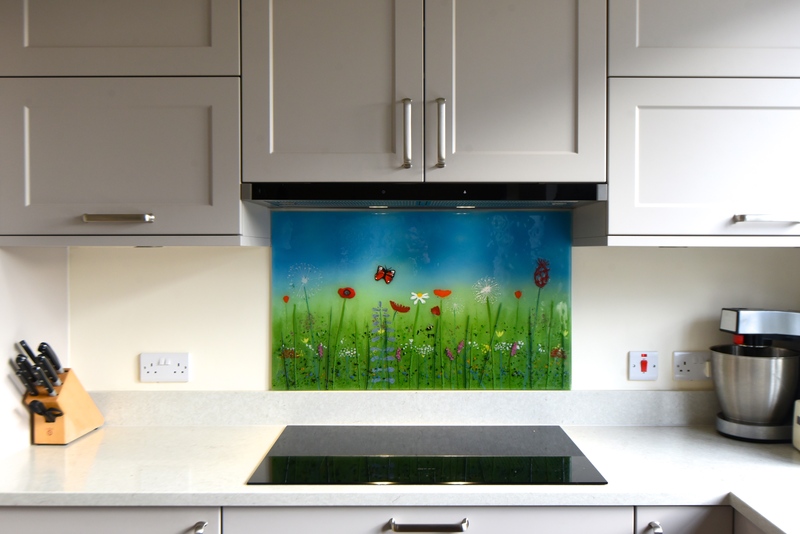 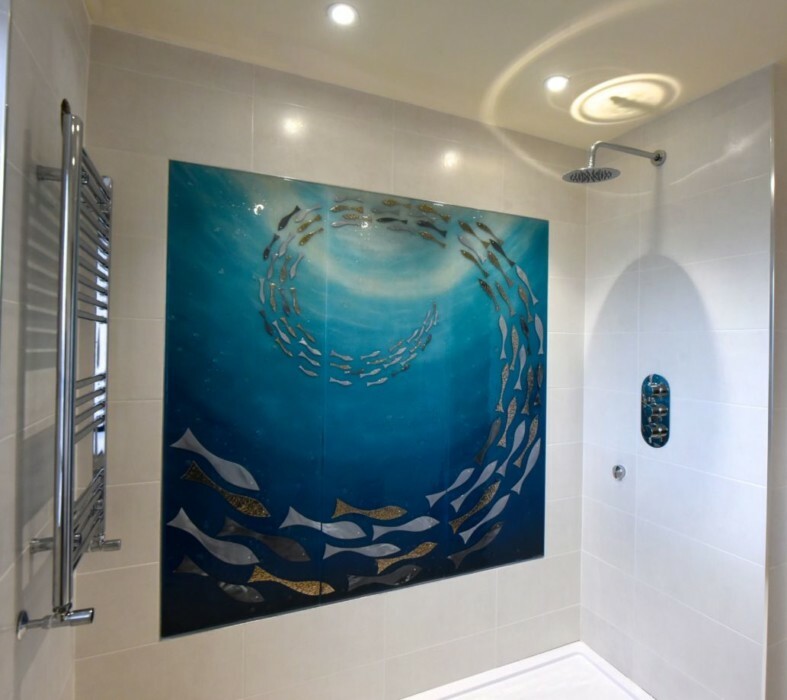 Whether it’s a question of a blank space on the wall or an empty void behind the cooker, fused glass art is the answer! 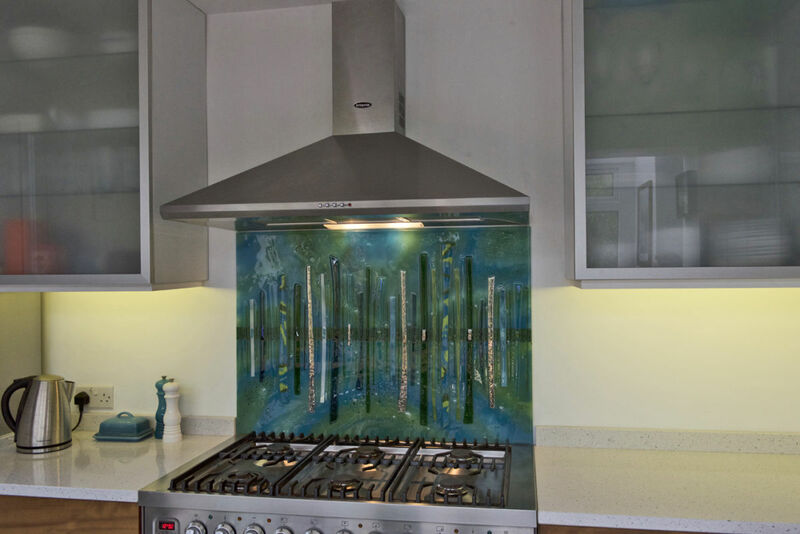 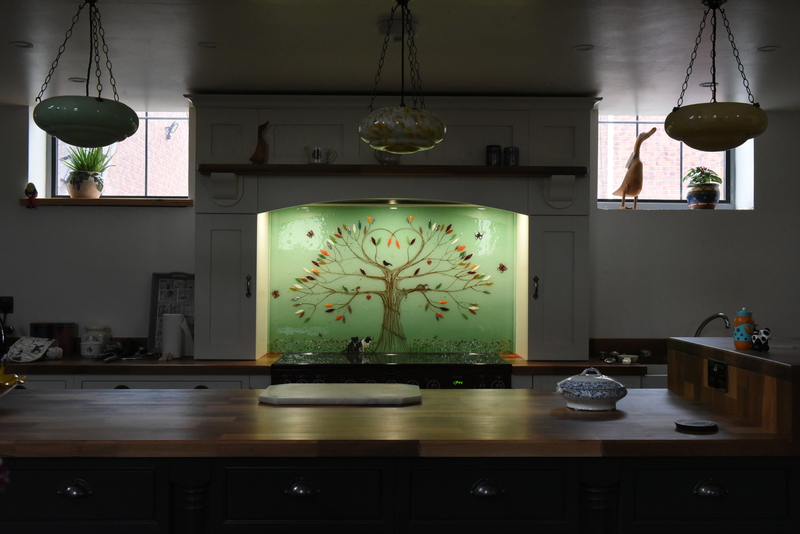 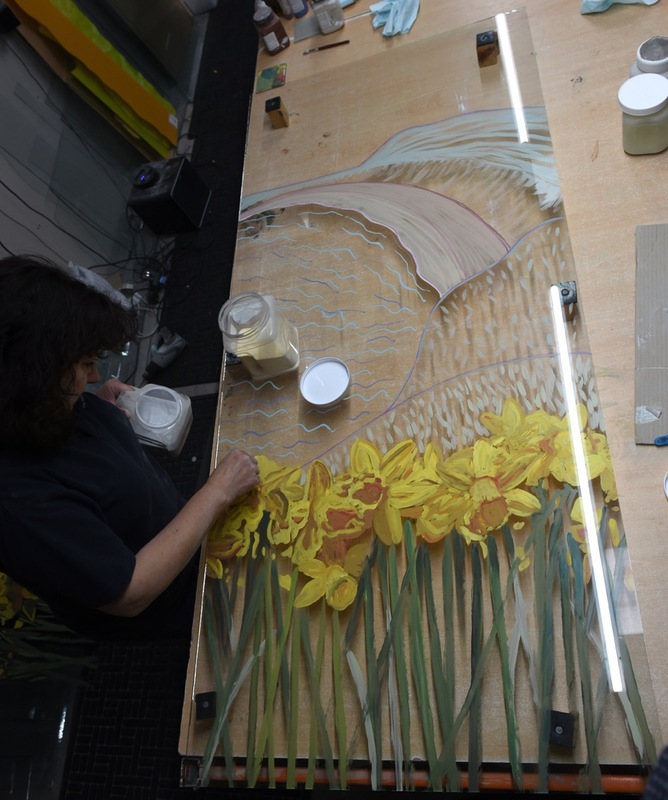 We here at The House of Ugly Fish love nothing more than seeing a project come together, or seeing one of our bespoke glass splashbacks roll fresh out of the kiln. 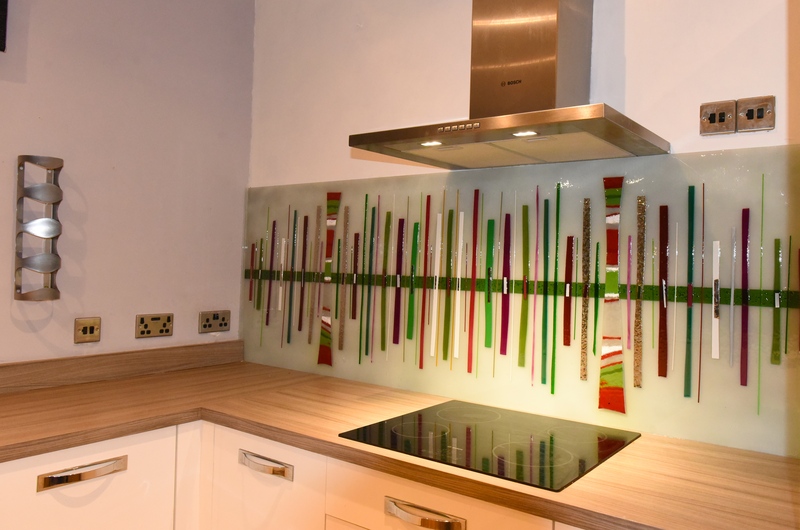 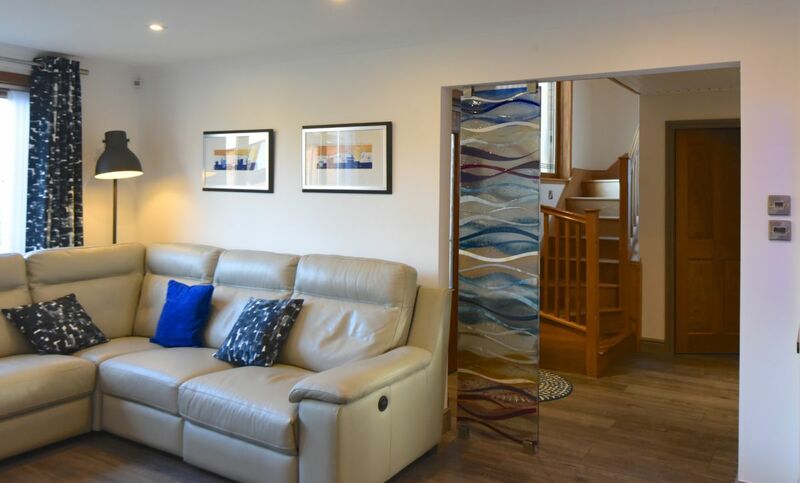 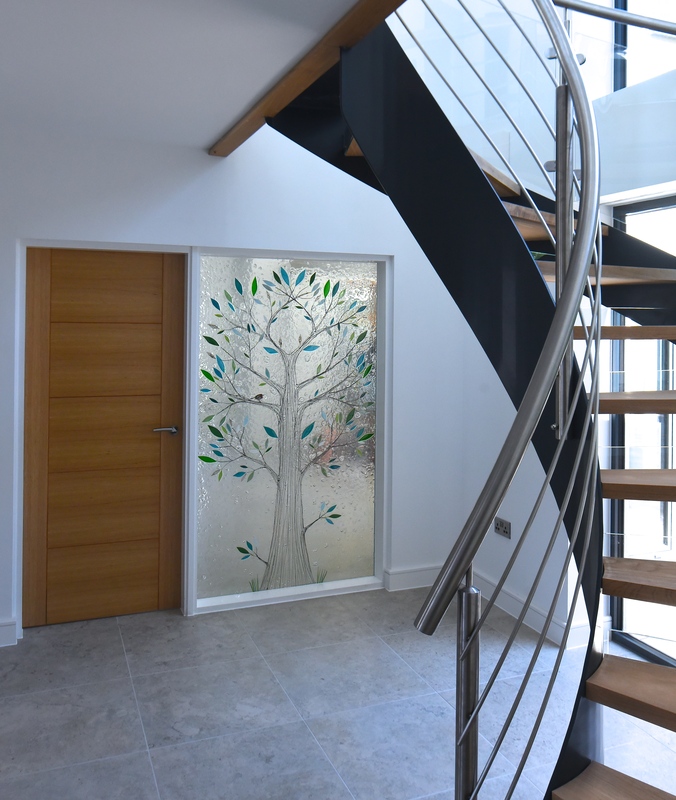 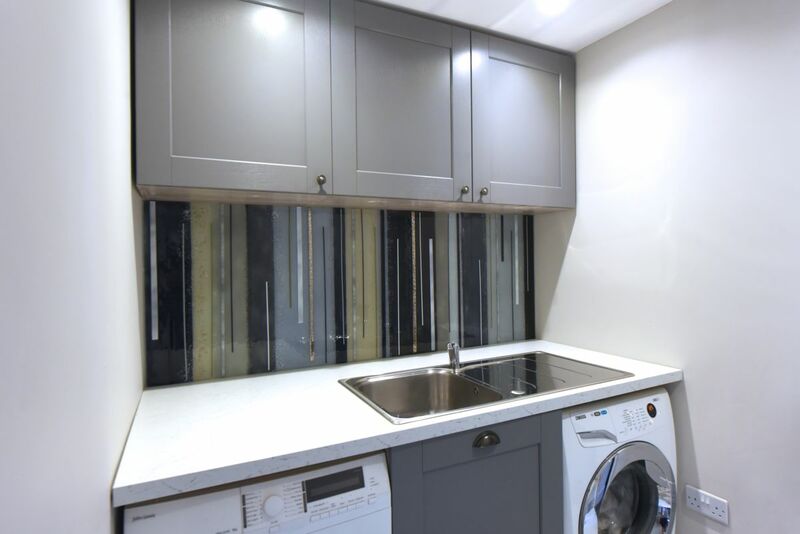 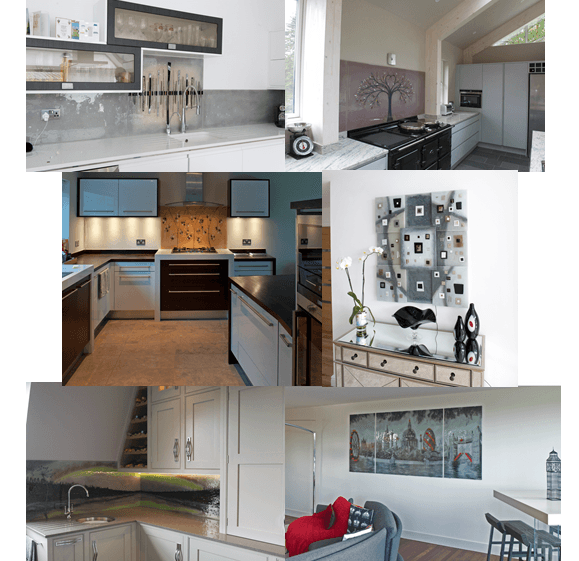 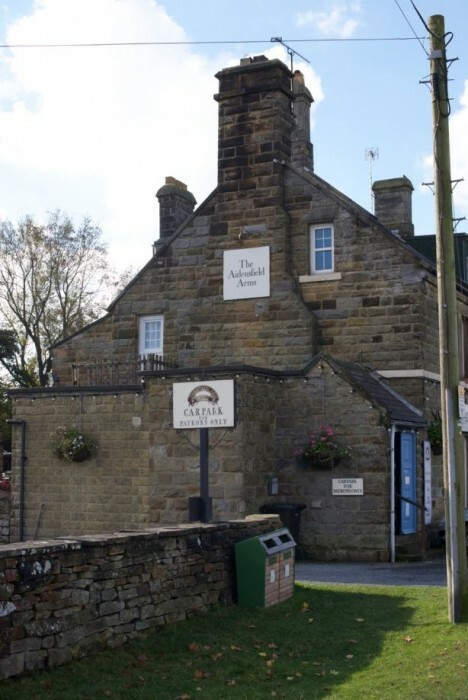 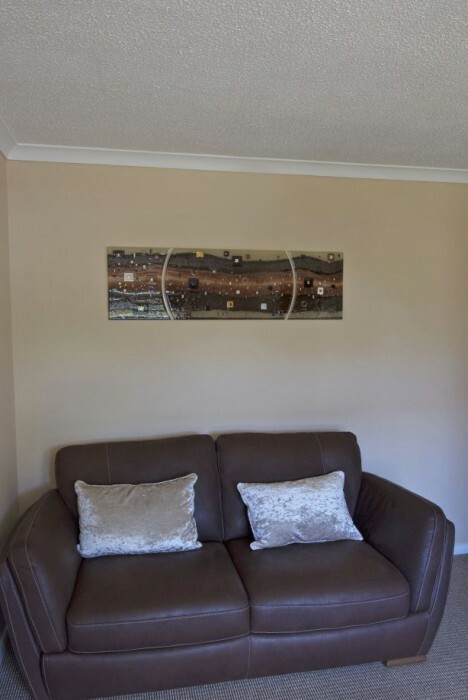 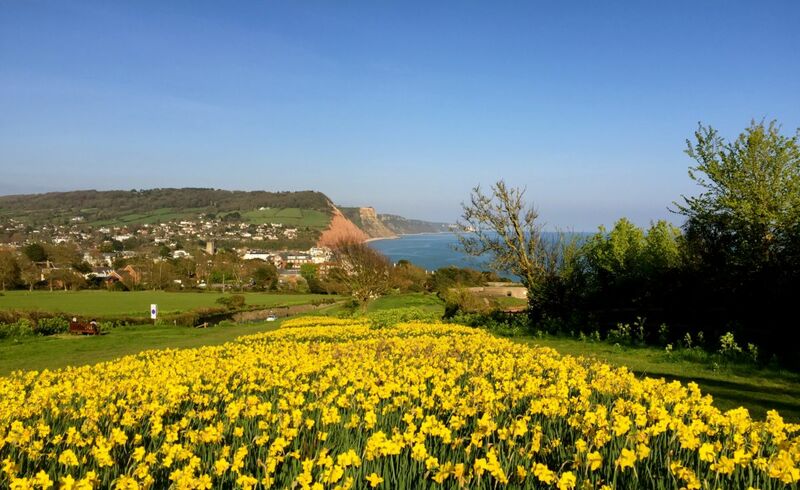 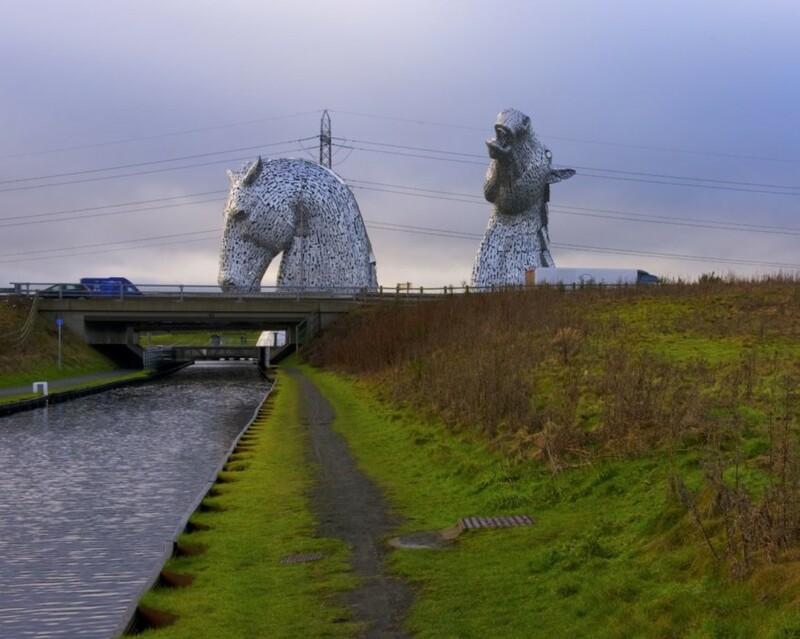 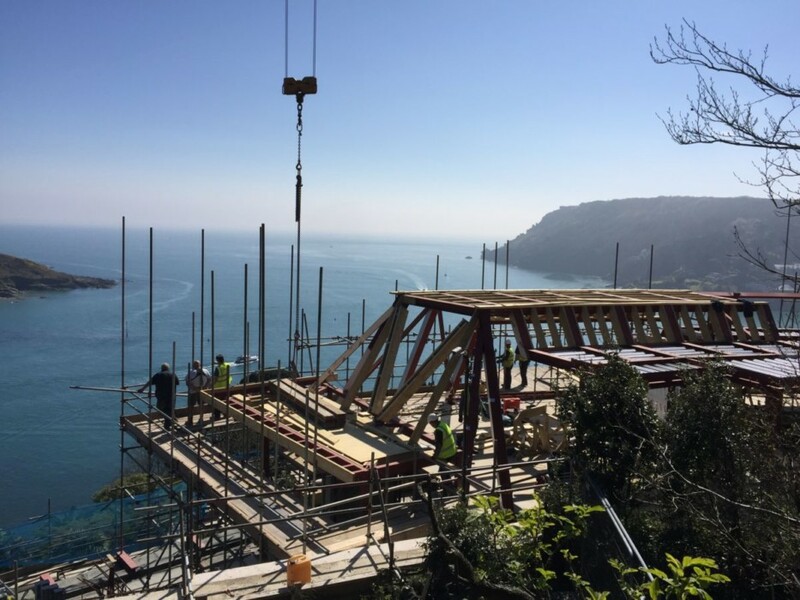 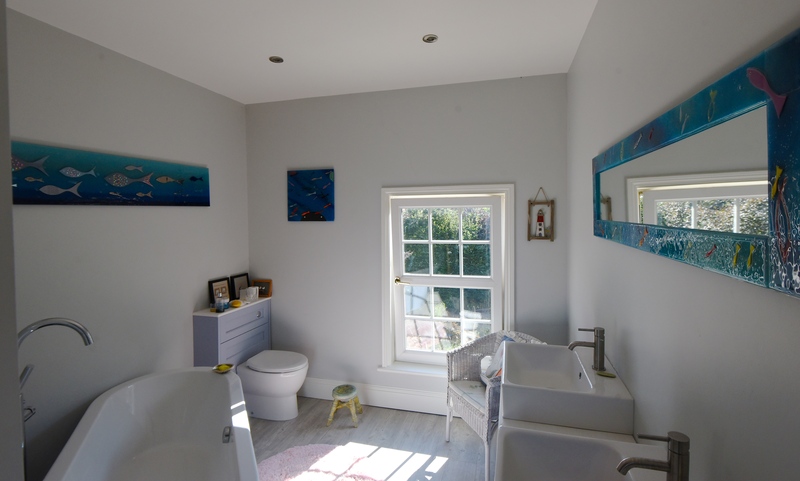 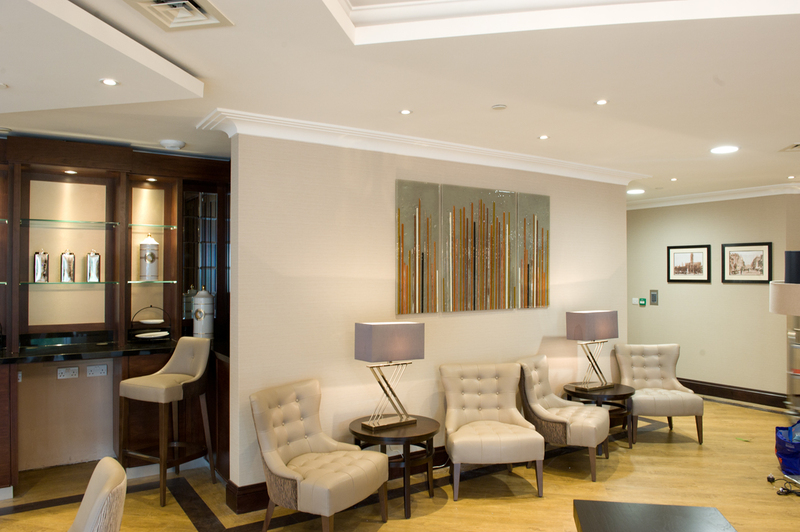 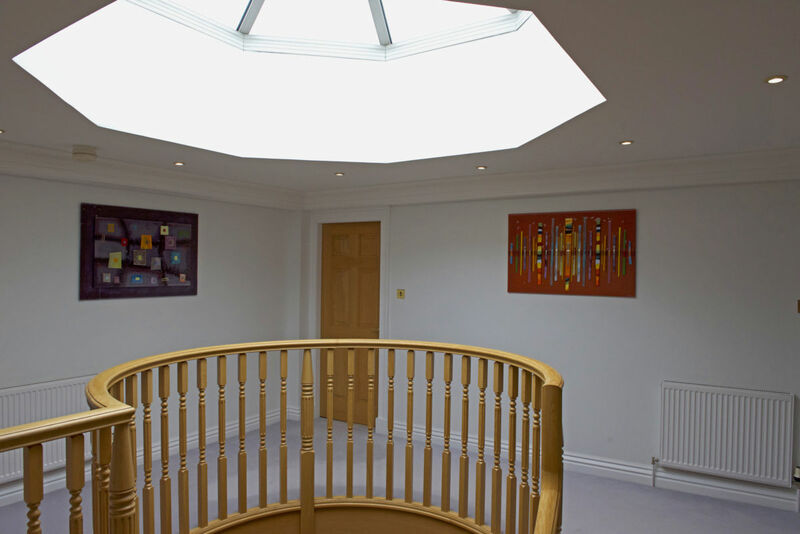 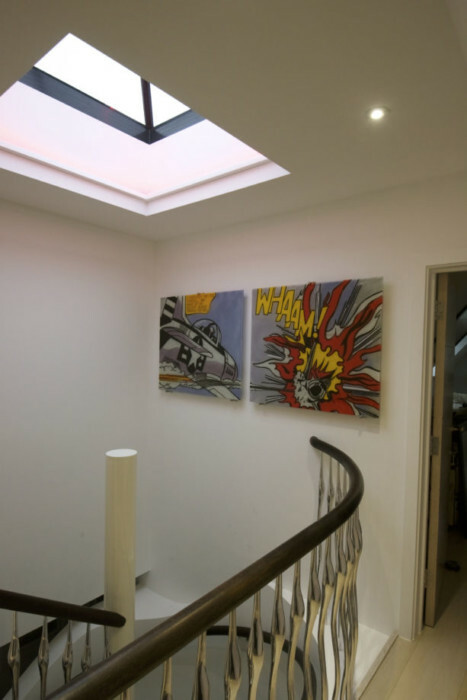 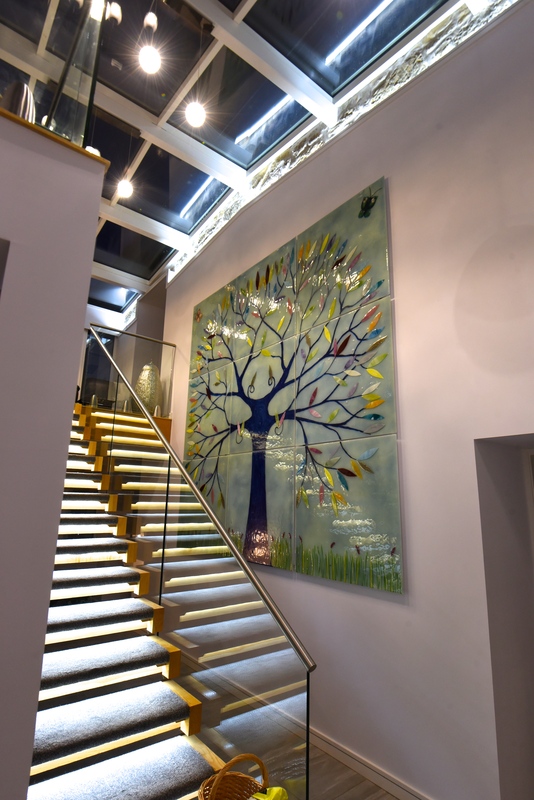 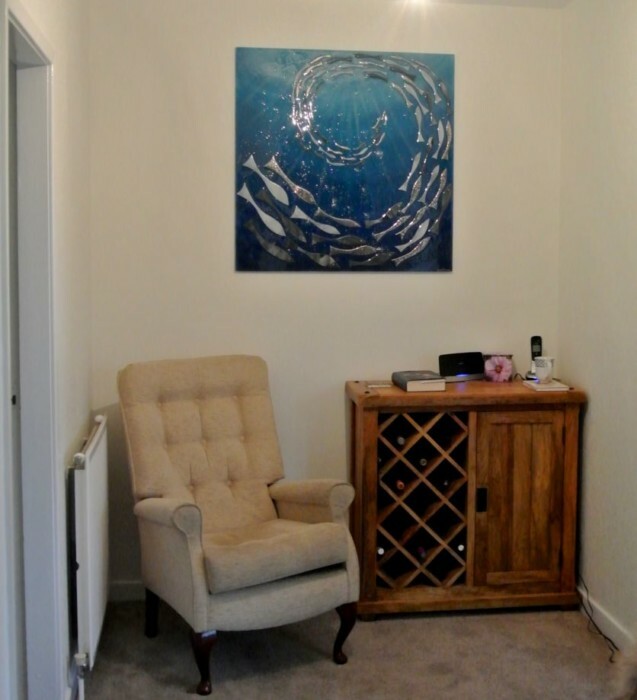 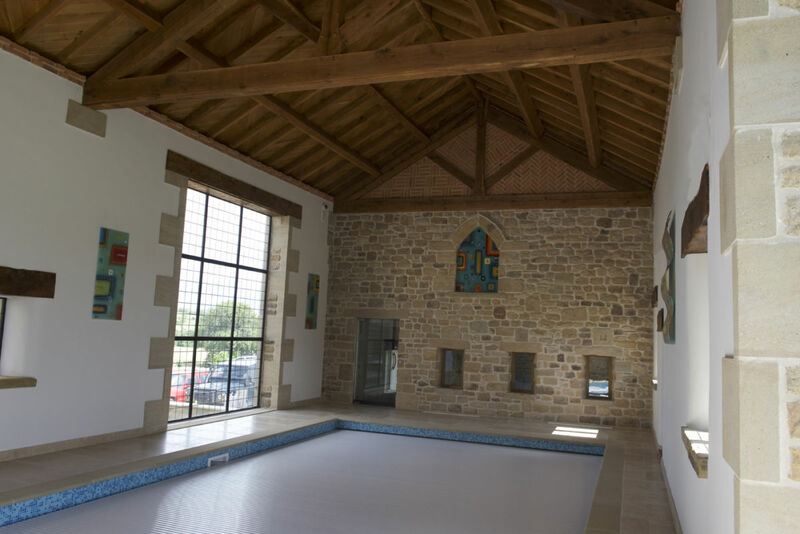 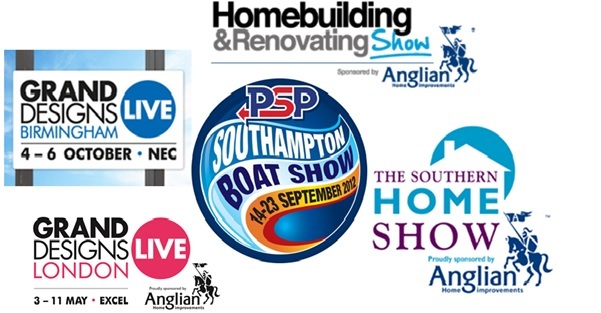 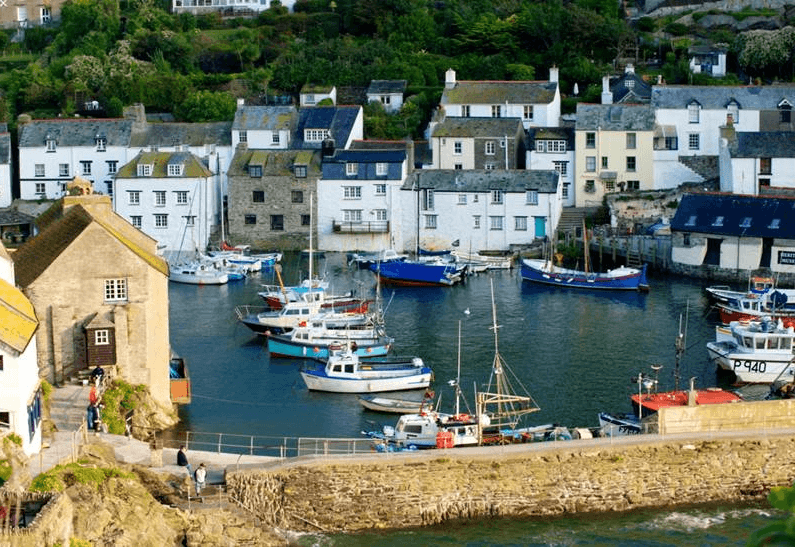 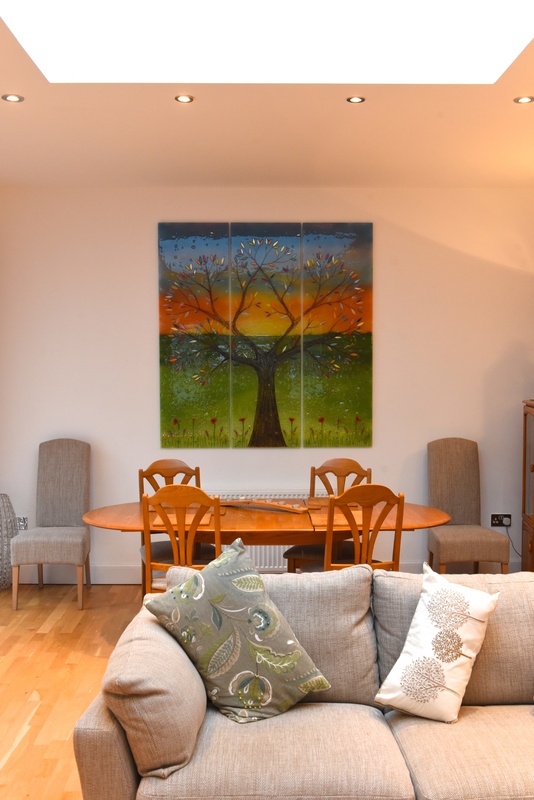 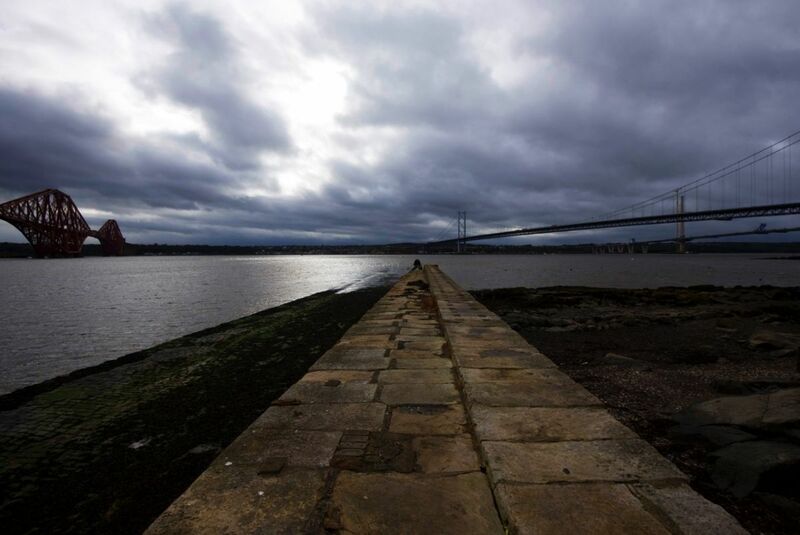 If the work that we do could take a space in your home to the next level, and we’re sure it could, then make sure you don’t hesitate to pick up the phone or drop us an email. 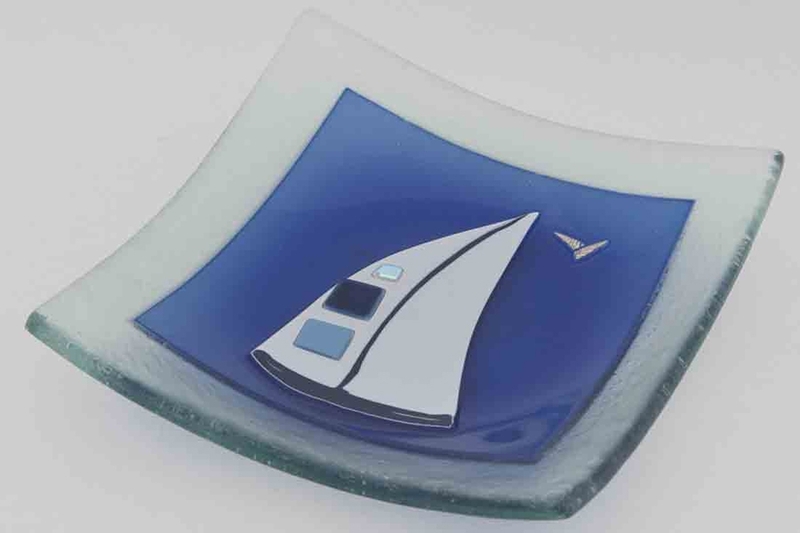 Getting in touch really is that easy, and you’ll soon be on your way to getting your hands on the perfect piece of glass.